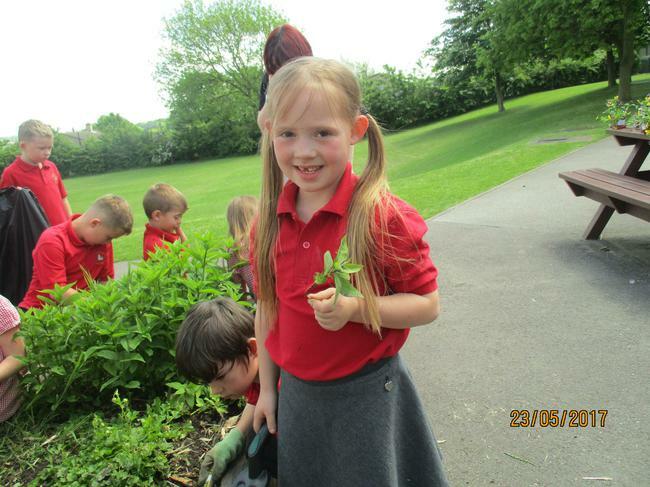 I hope you had a lovely week in the sunshine and are looking forward to Summer term 2. 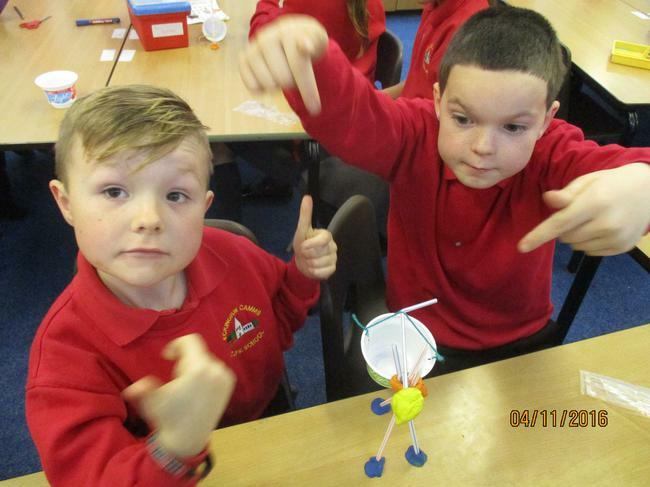 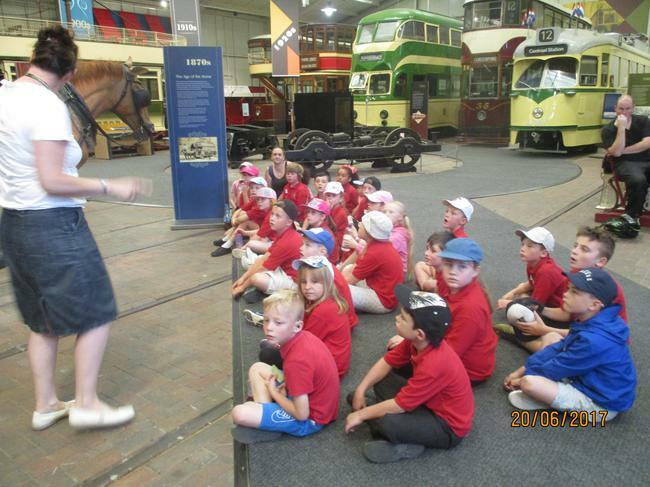 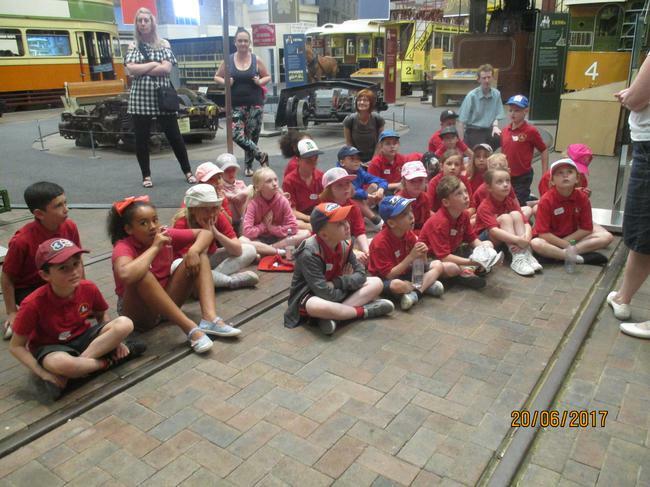 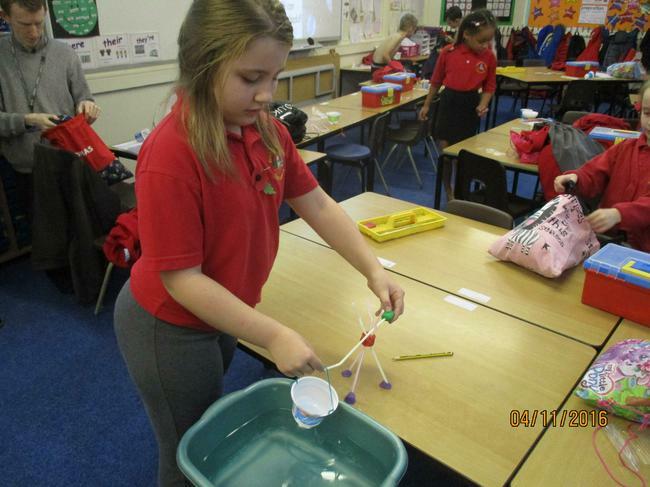 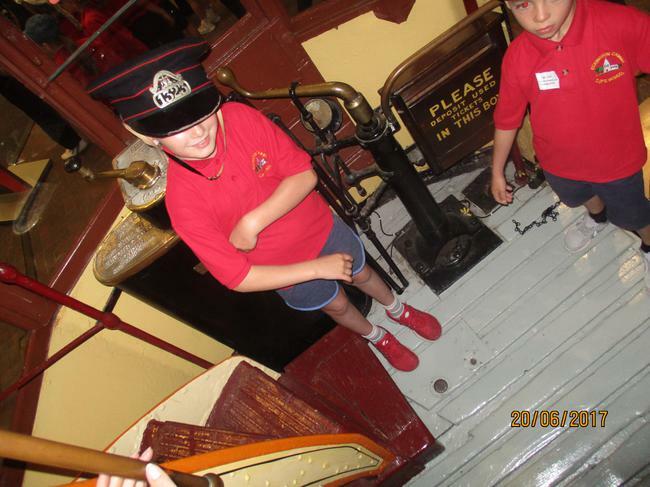 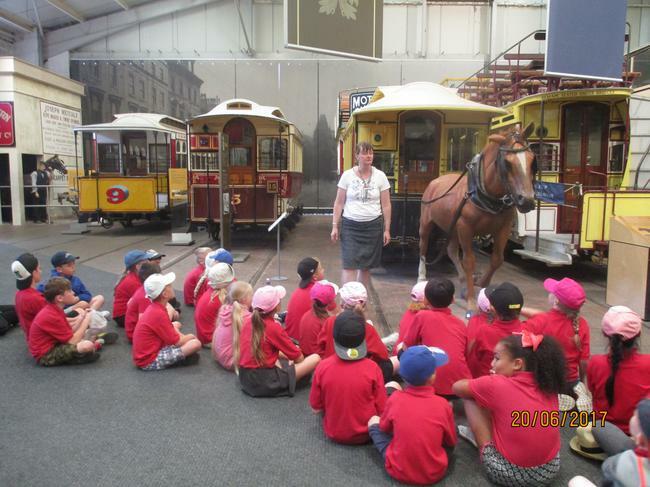 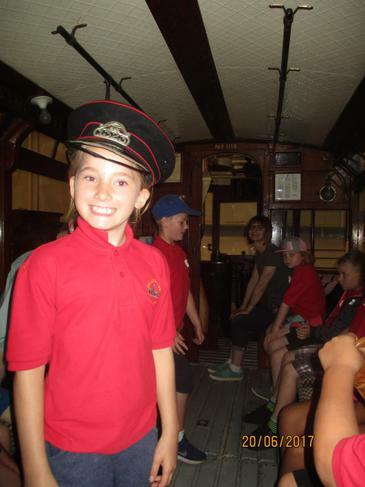 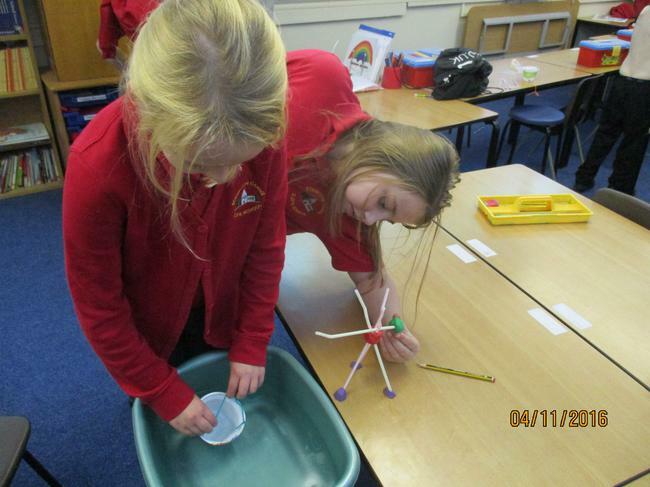 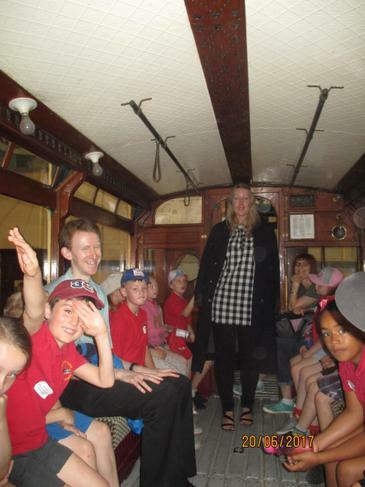 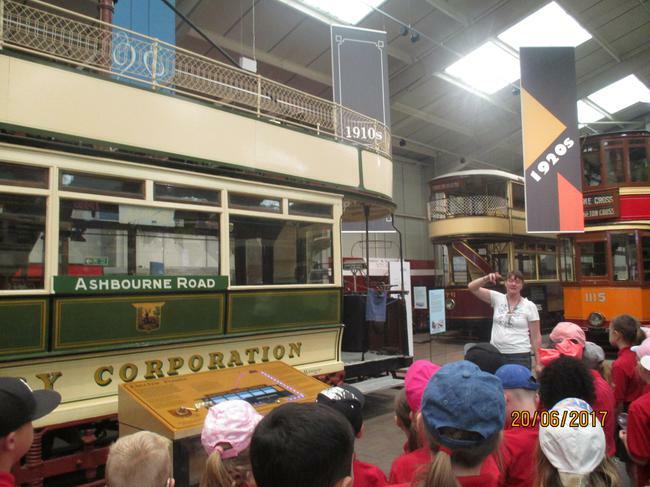 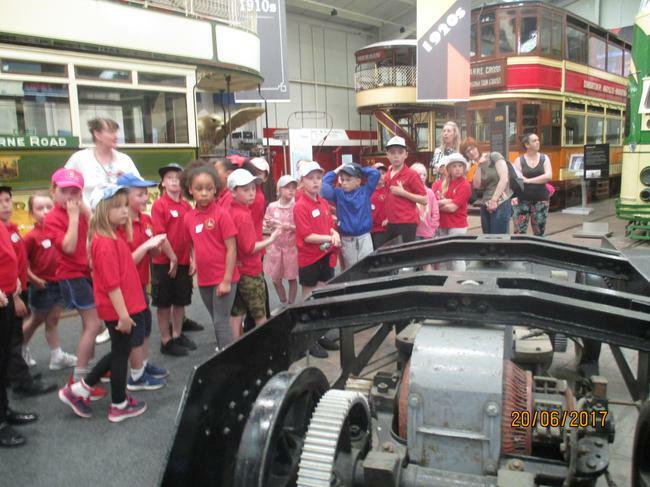 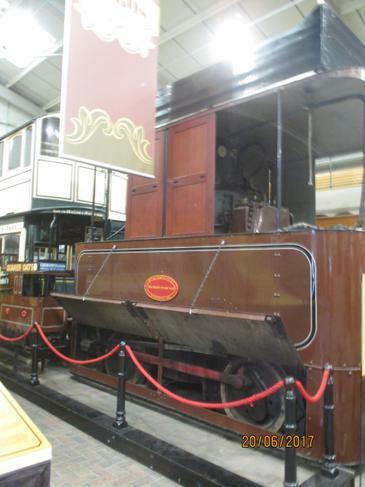 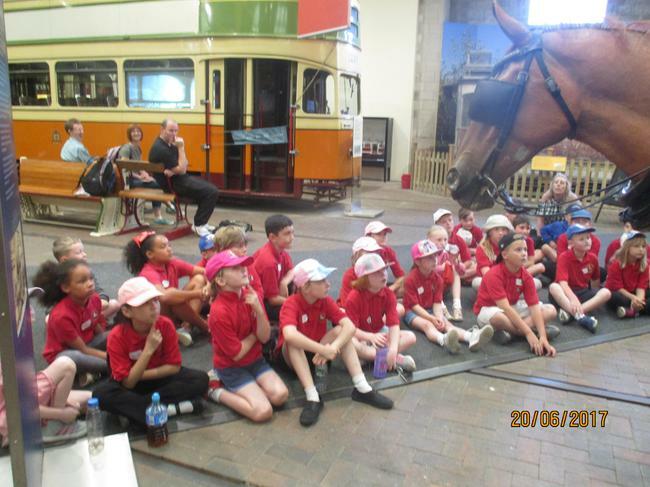 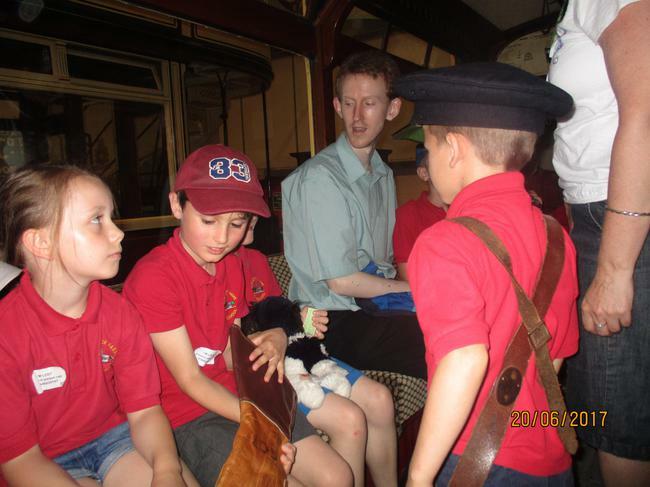 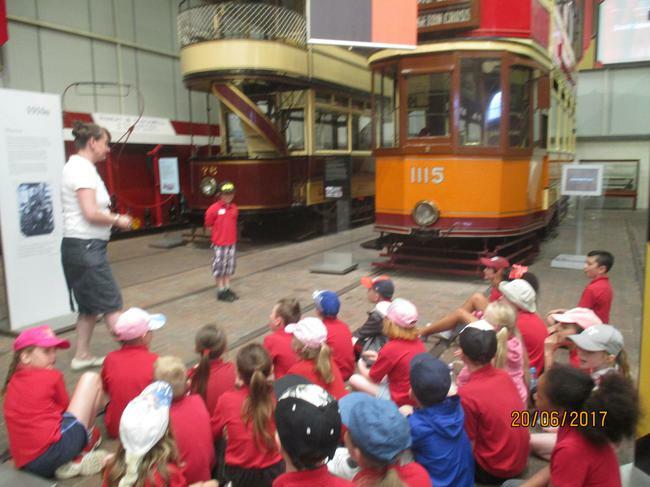 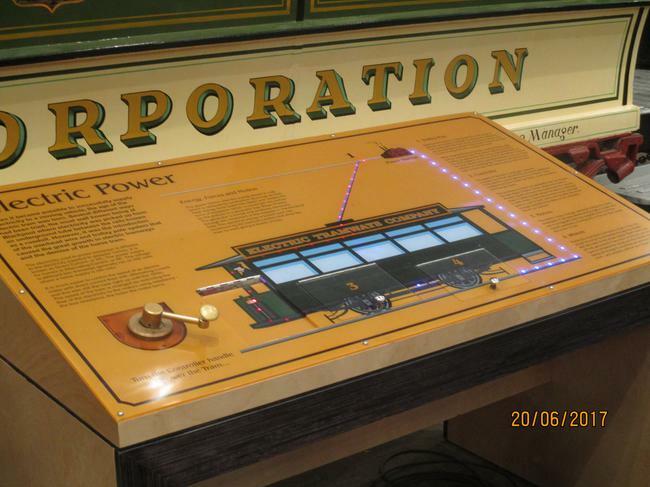 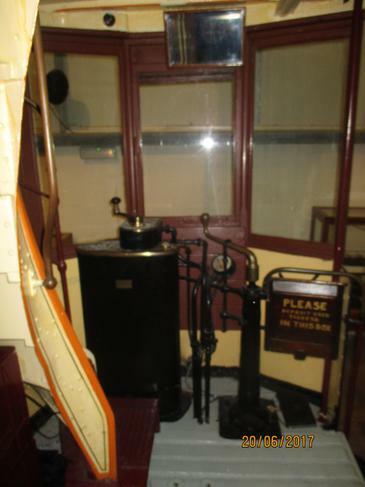 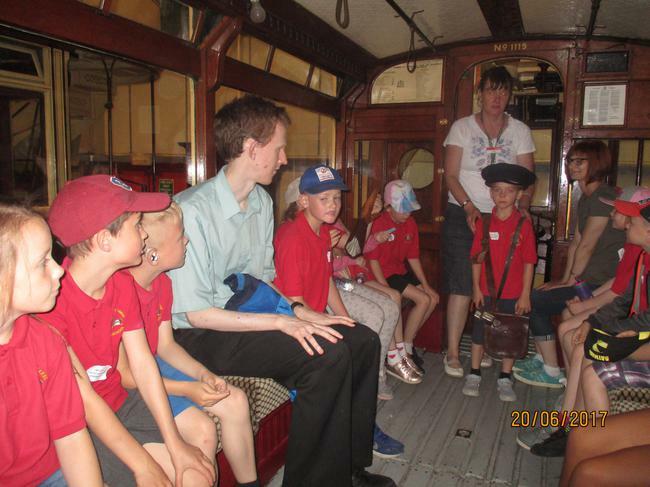 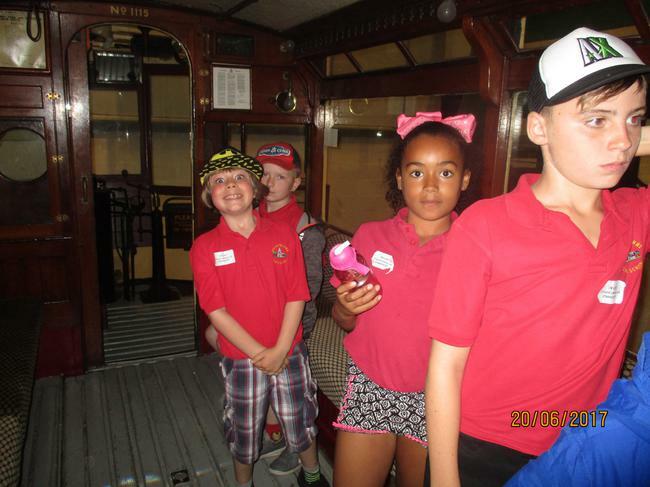 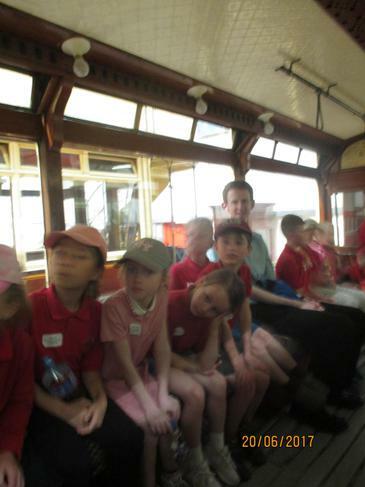 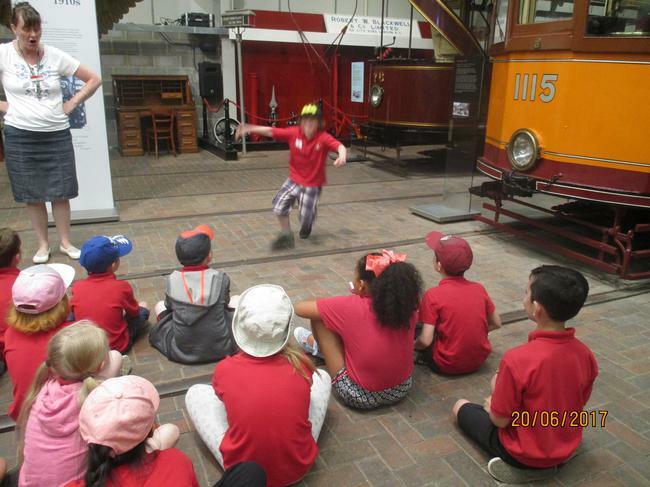 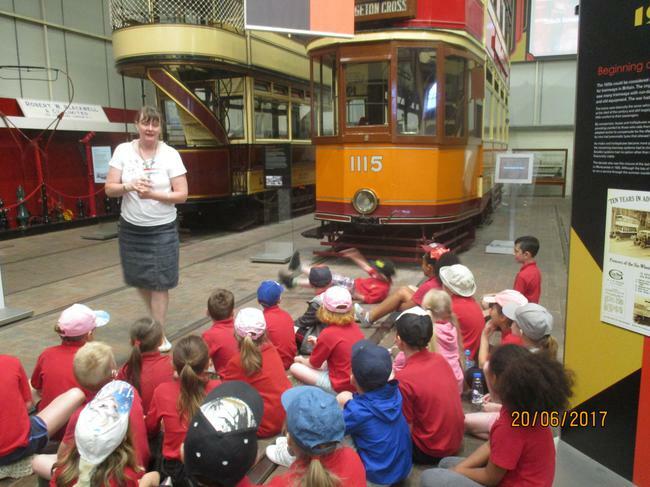 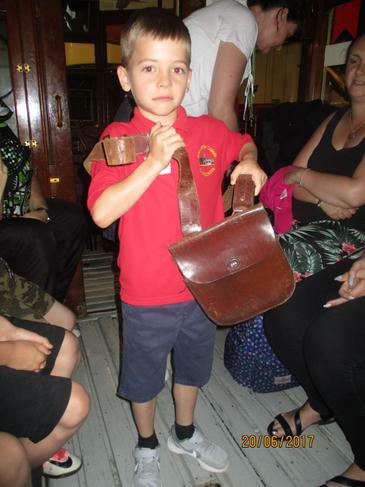 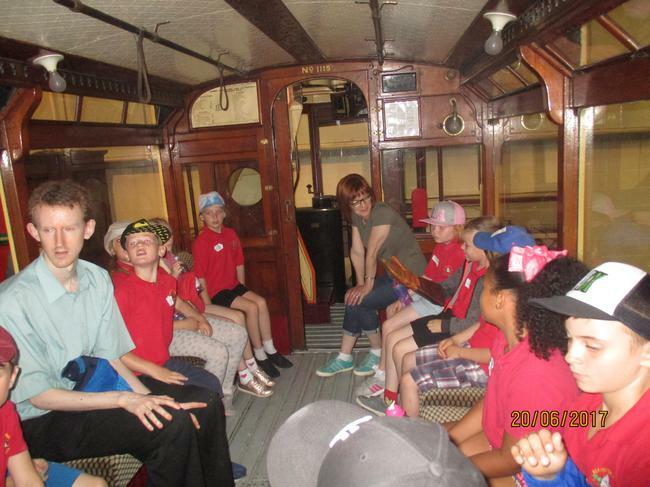 We have a new topic this term- Transport. 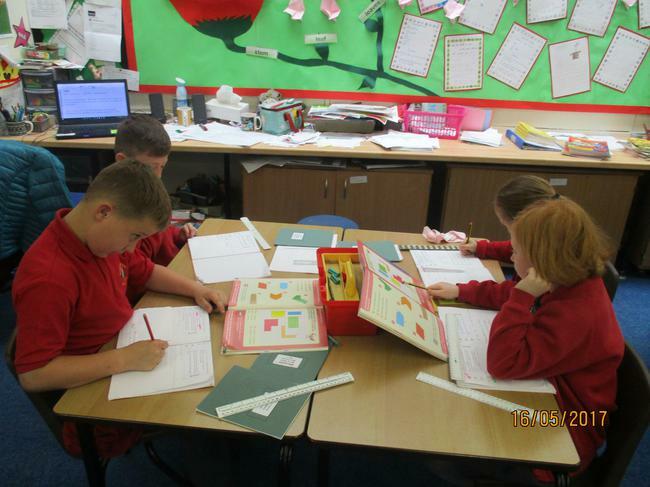 Please find the new homework grid below and spellings. 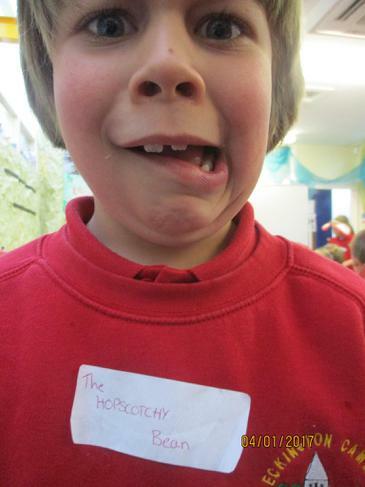 In regards to the spellings, please learn group 1. 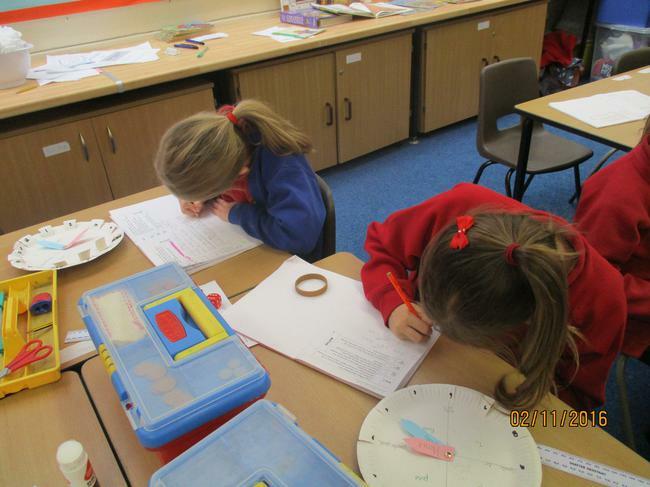 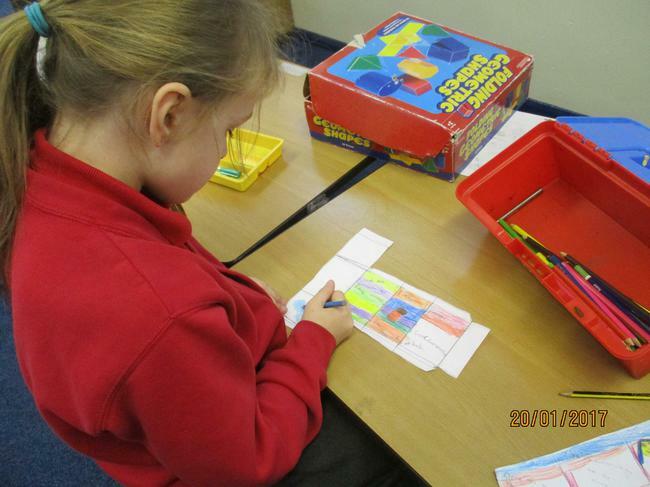 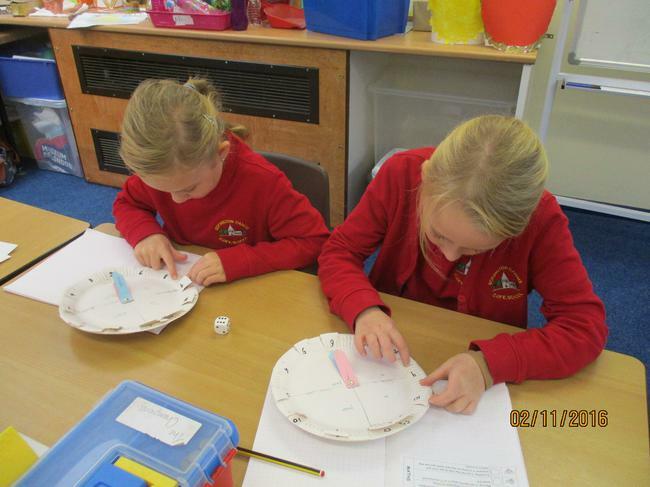 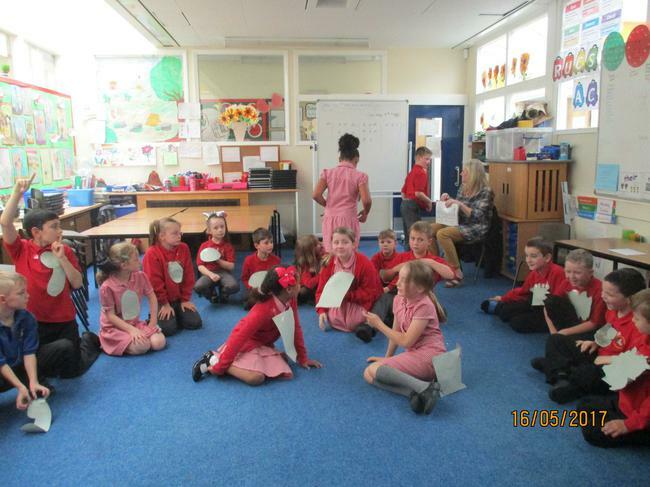 They have been put together with similar spellings, so that it may be easier to remember, these are the national Year 3 and 4 spellings that you need to know by the end of year 4. 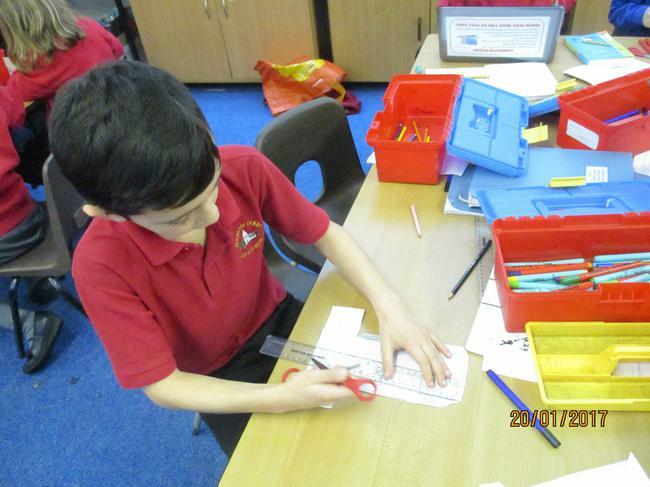 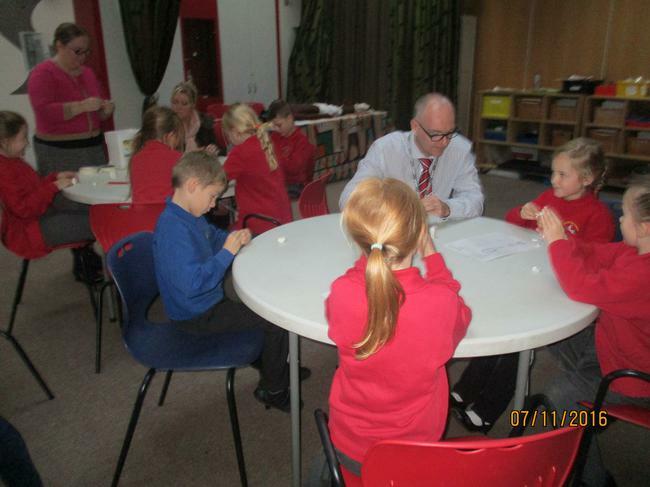 I have also put on group 2, which is year 5 and 6 spellings, so that once you are confident with year 3&4 spellings then you can try year5&6. 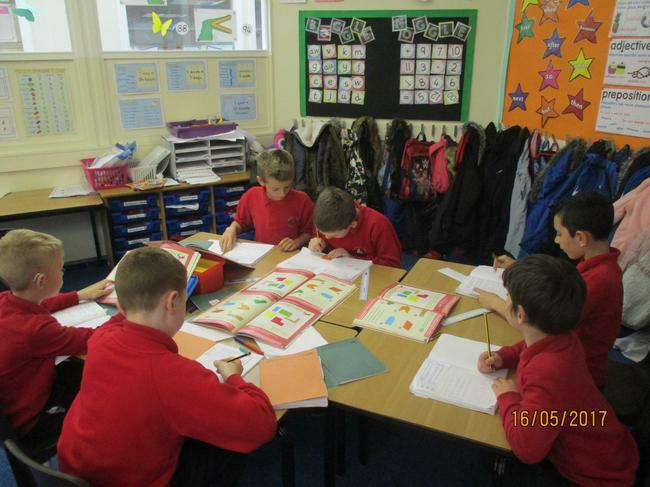 Please start at week 1 and we will carry on with out spellings tests on Thursday. 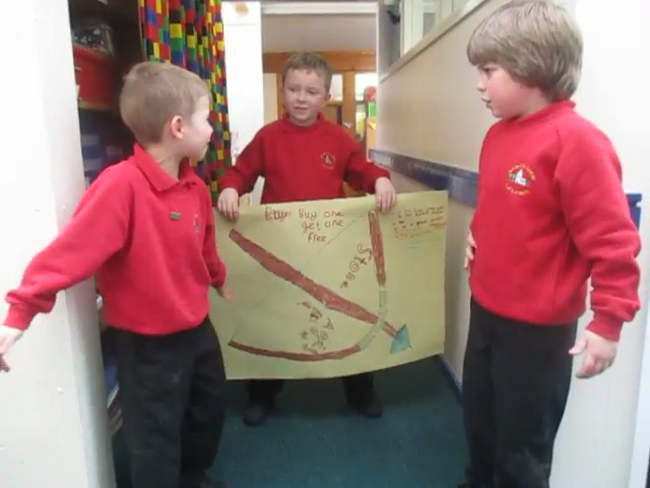 Homework grid for Transport - new topic this term. 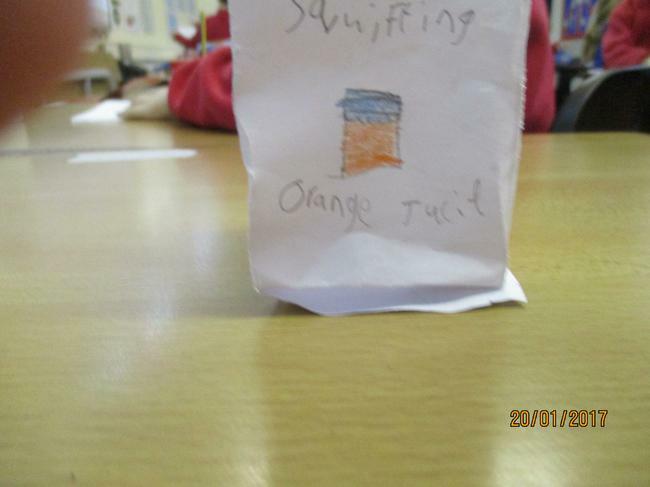 Spellings - some new, mainly same as before. 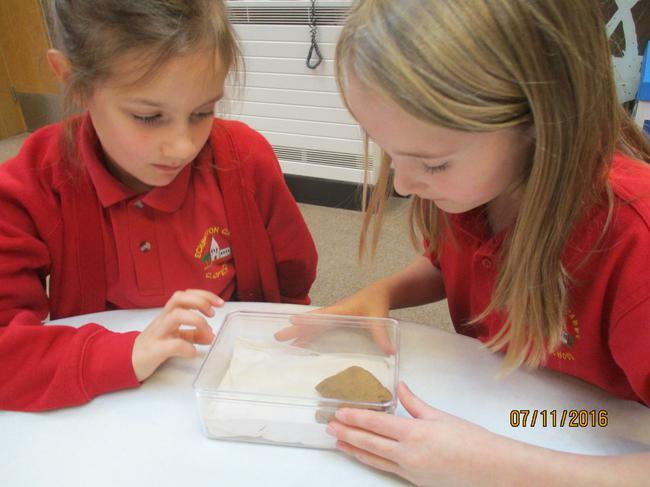 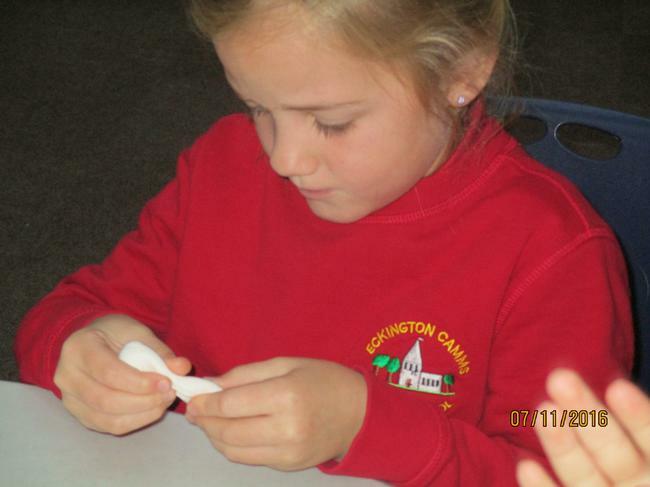 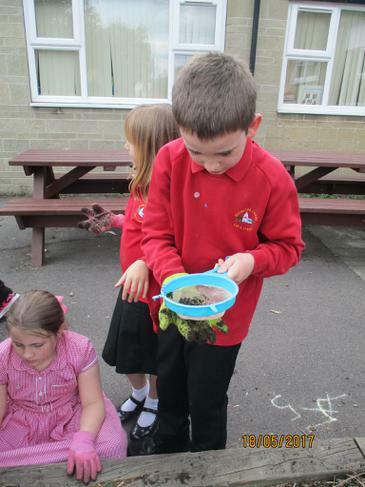 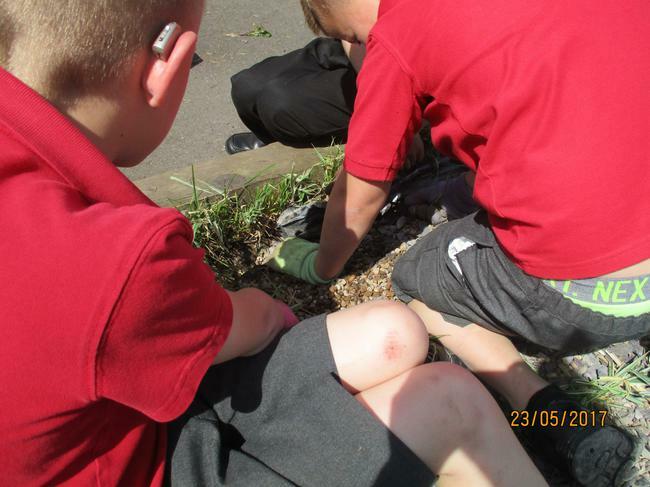 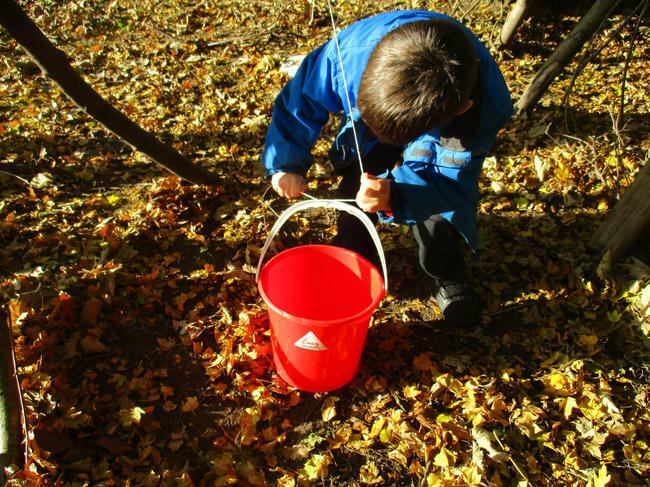 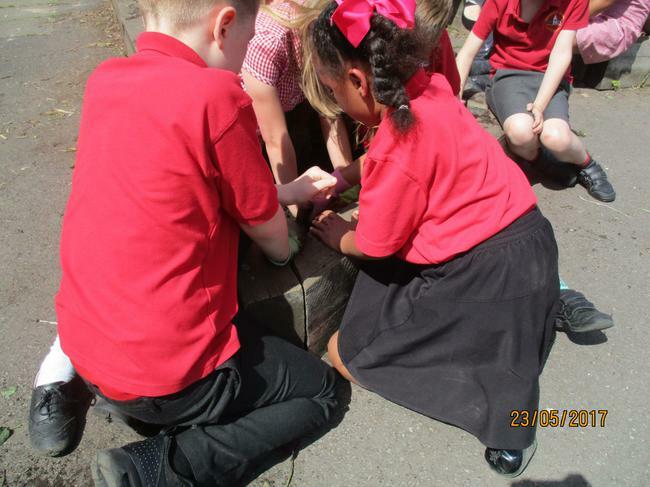 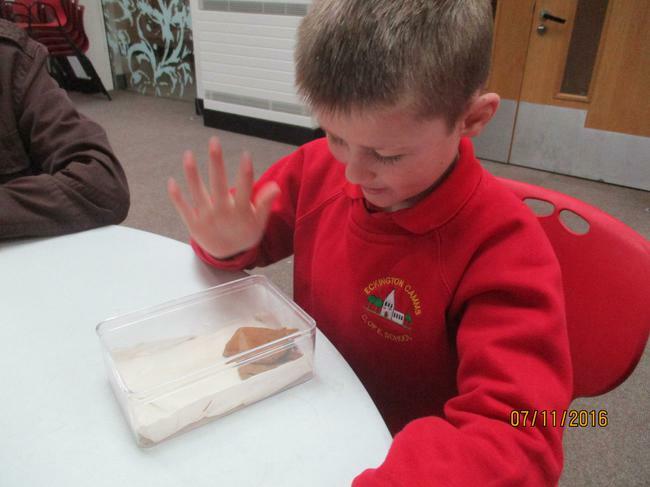 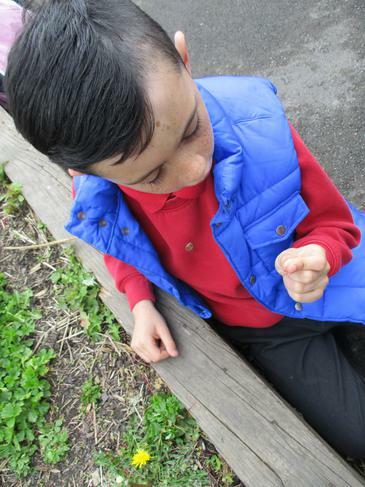 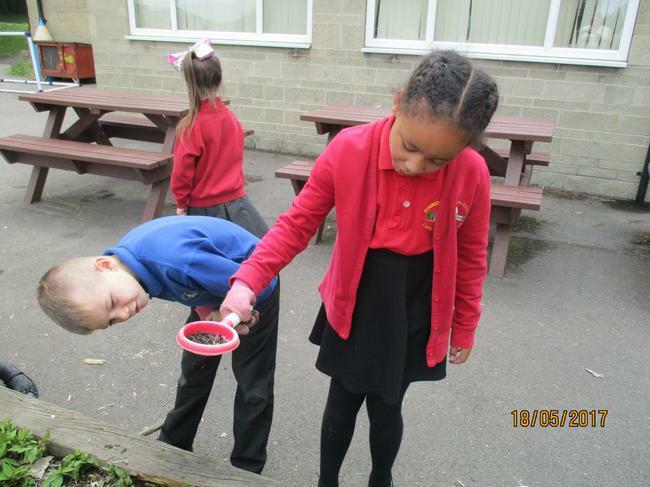 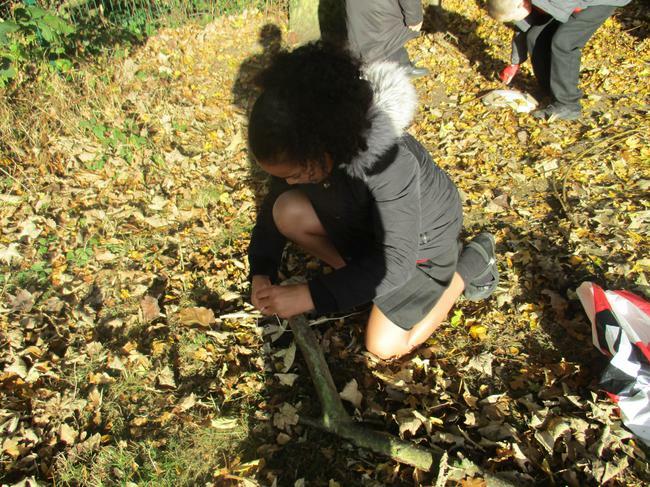 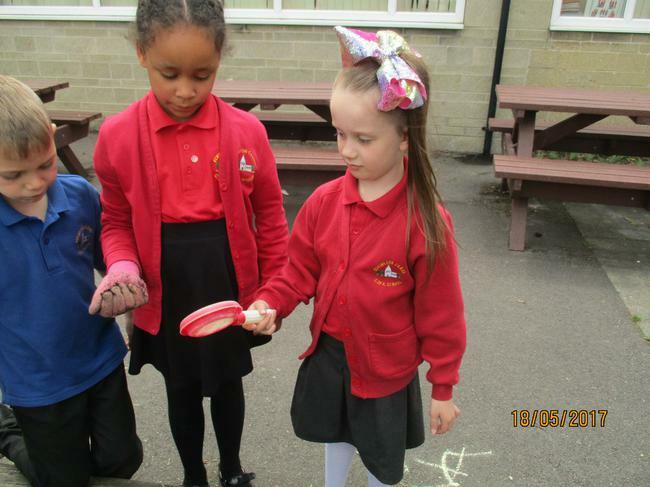 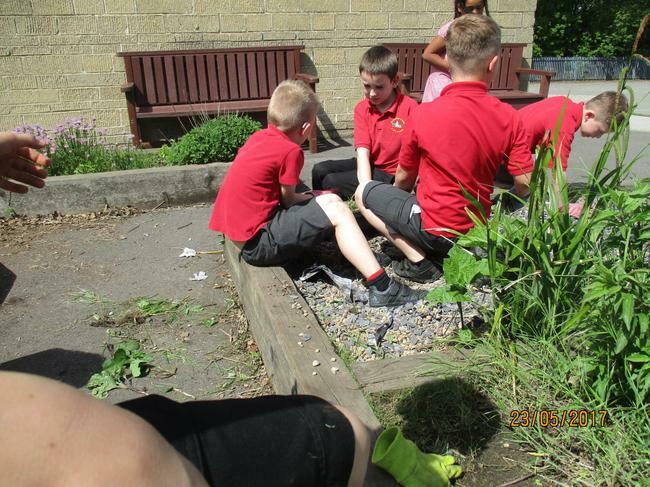 Investigating soil and what's in it.......stones, wood, leaves, insects, plants. 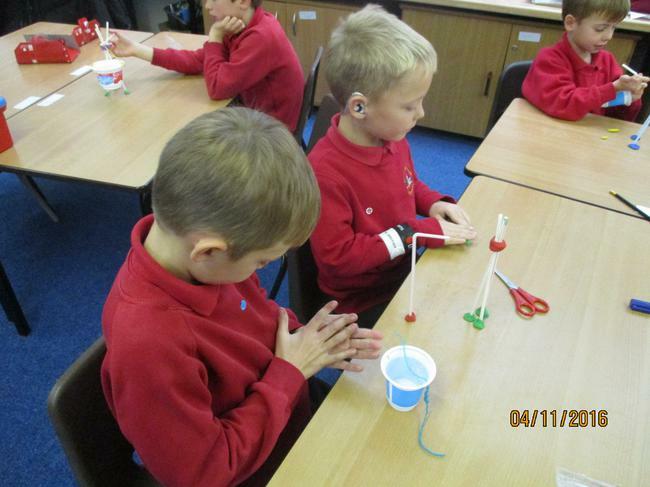 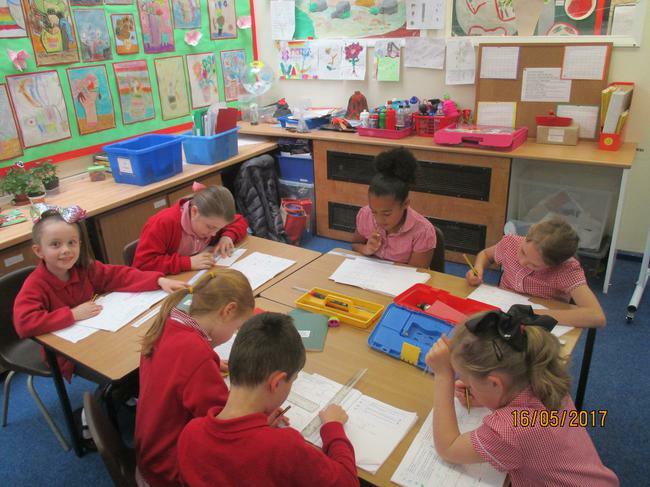 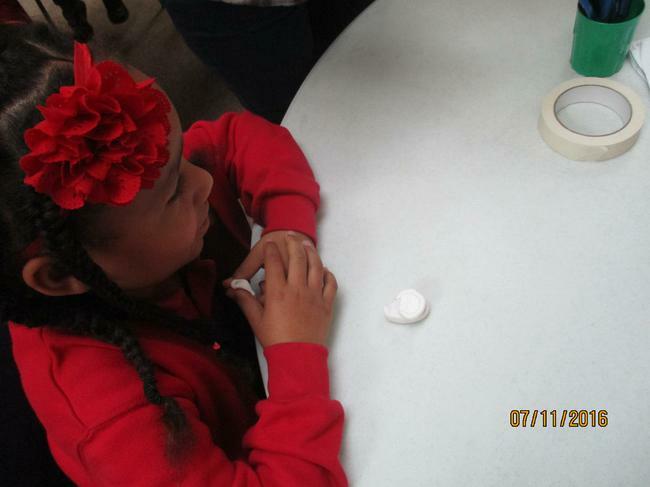 It's oh so quiet and peaceful.........................when they are learning! 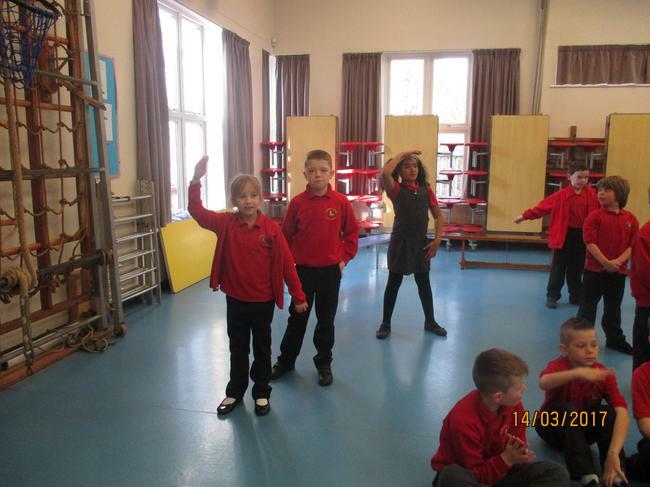 Seed dispersal dramatization- what we did when the electricity was cut!! 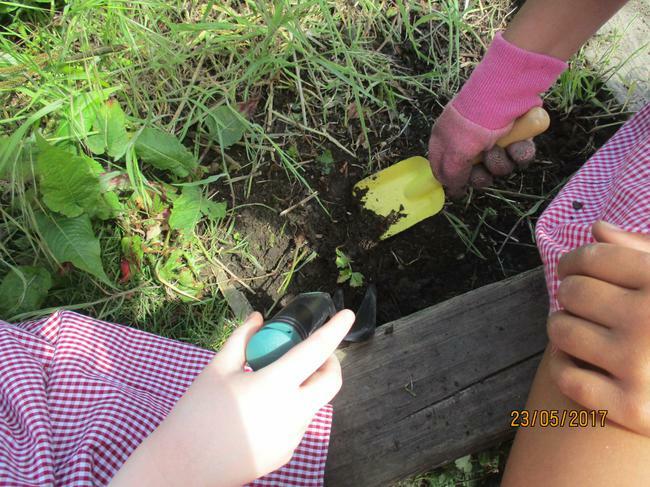 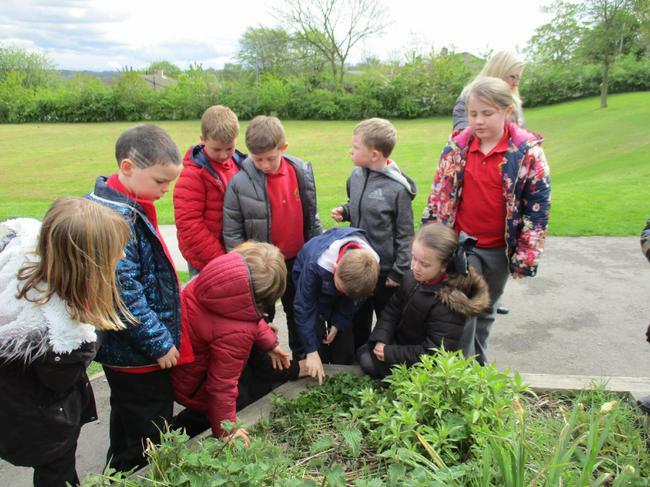 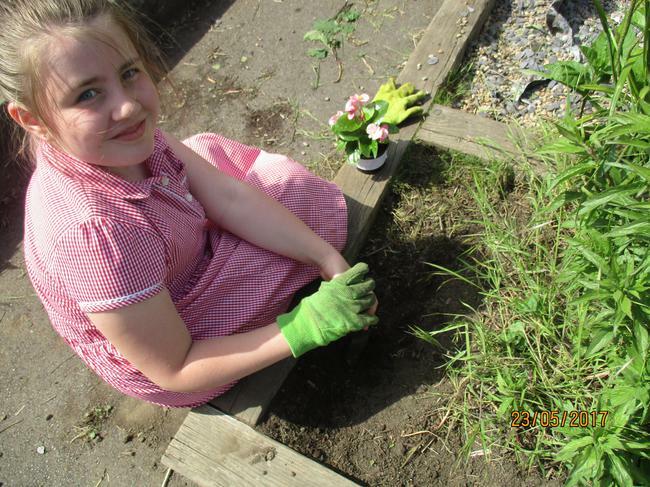 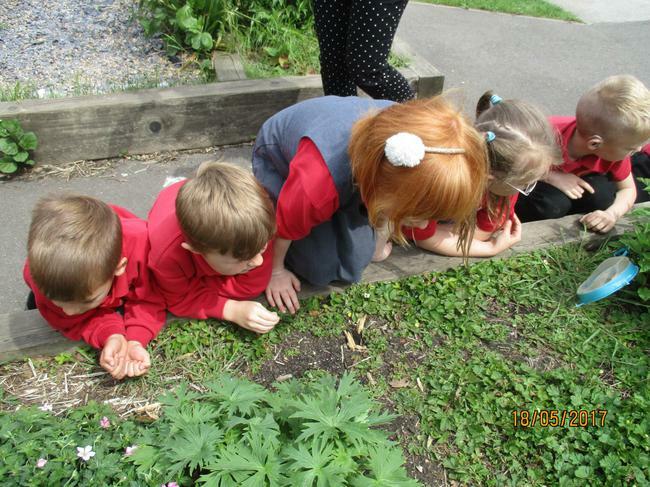 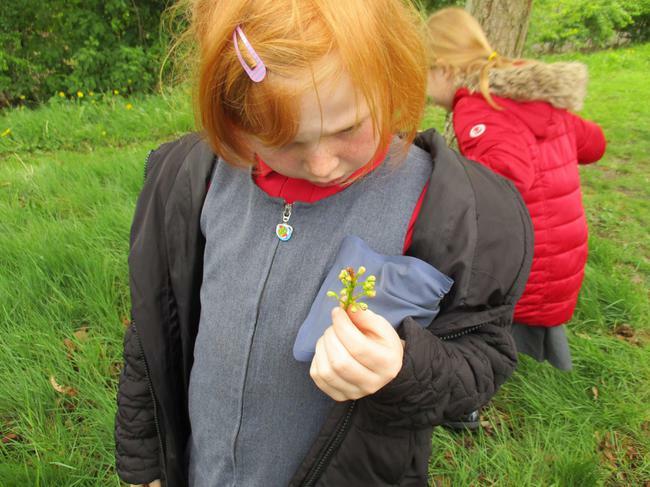 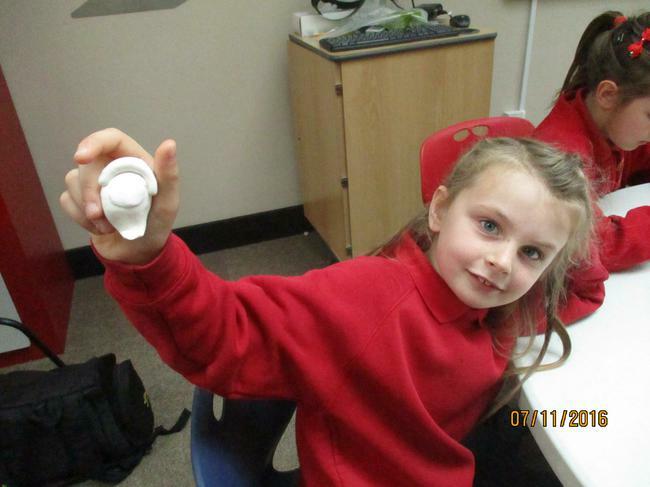 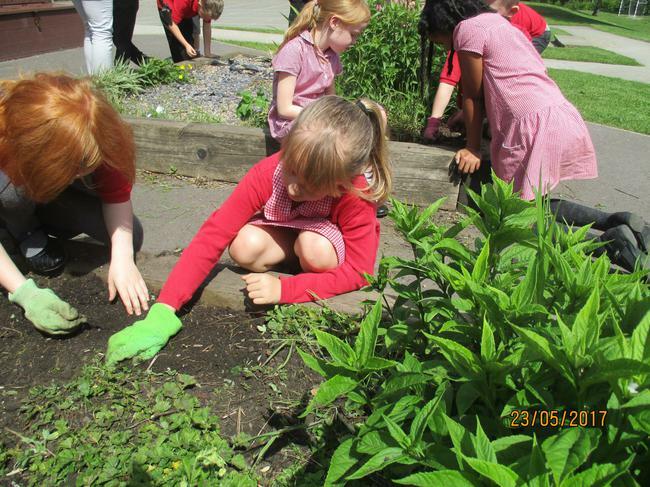 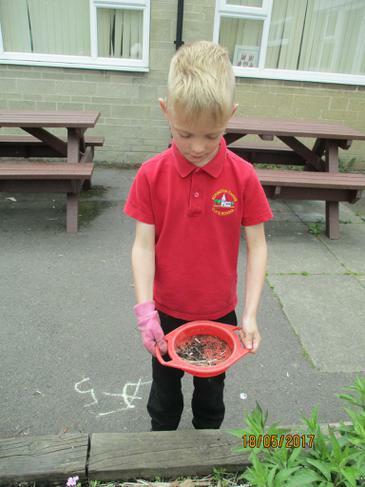 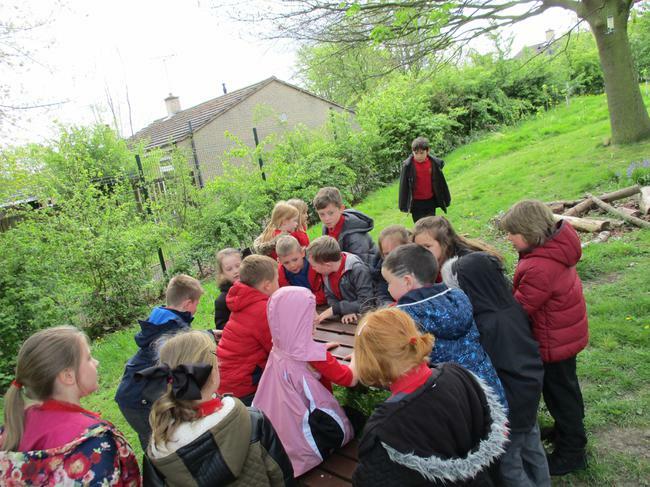 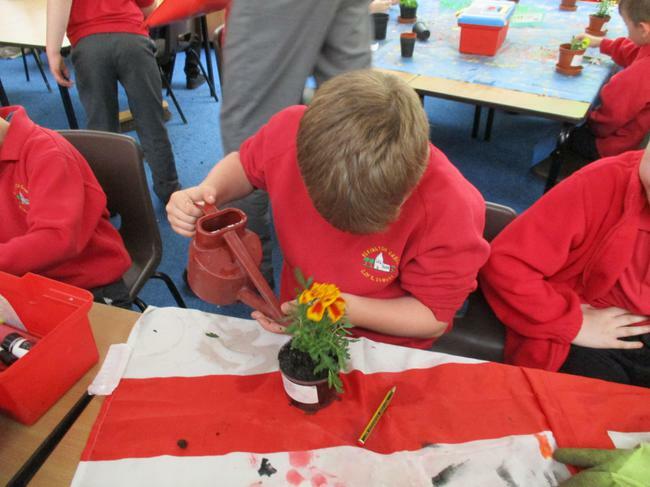 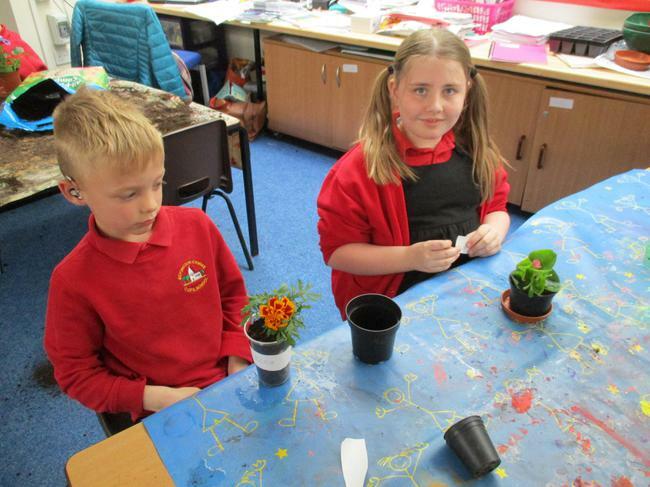 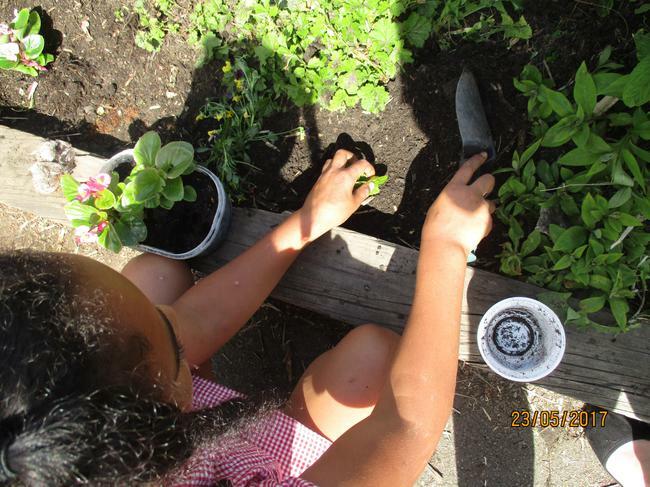 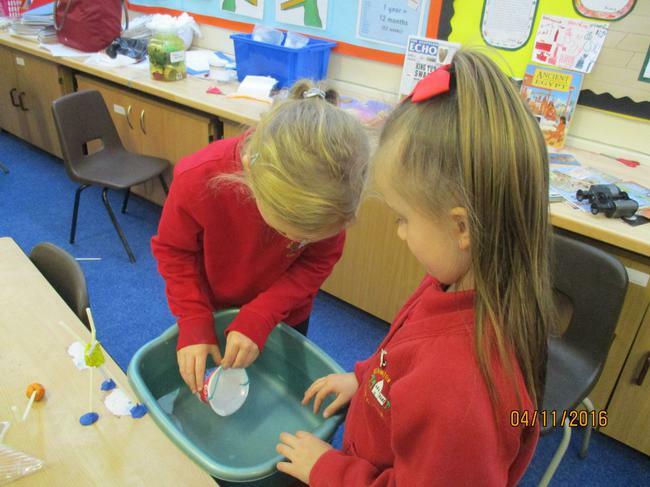 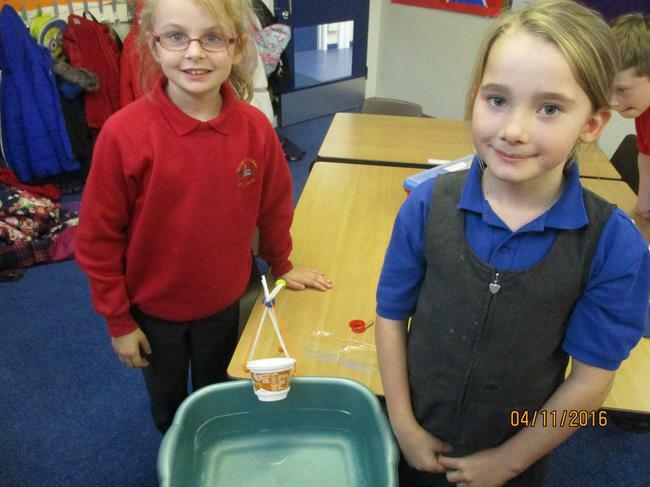 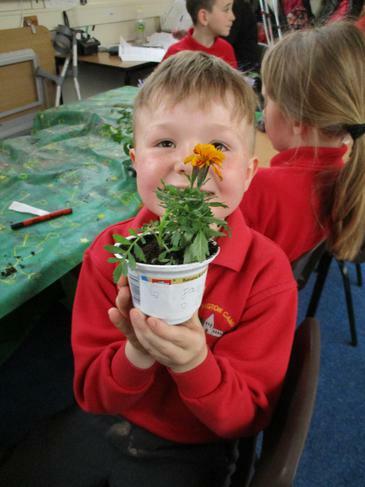 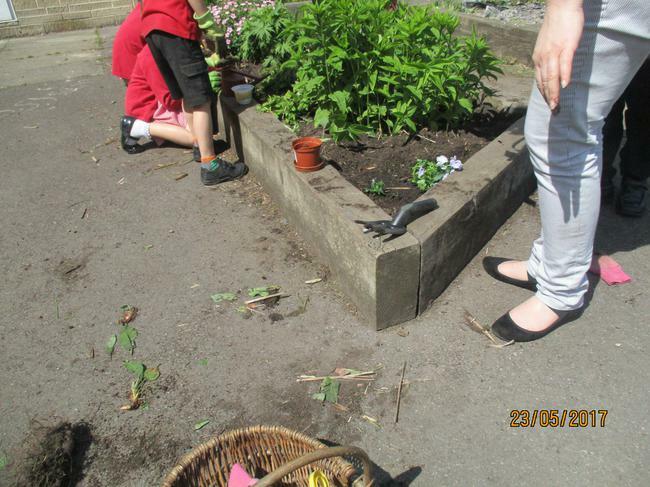 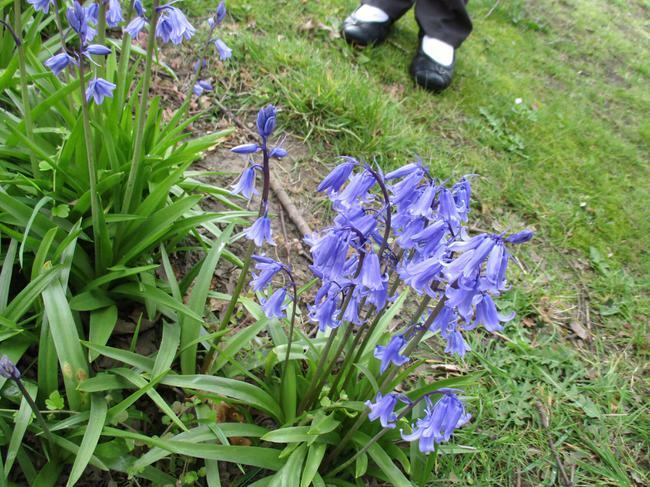 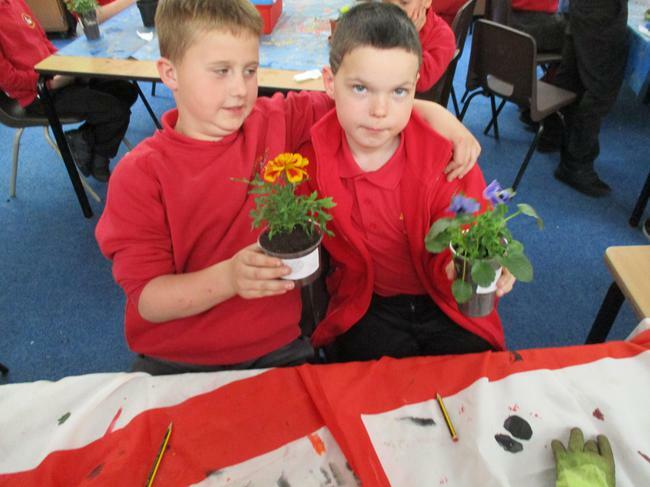 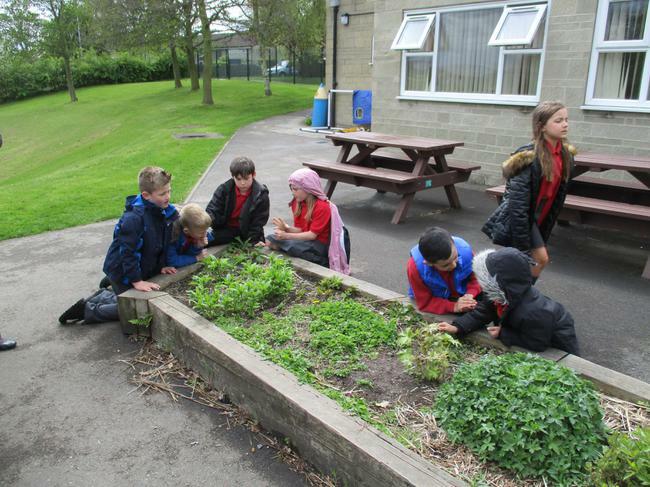 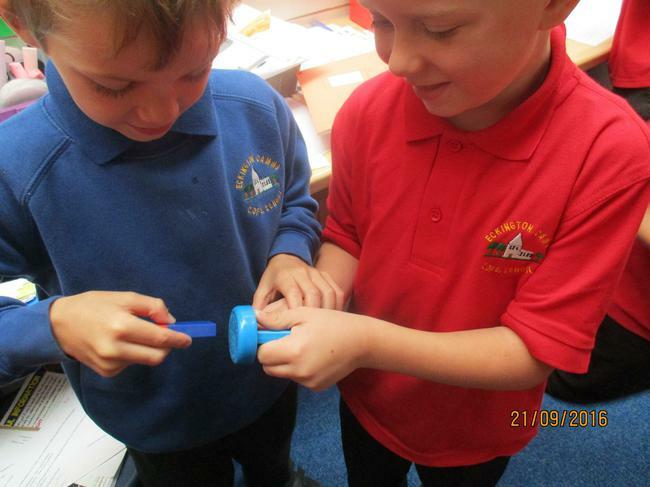 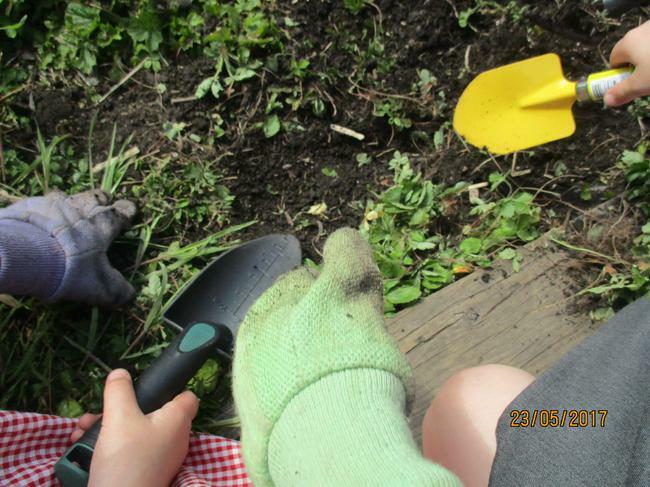 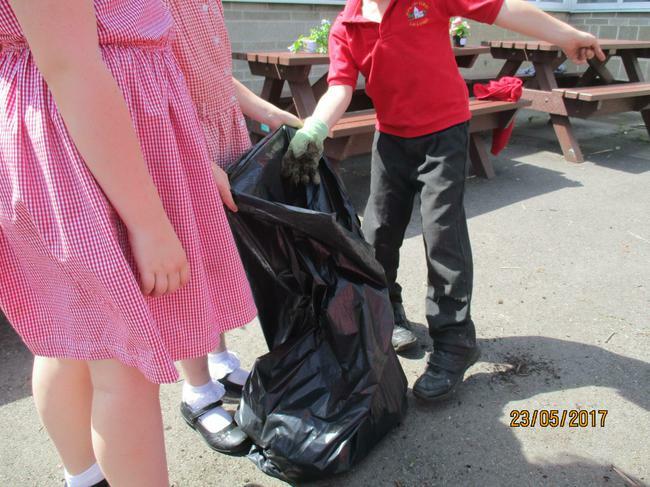 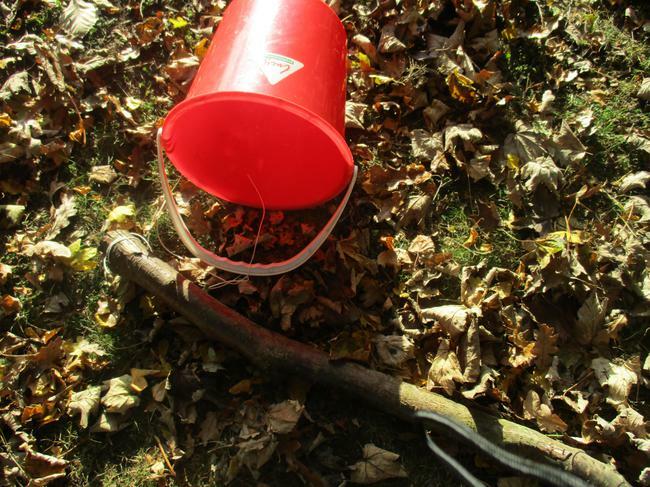 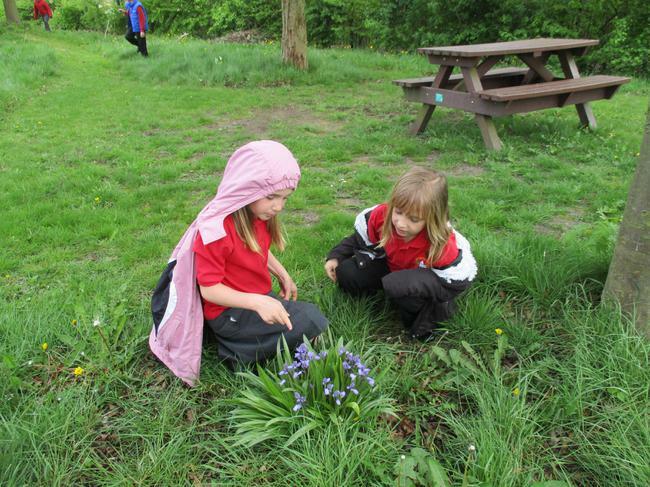 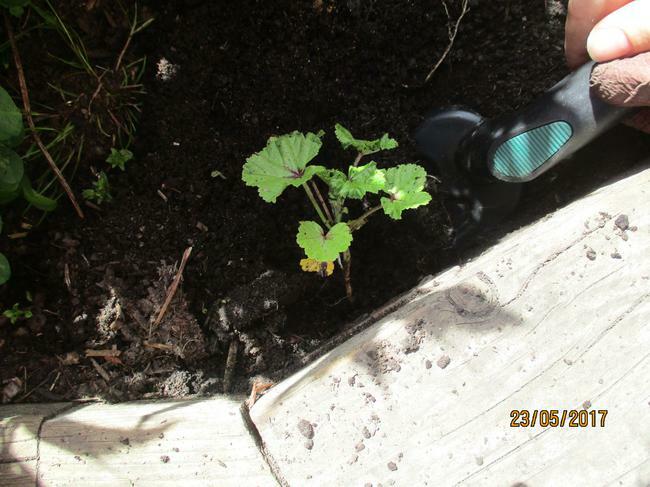 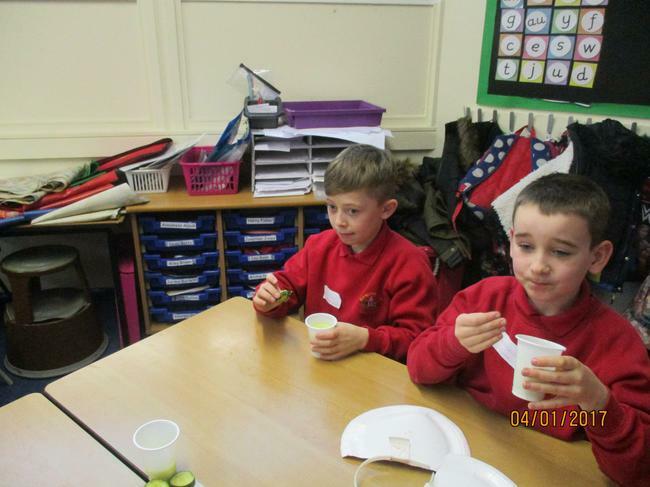 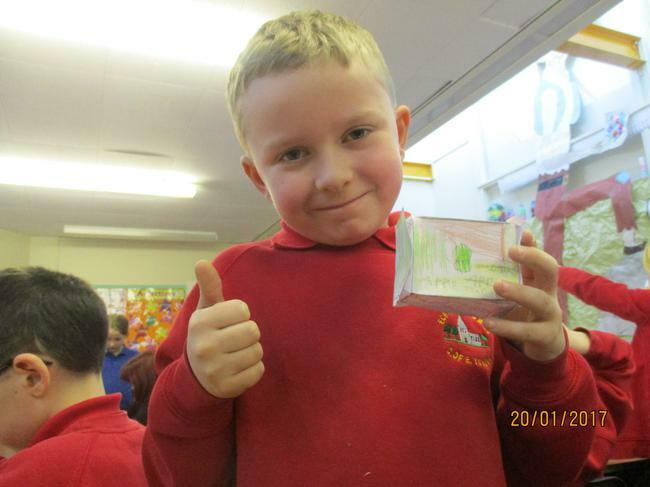 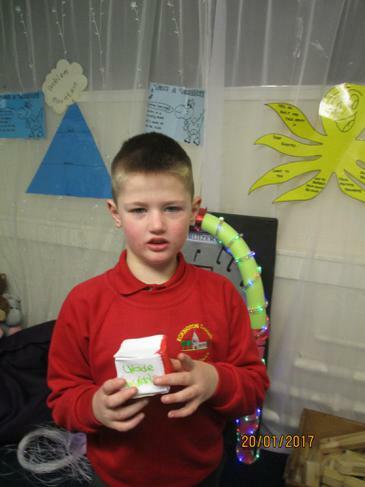 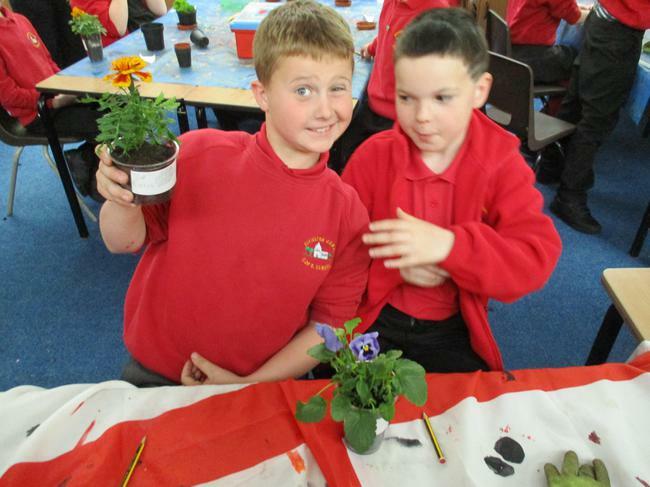 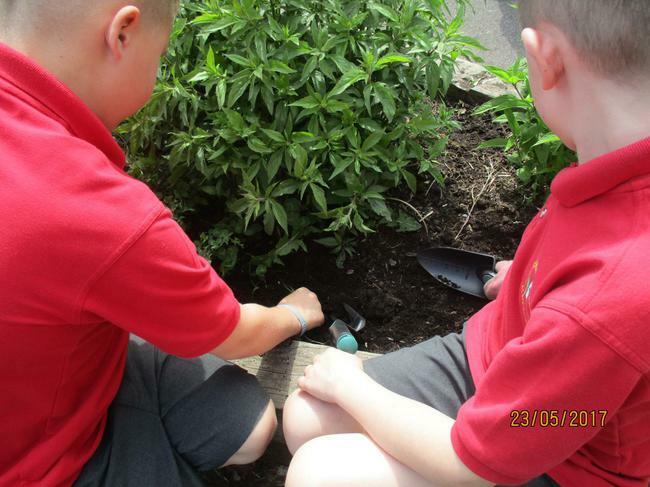 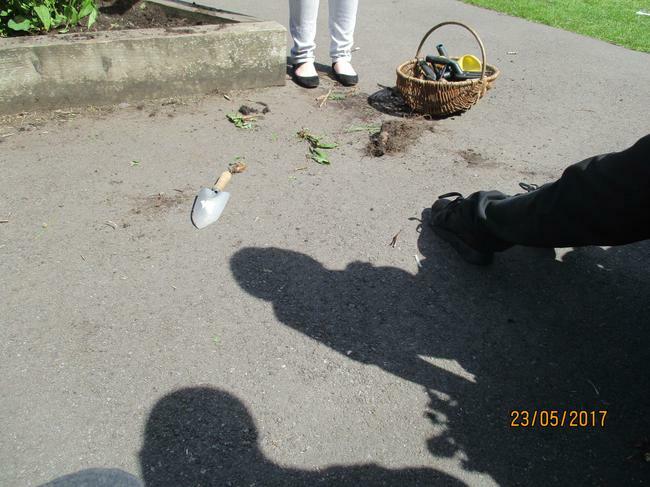 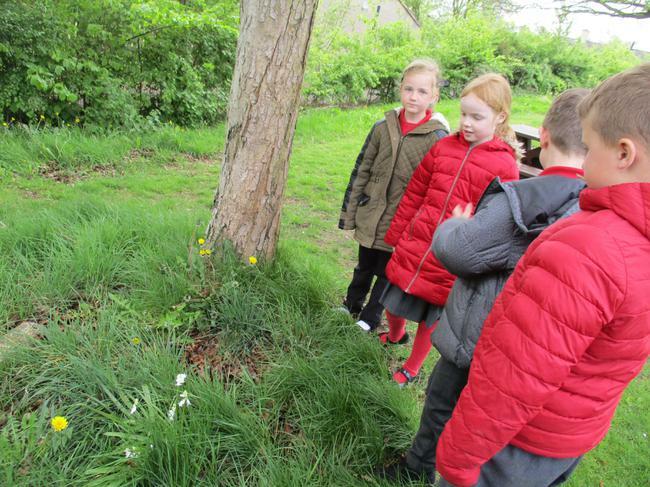 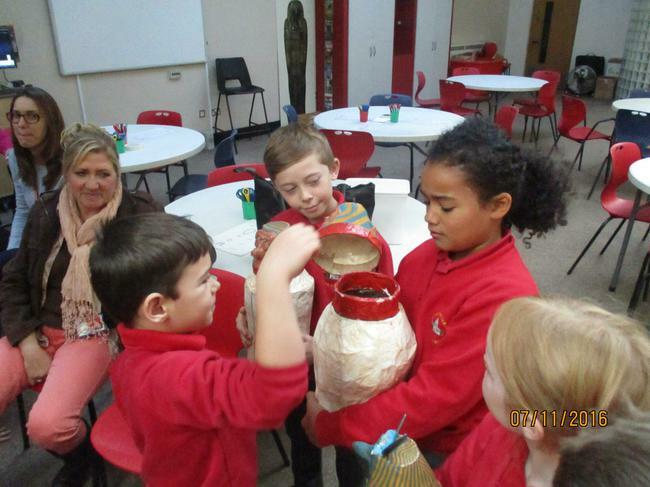 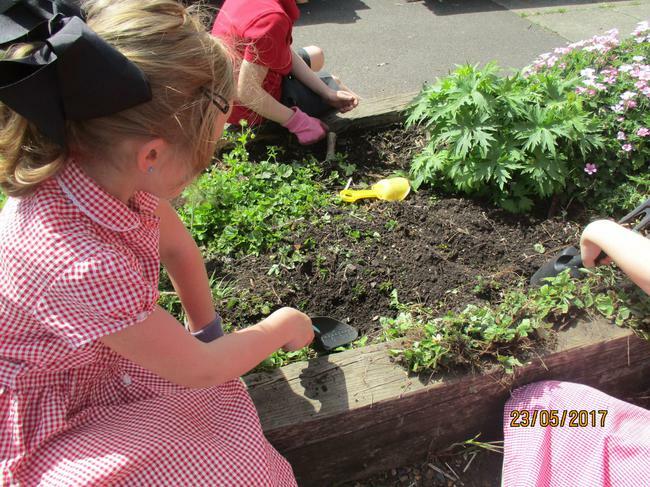 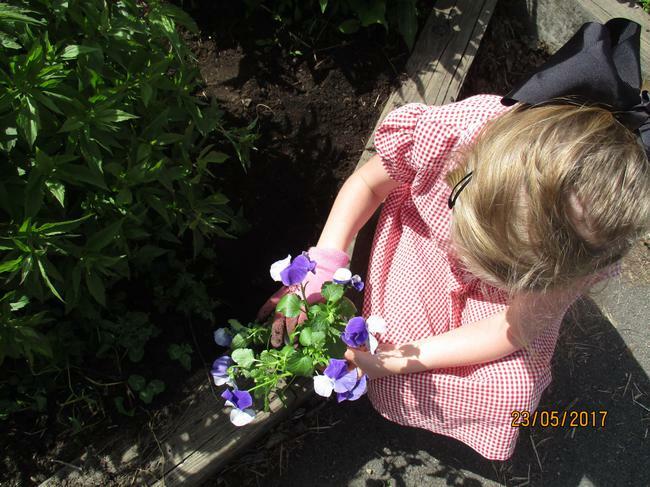 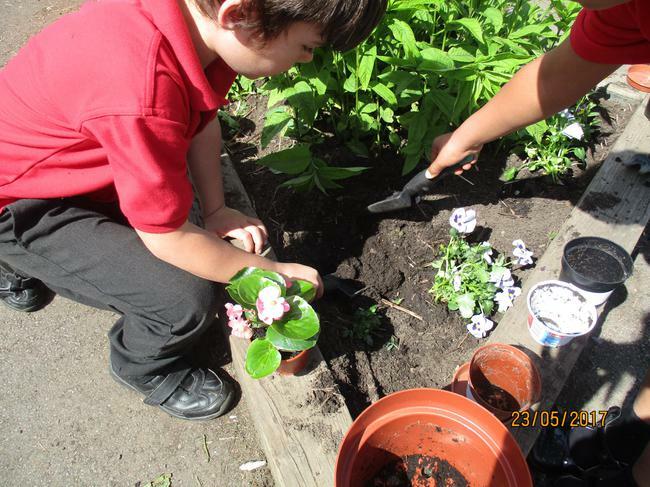 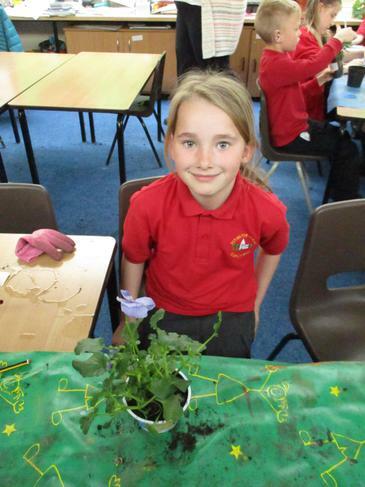 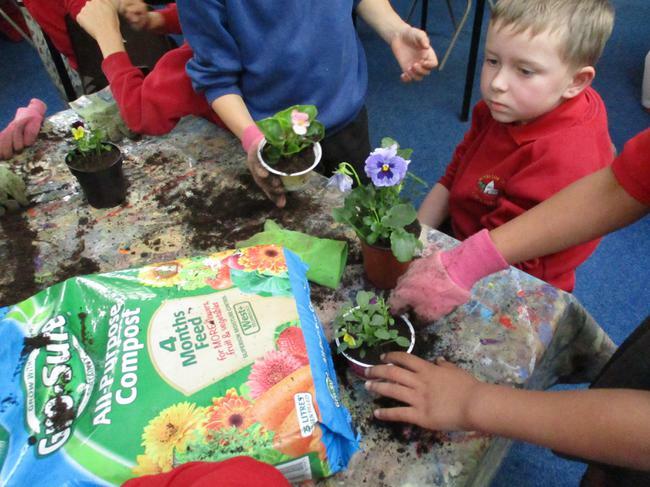 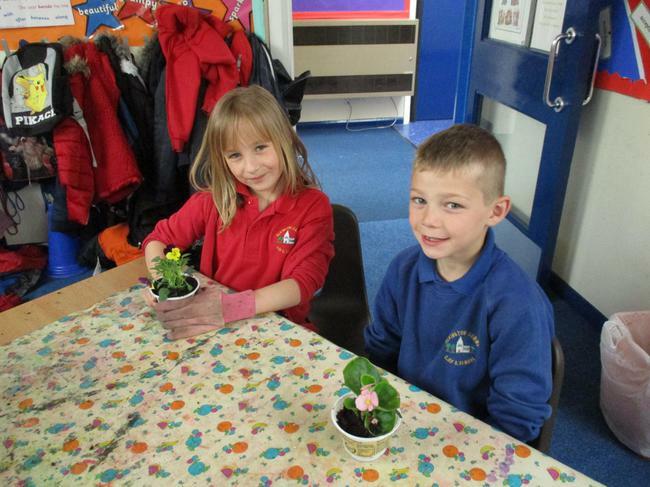 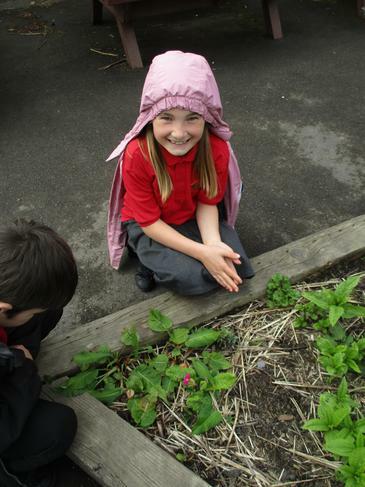 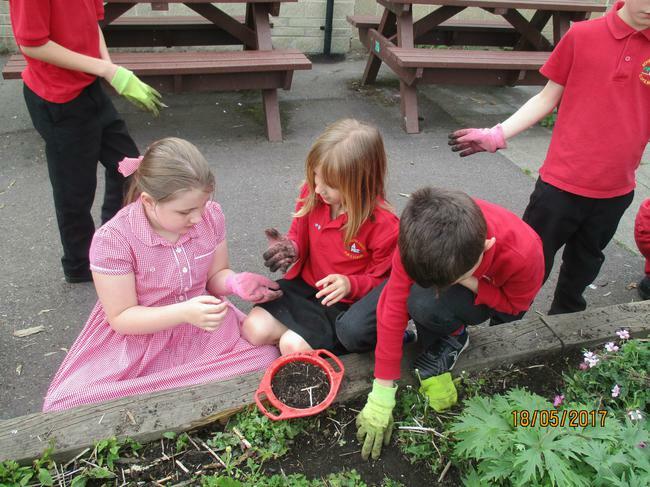 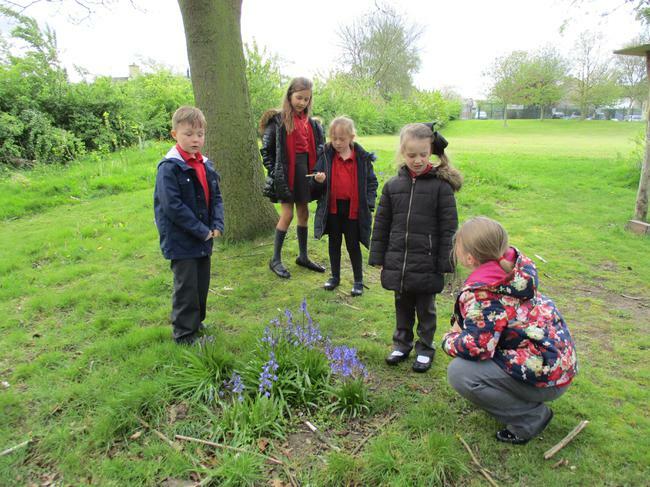 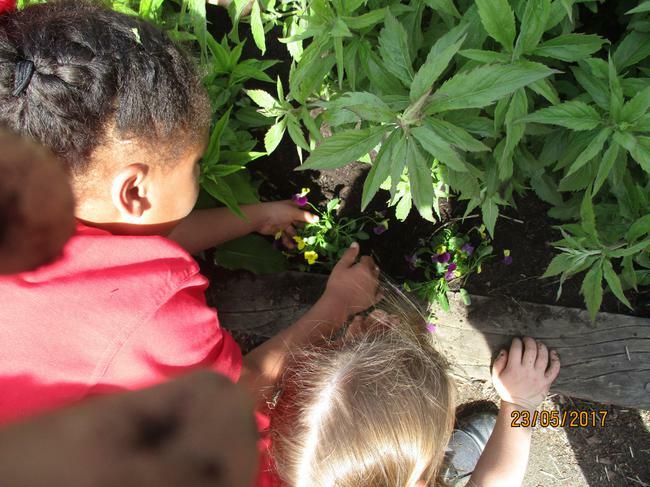 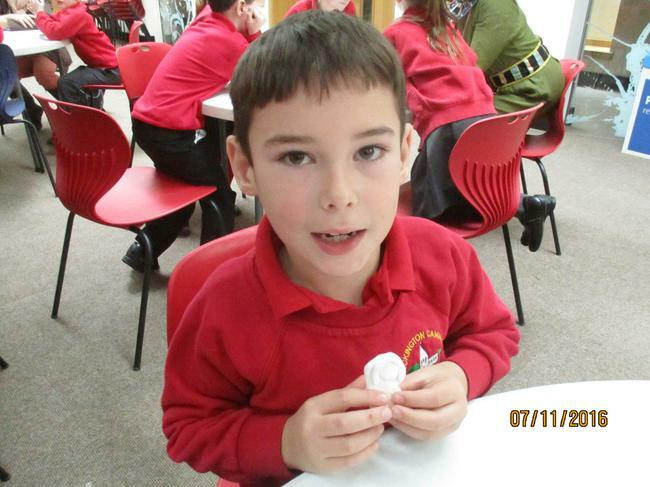 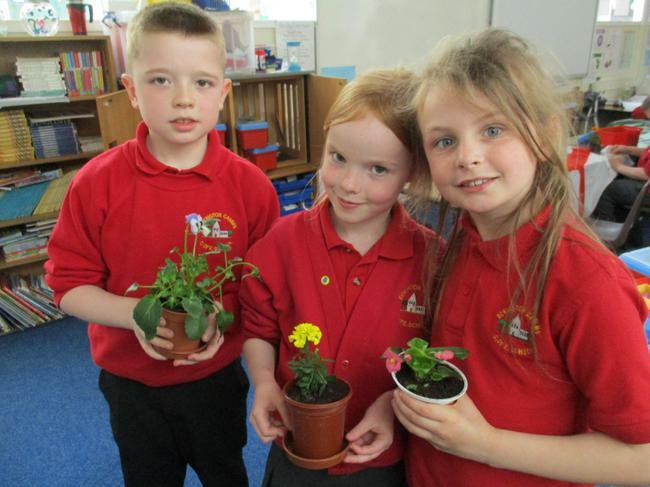 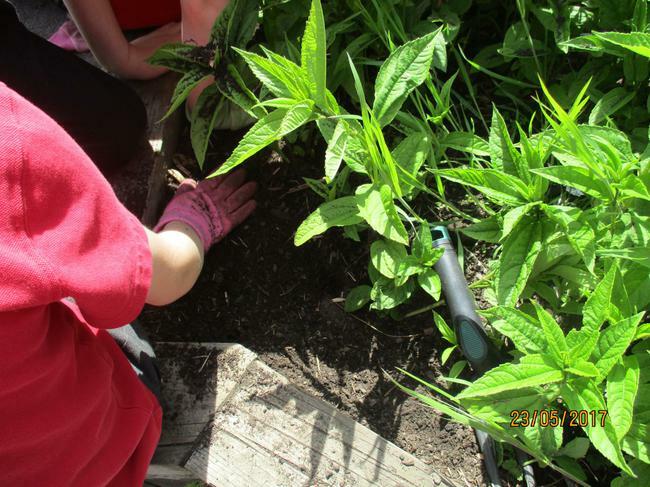 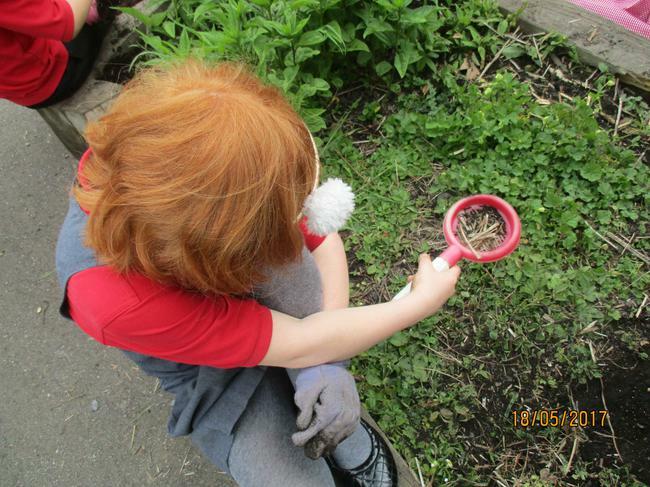 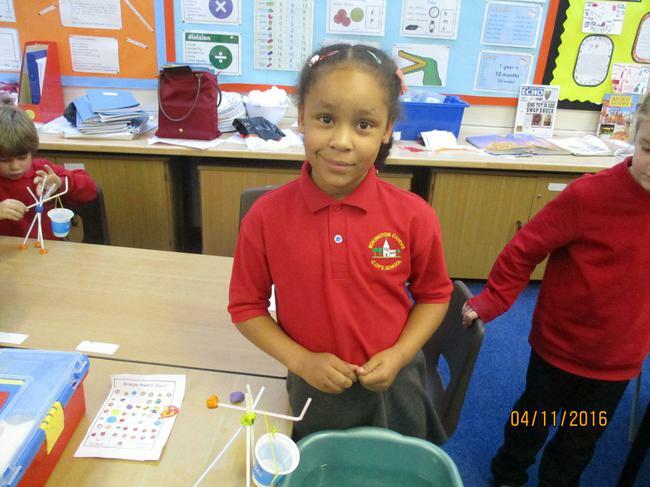 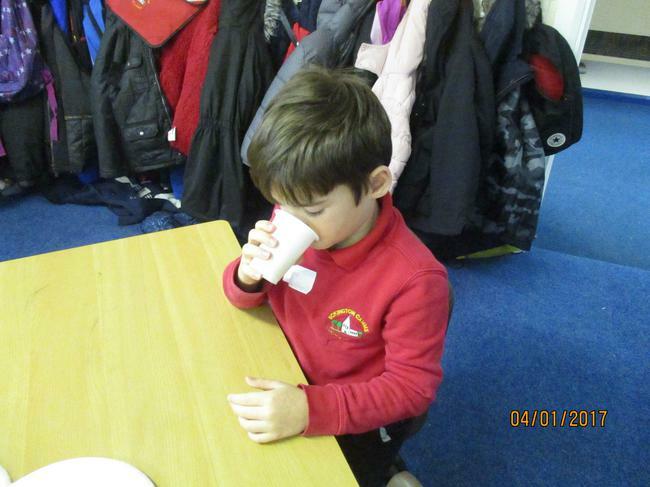 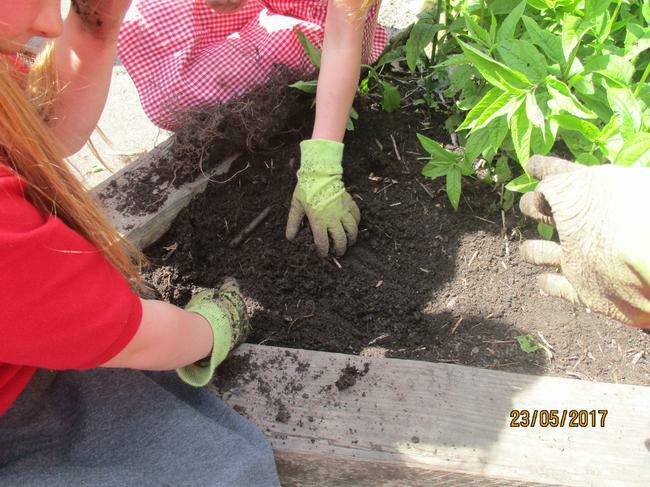 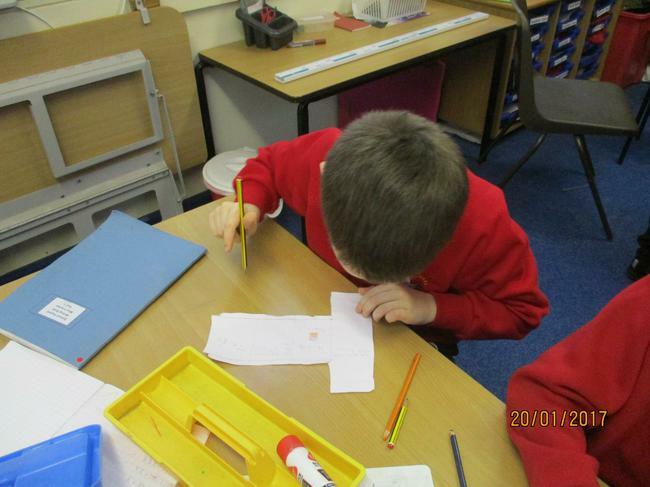 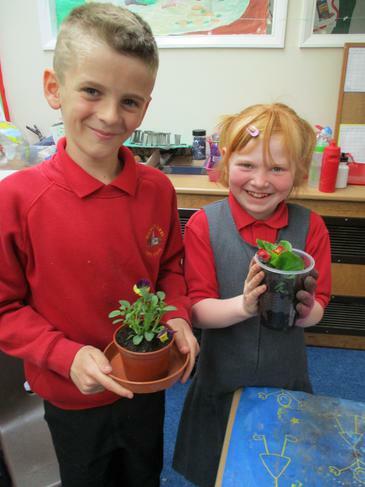 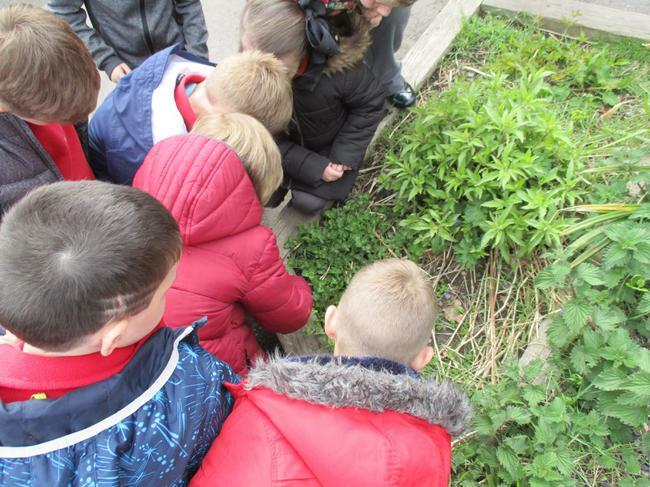 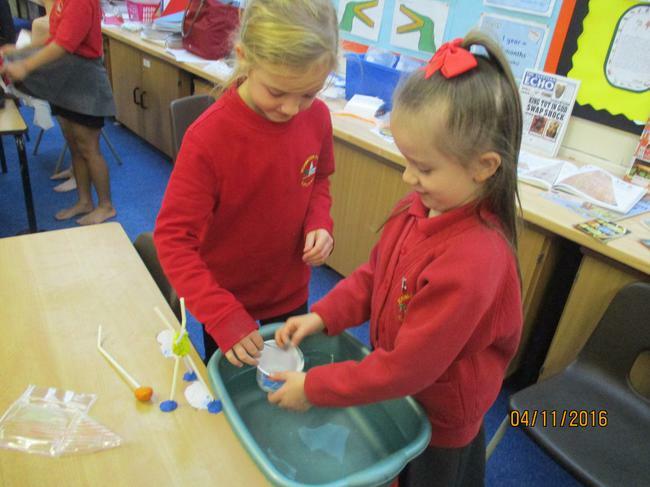 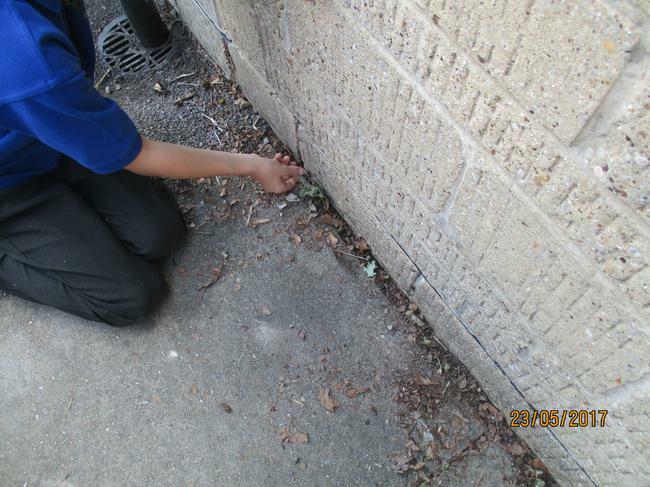 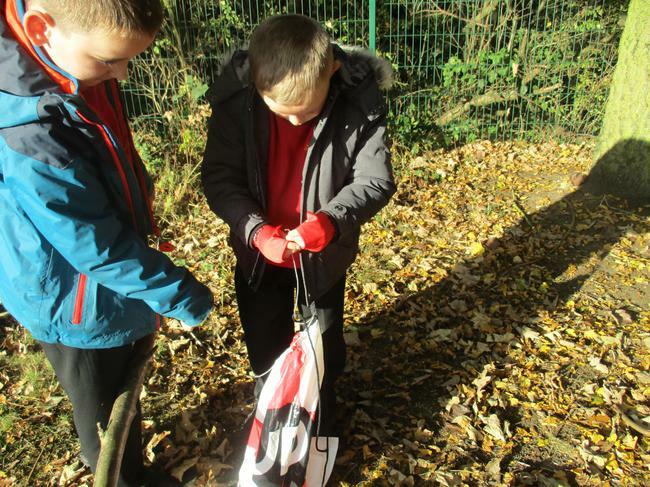 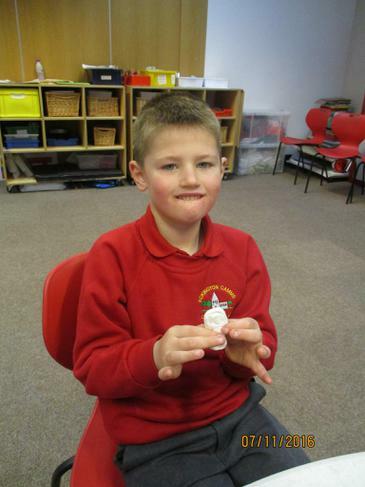 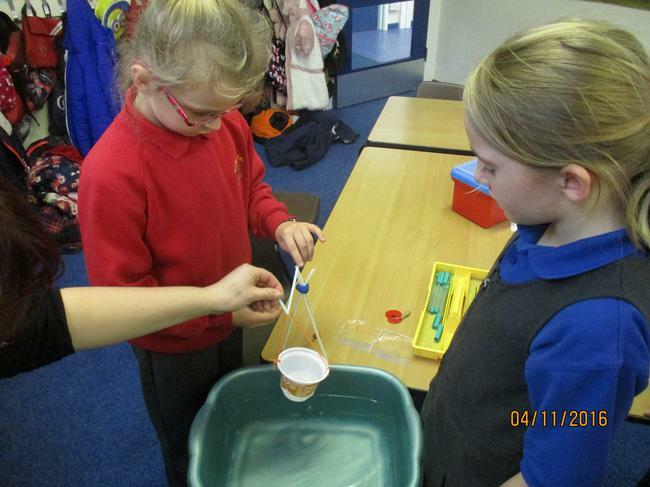 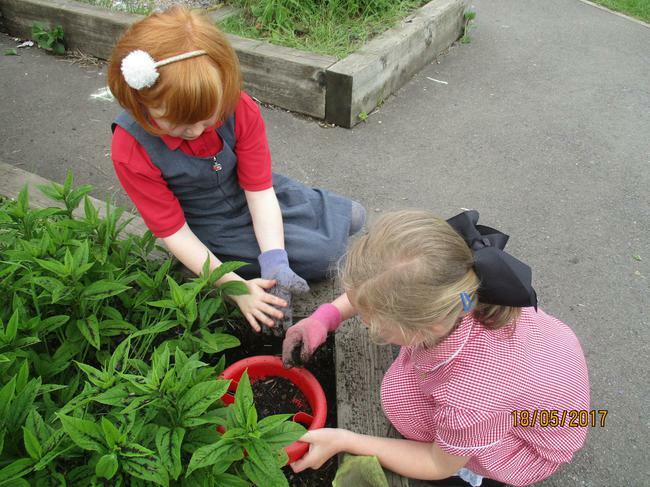 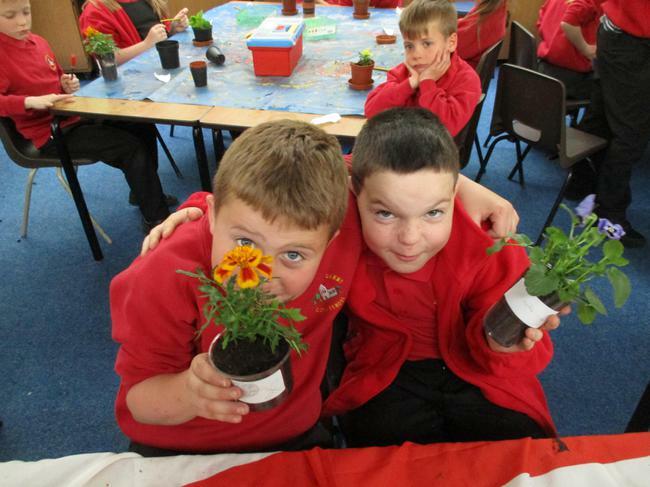 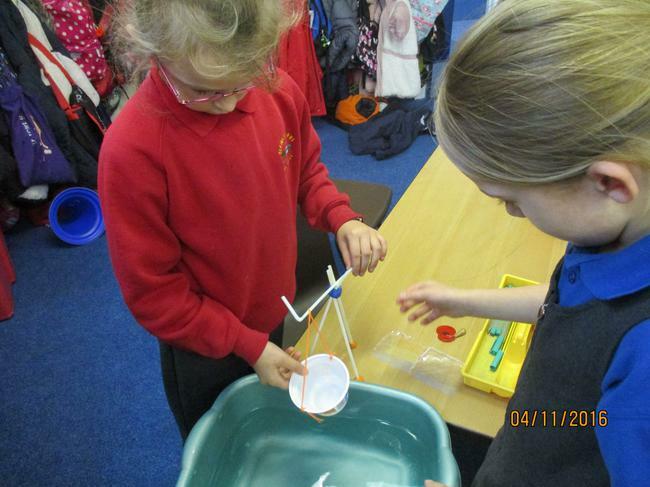 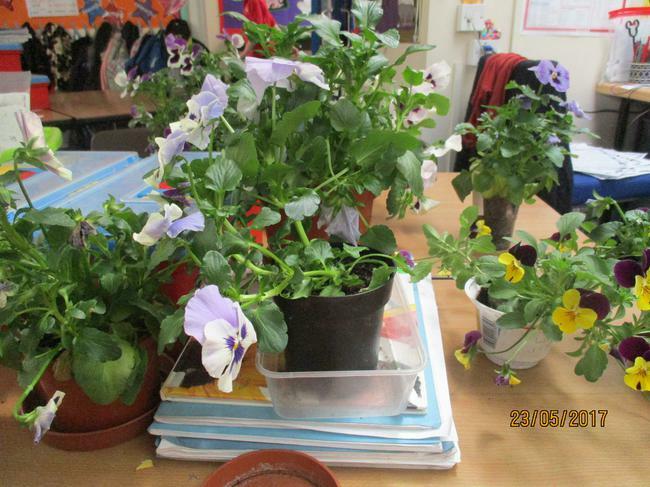 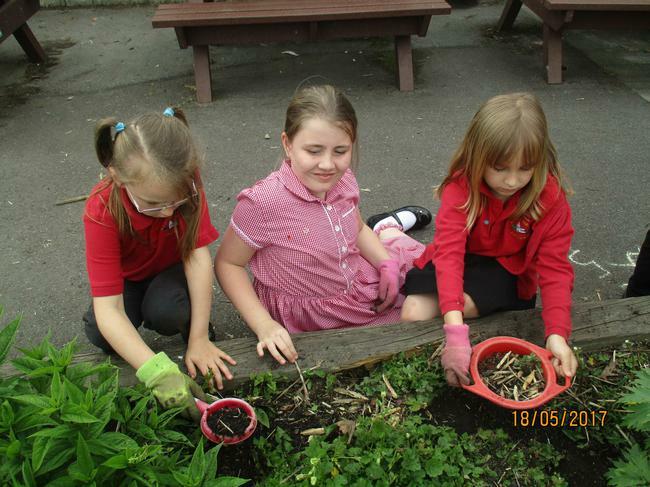 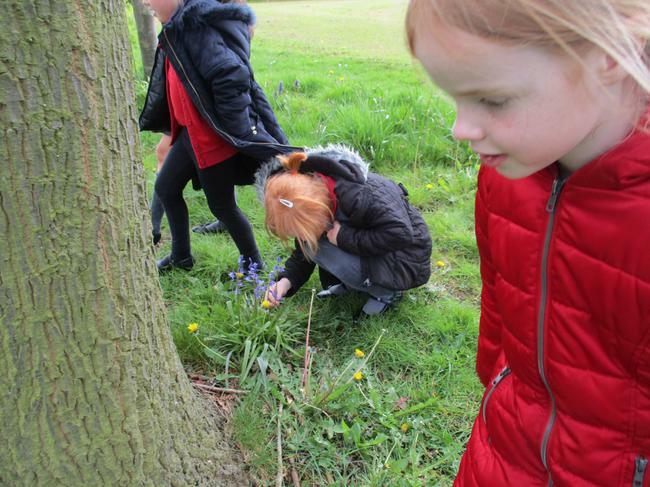 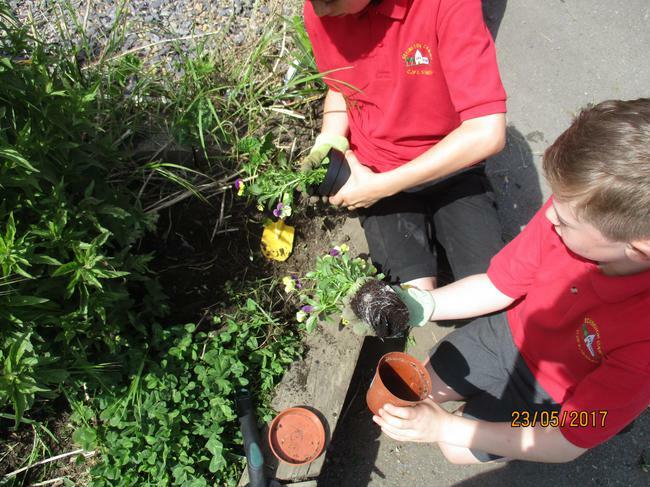 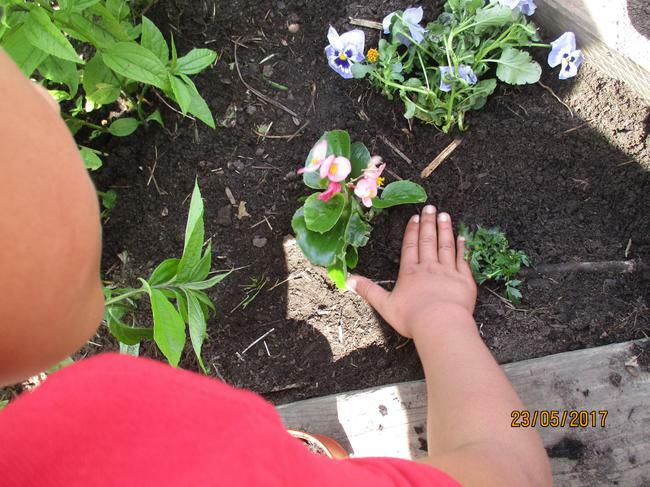 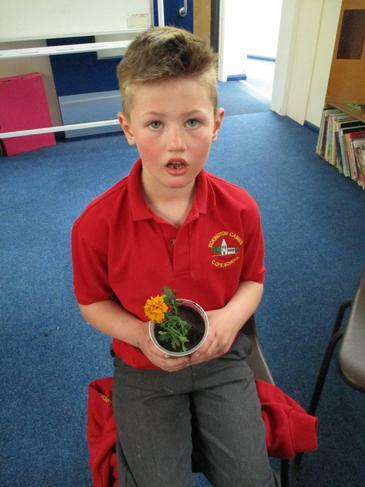 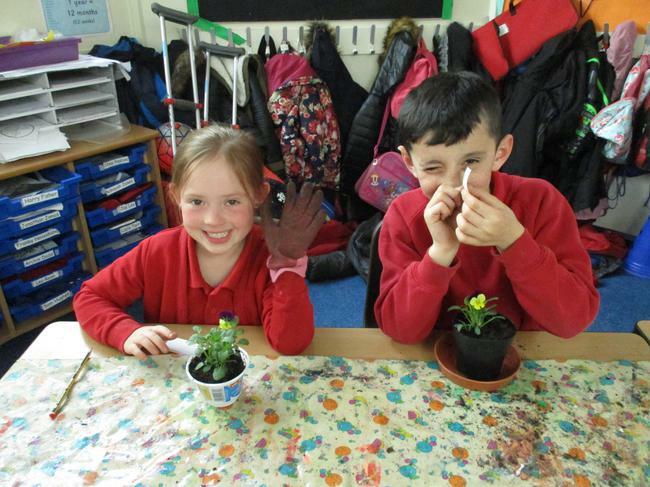 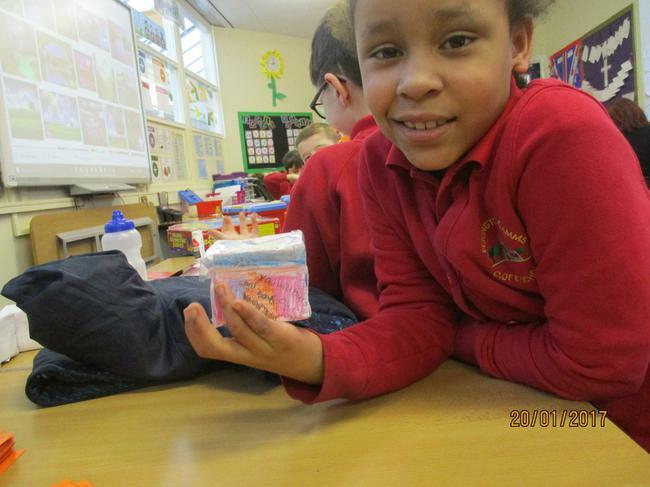 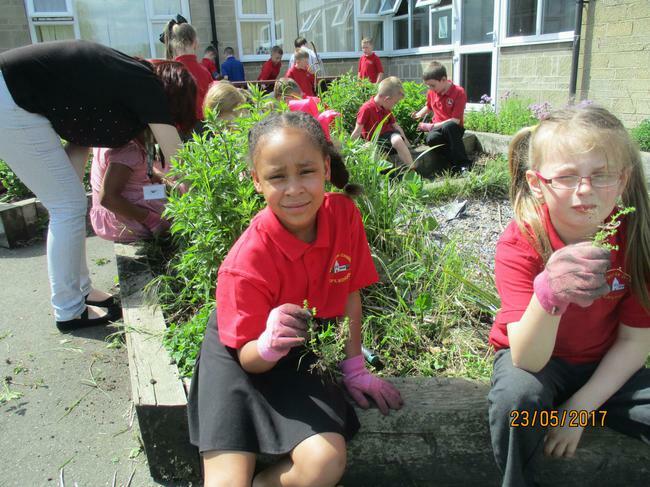 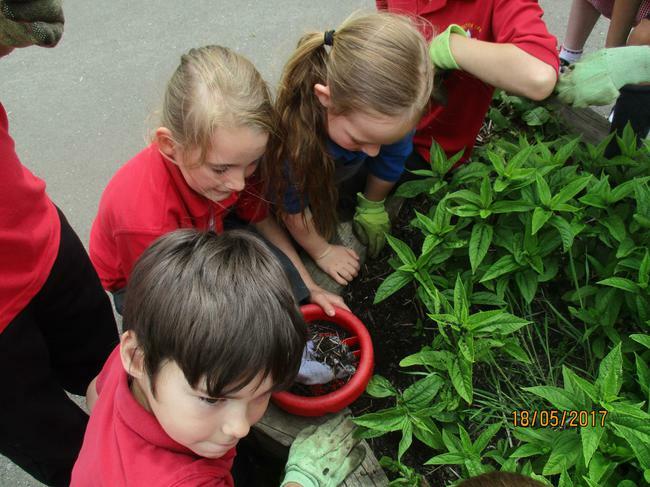 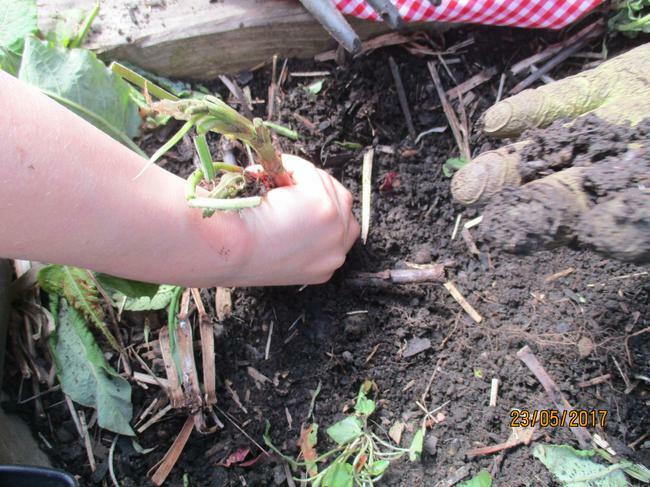 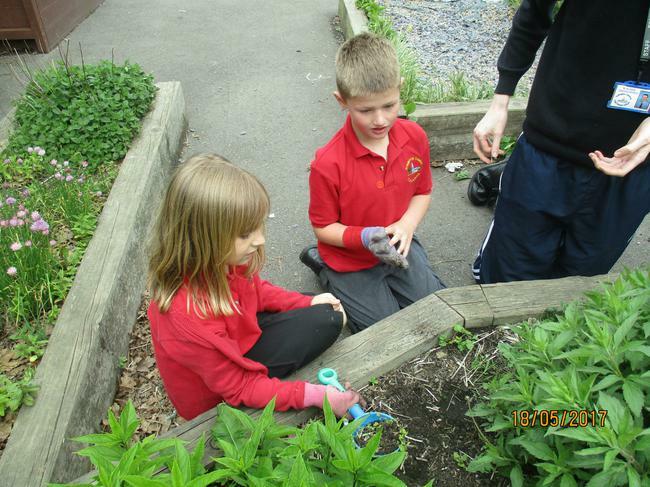 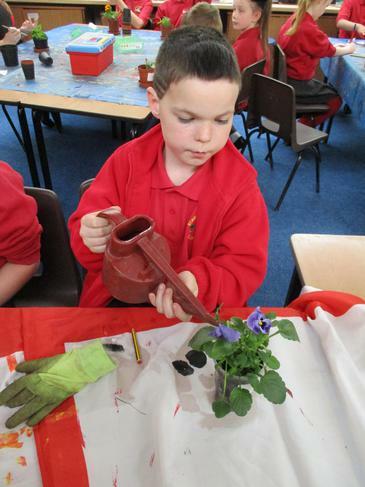 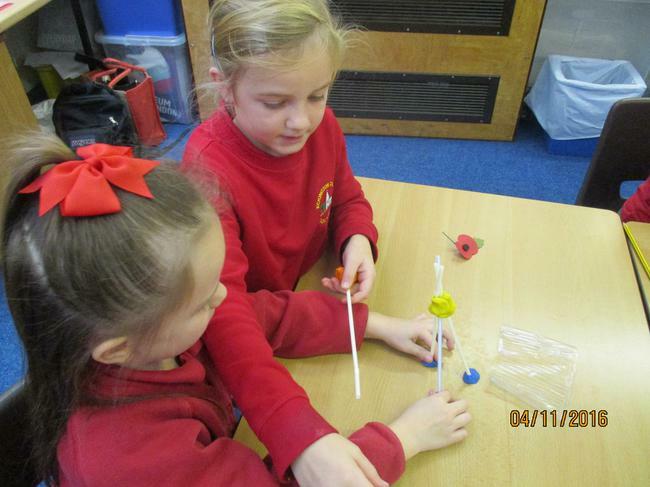 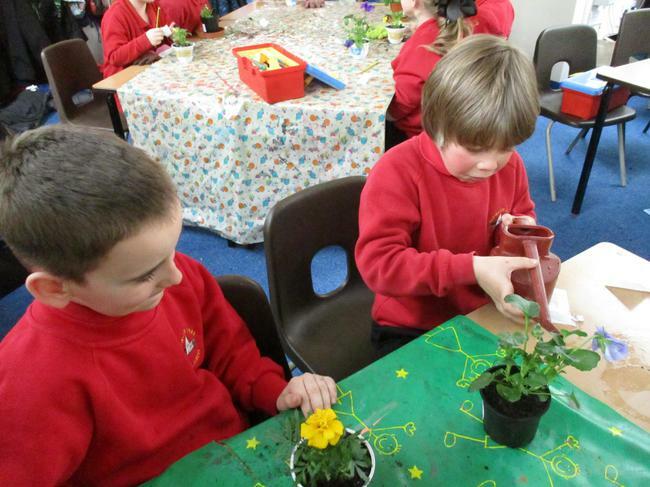 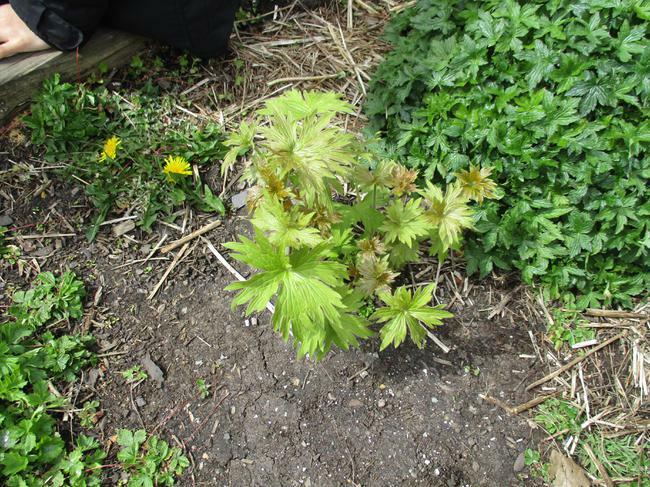 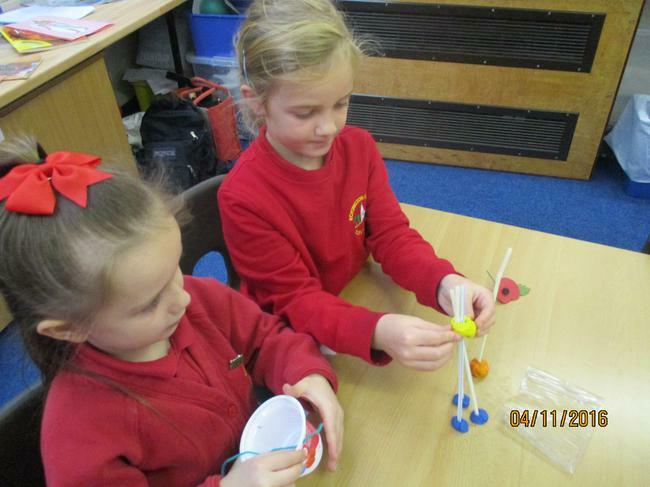 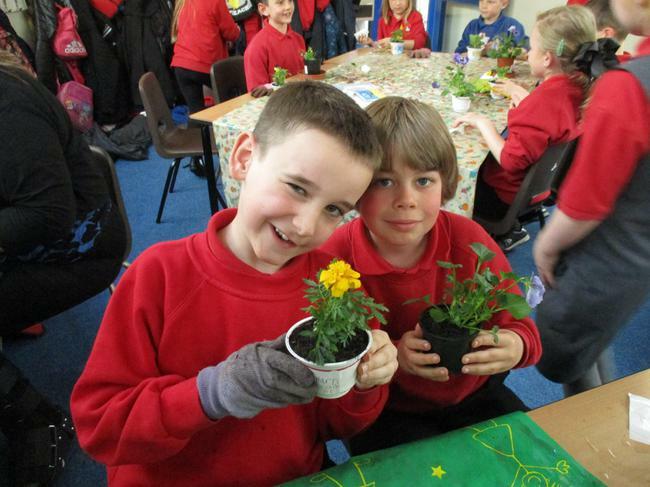 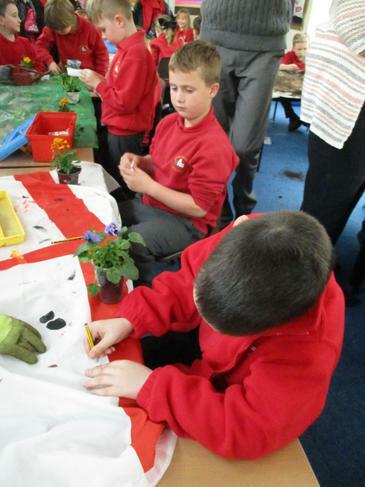 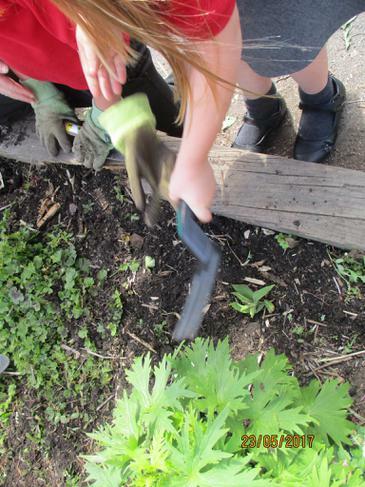 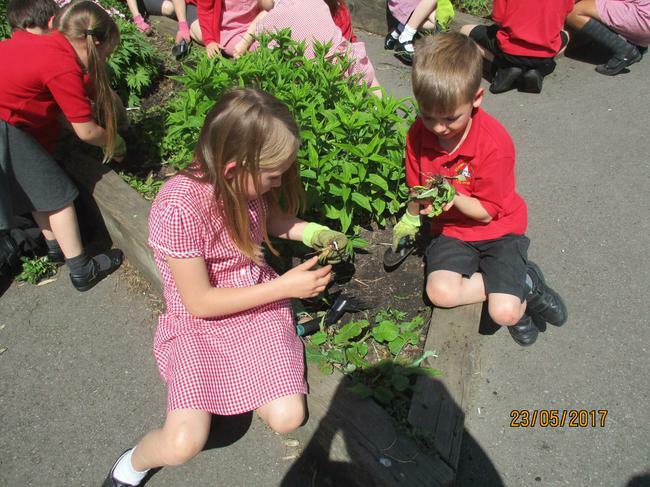 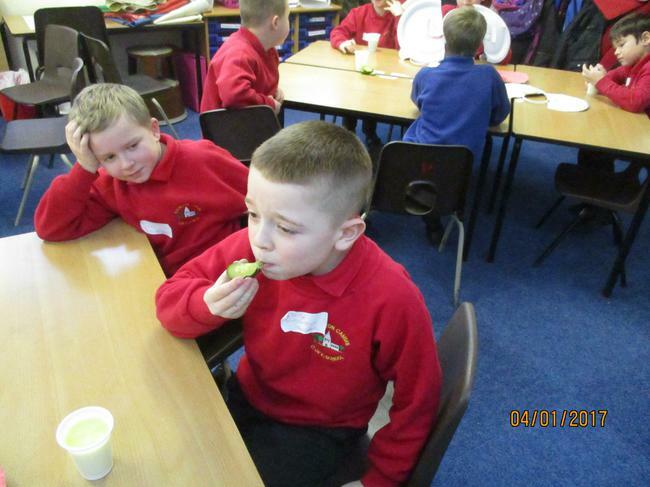 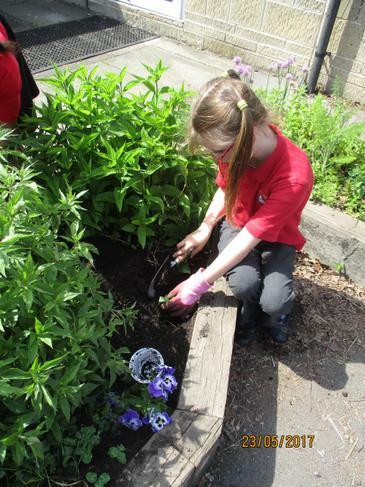 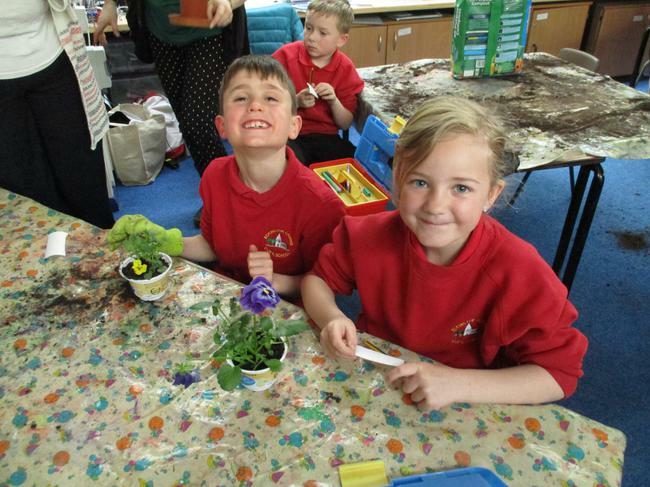 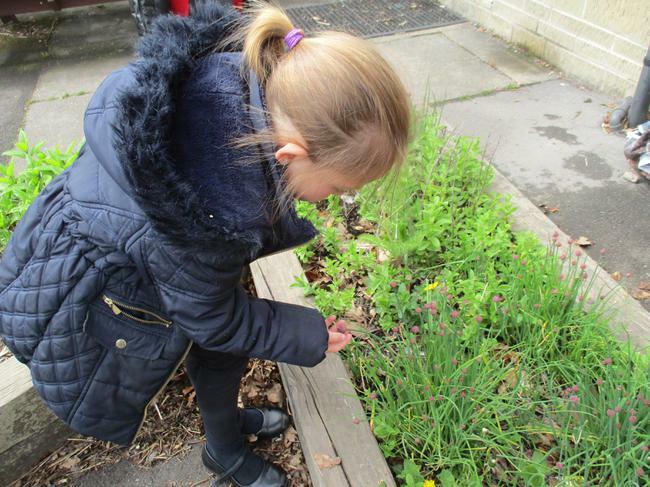 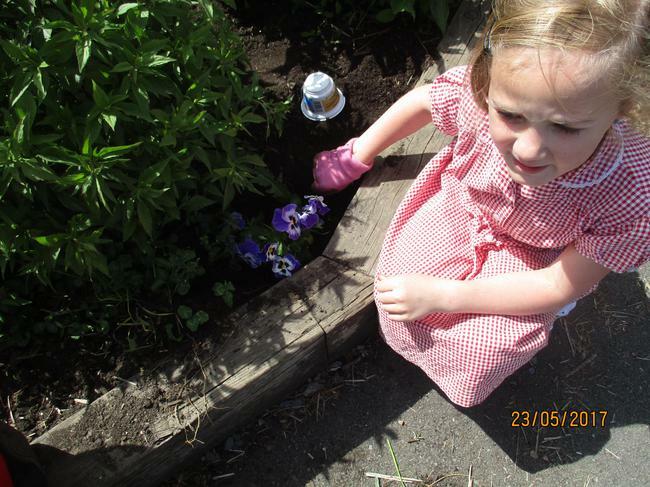 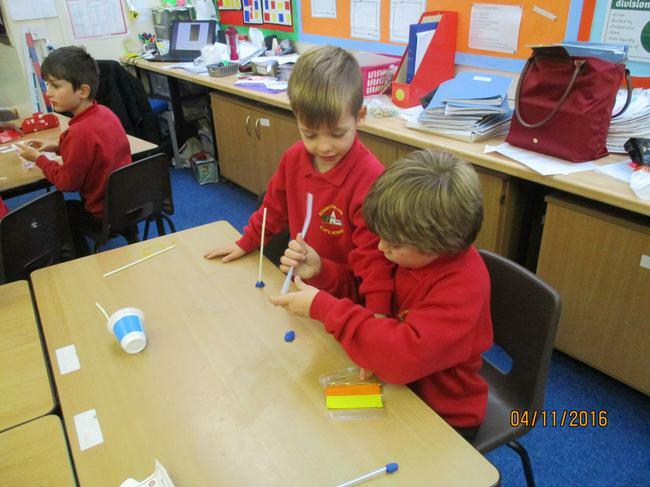 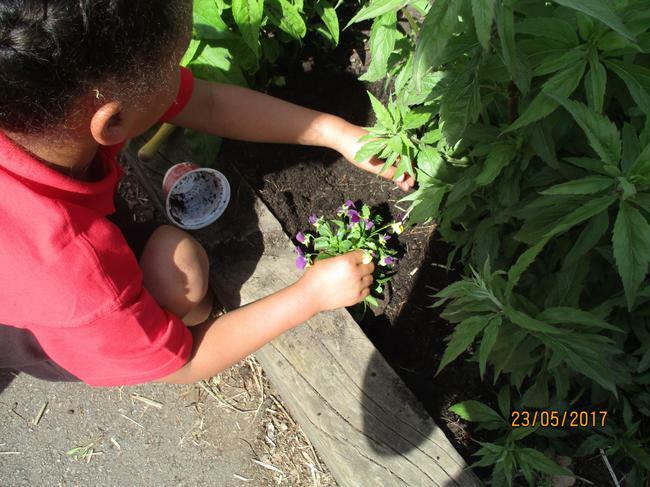 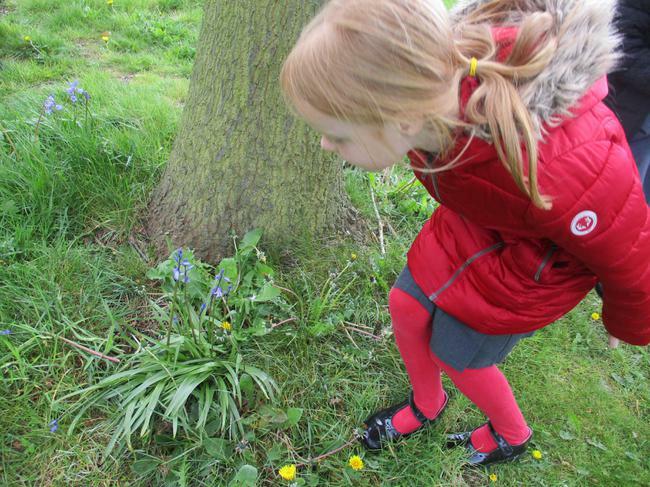 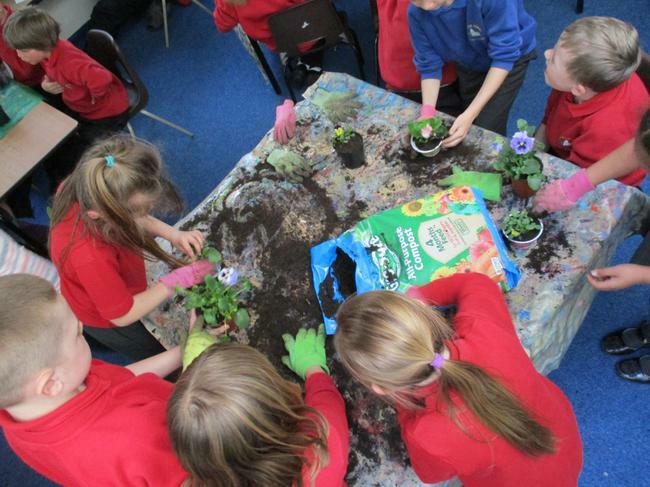 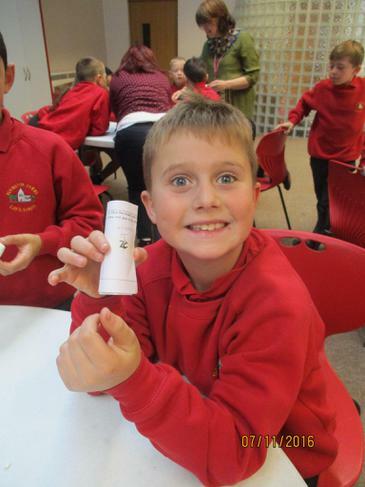 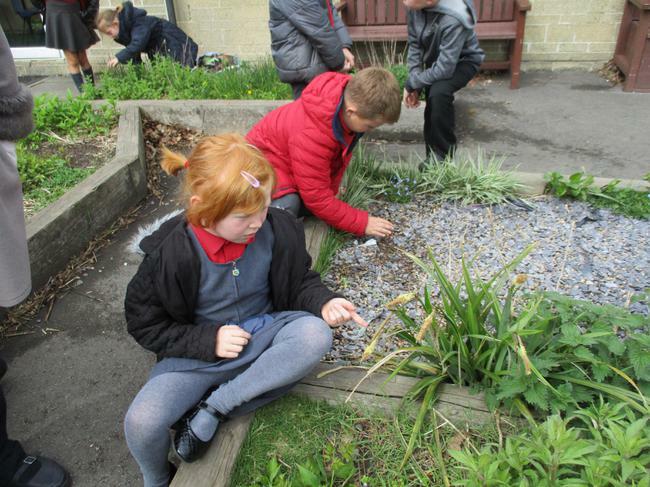 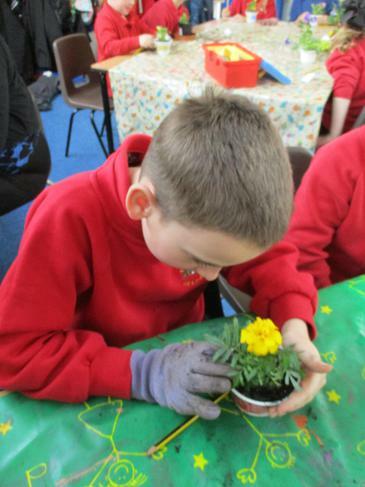 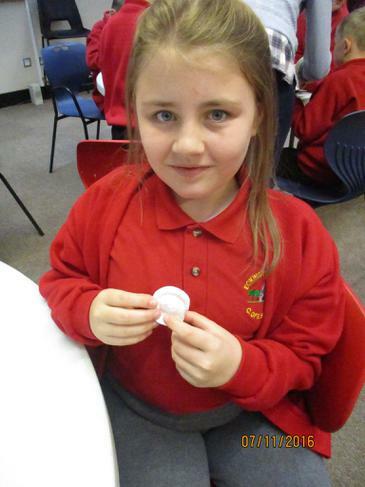 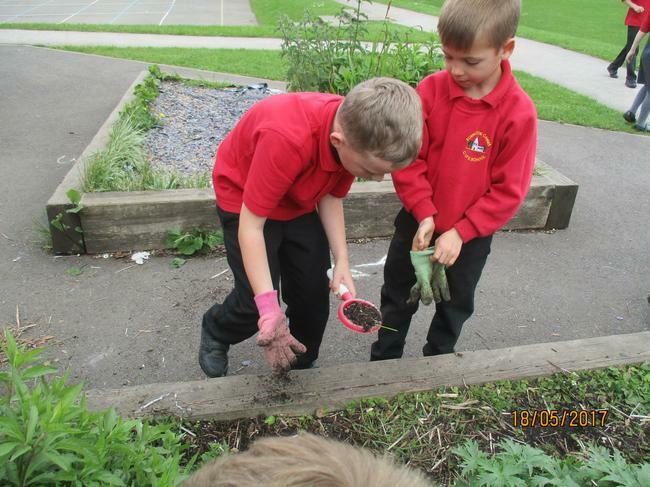 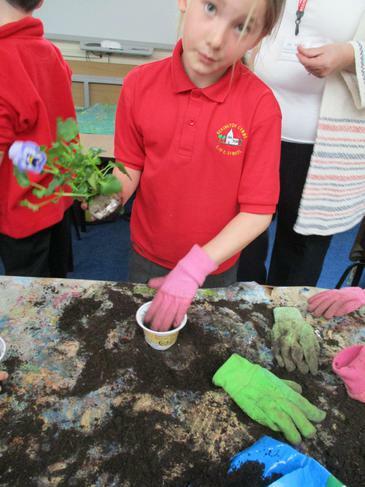 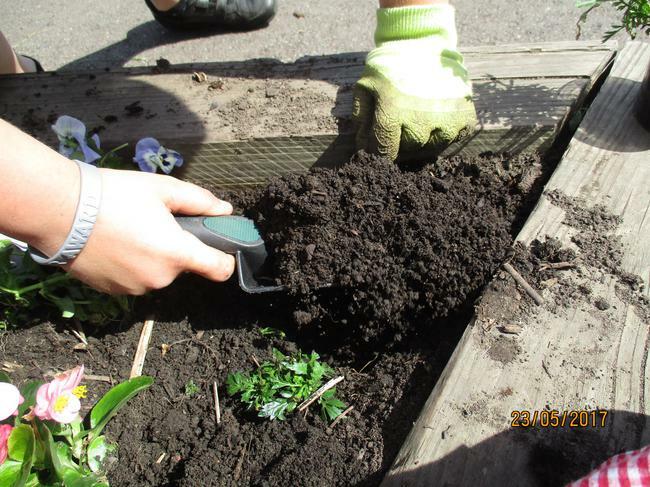 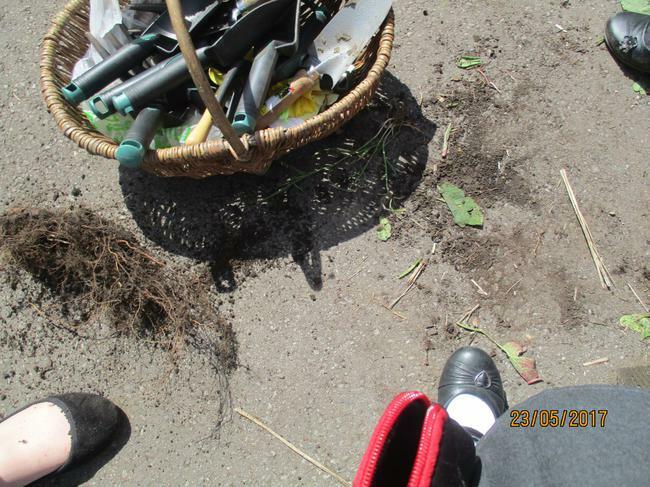 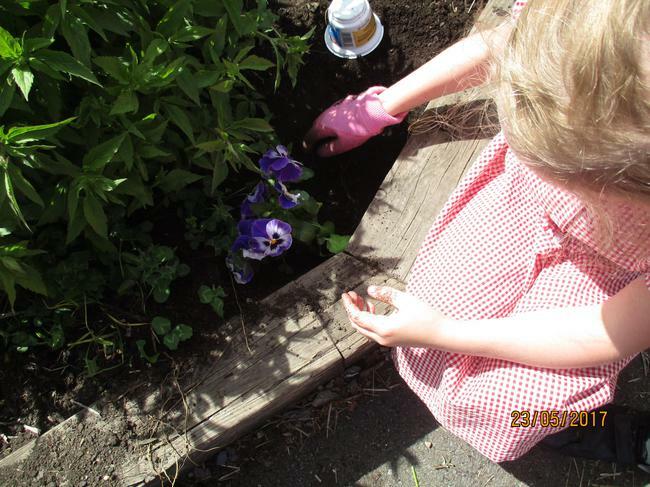 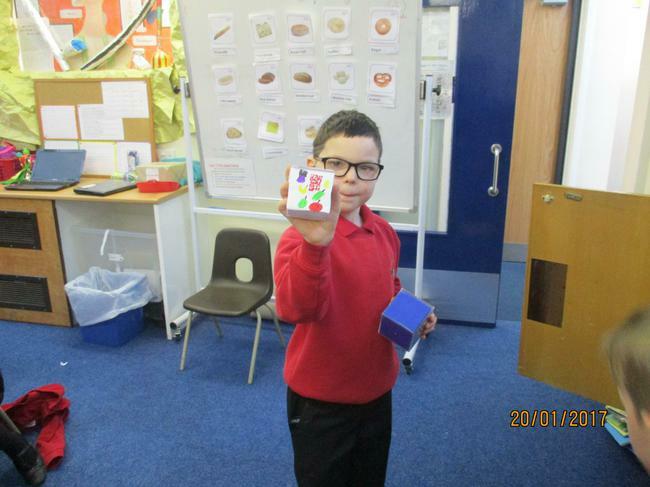 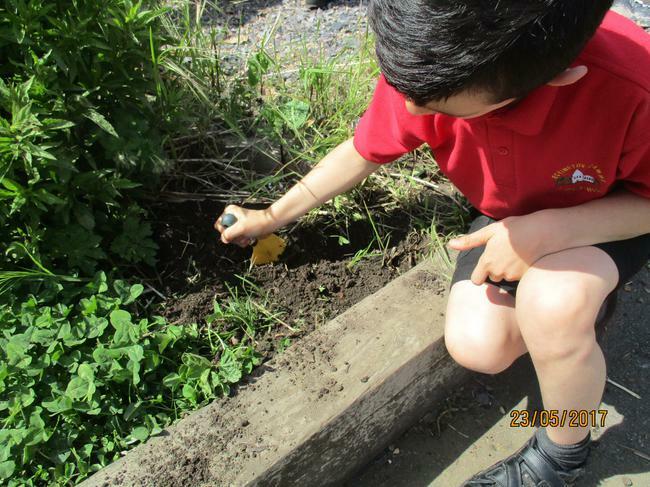 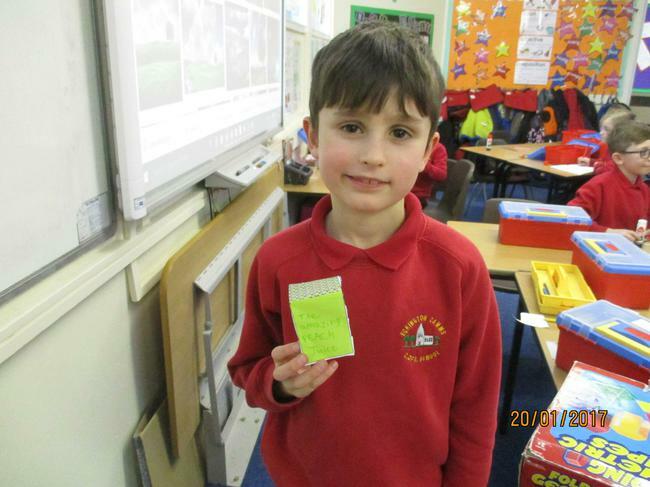 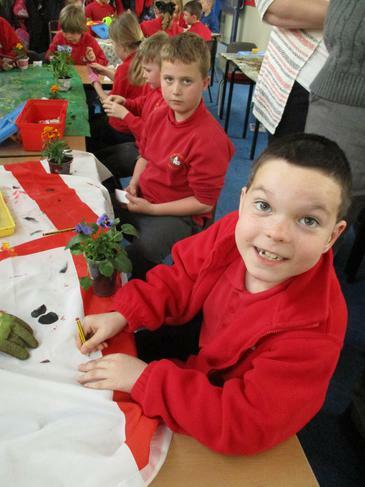 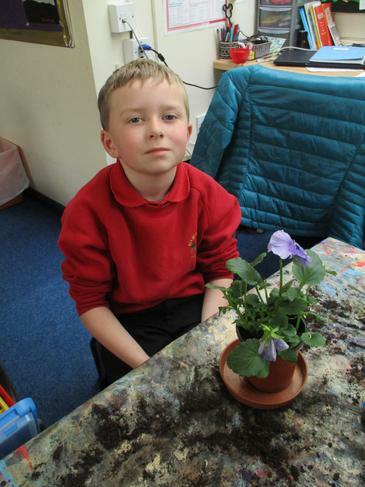 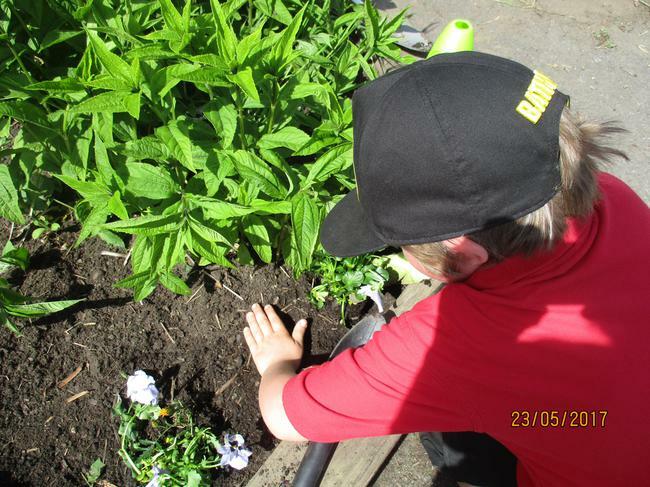 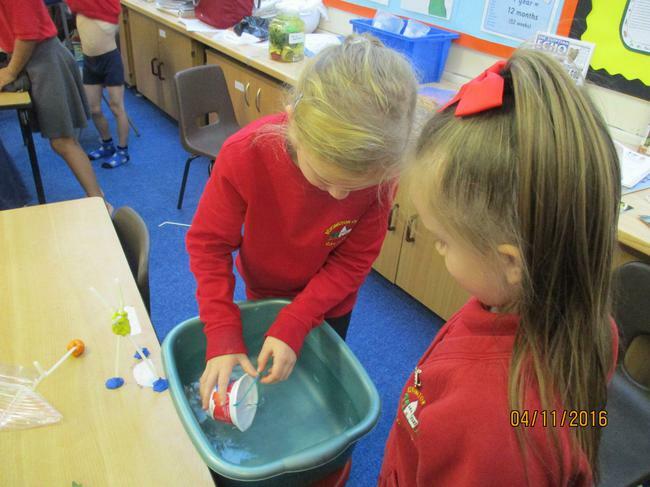 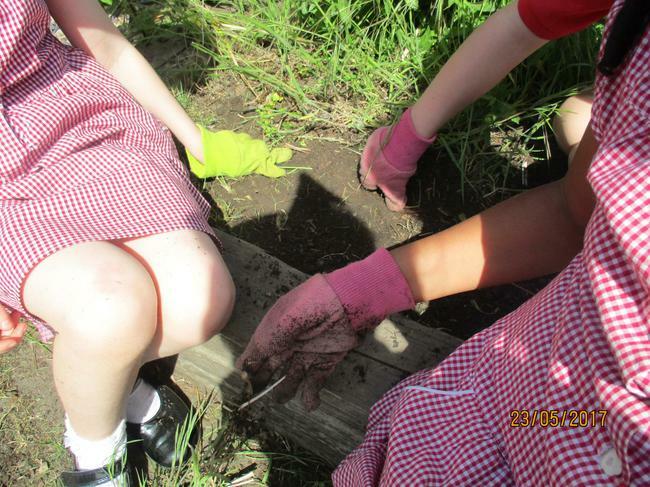 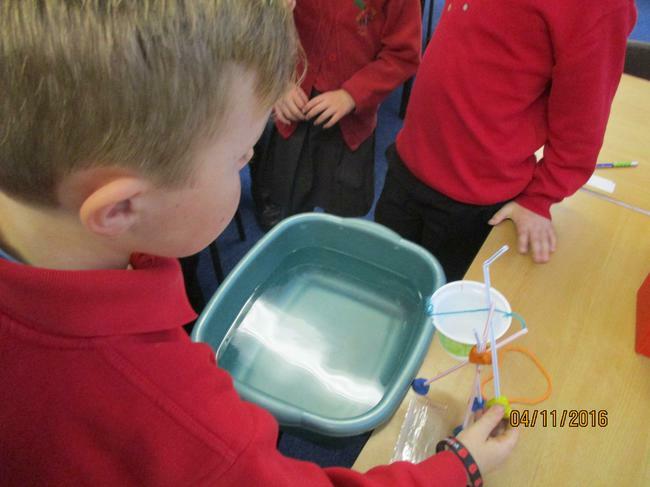 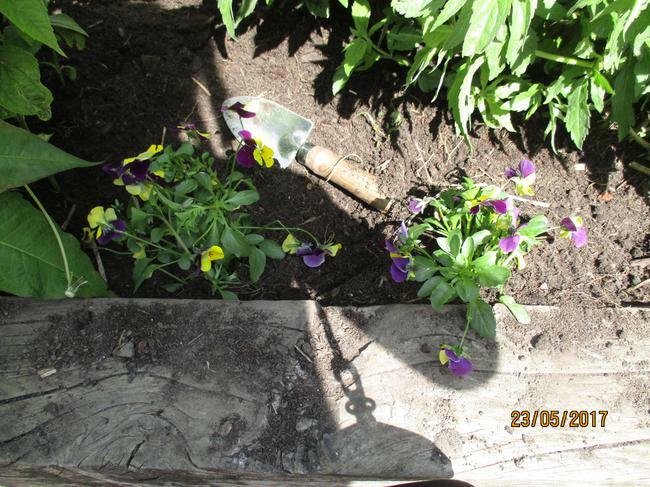 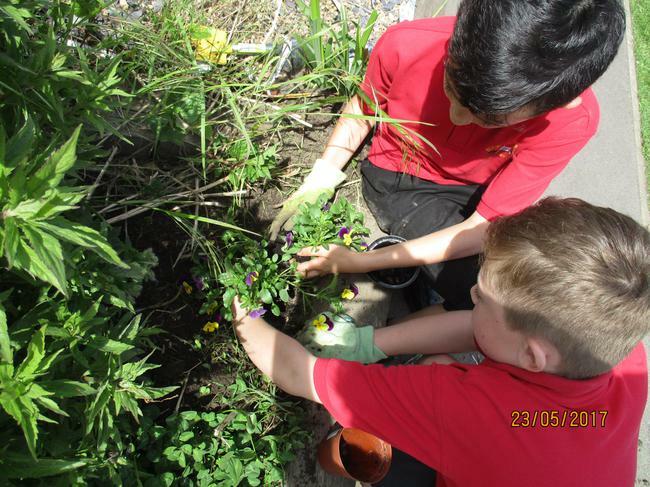 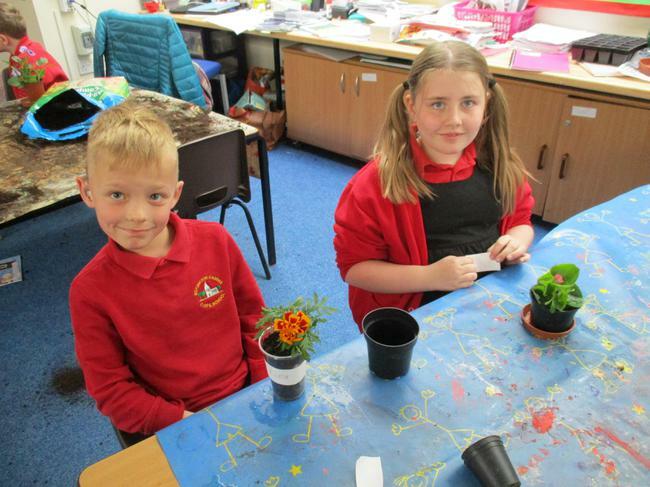 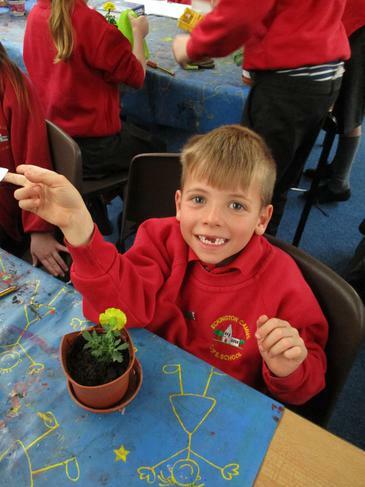 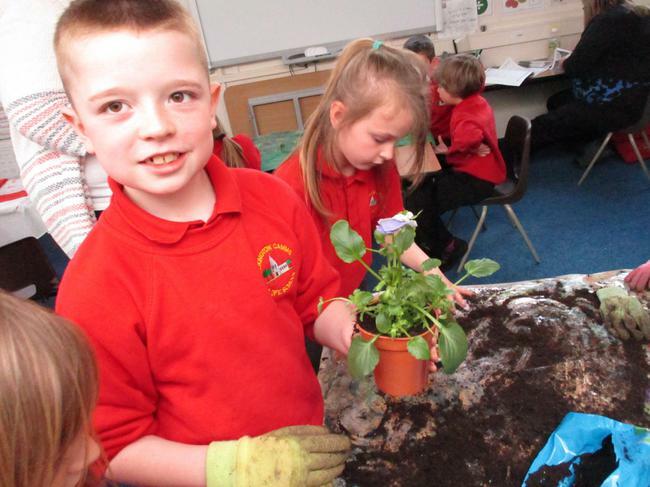 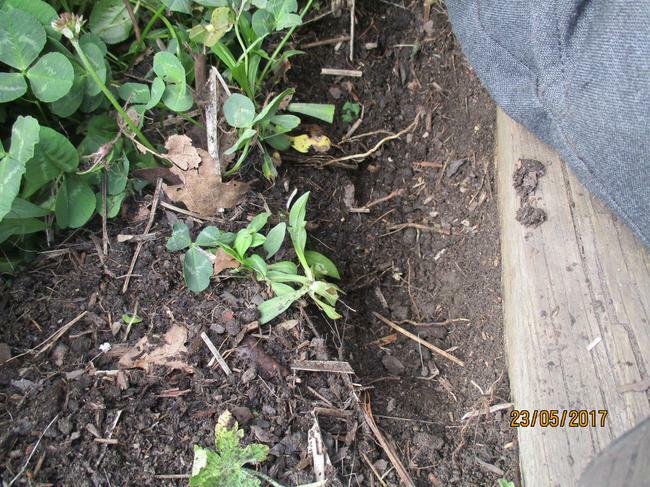 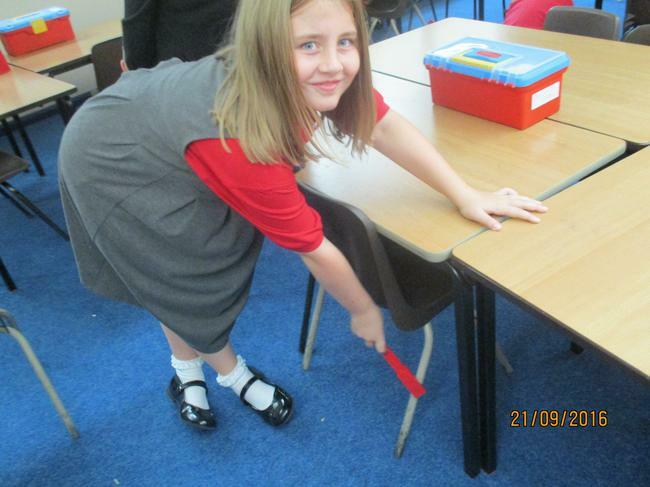 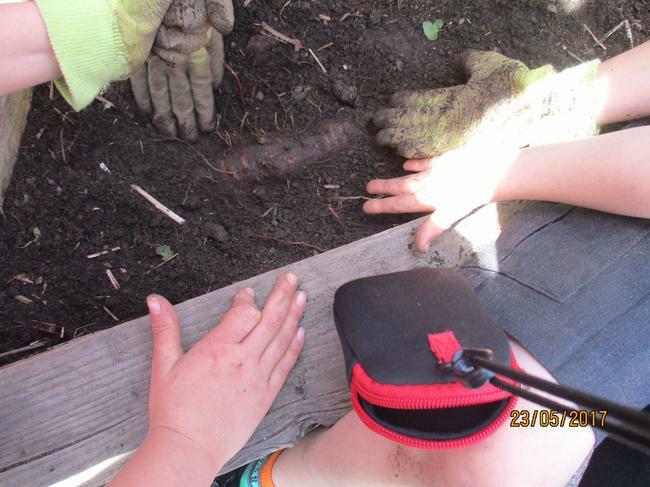 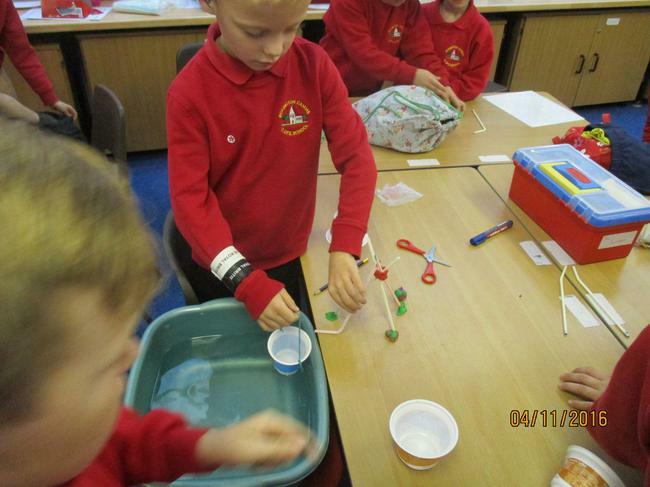 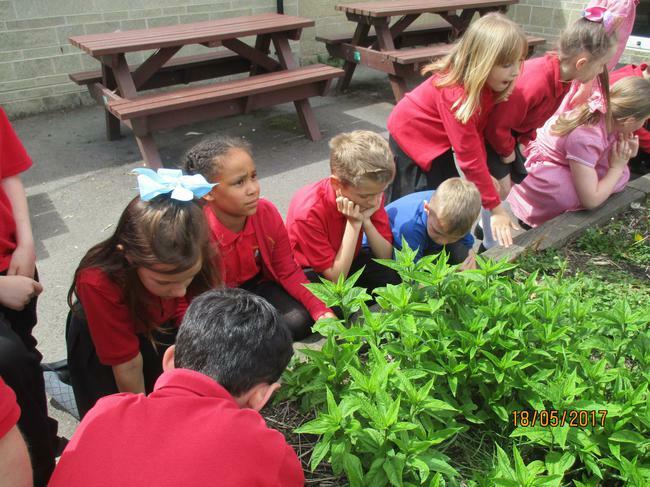 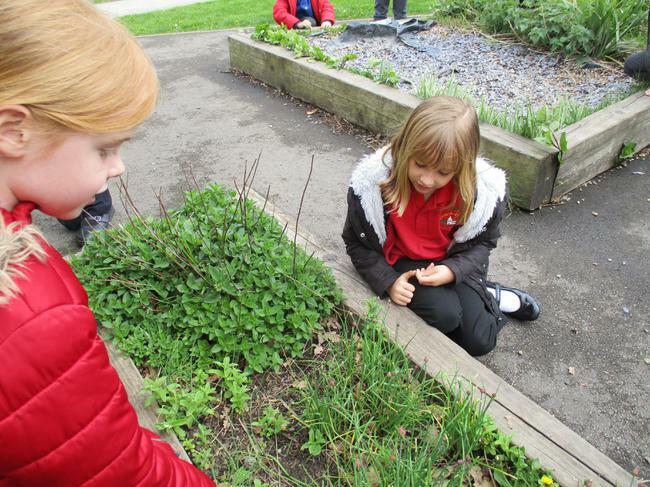 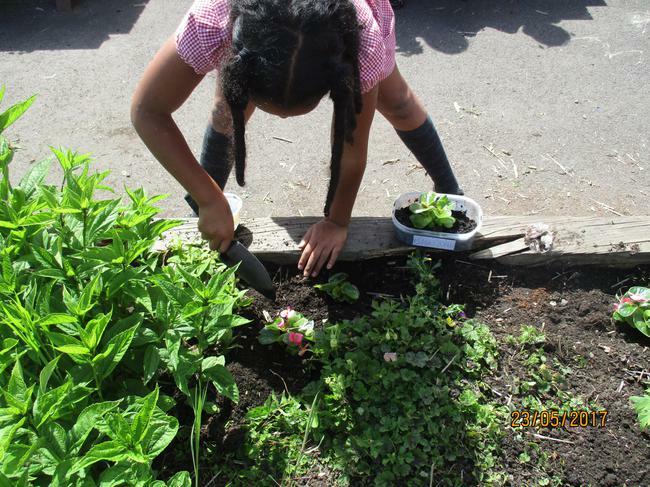 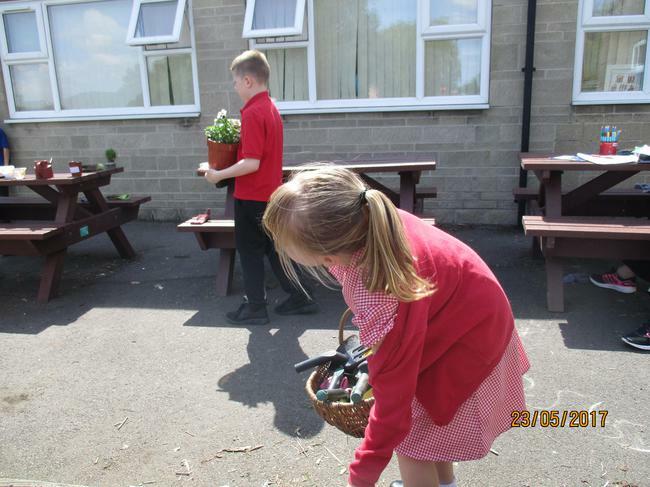 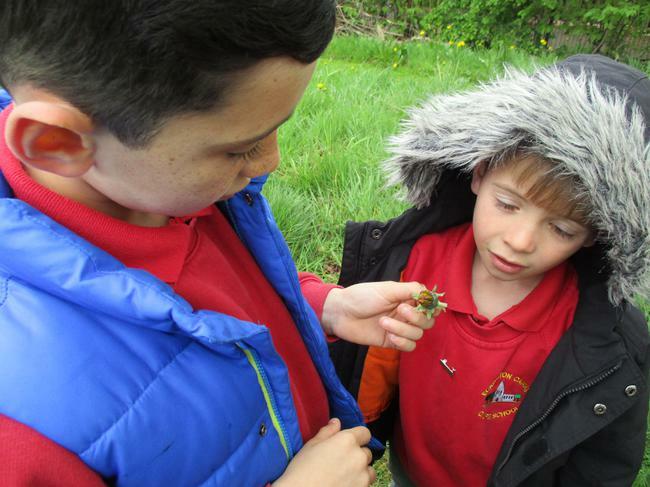 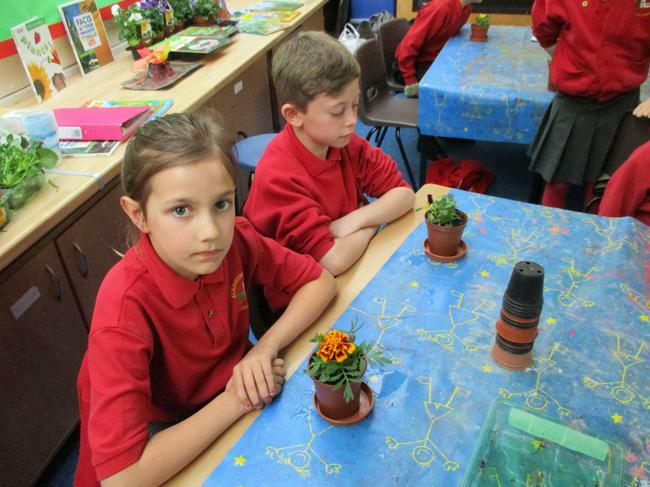 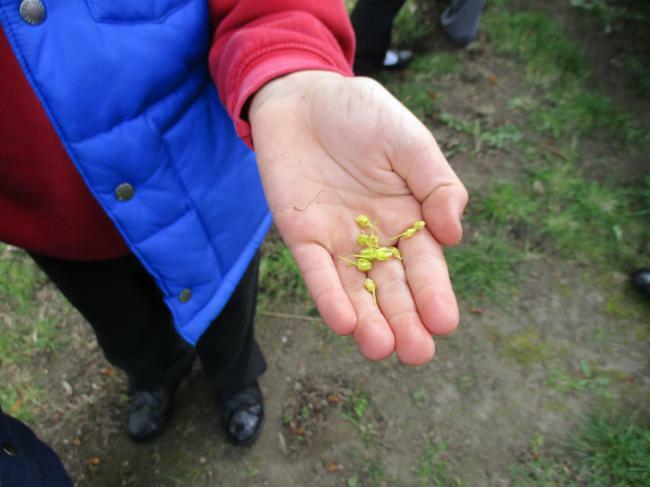 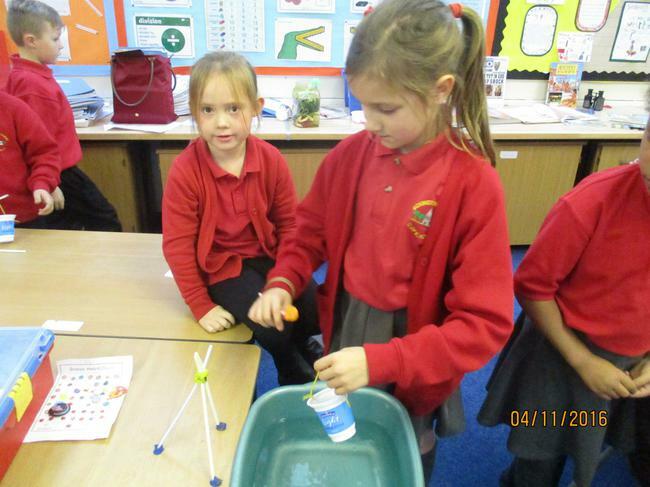 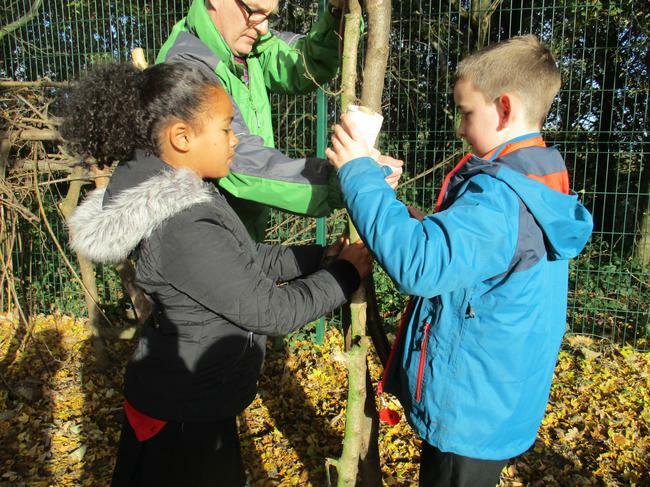 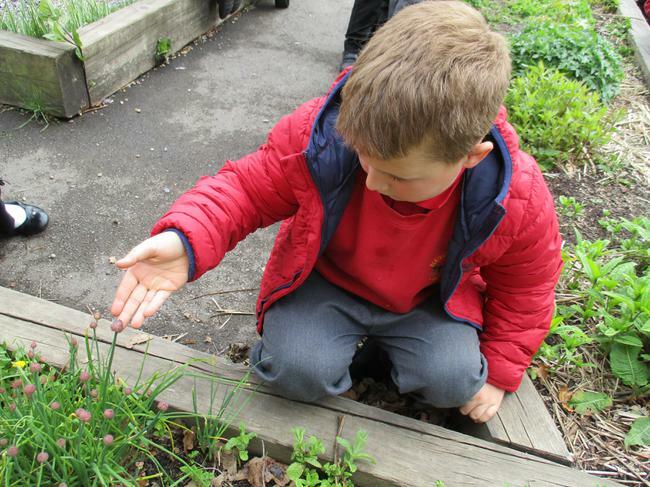 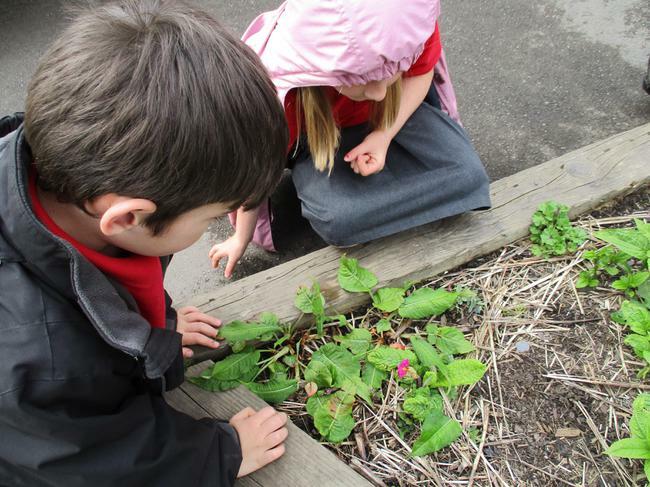 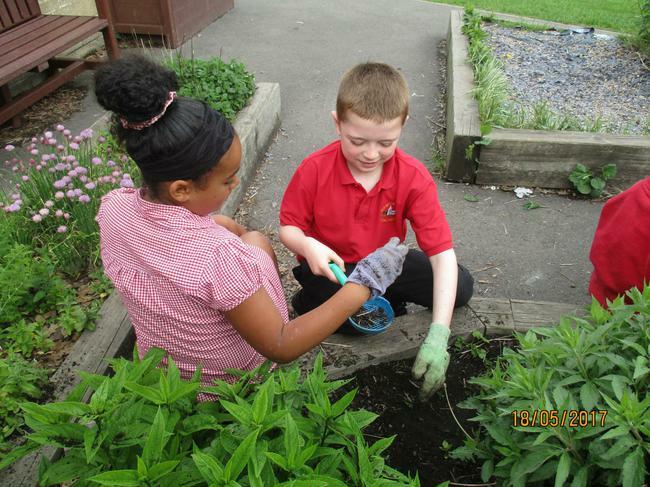 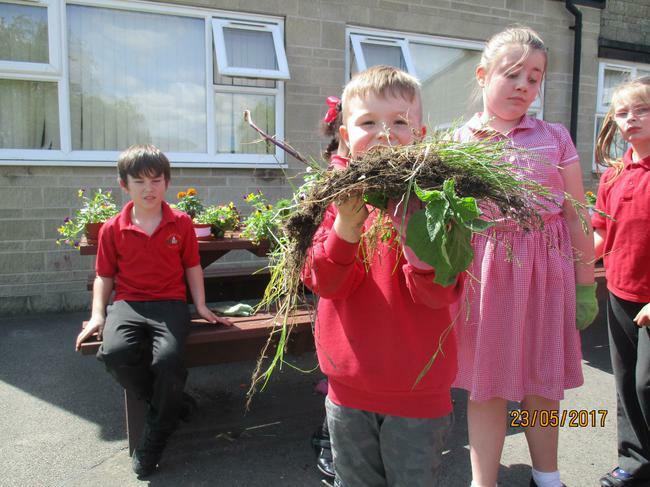 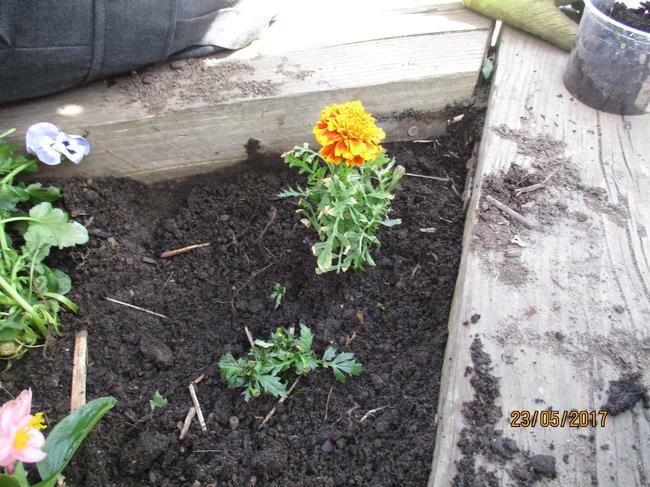 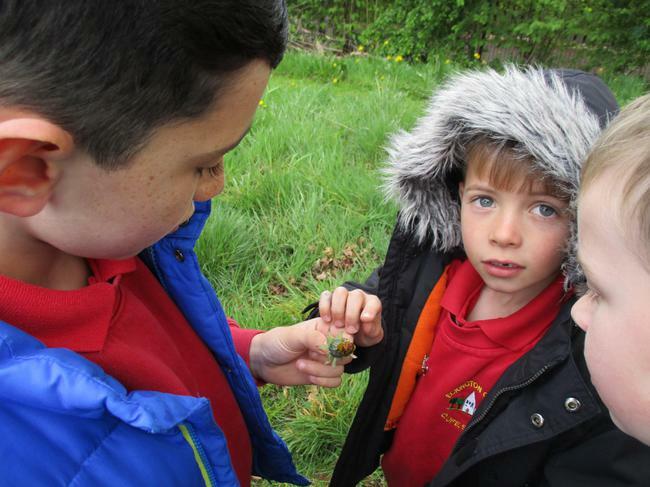 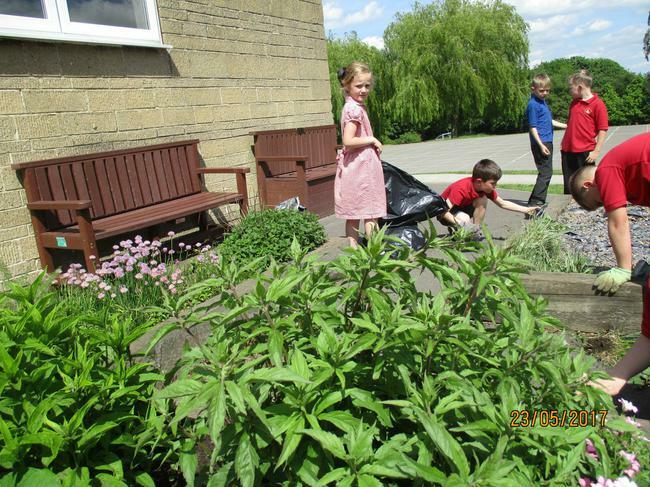 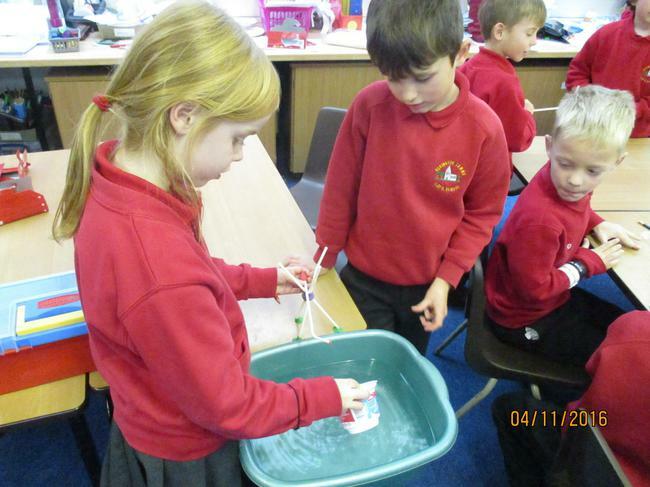 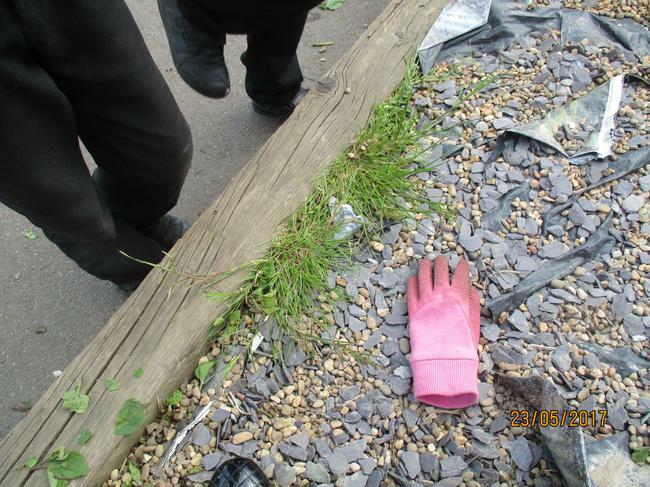 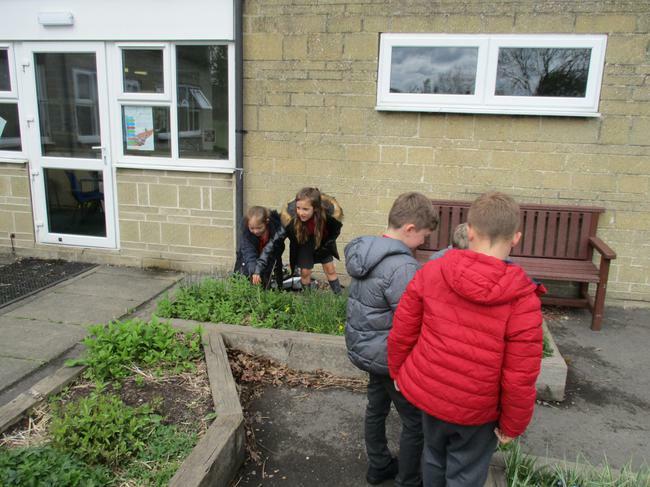 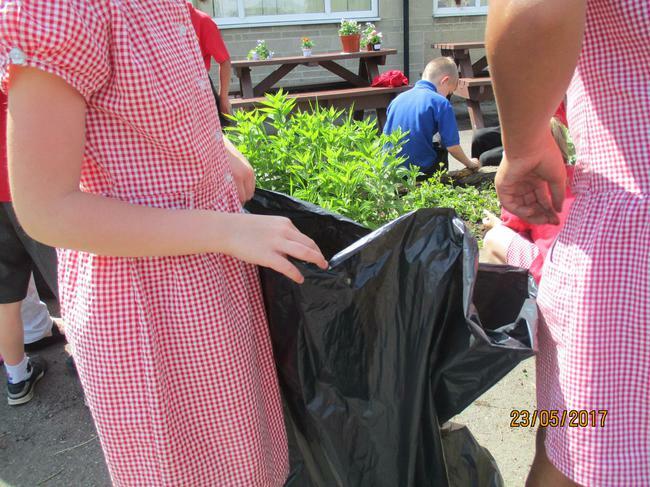 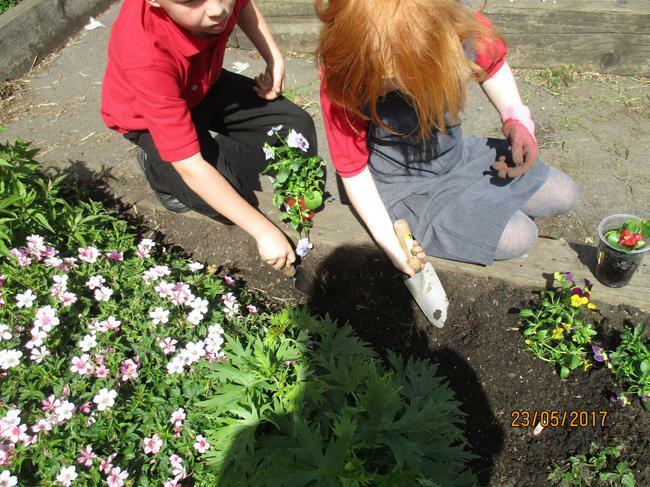 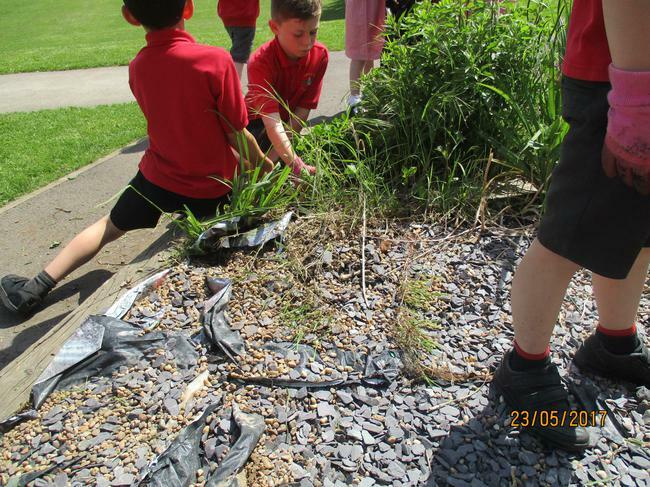 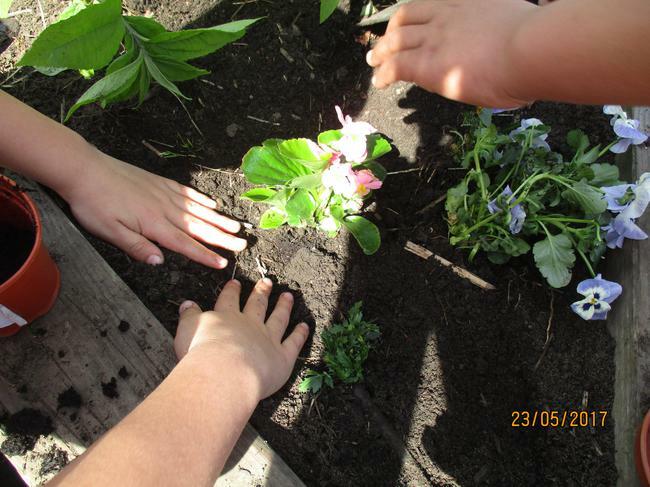 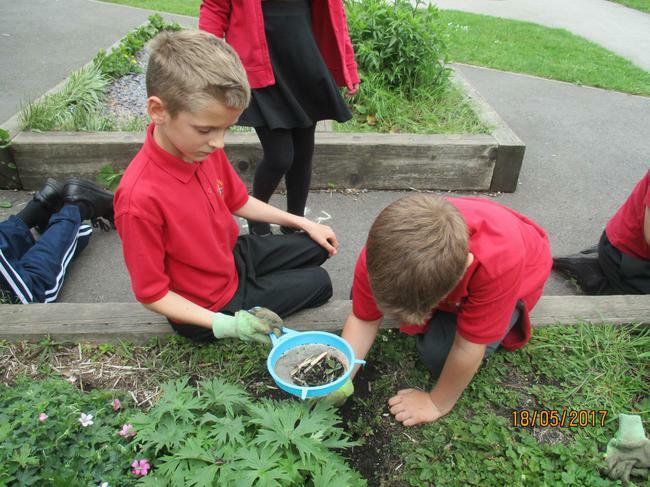 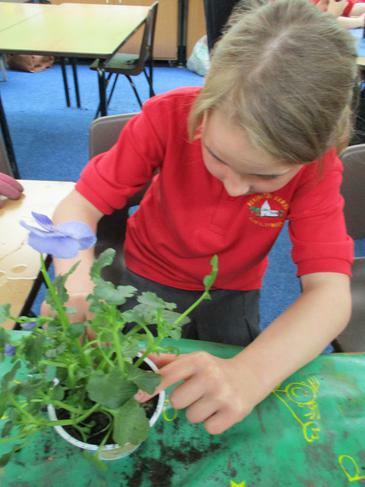 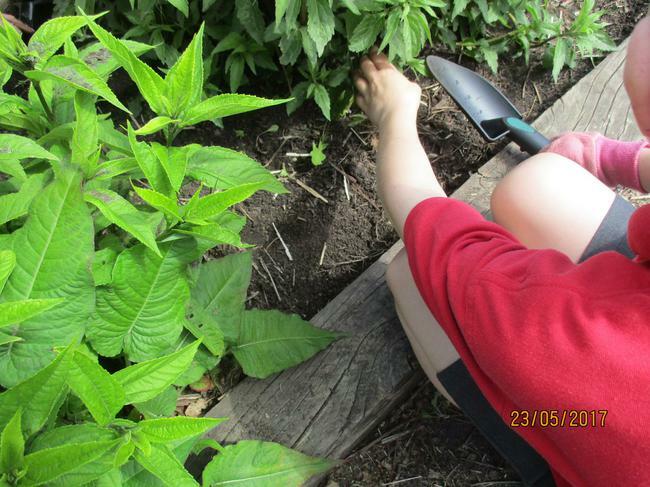 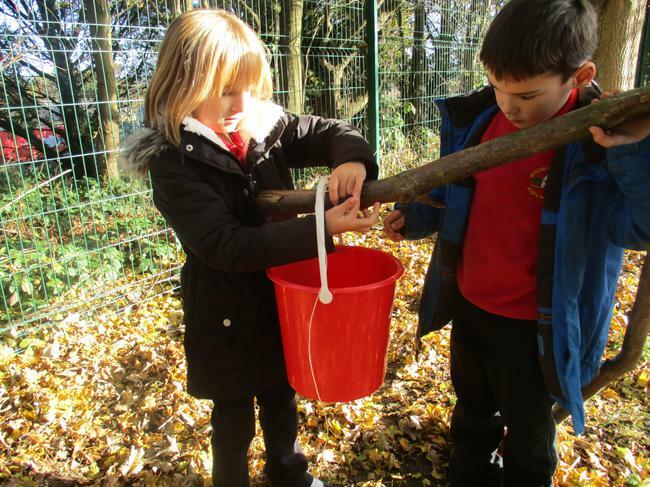 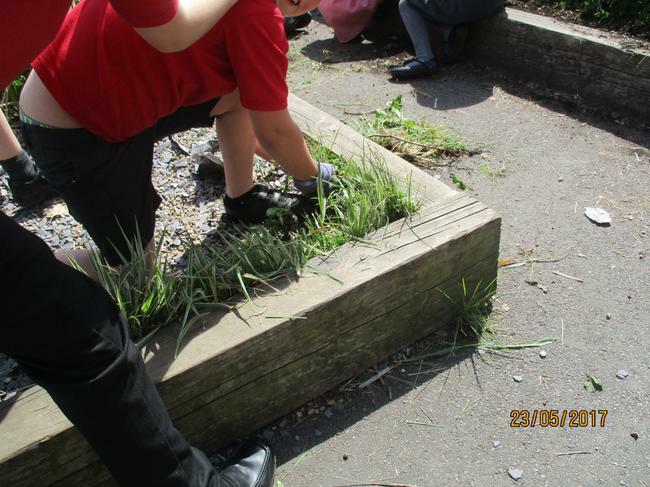 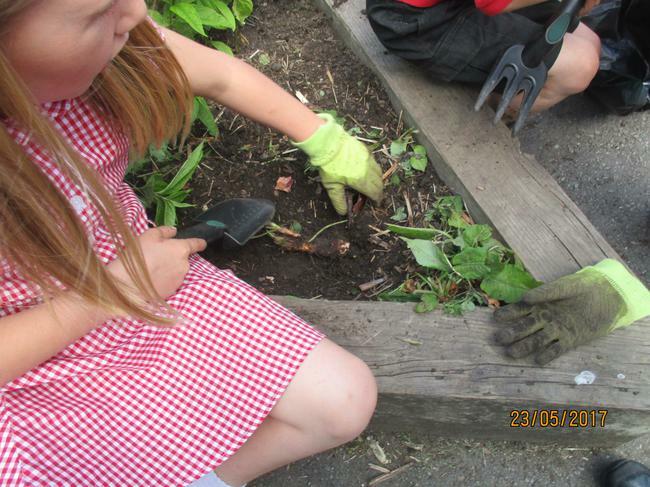 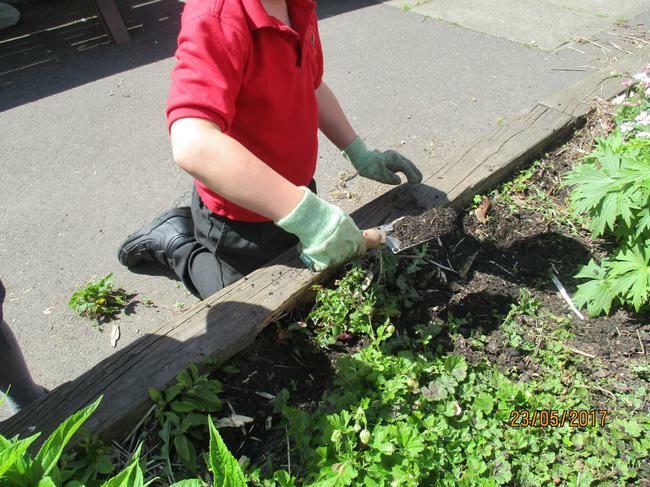 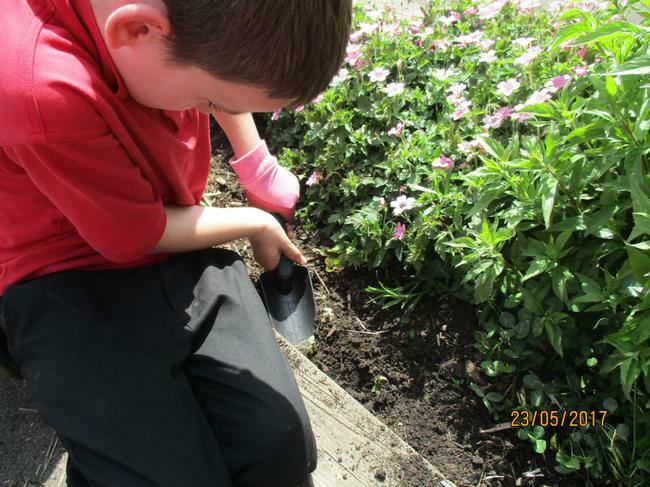 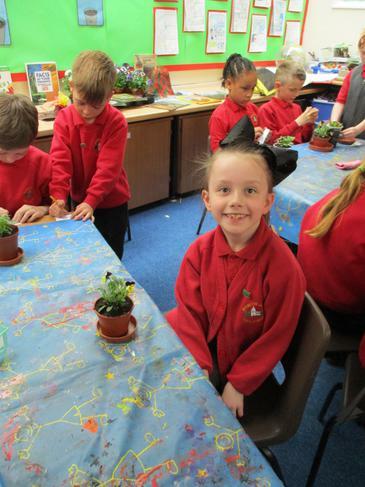 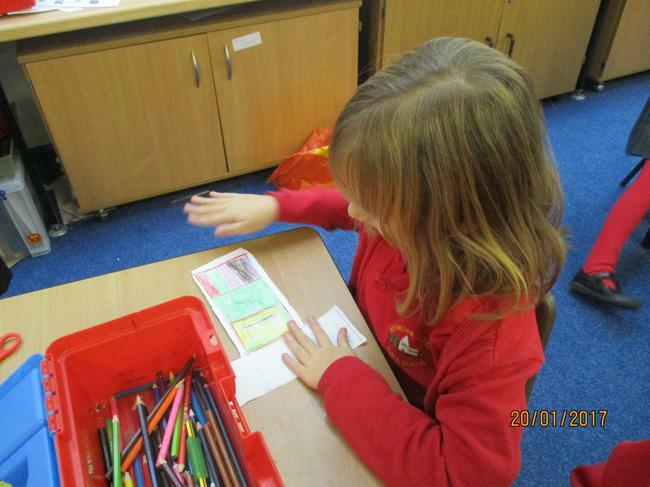 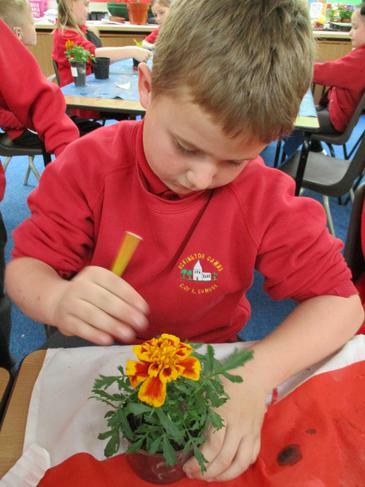 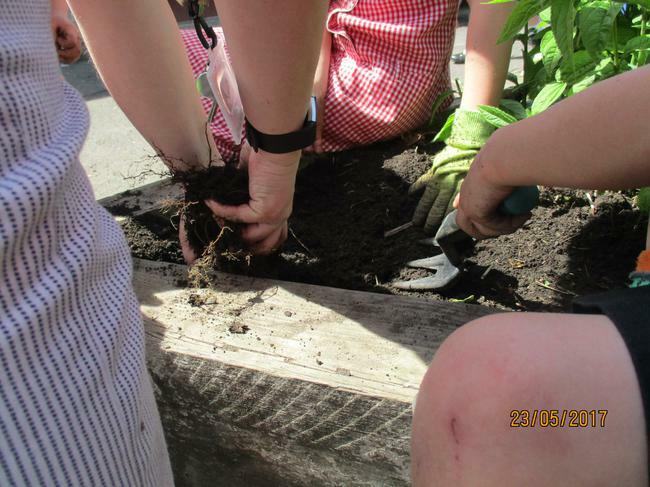 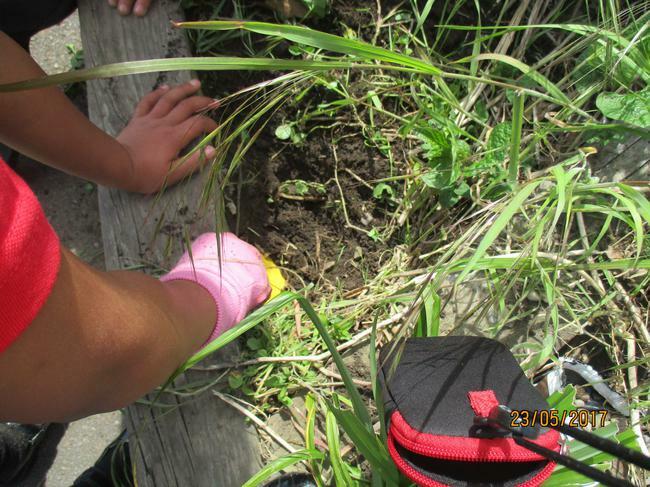 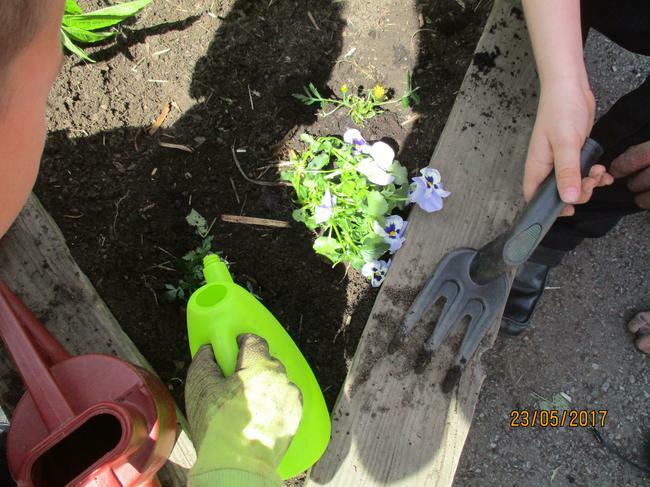 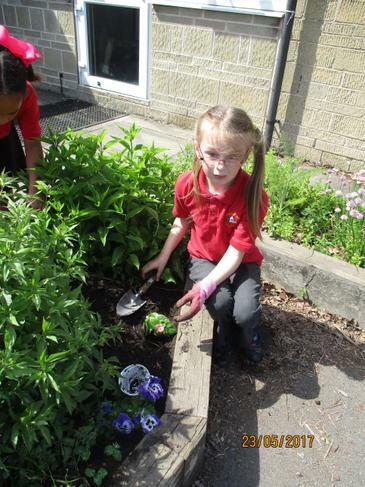 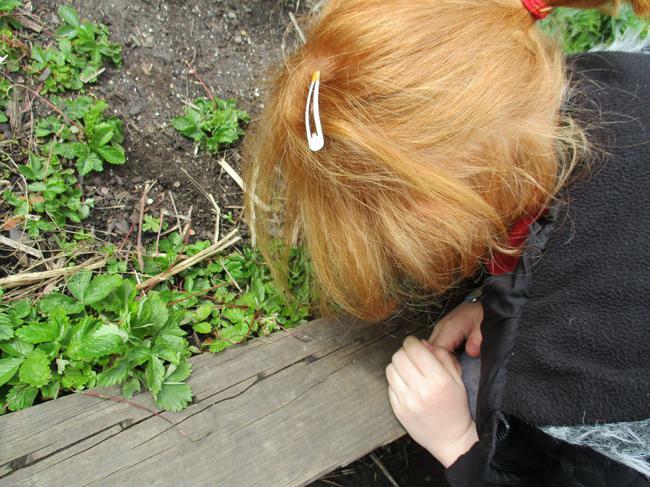 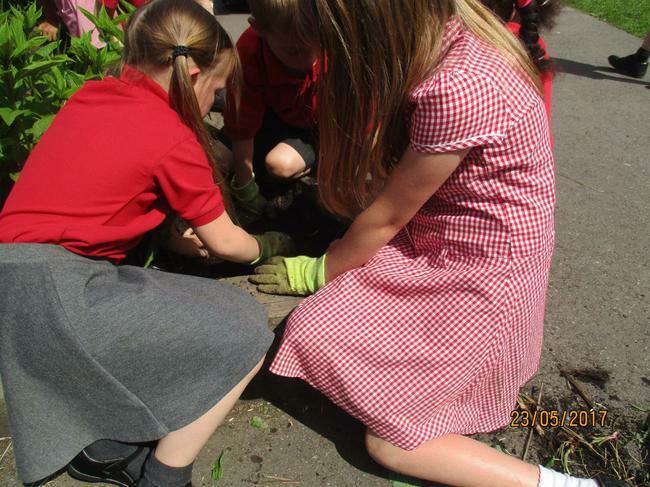 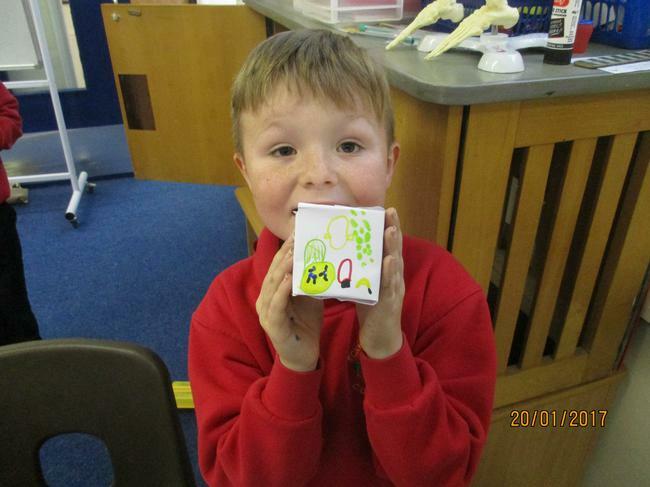 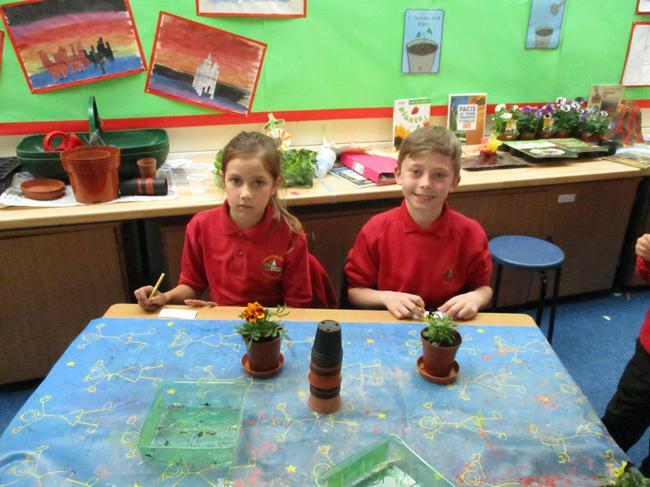 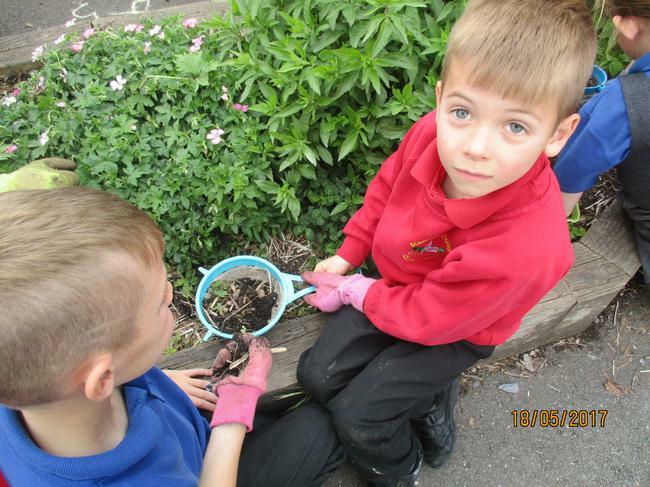 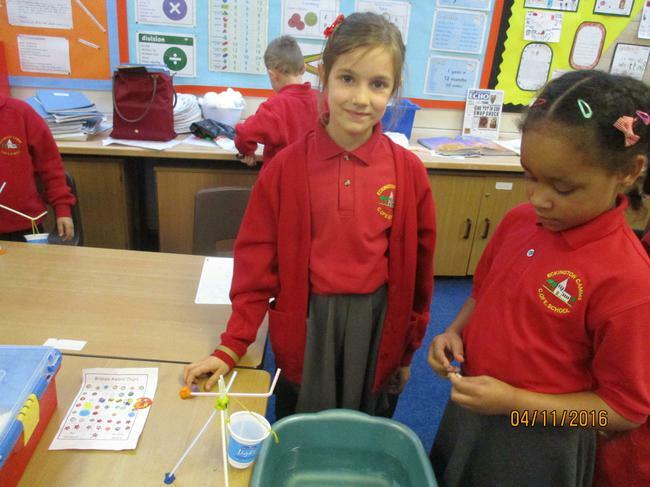 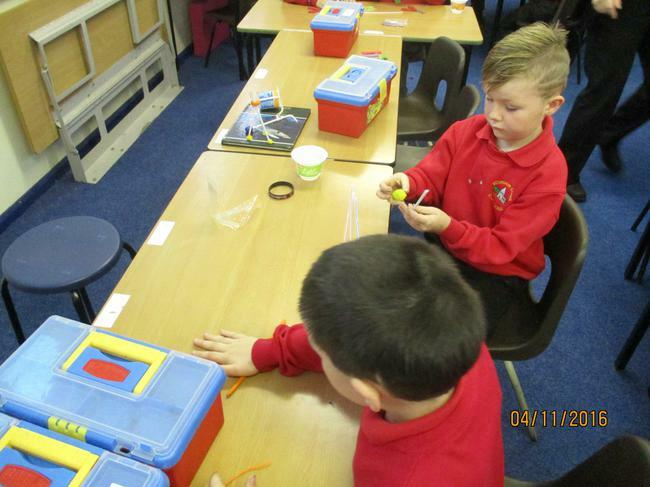 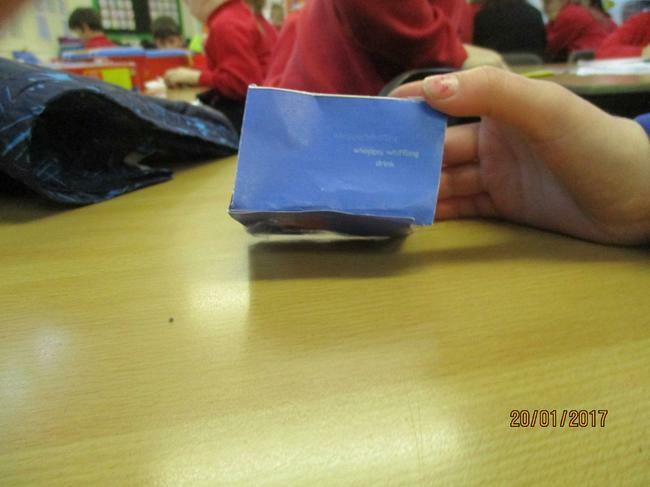 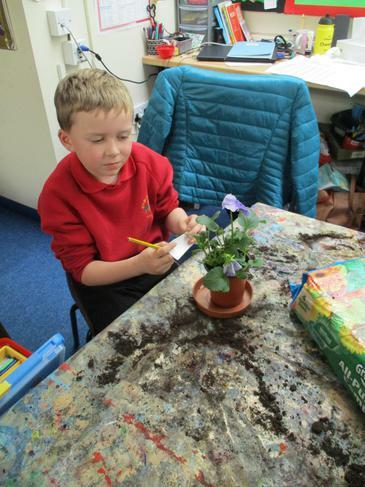 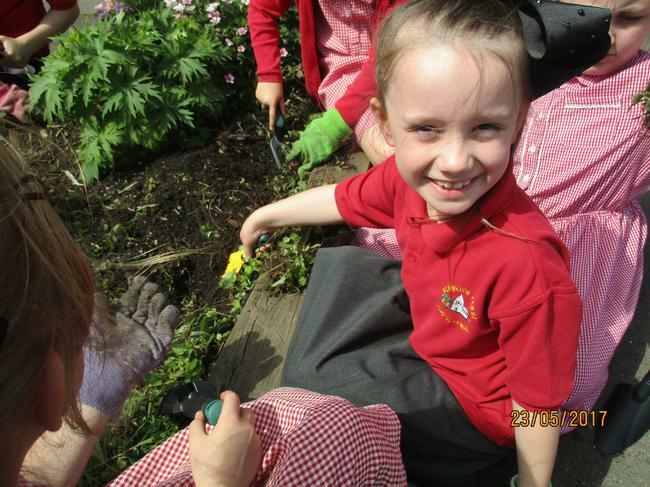 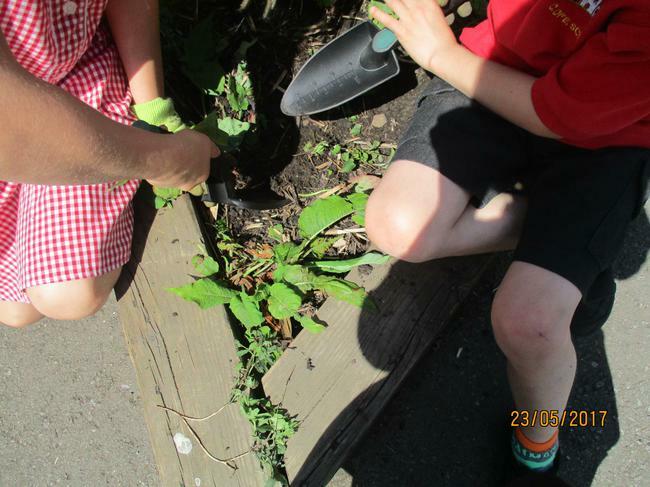 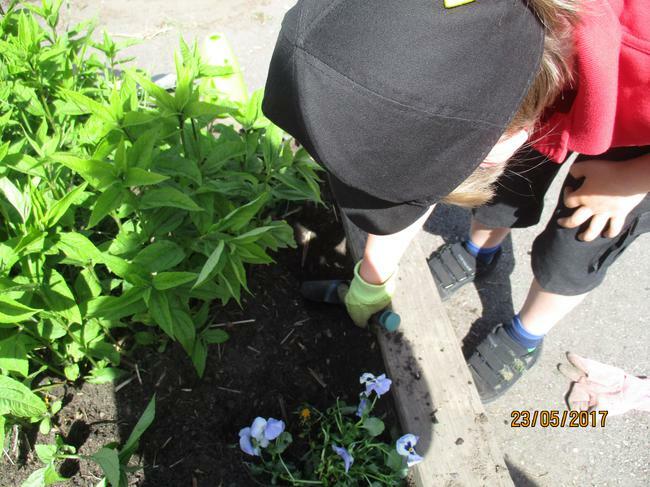 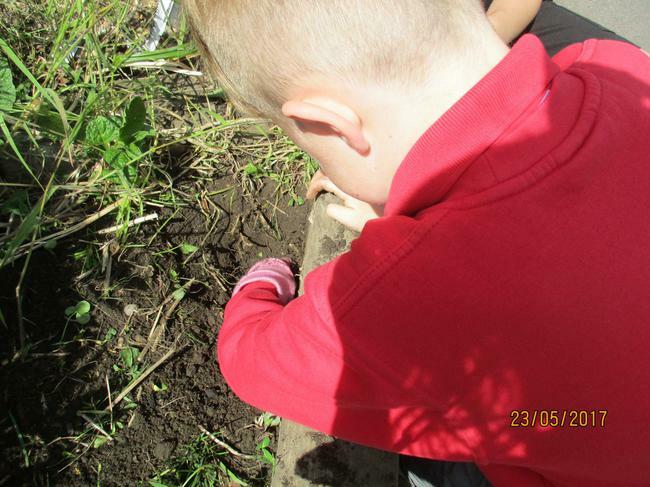 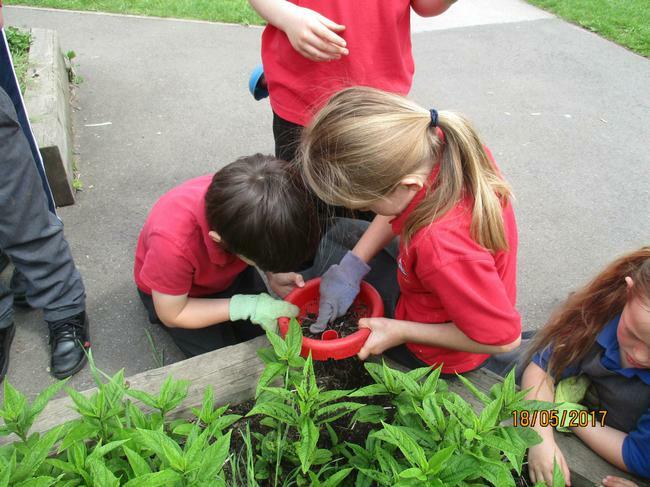 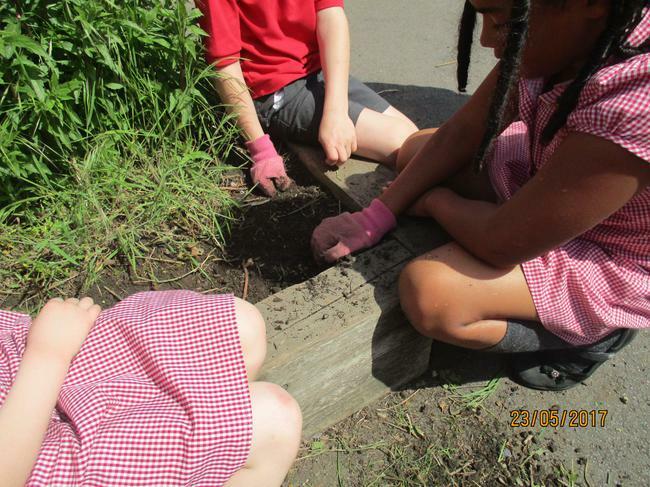 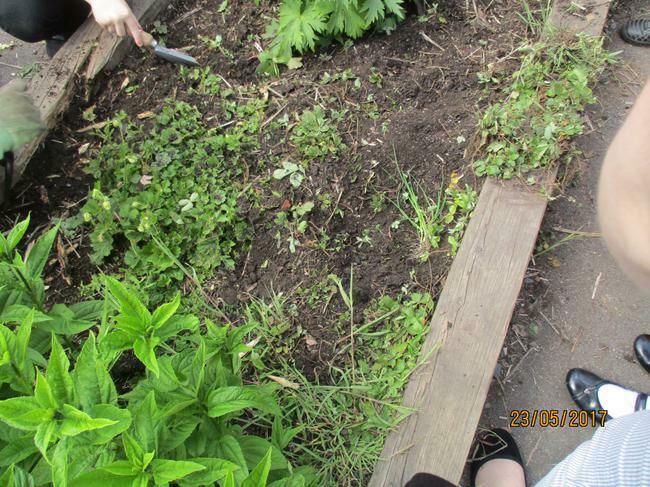 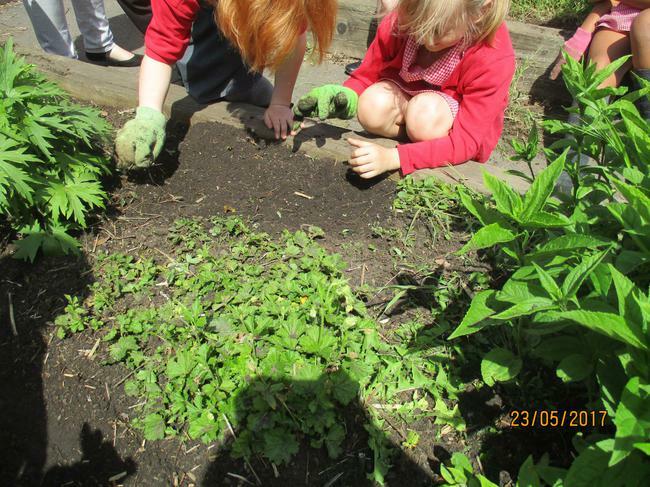 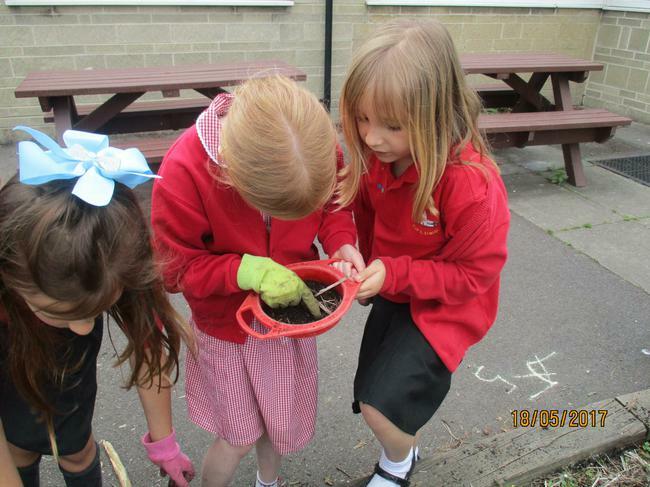 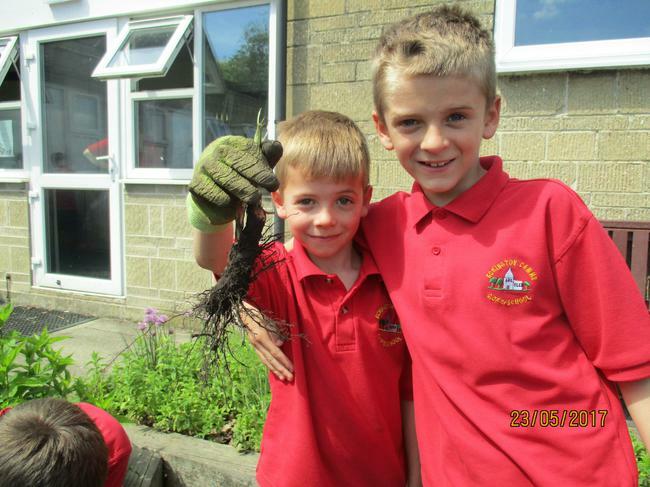 Investigating and planting seeds - what we have been up to so far! 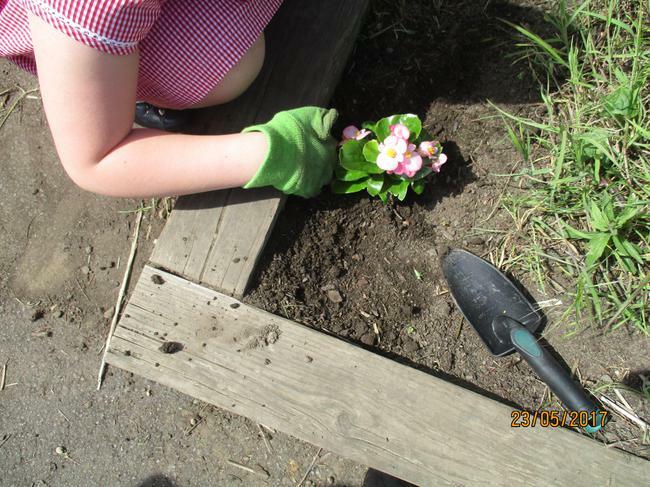 Homework for Term Summer 1 - you are welcome to have a look and start with some activities. 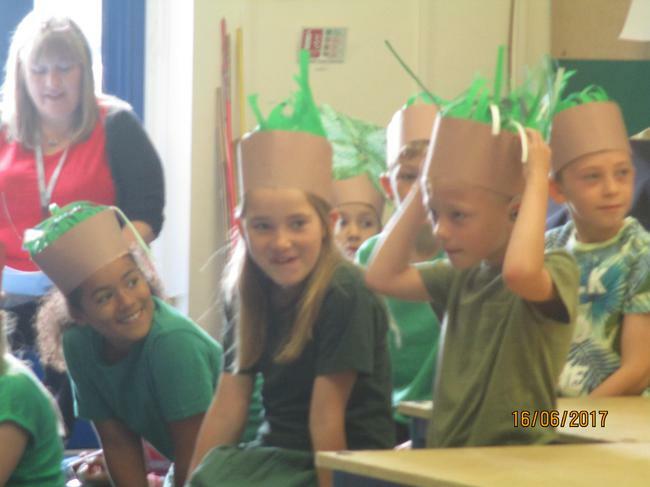 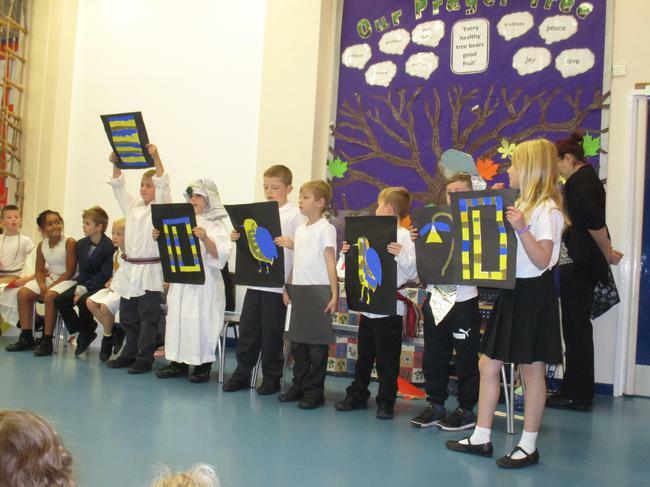 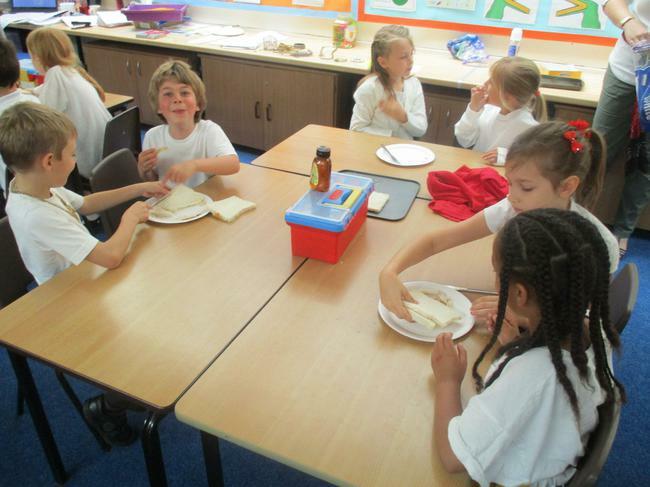 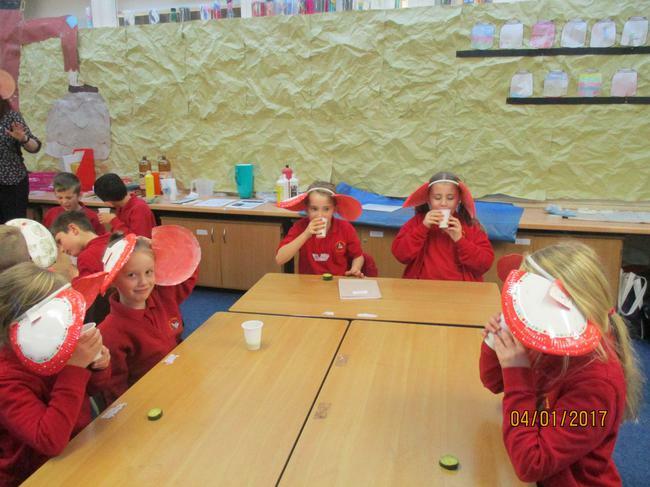 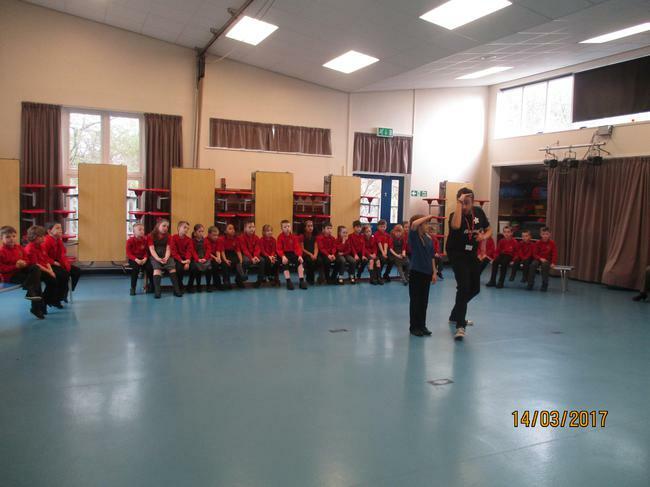 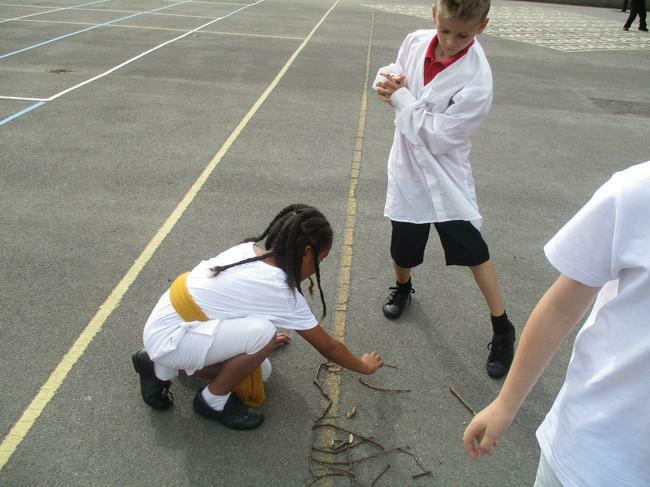 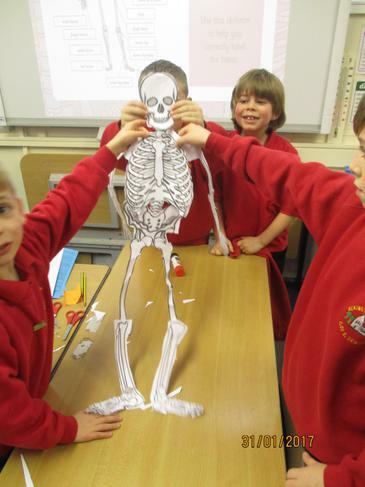 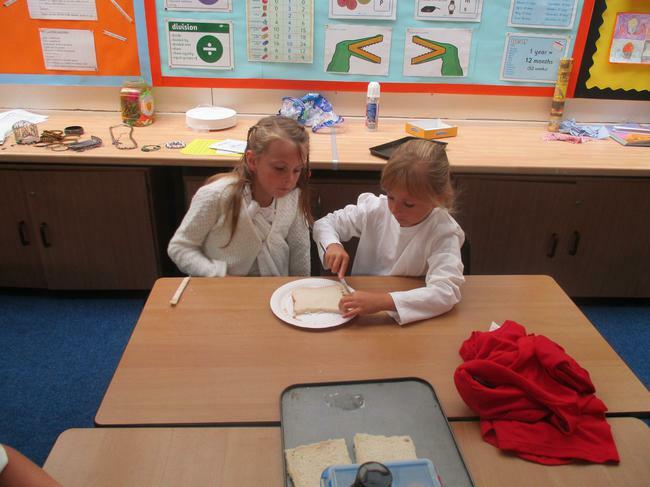 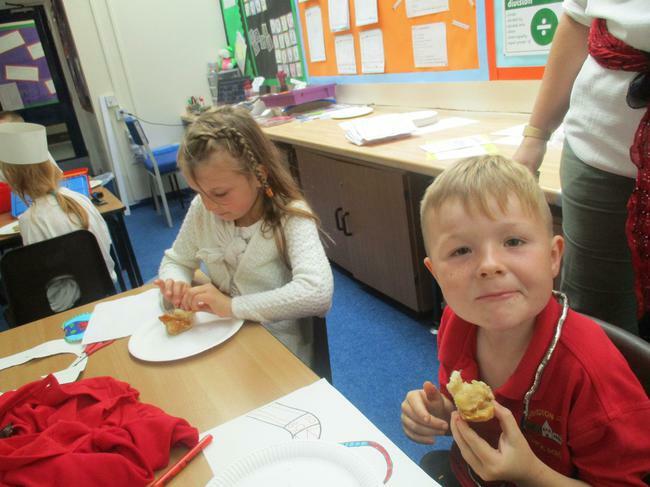 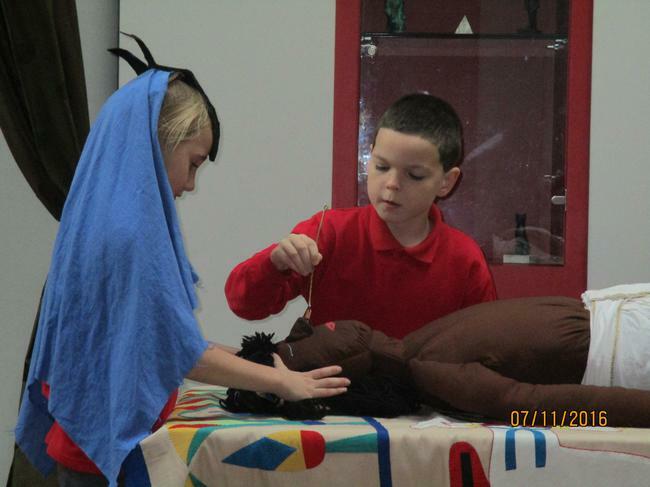 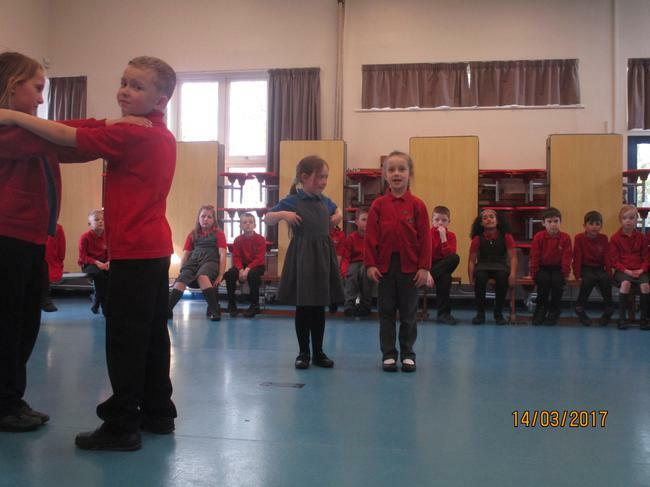 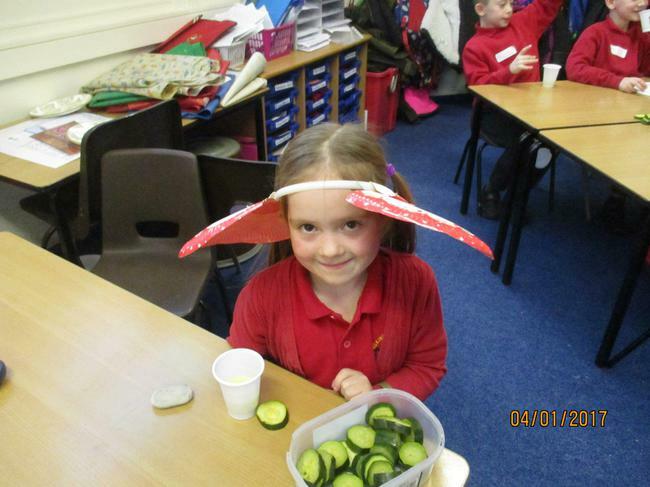 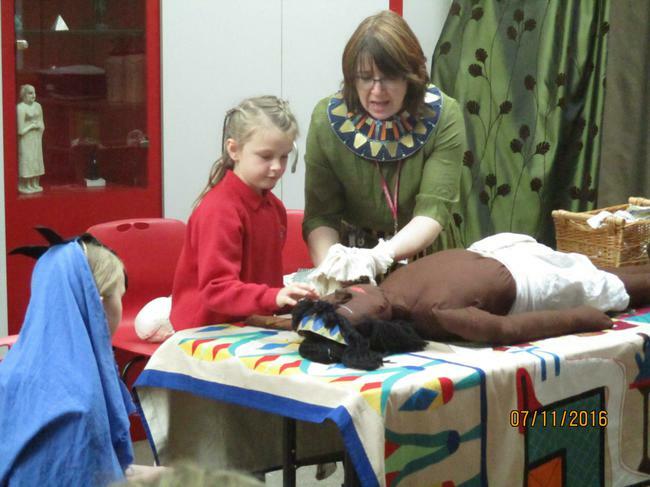 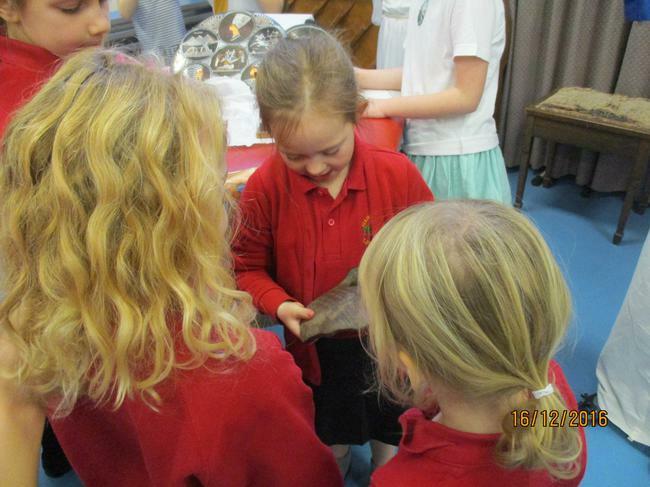 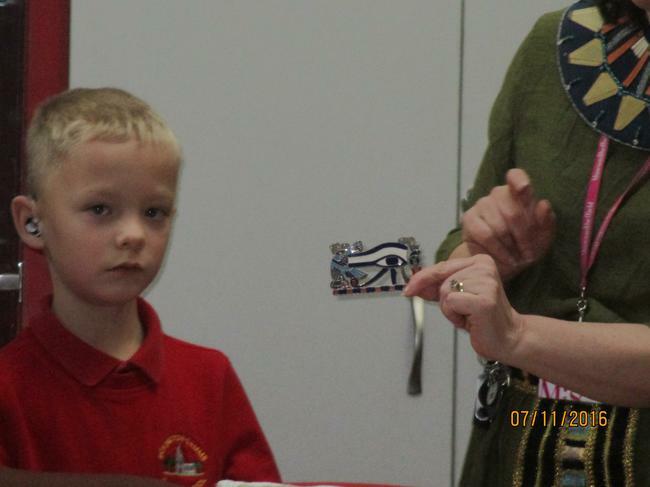 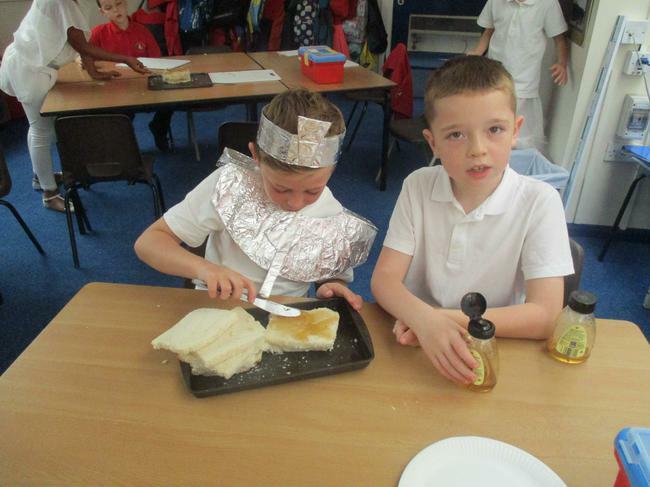 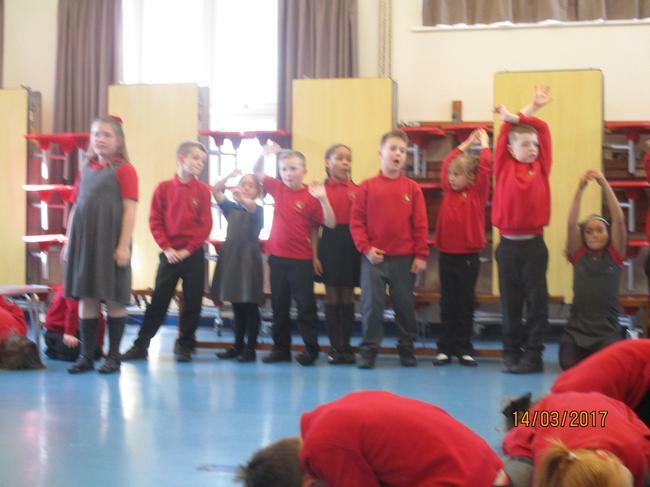 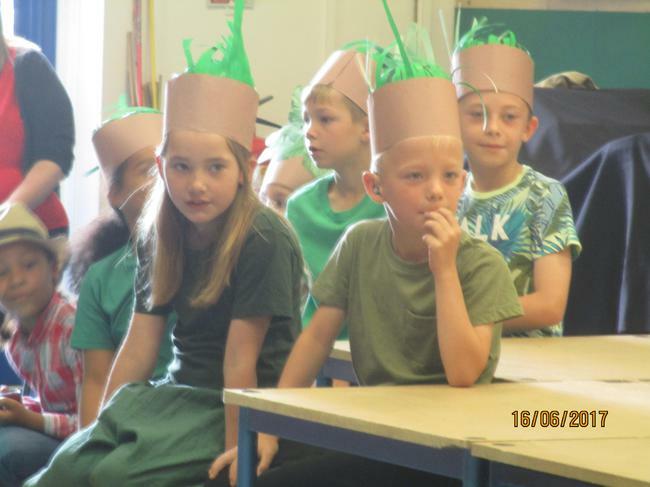 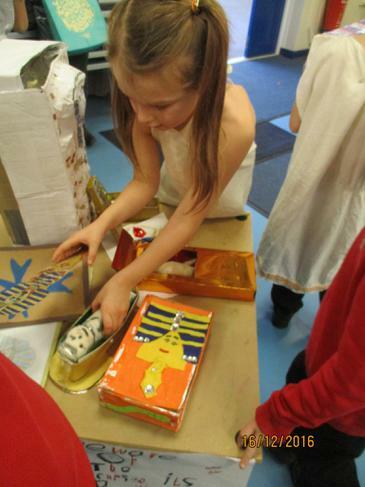 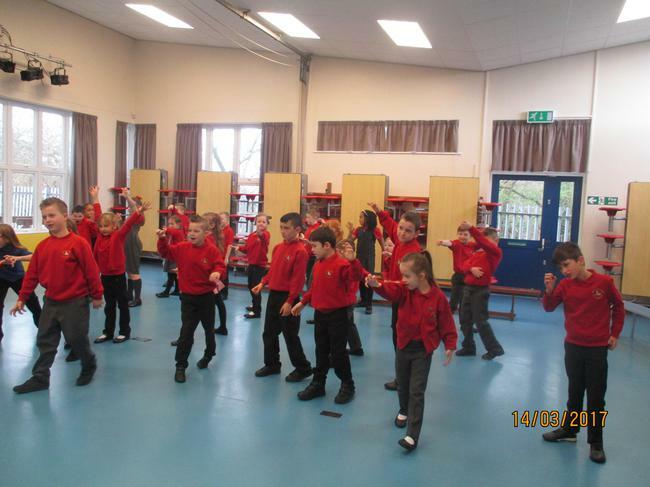 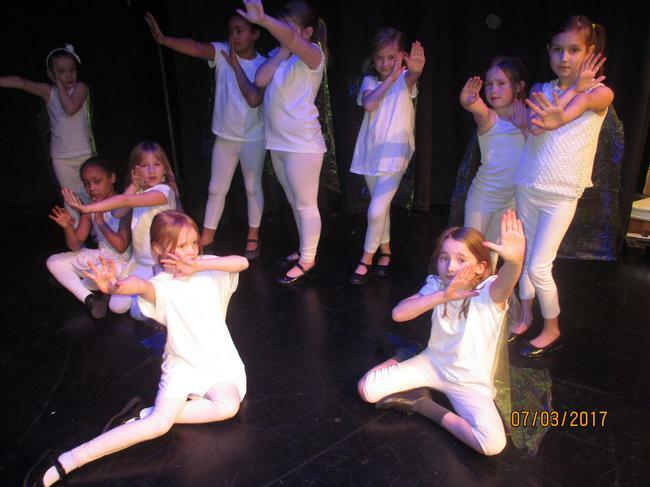 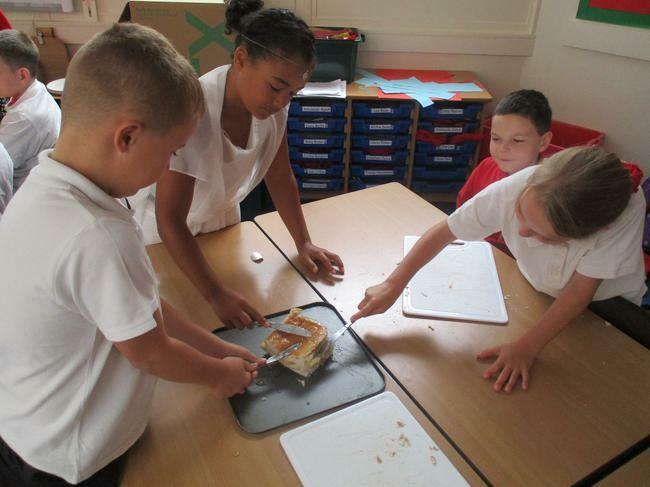 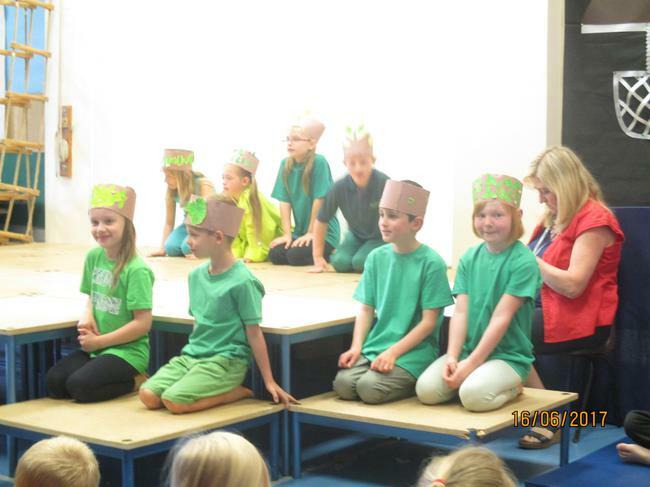 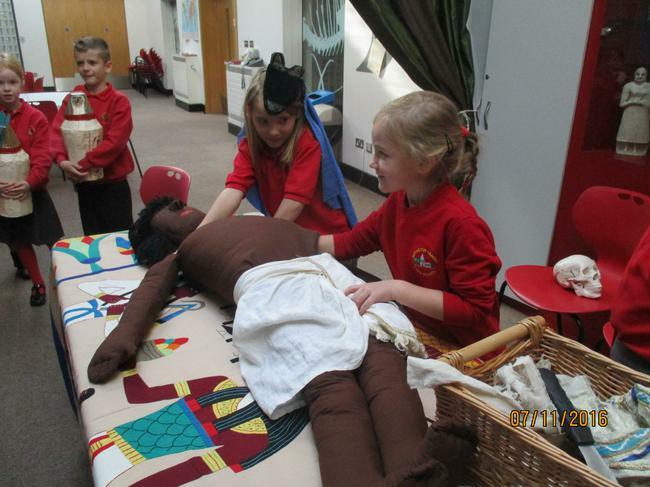 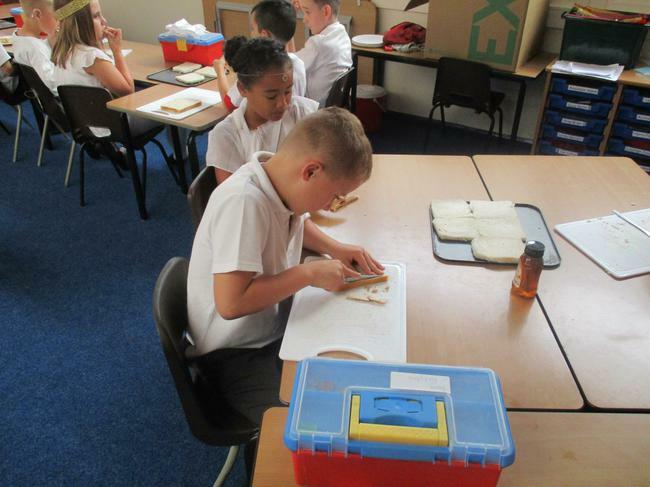 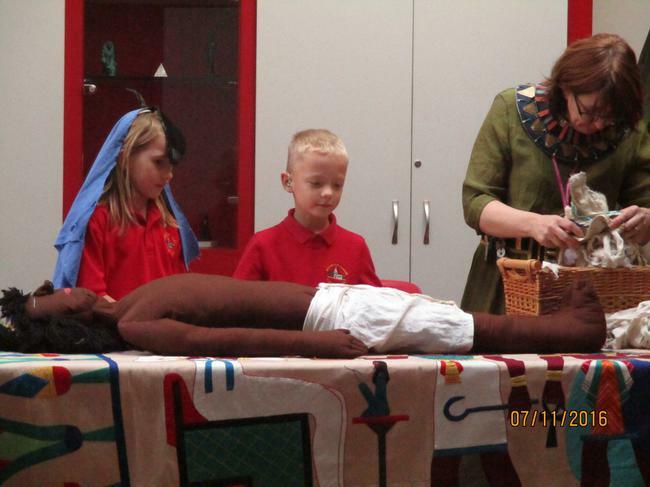 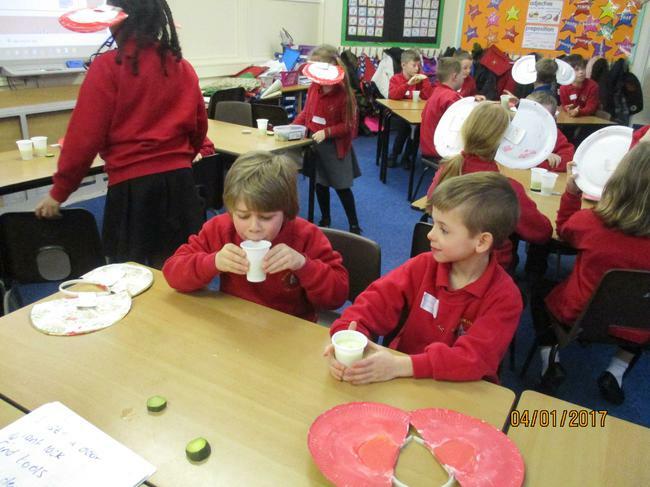 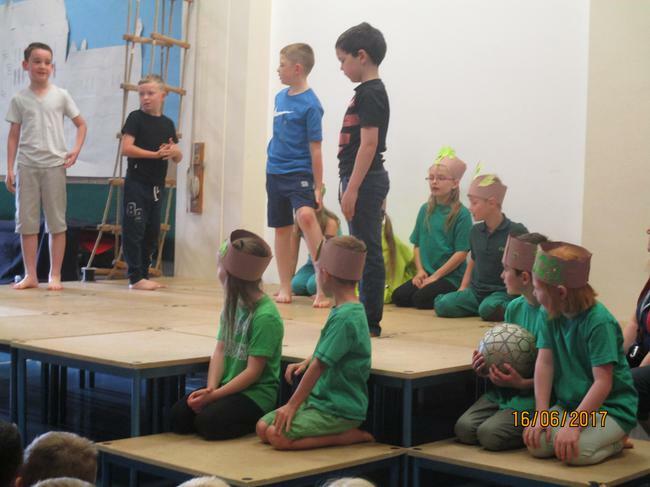 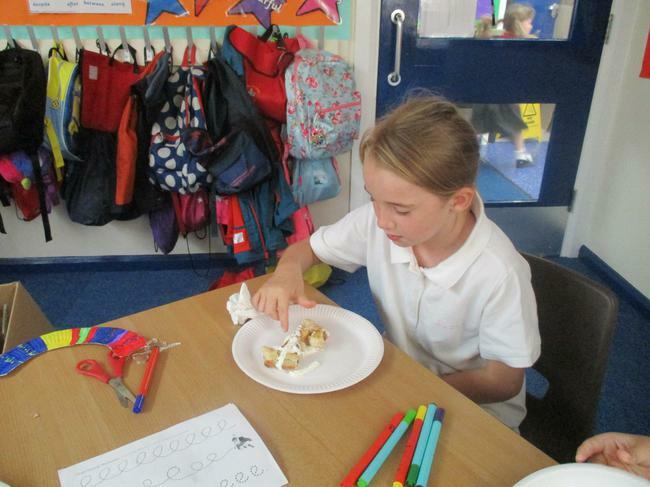 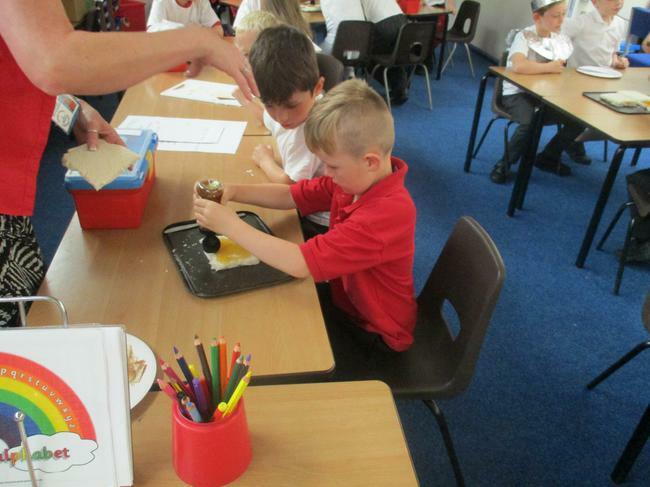 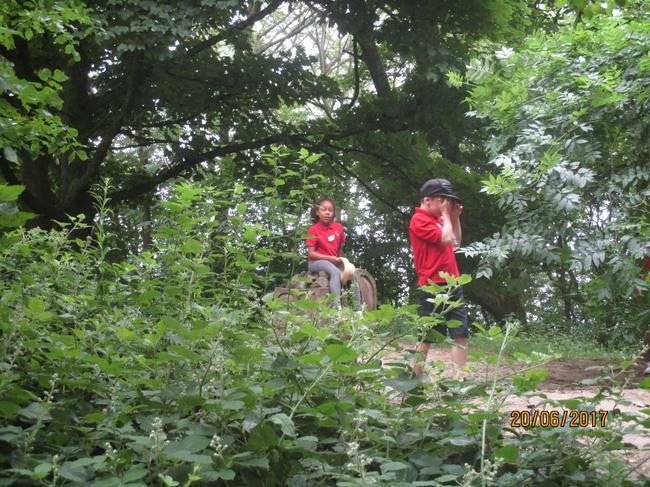 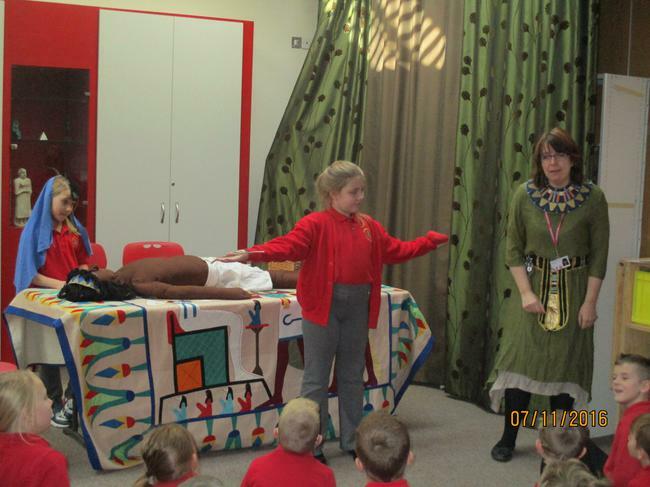 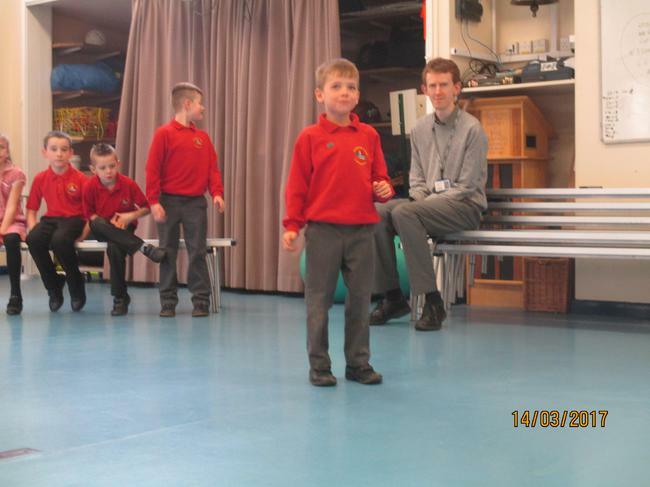 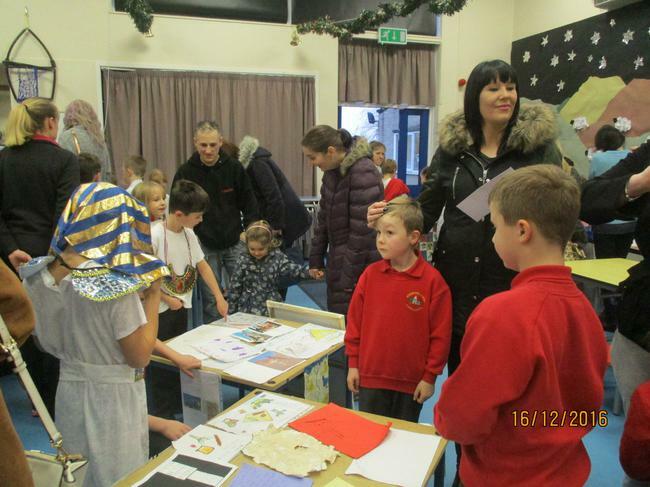 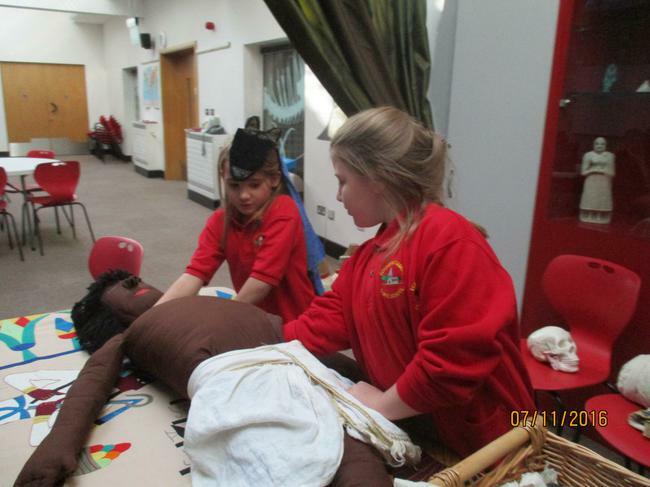 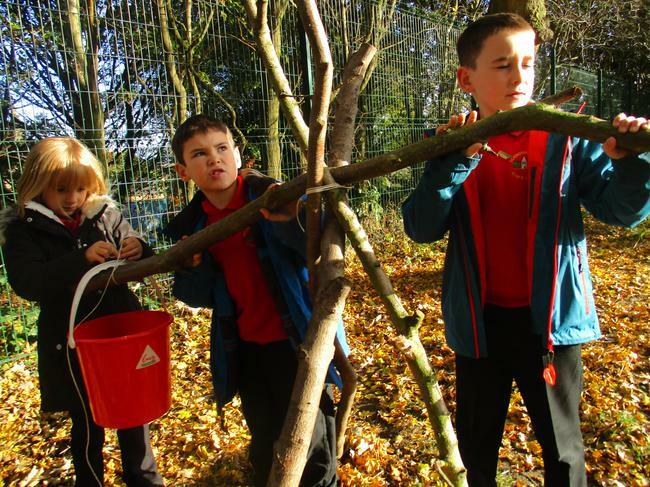 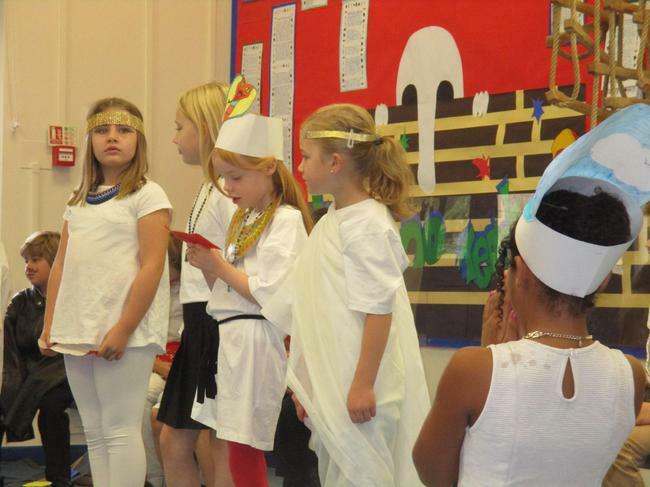 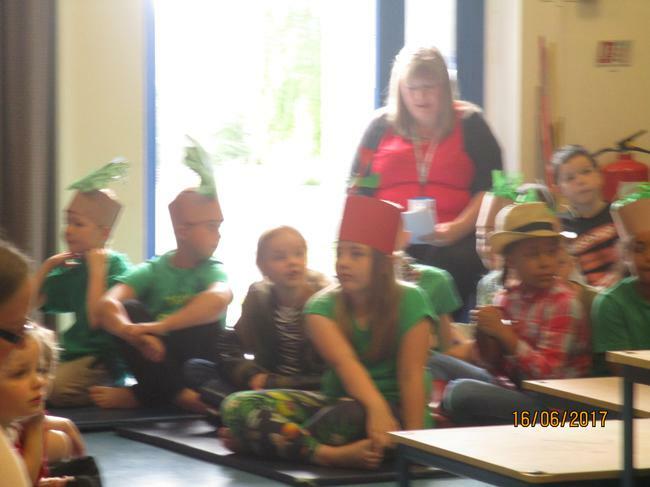 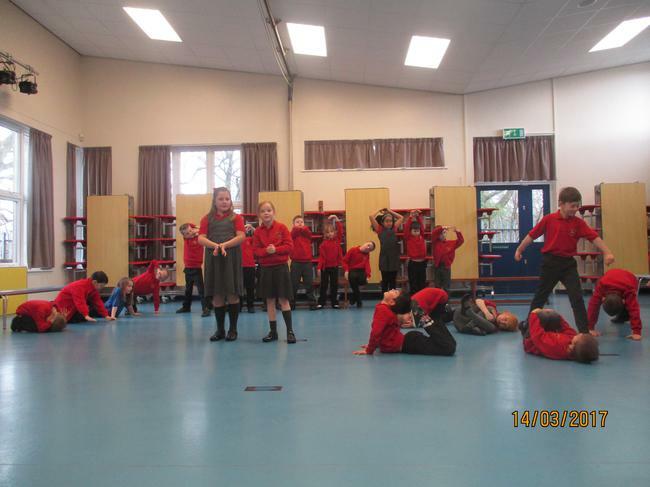 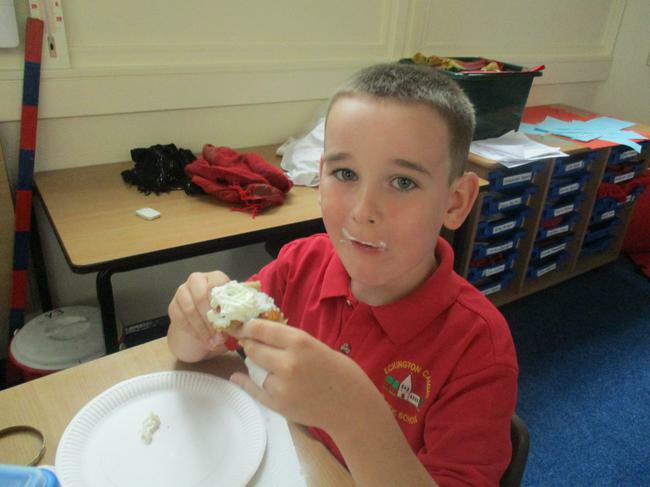 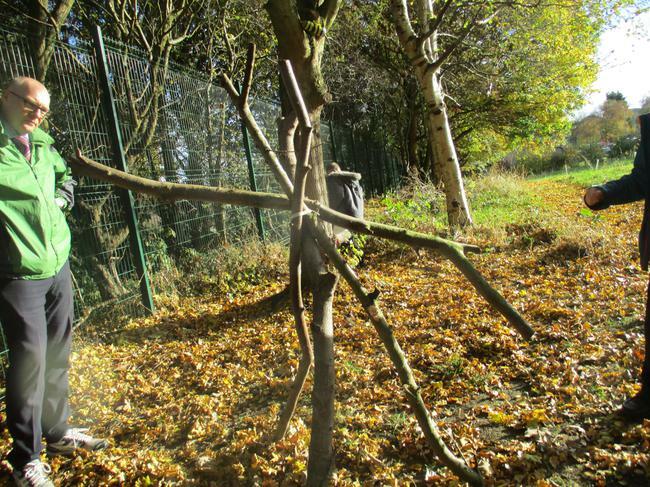 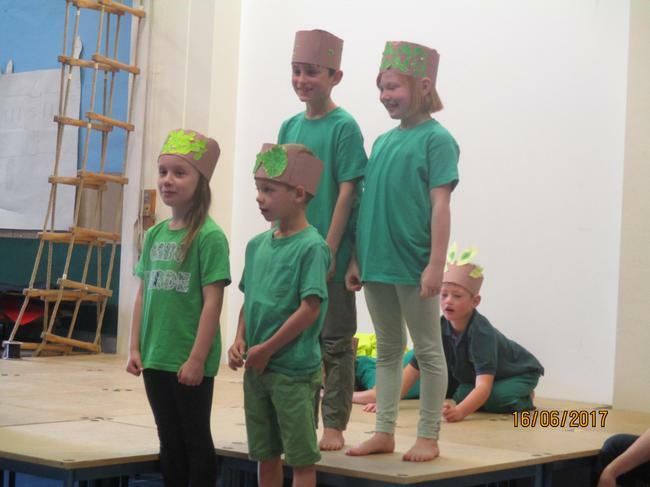 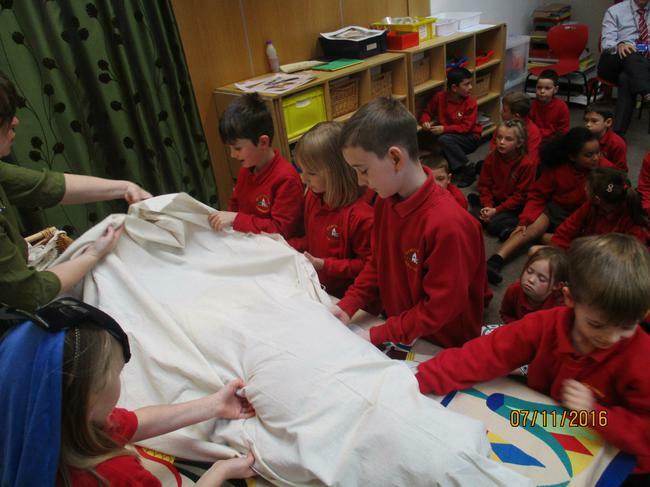 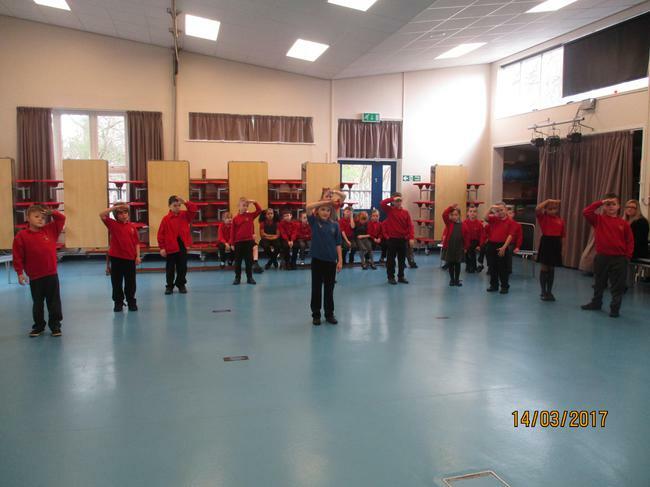 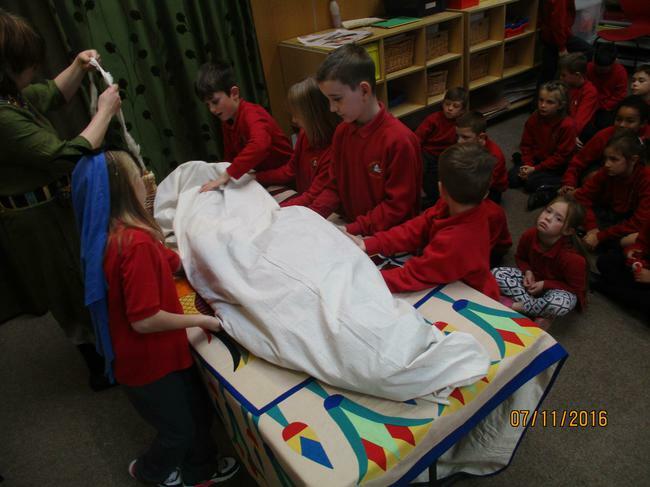 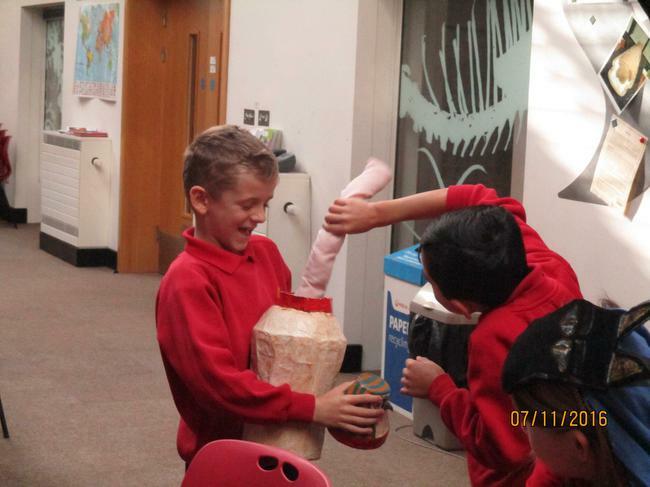 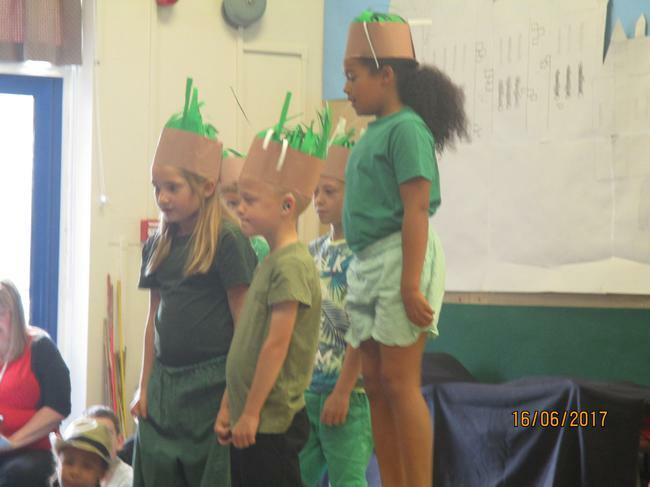 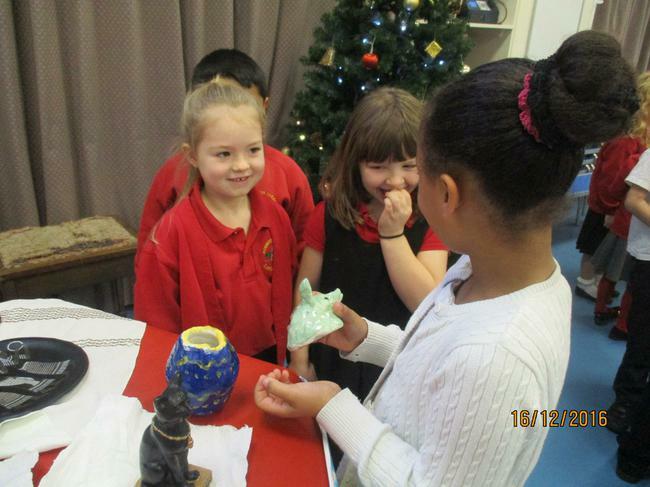 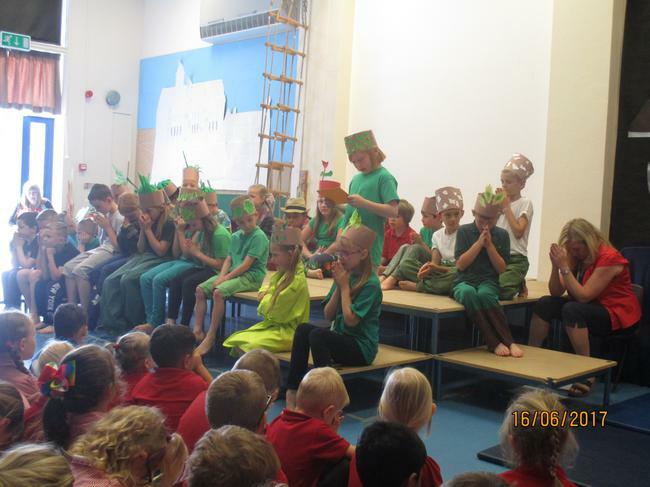 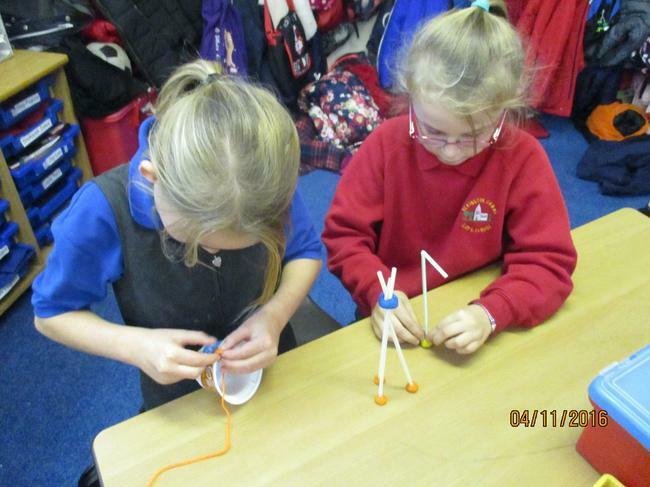 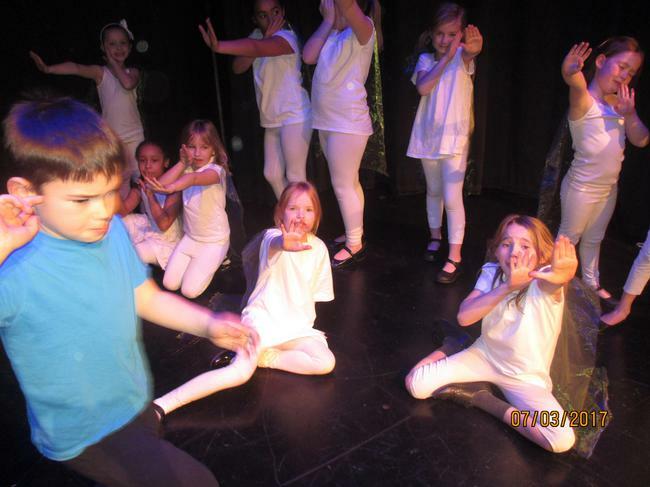 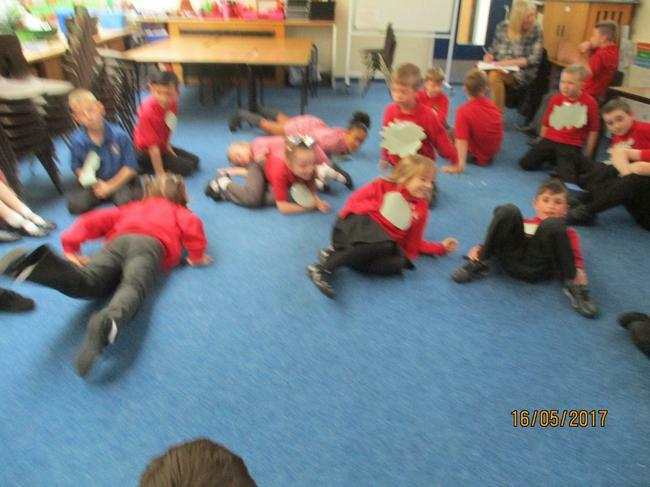 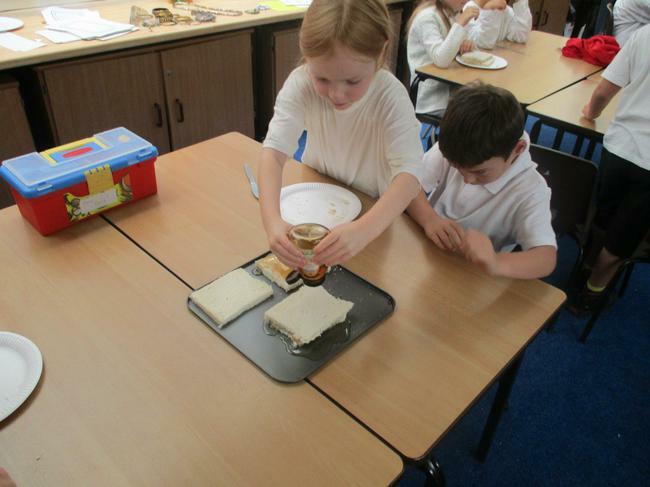 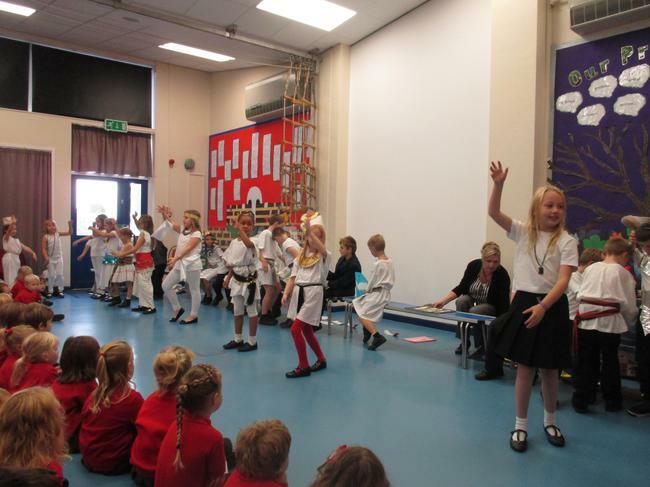 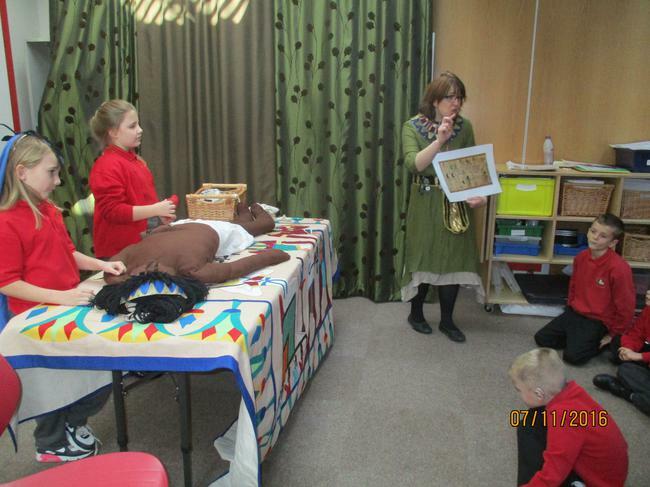 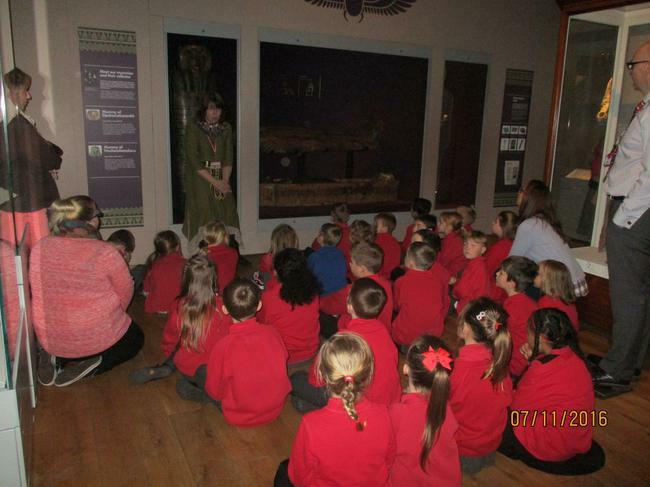 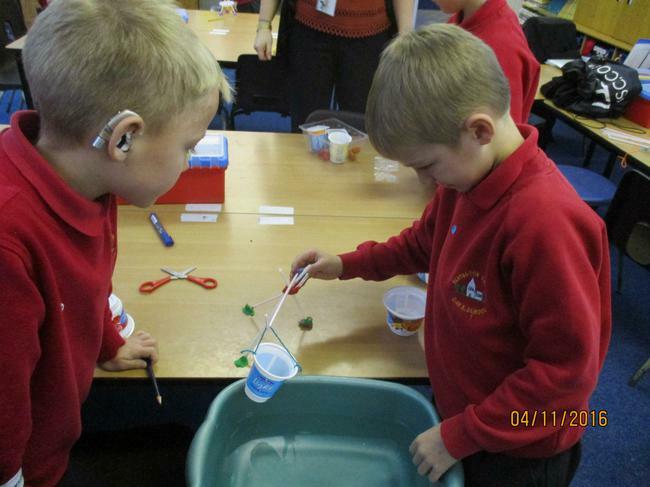 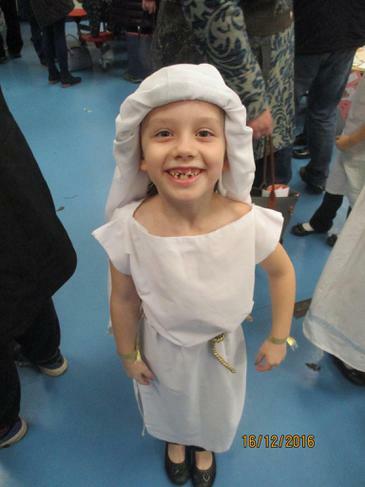 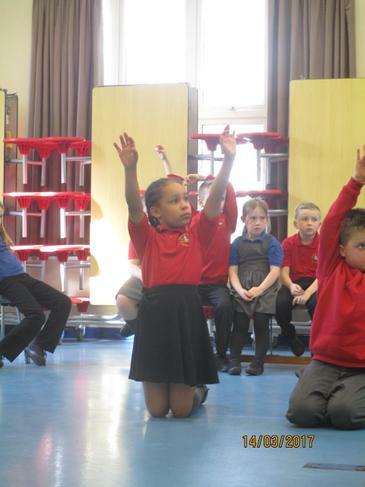 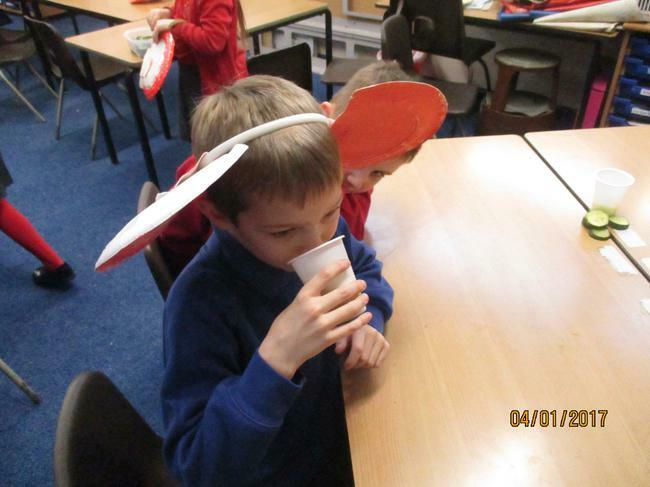 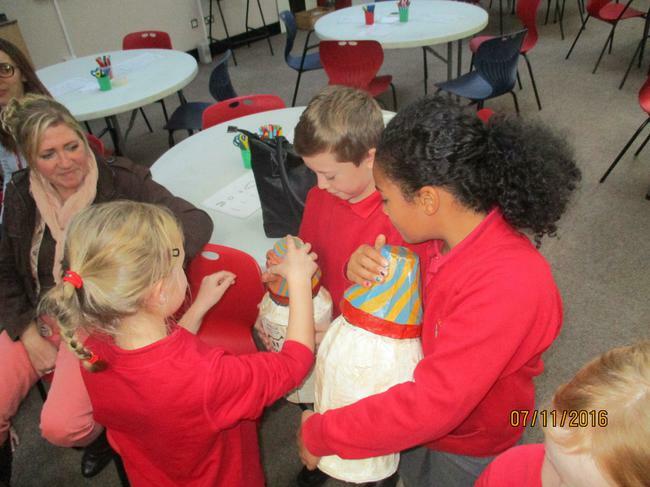 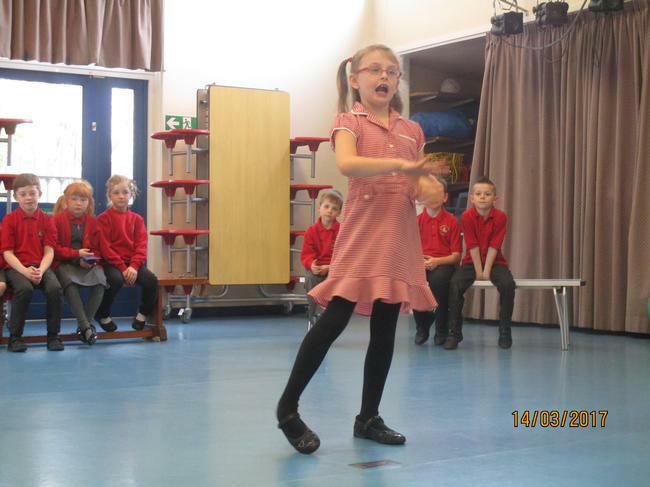 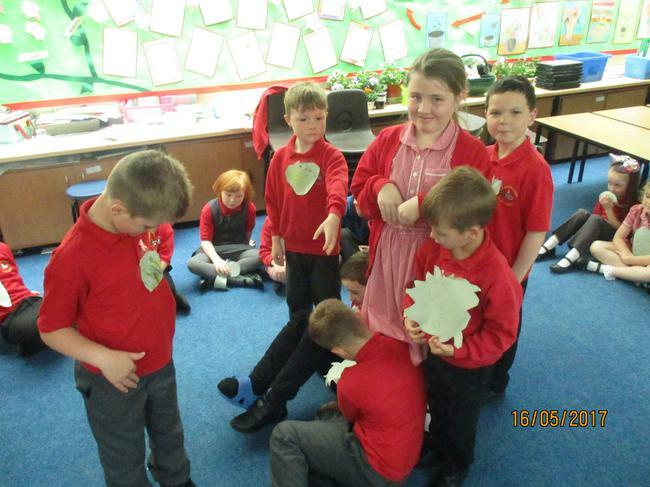 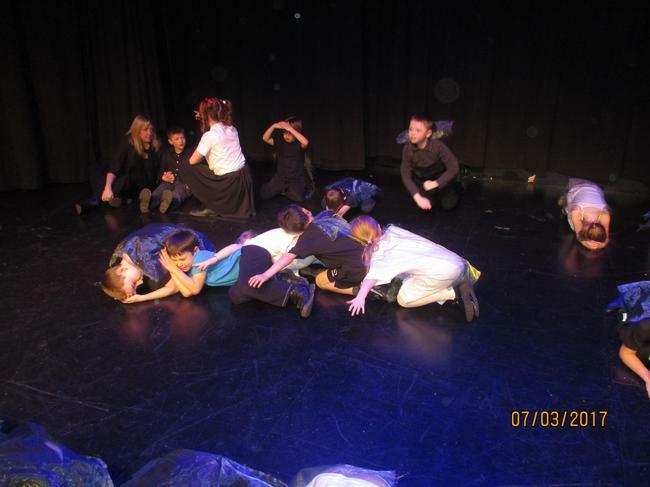 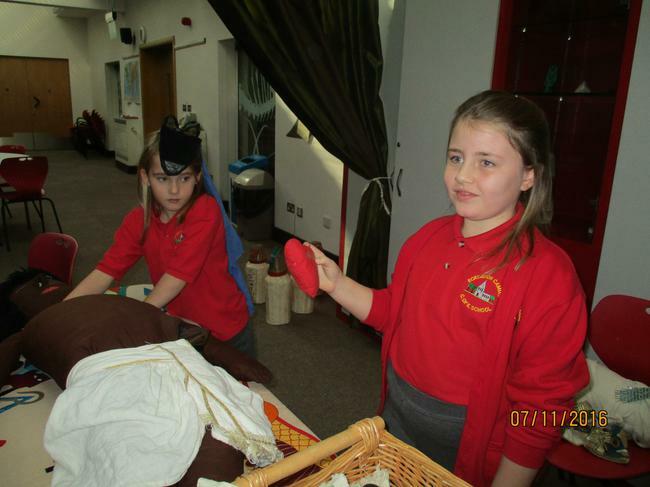 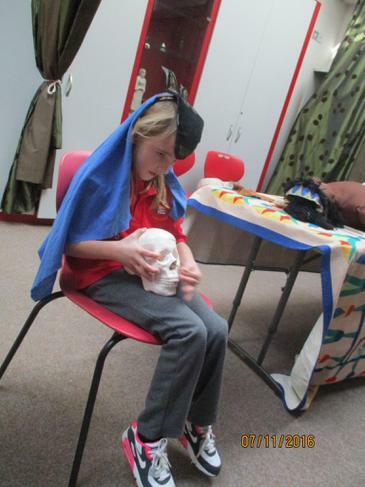 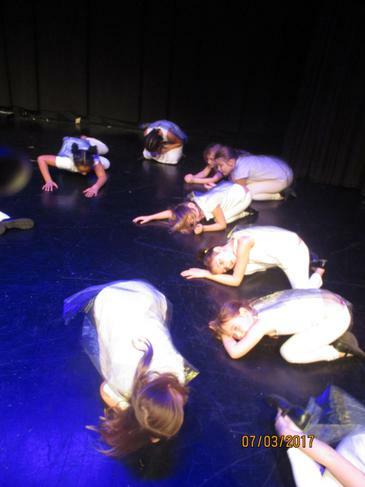 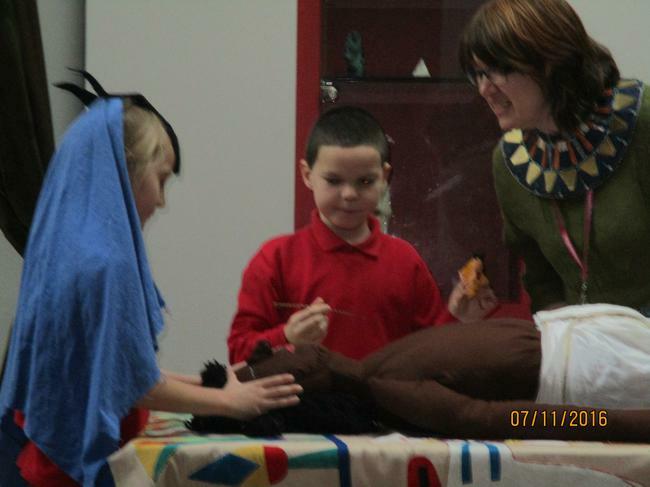 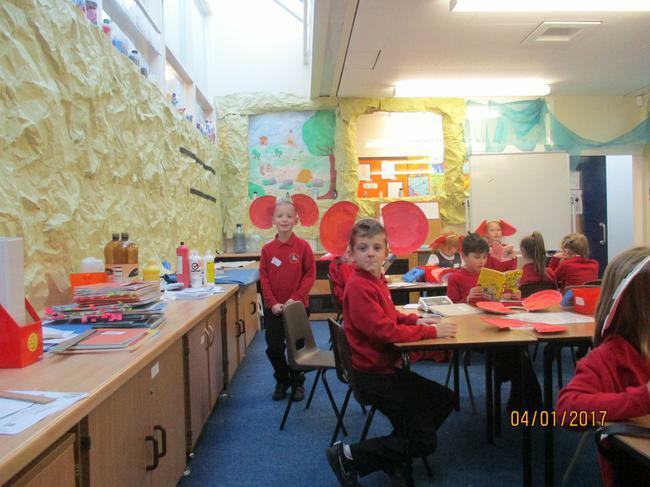 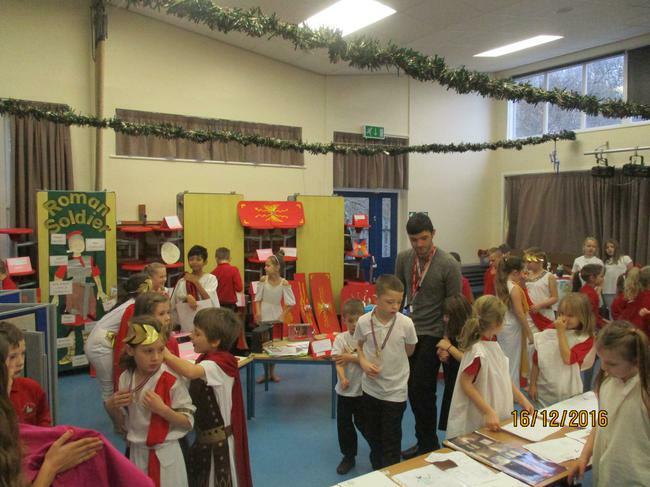 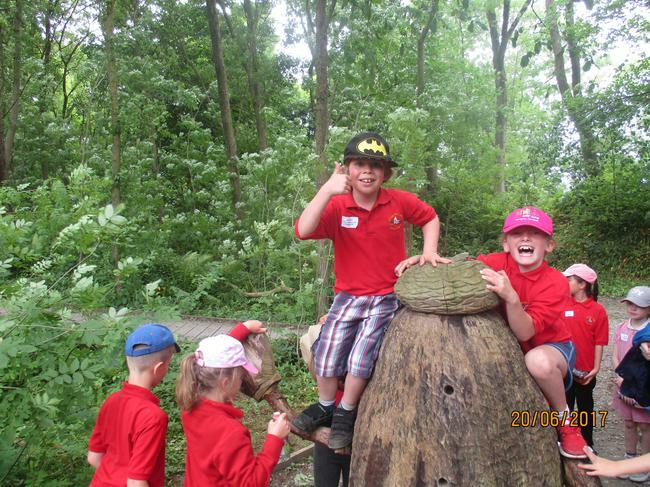 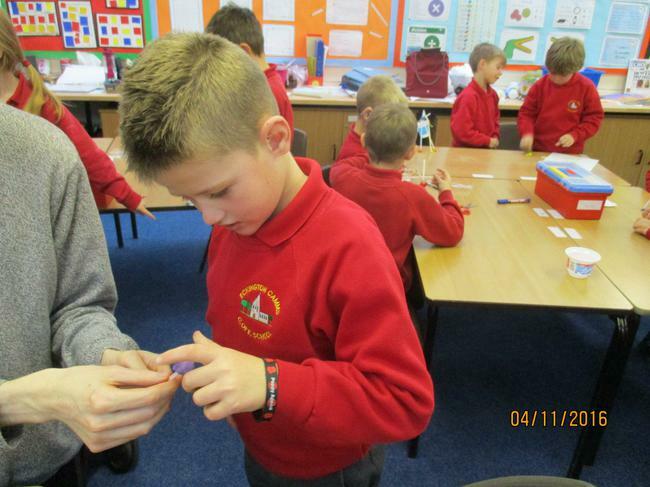 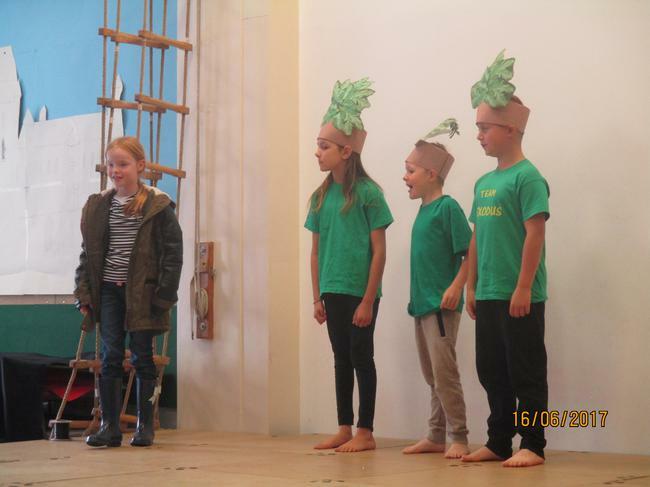 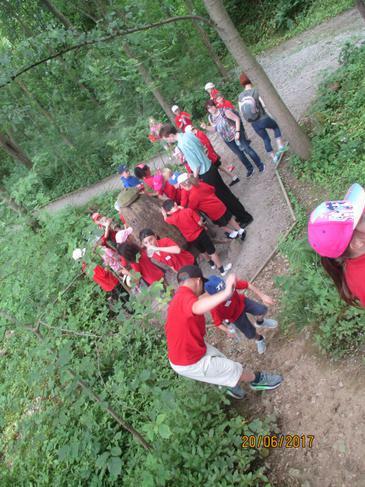 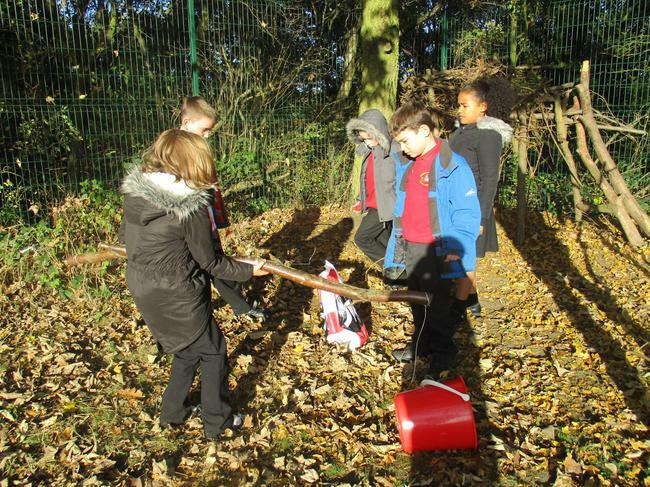 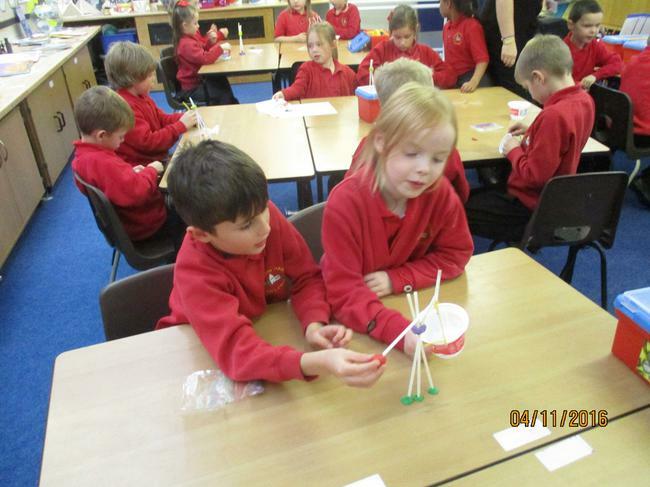 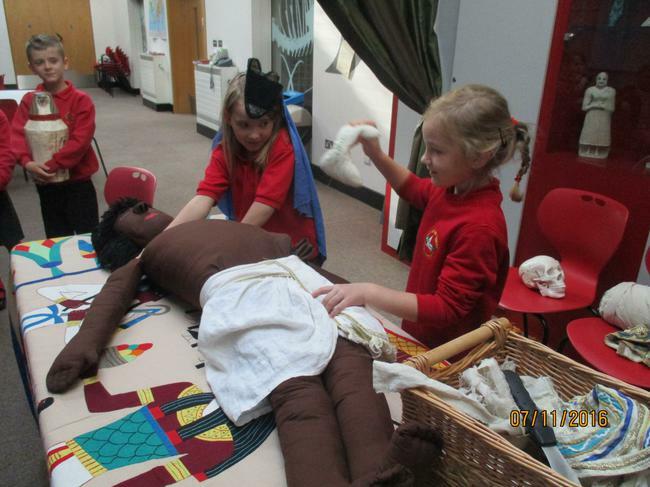 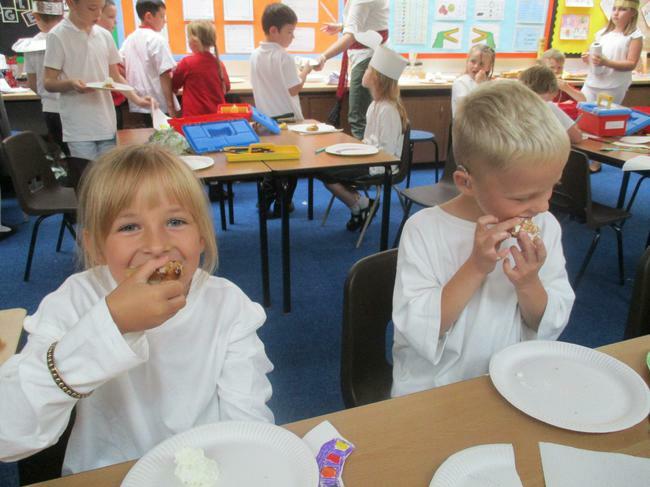 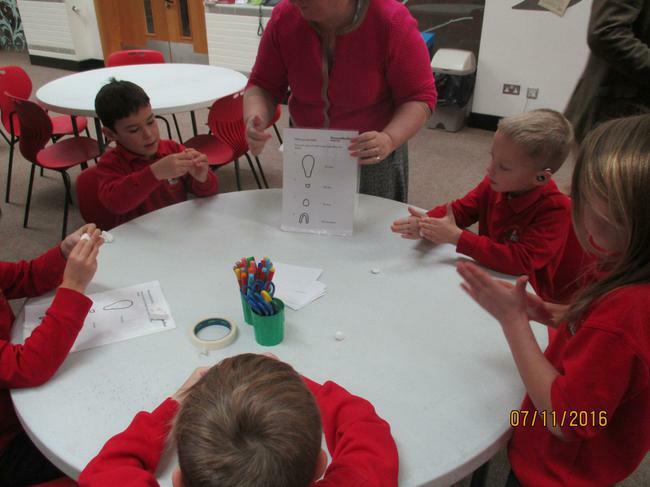 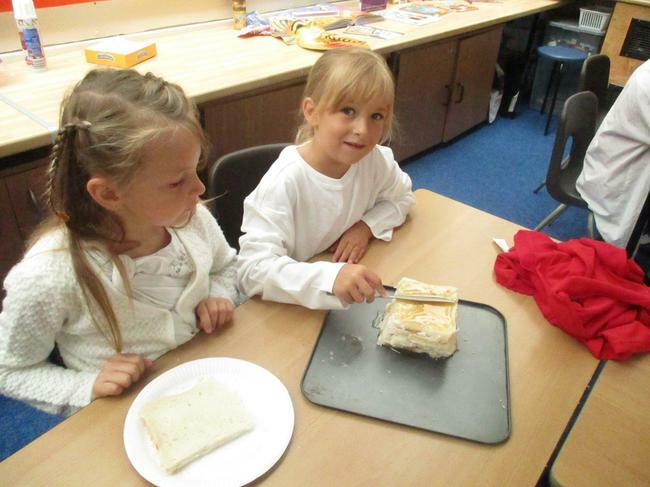 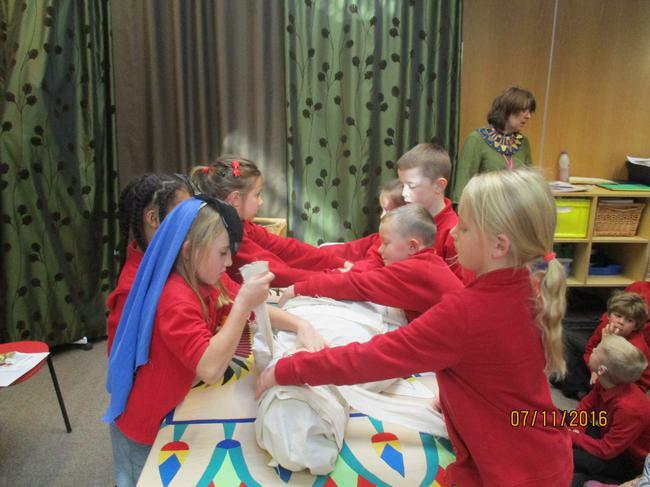 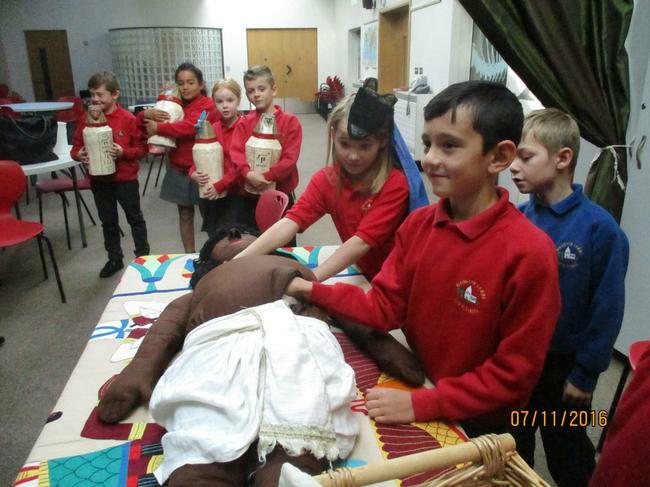 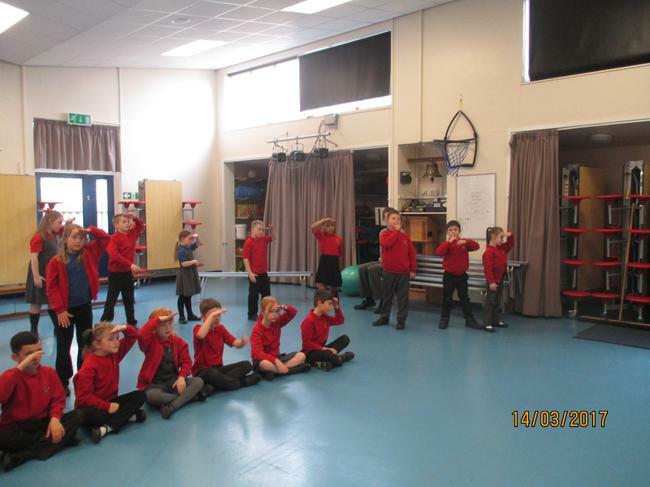 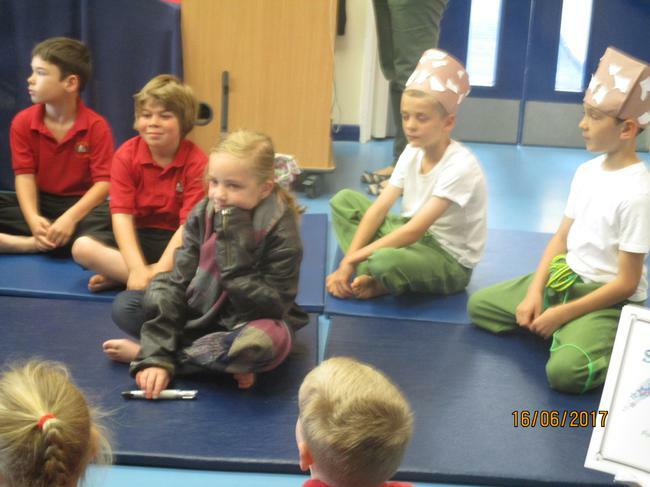 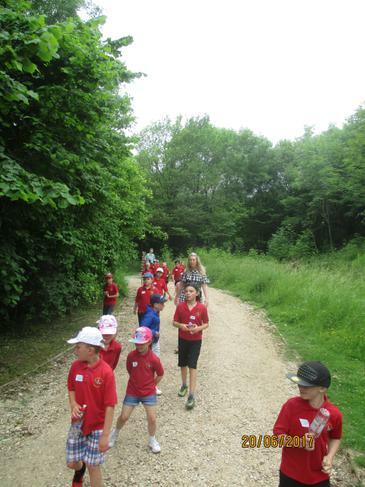 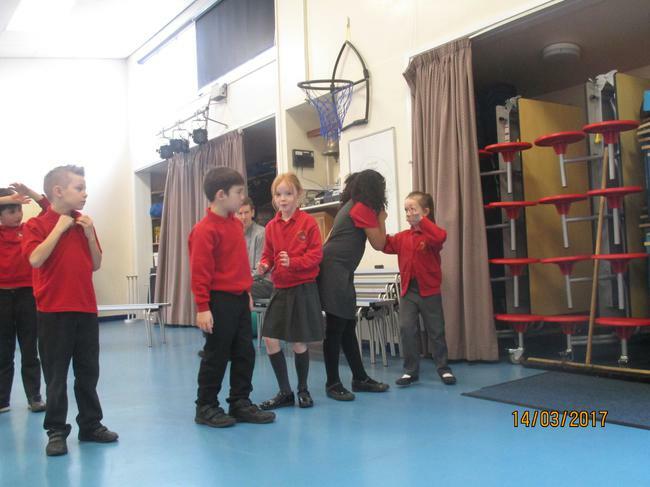 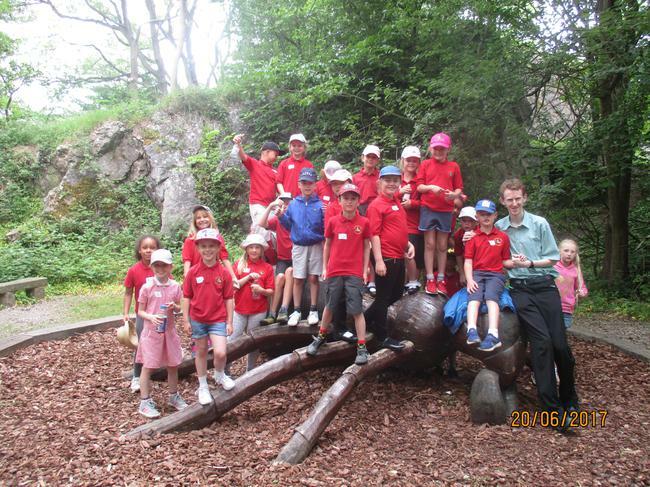 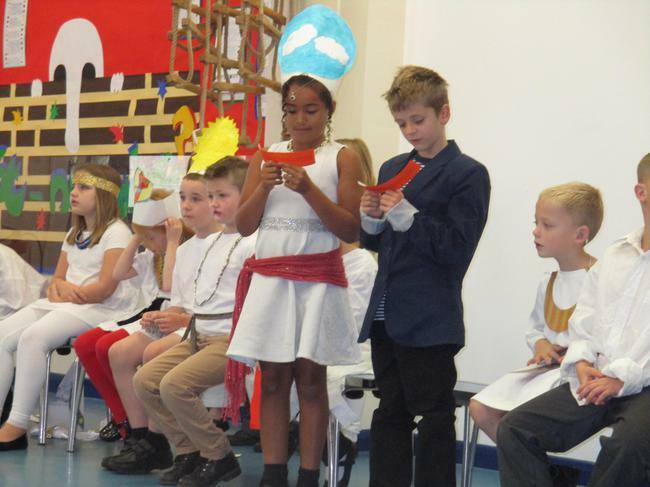 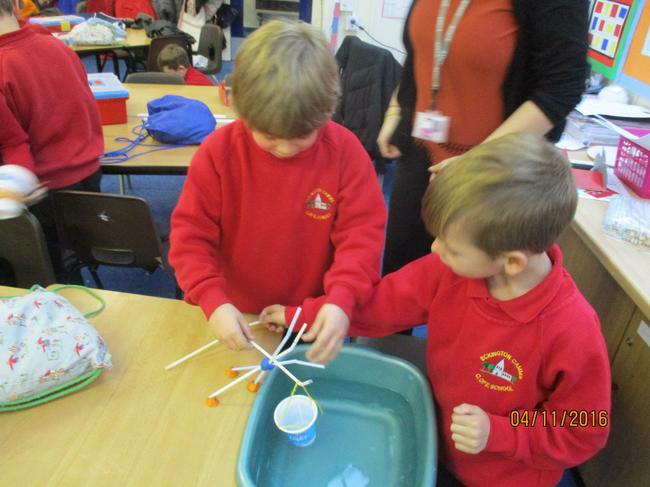 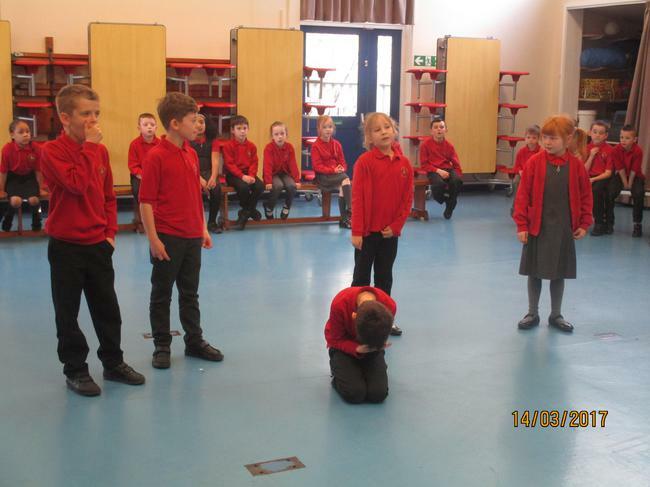 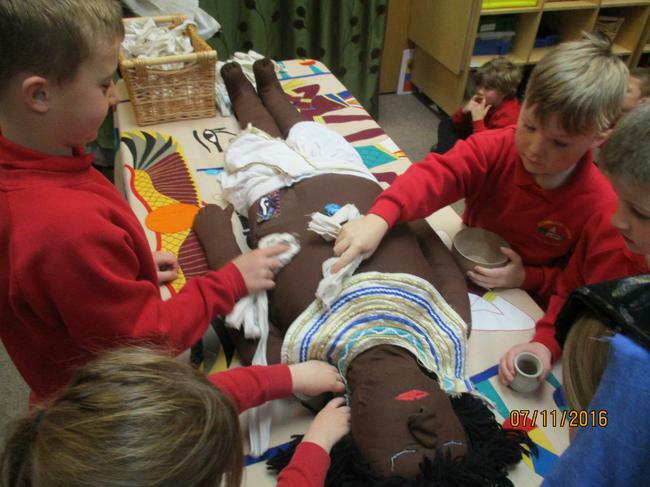 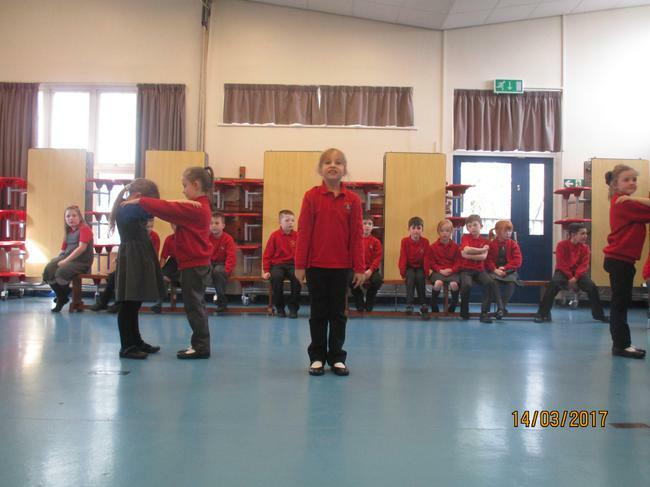 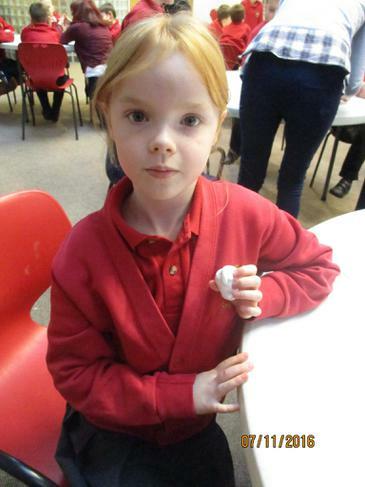 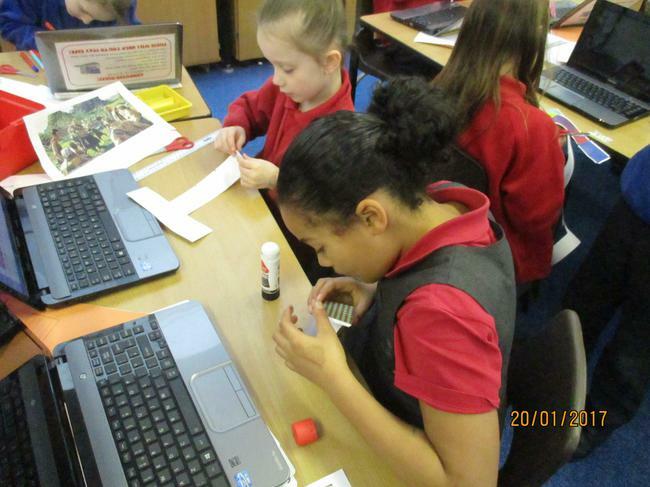 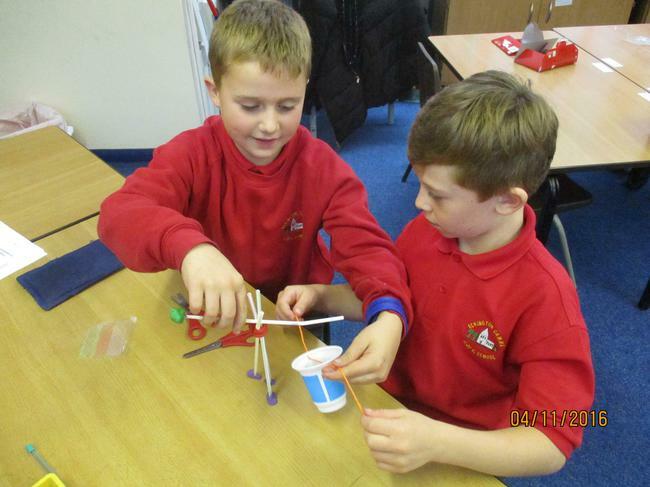 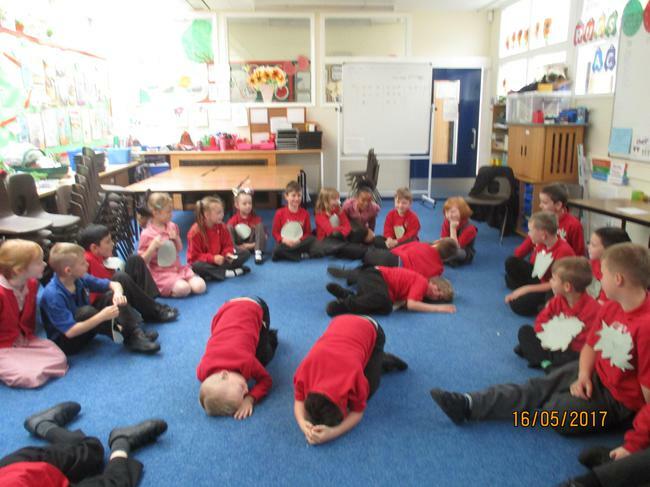 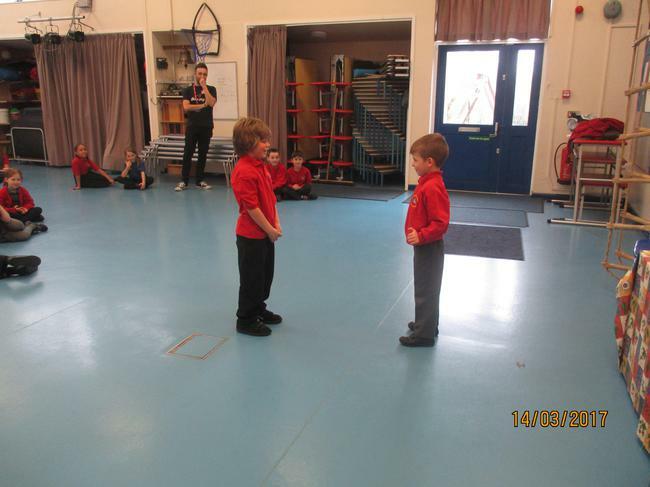 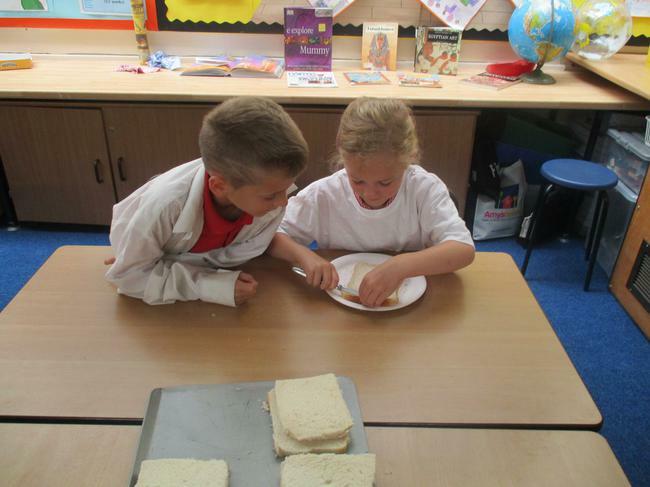 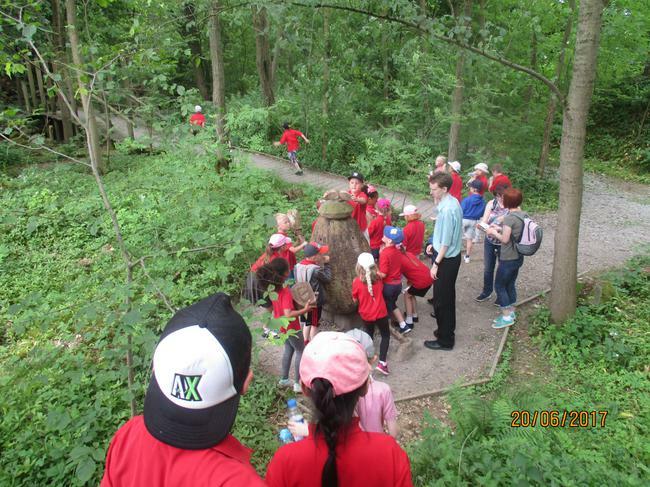 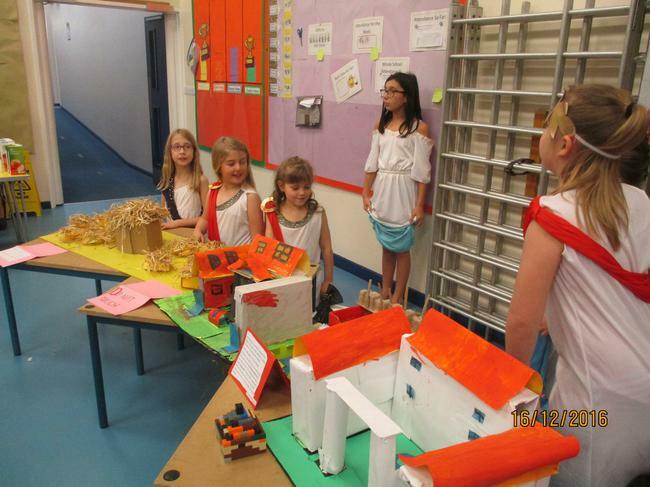 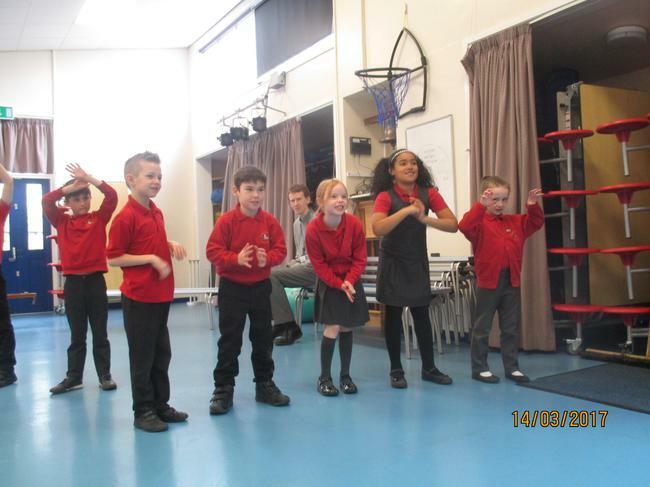 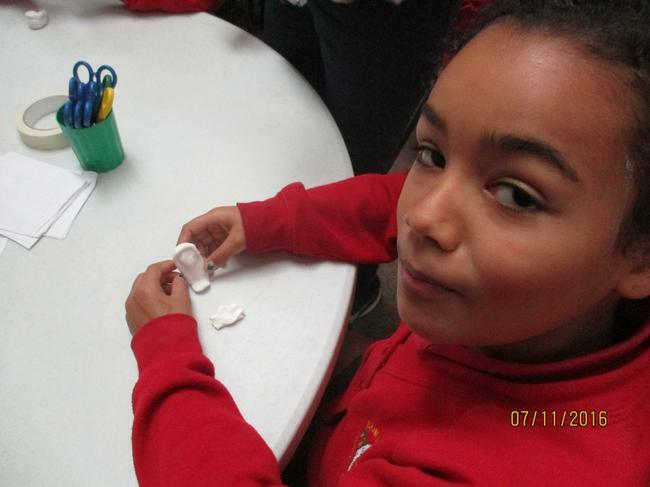 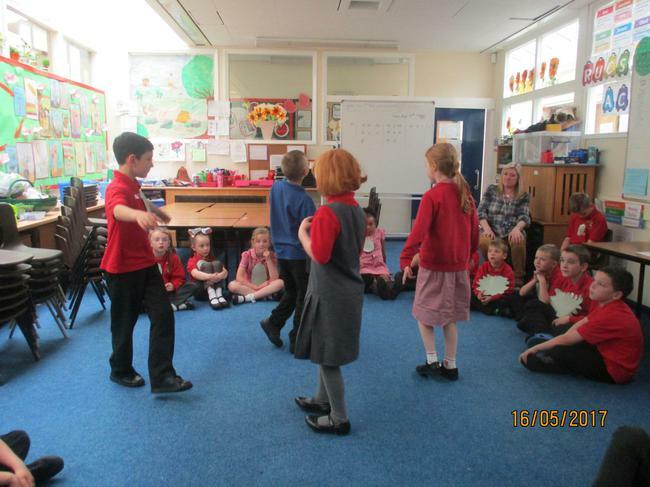 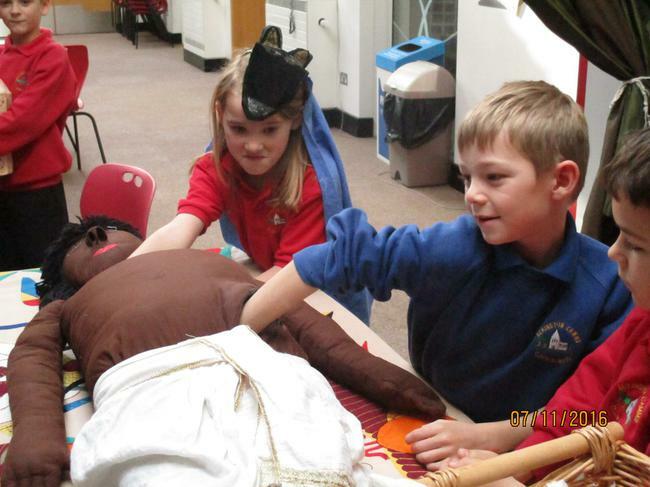 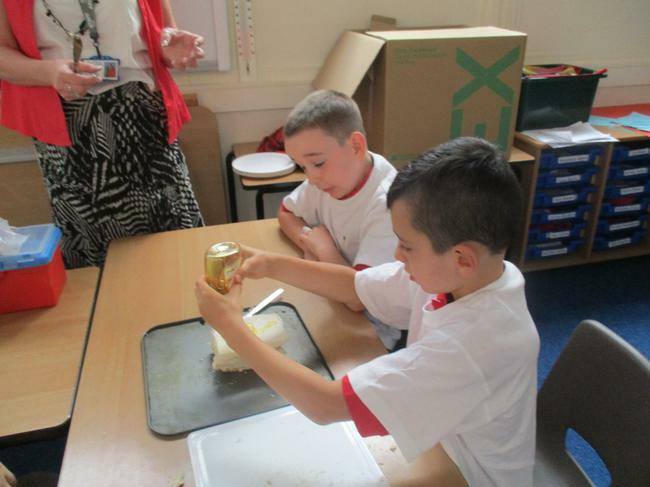 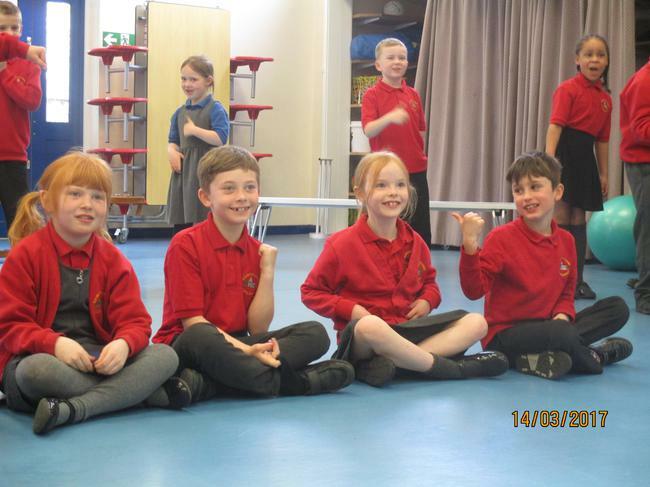 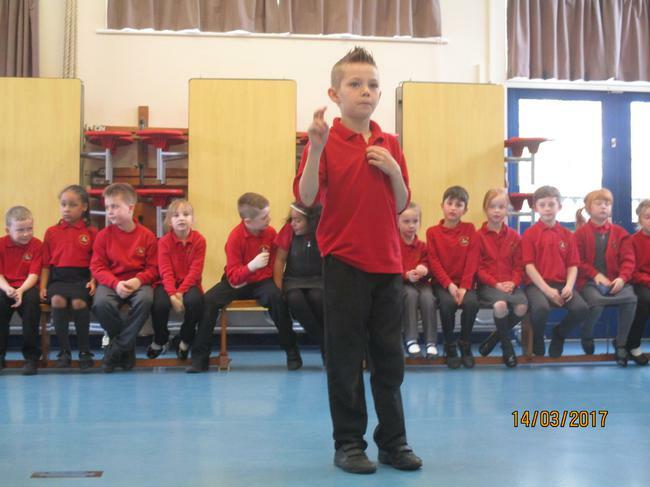 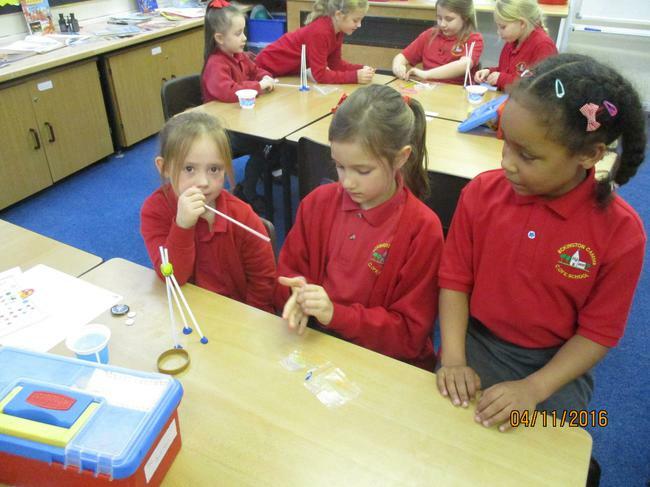 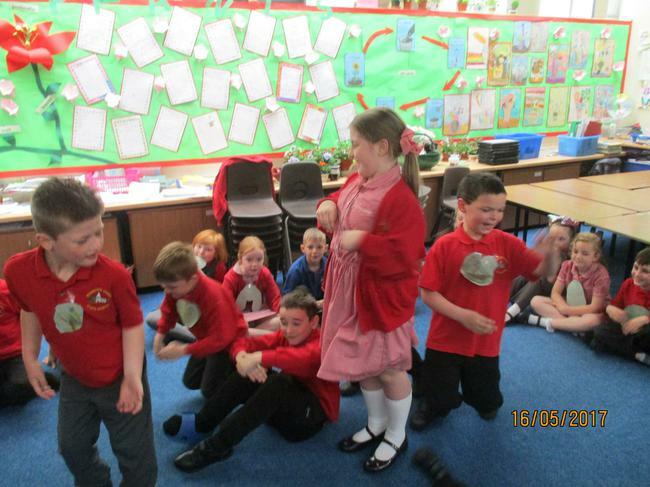 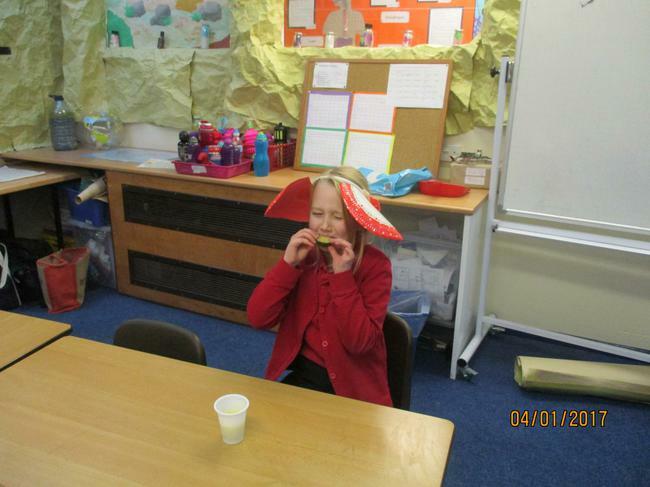 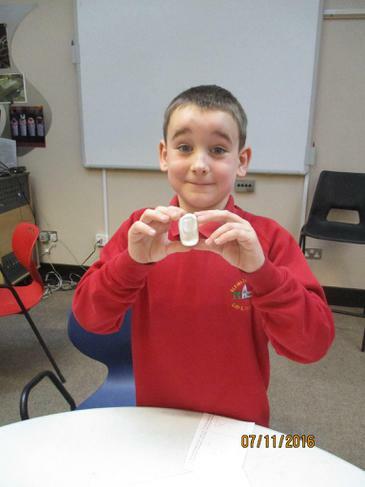 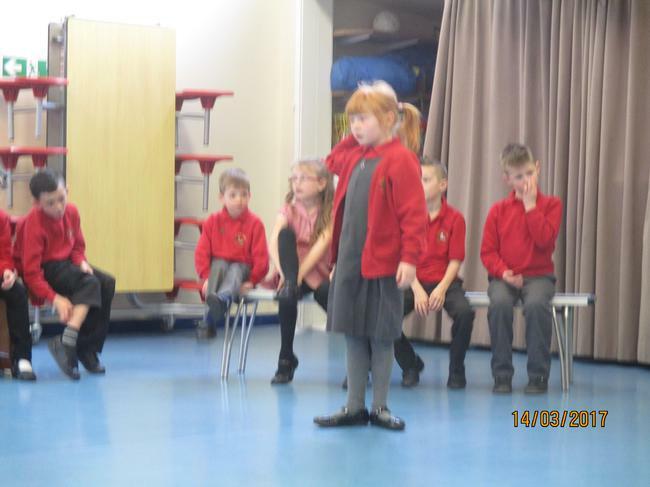 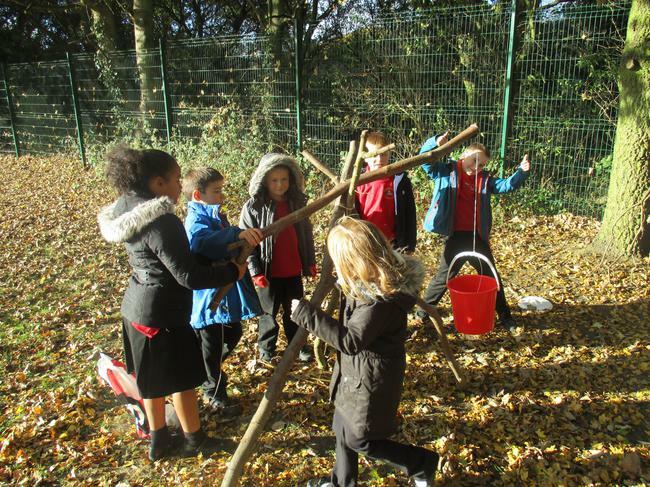 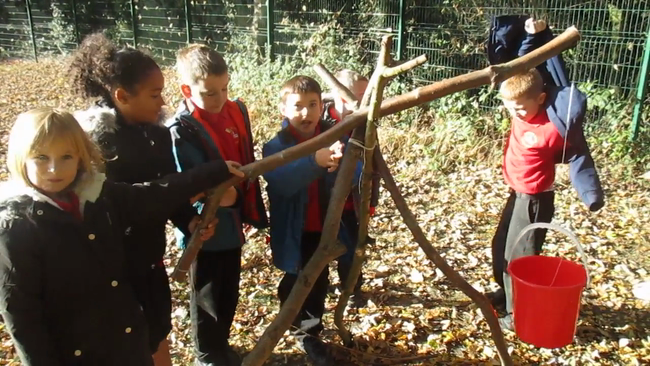 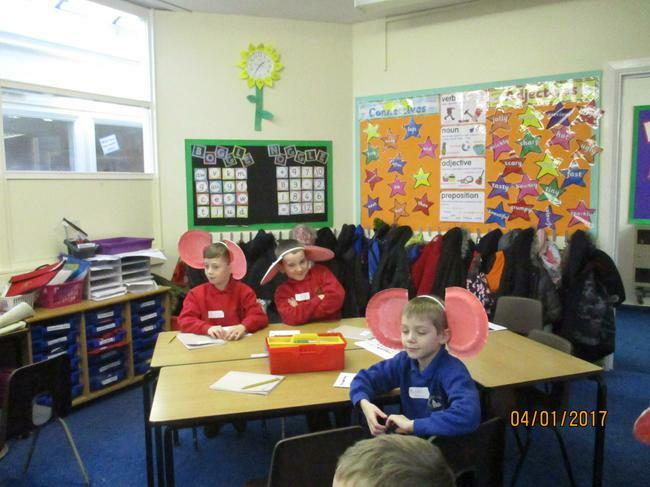 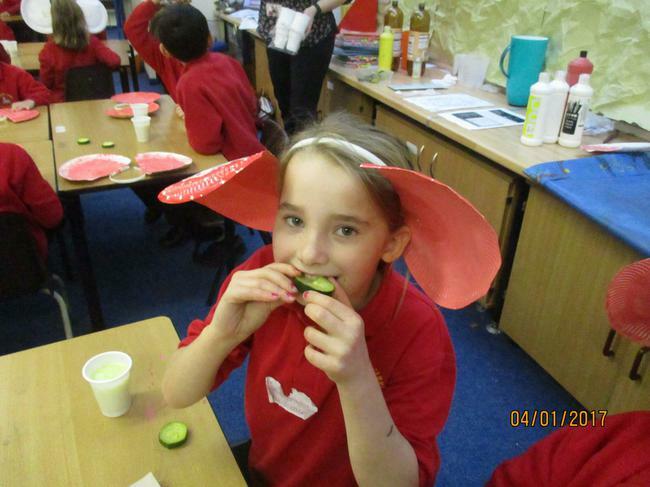 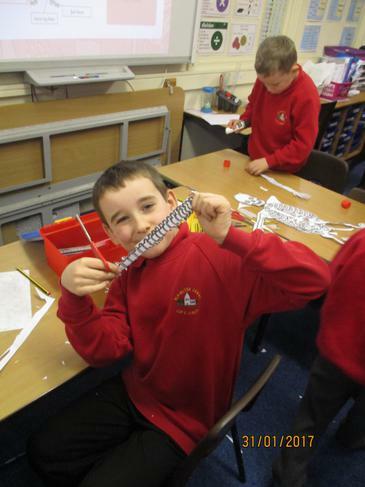 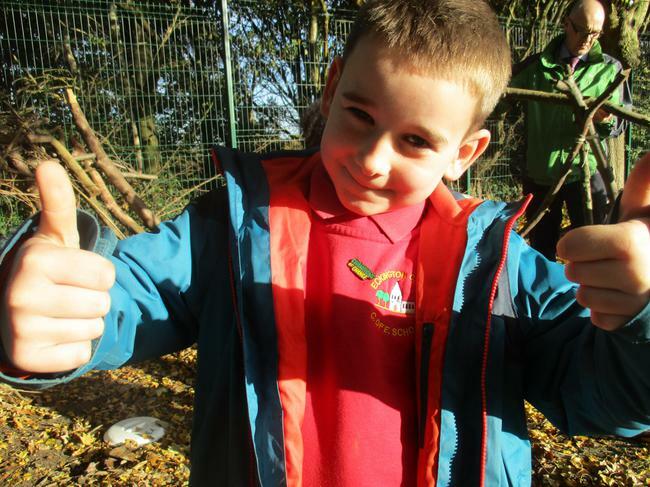 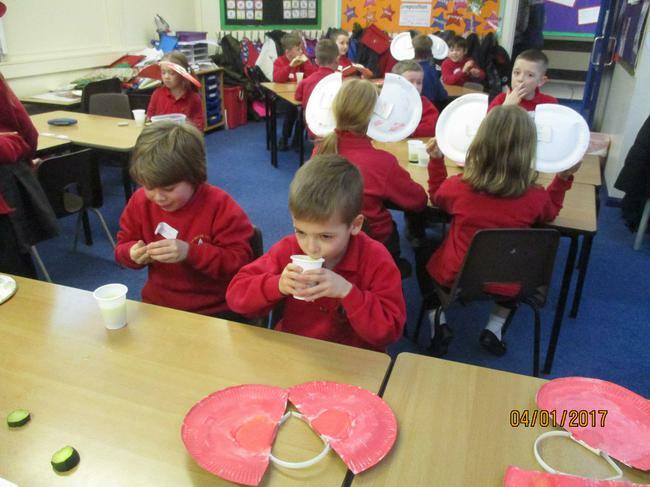 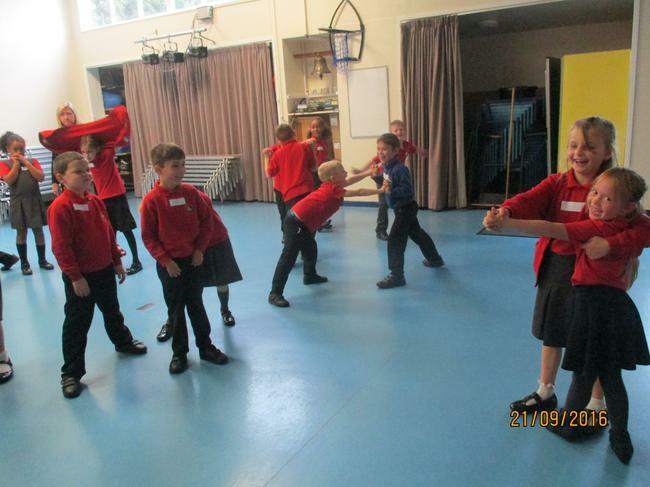 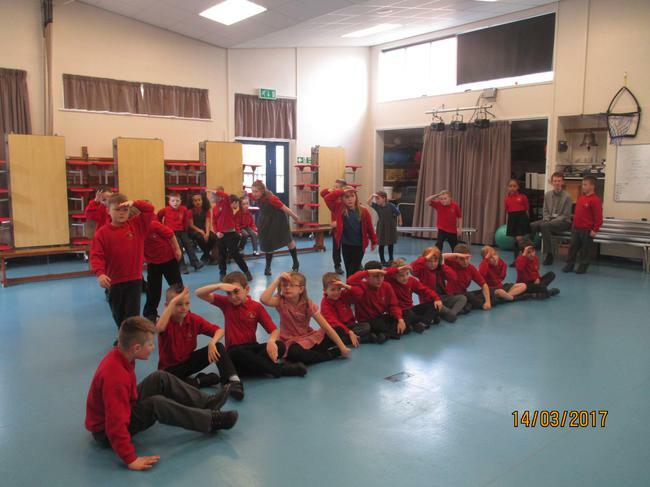 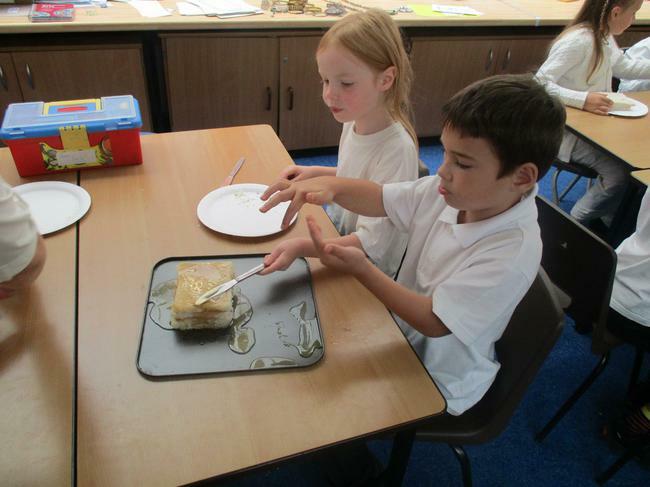 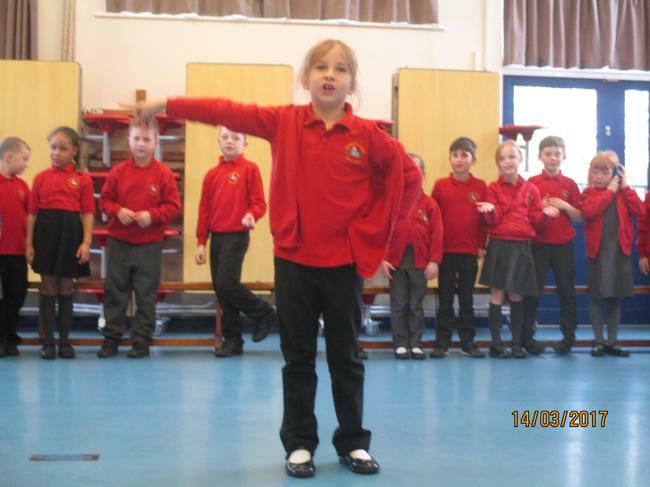 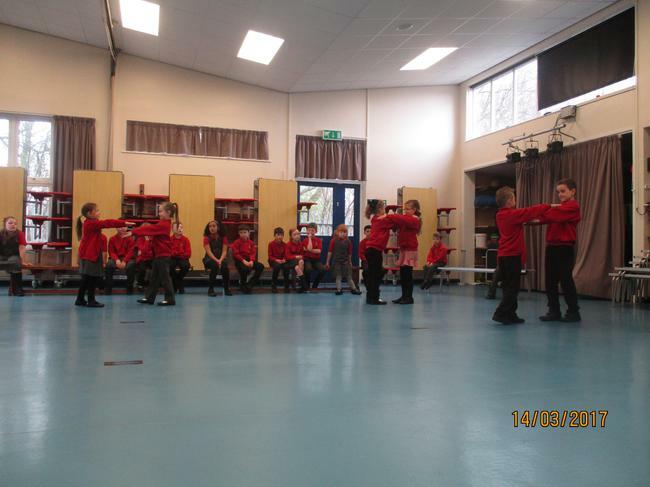 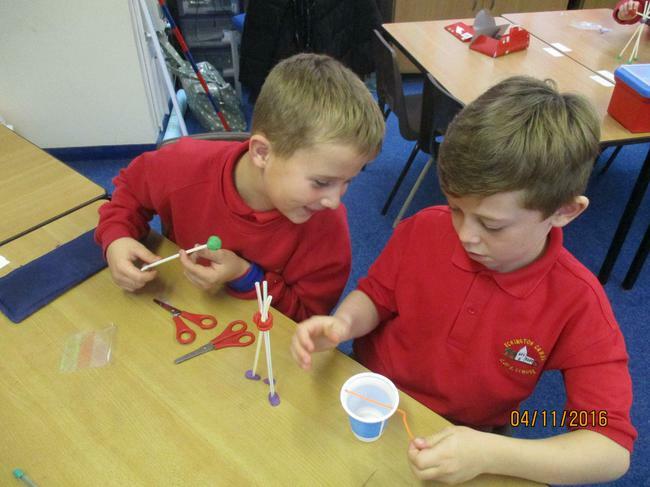 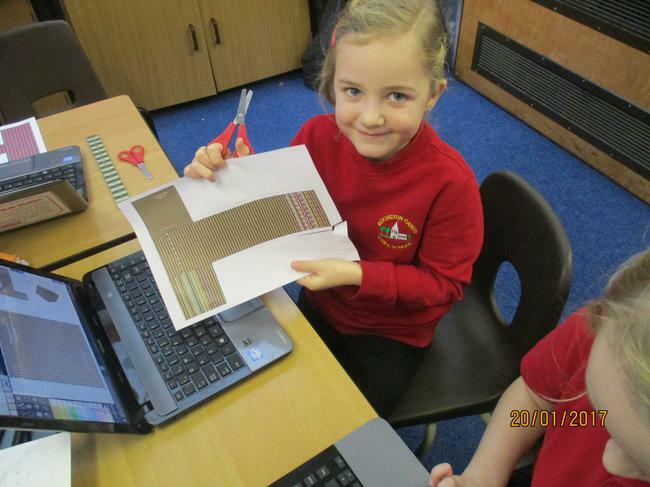 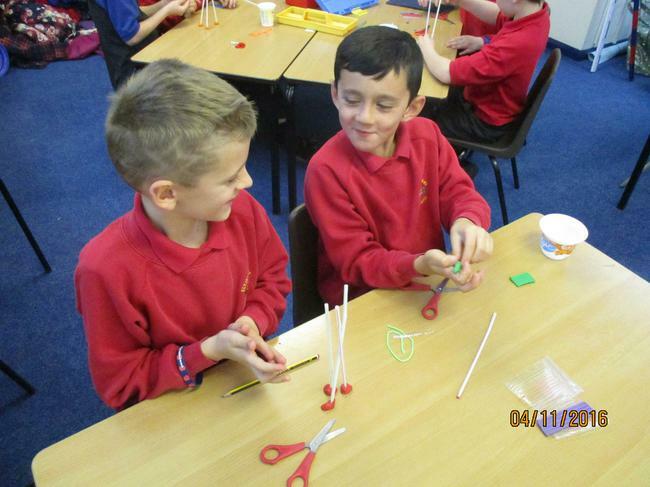 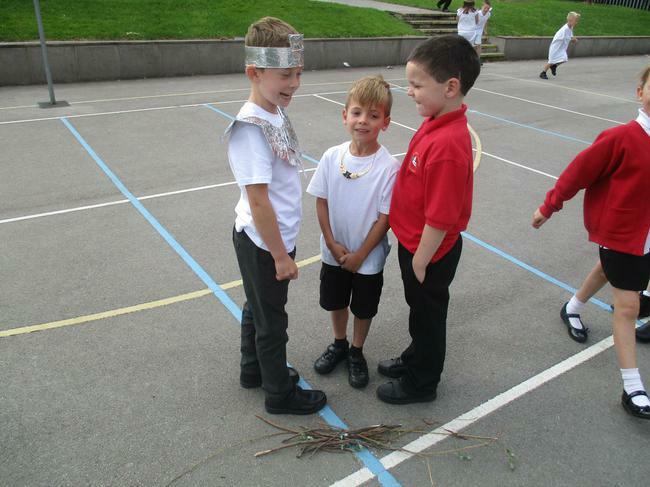 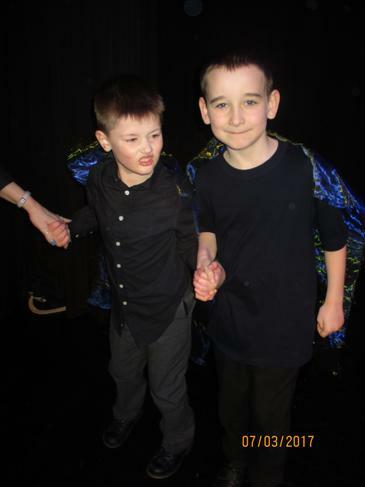 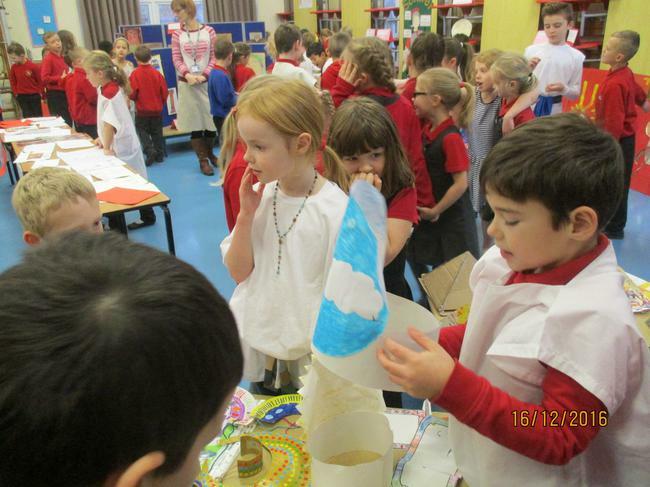 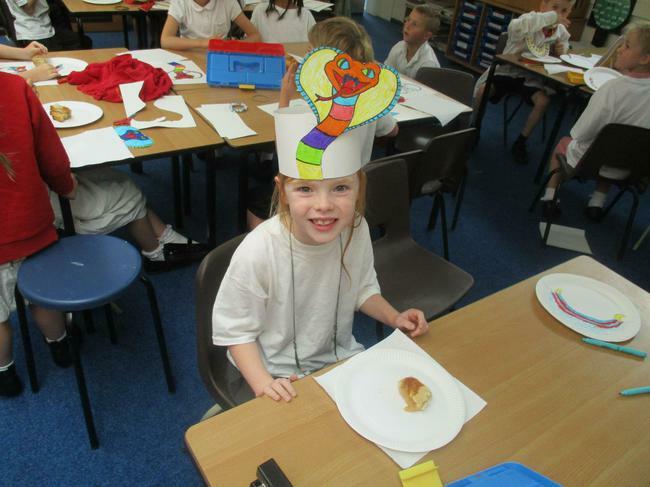 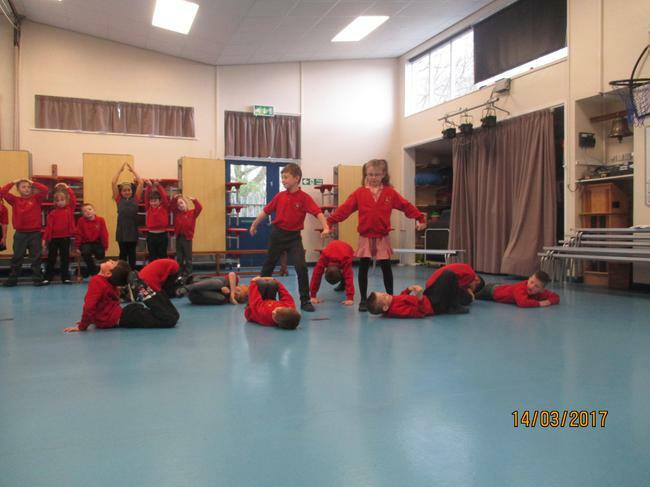 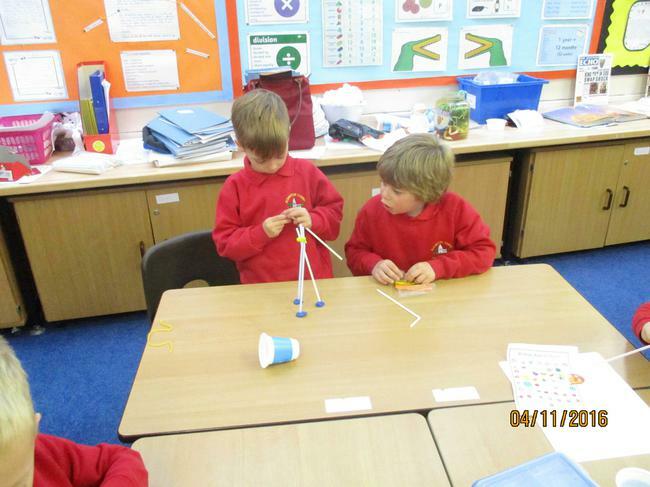 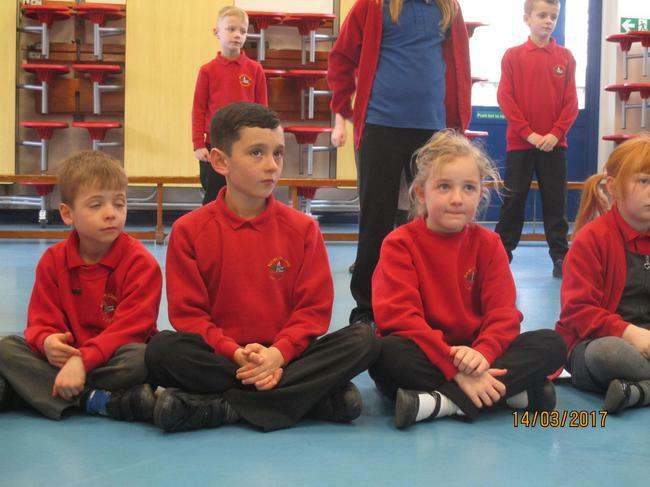 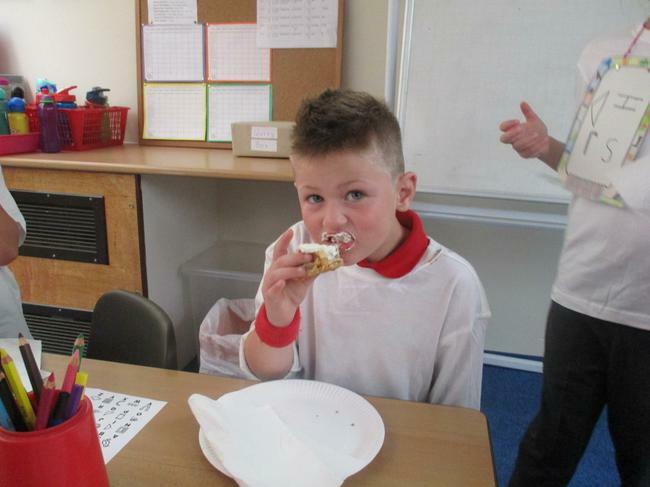 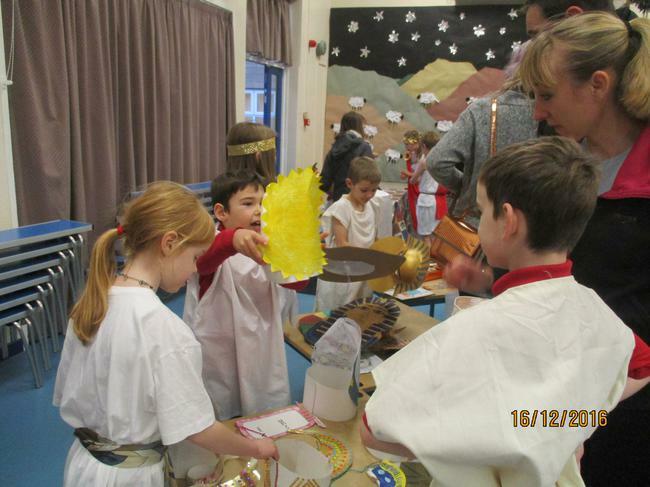 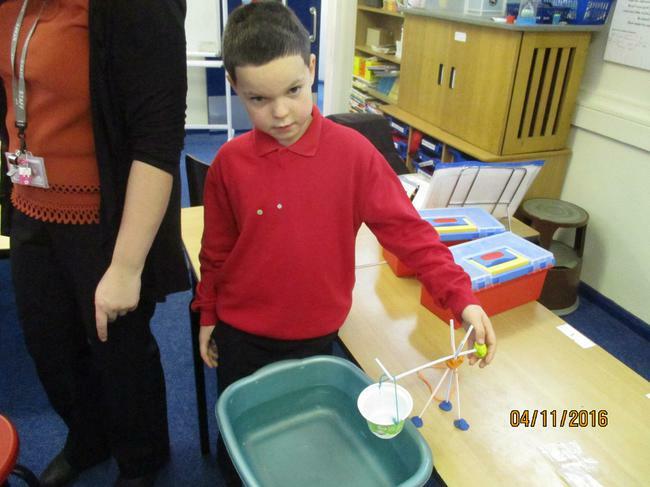 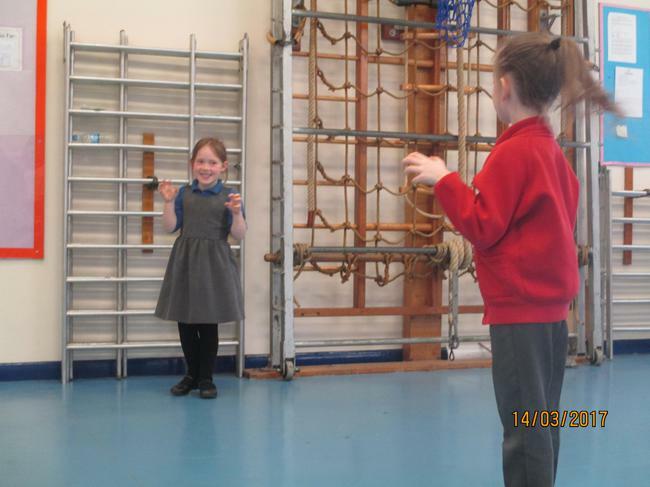 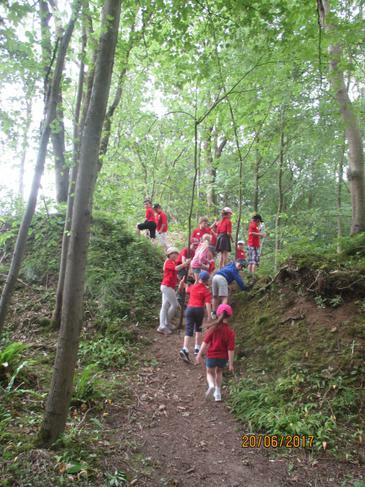 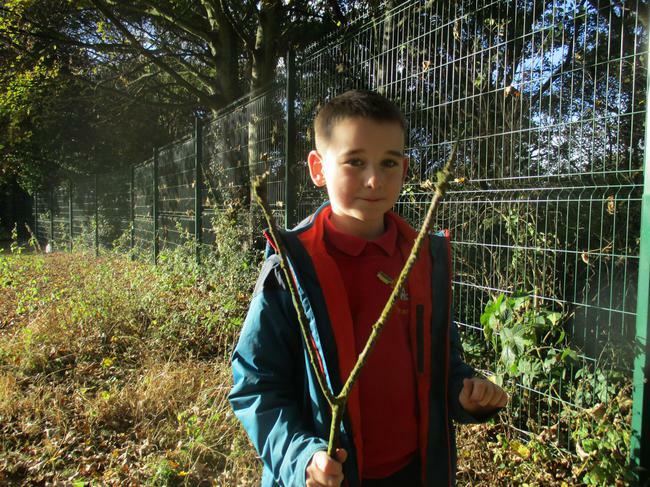 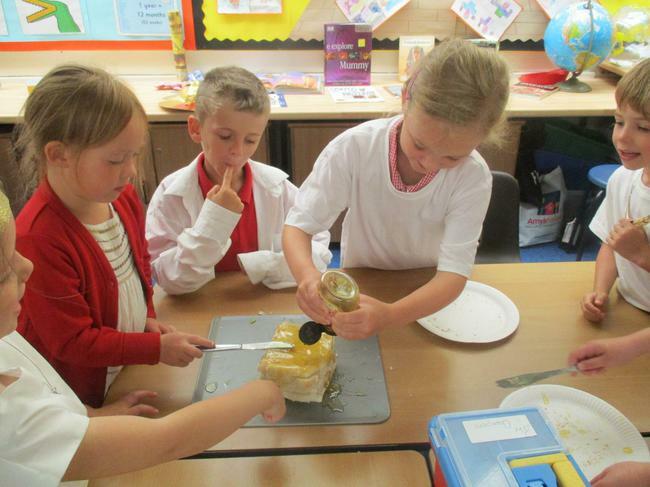 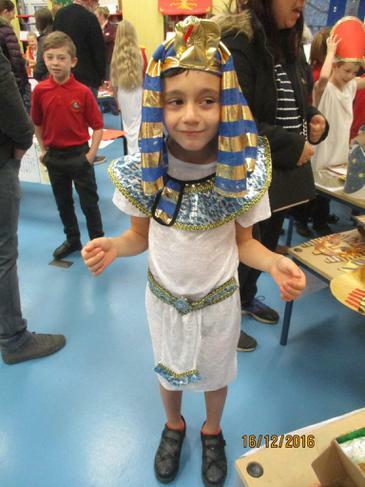 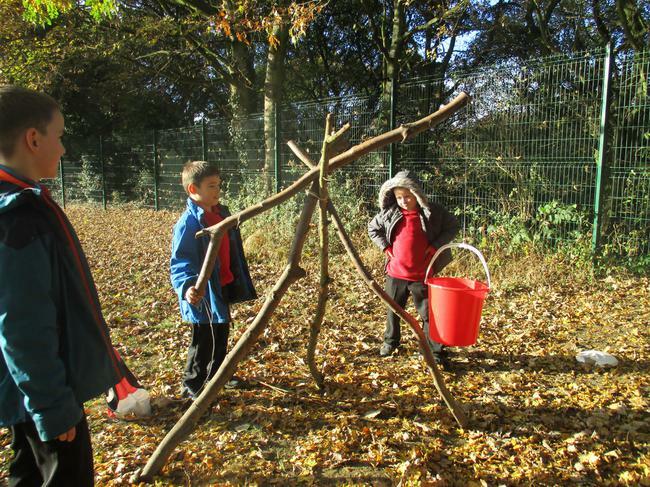 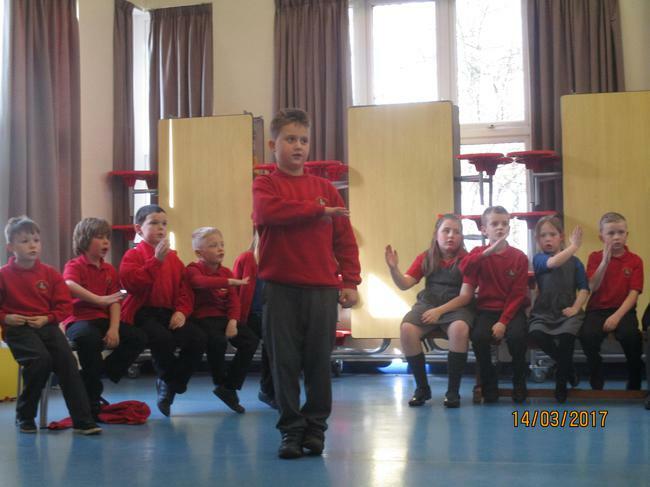 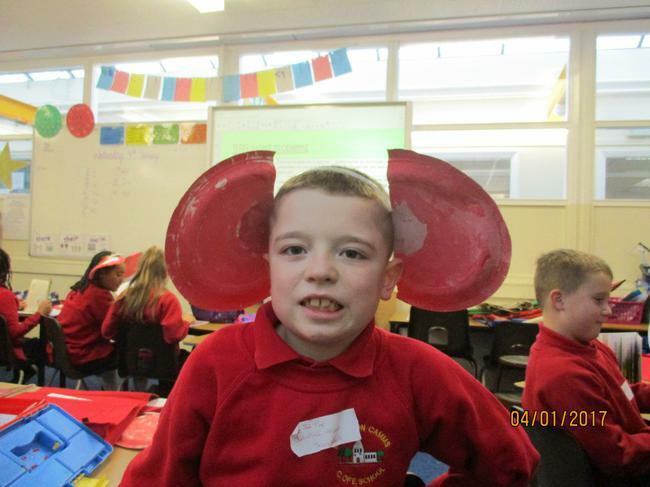 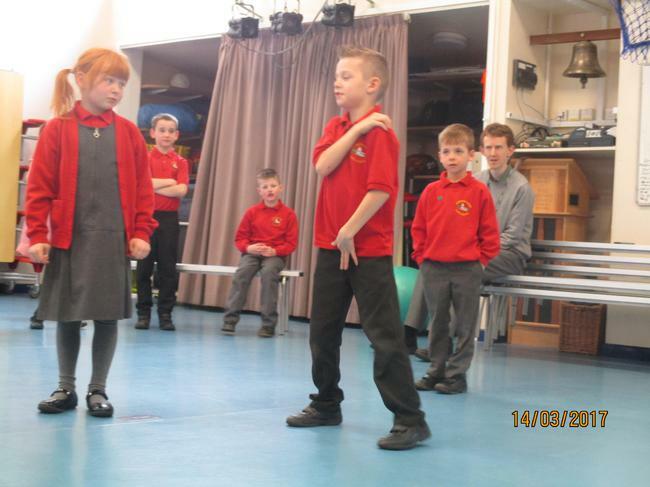 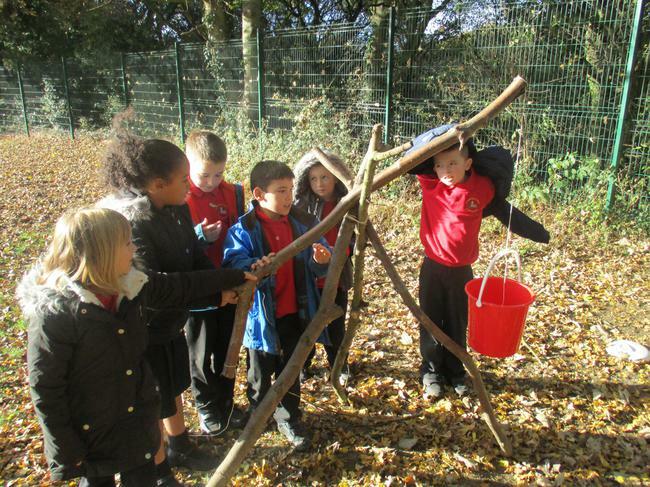 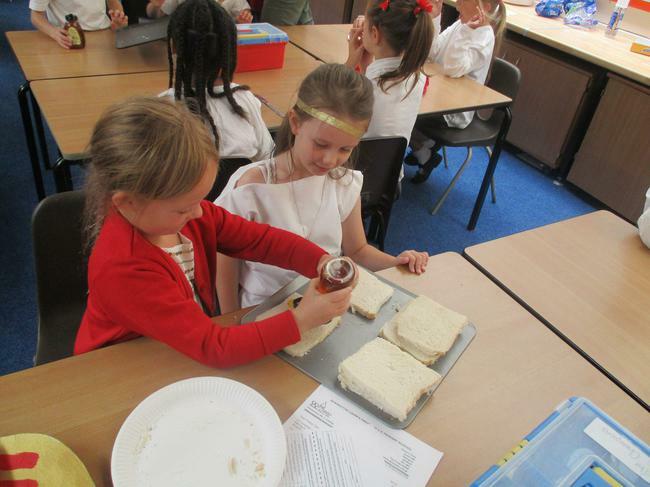 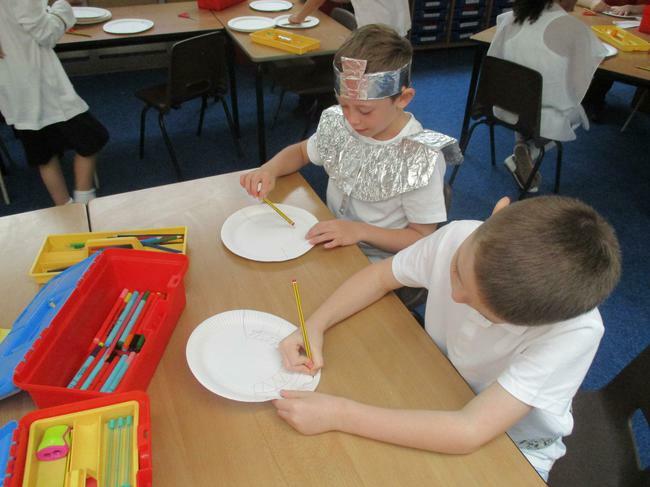 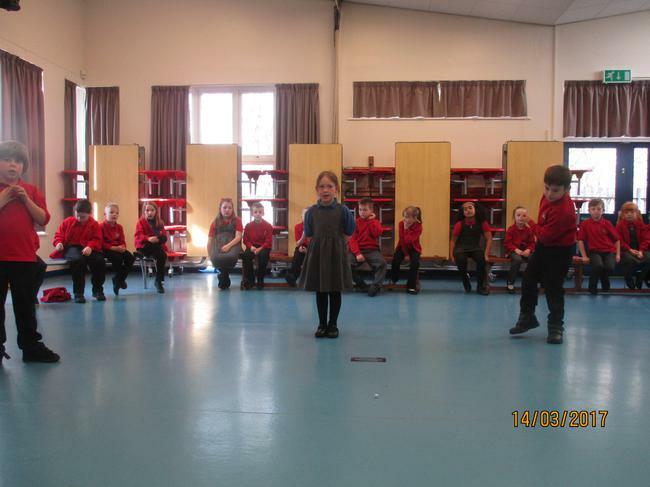 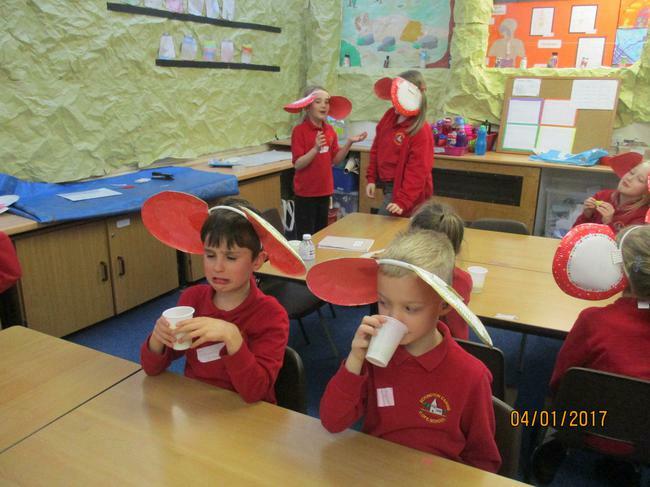 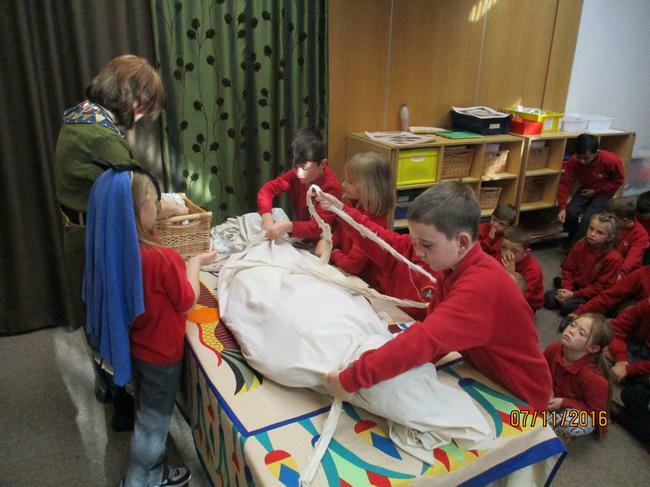 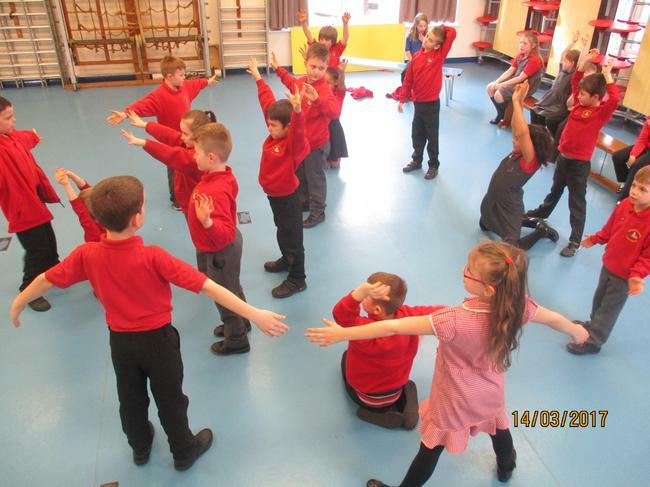 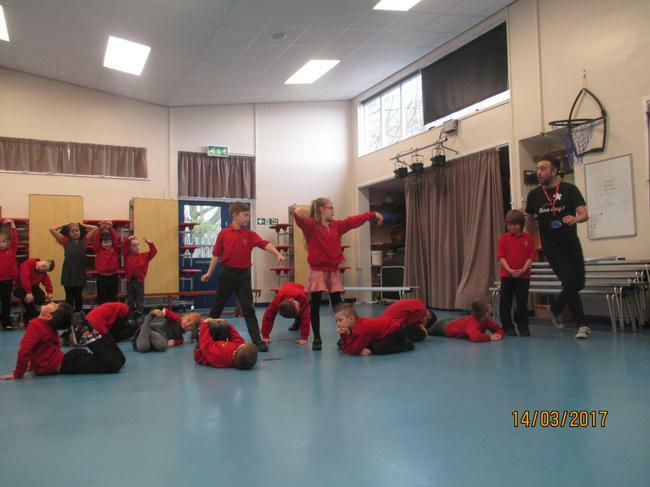 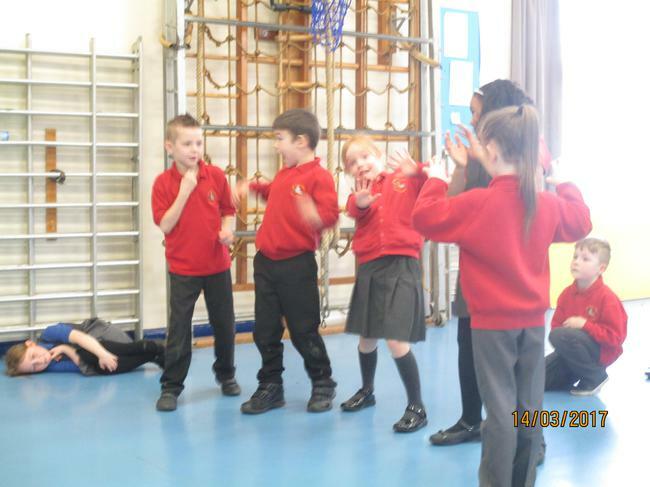 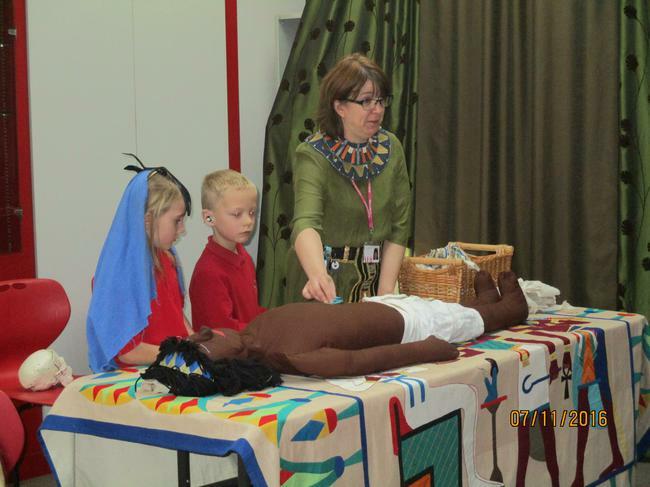 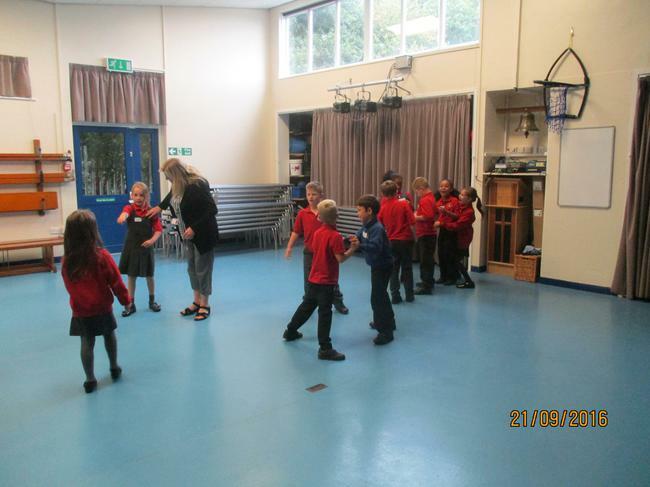 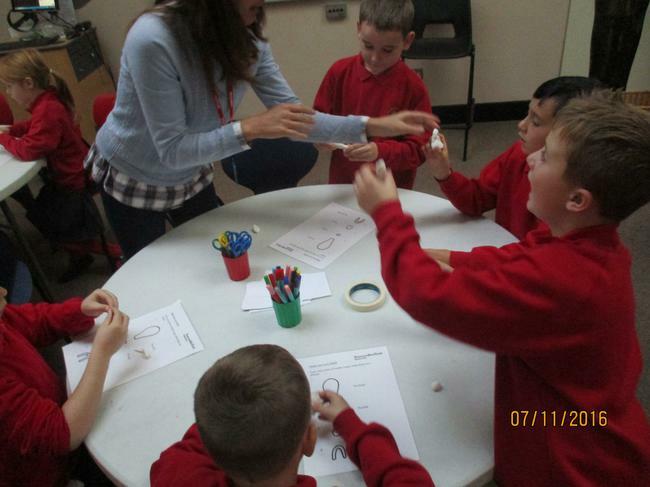 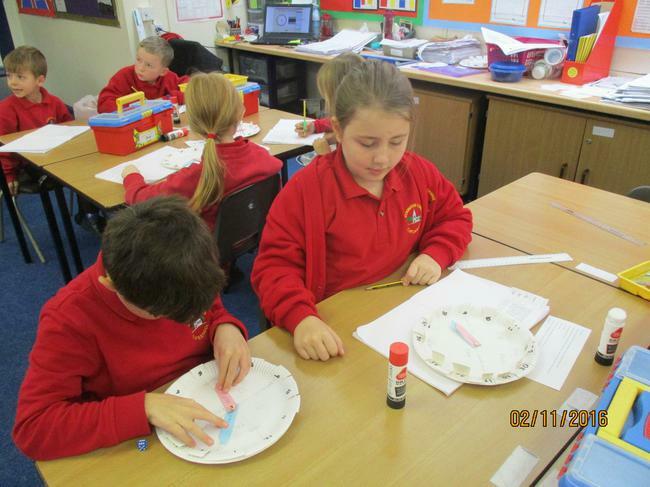 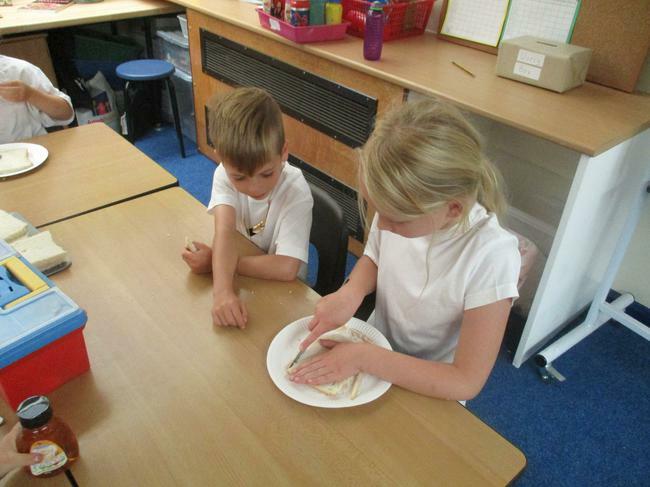 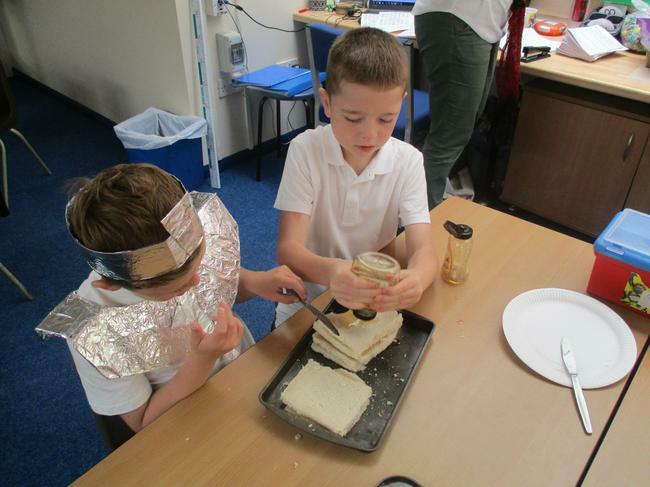 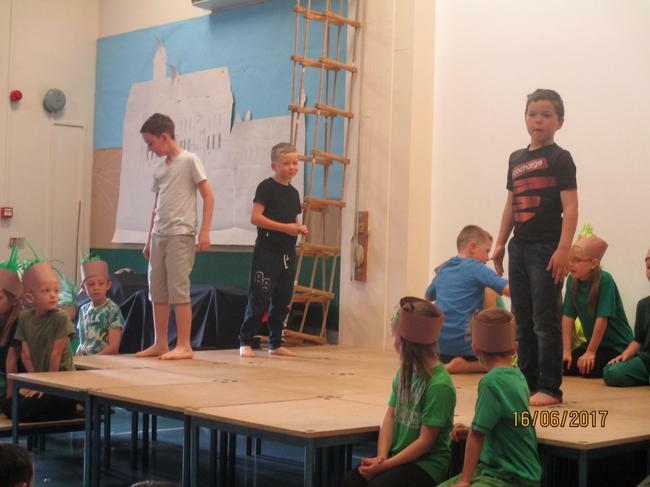 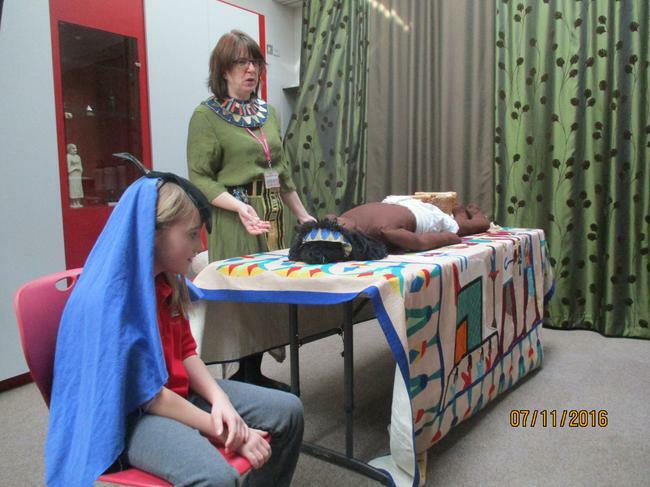 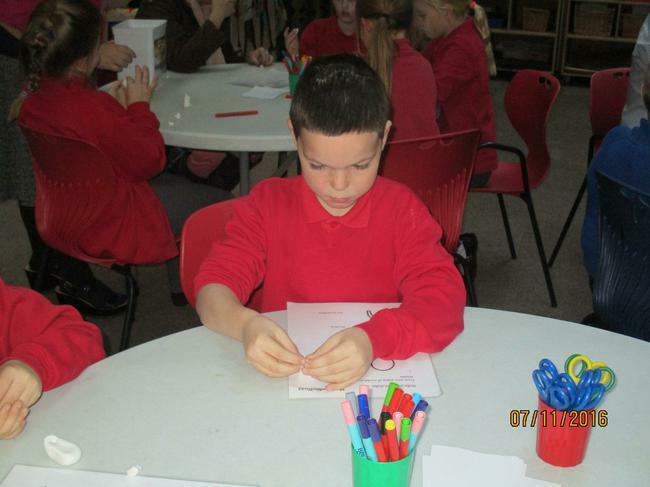 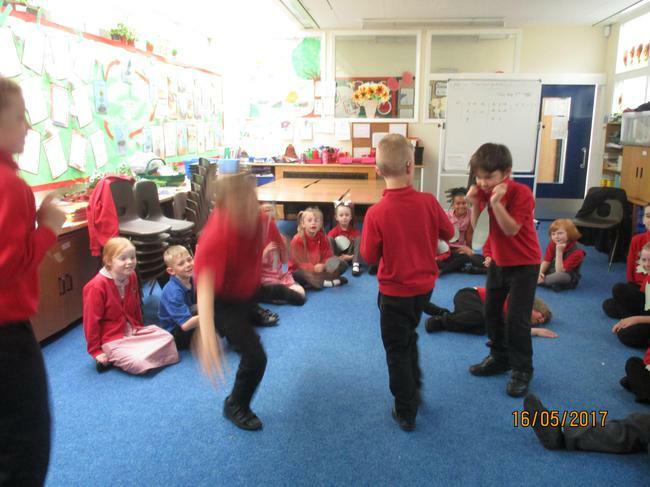 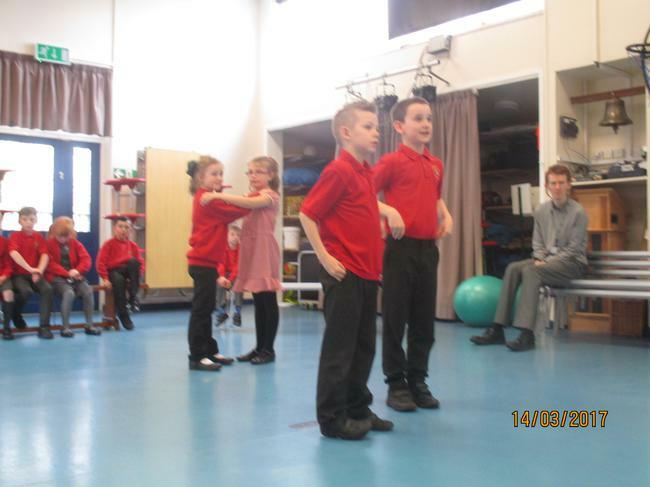 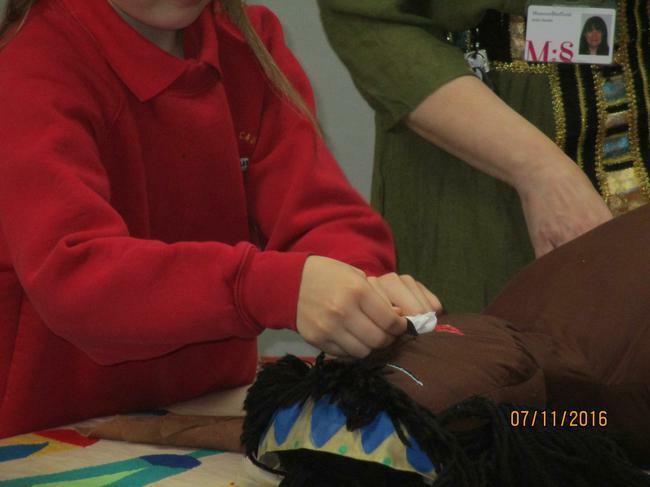 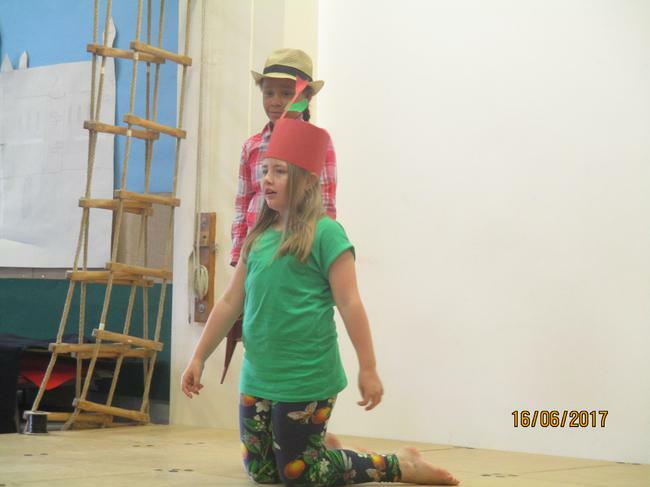 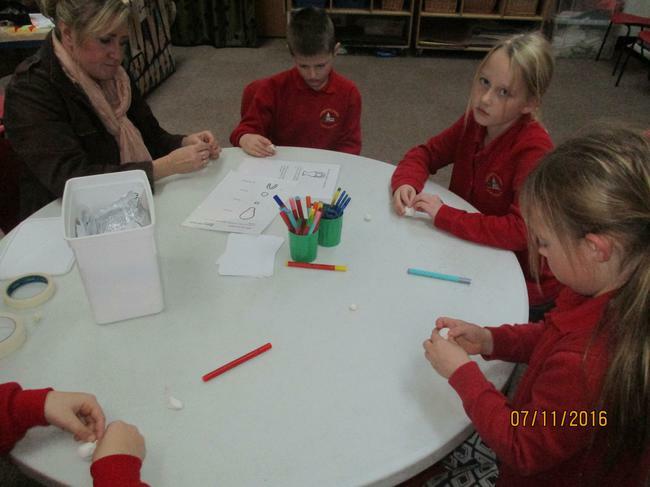 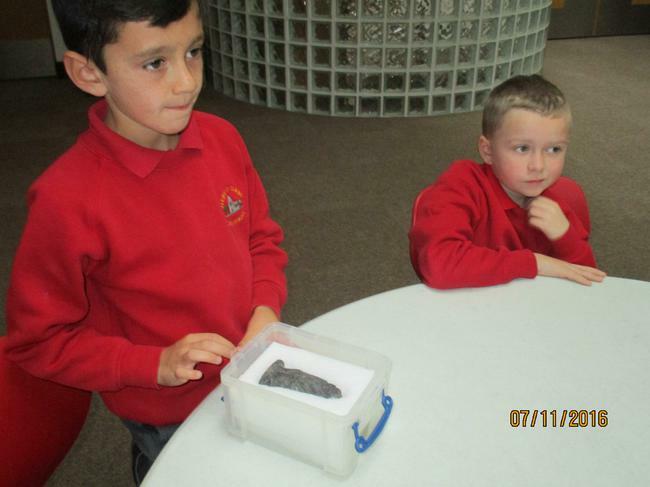 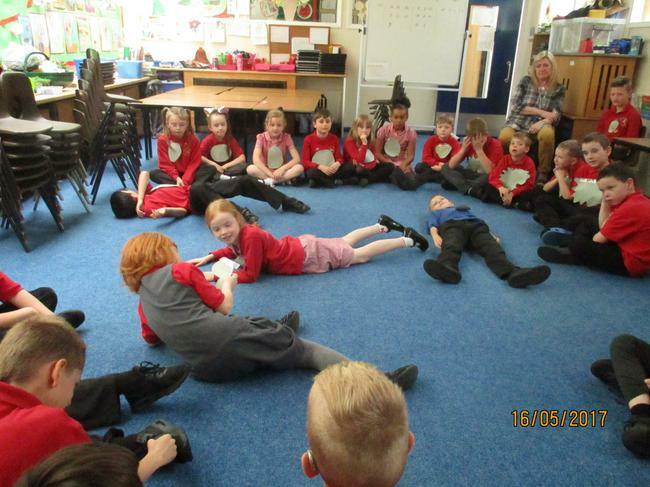 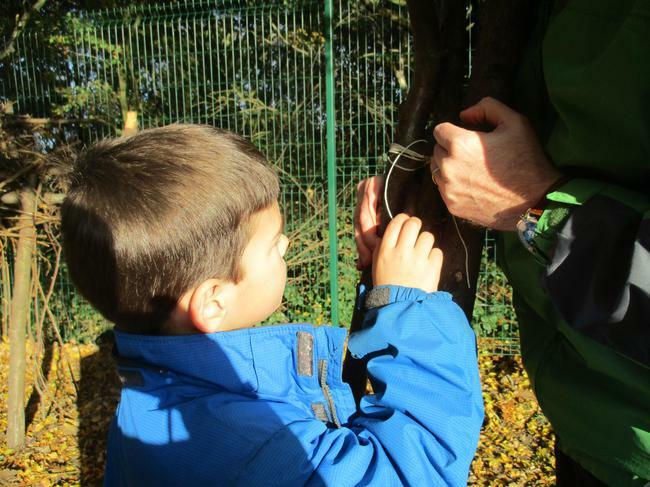 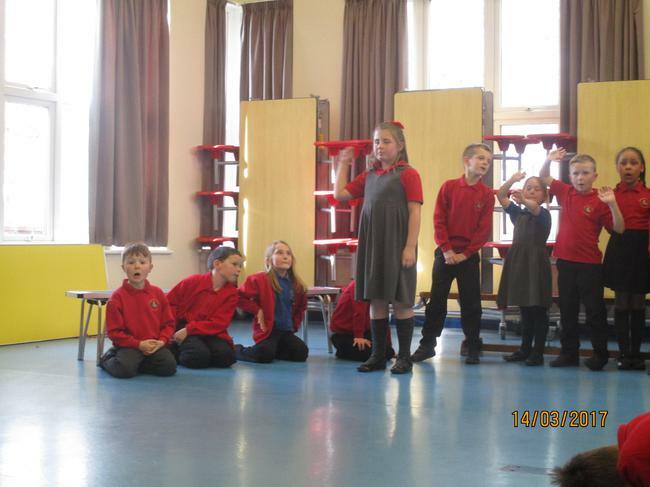 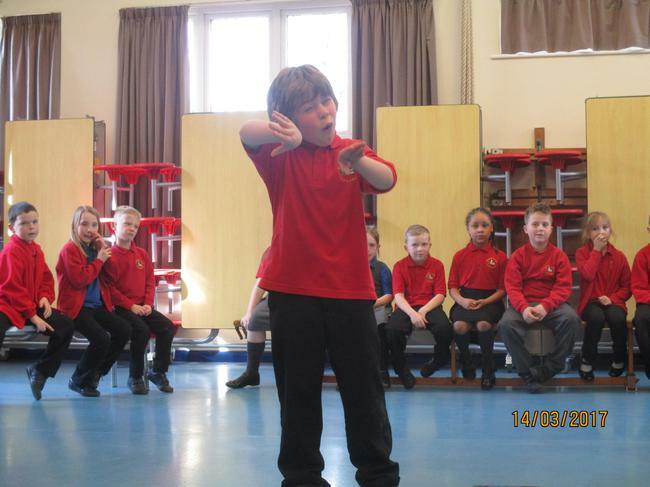 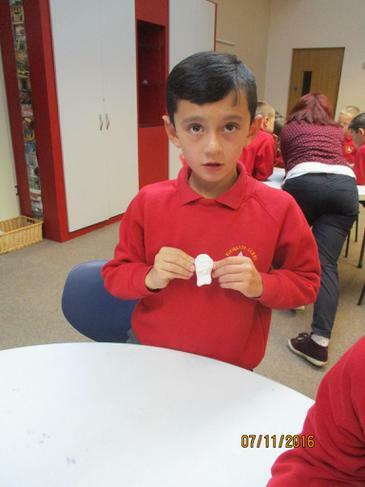 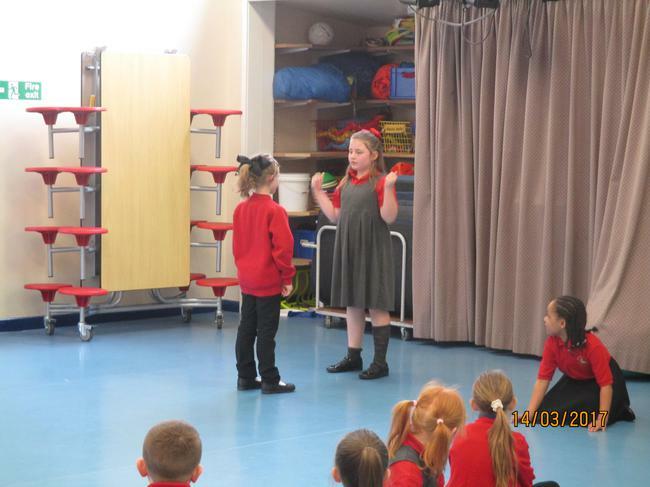 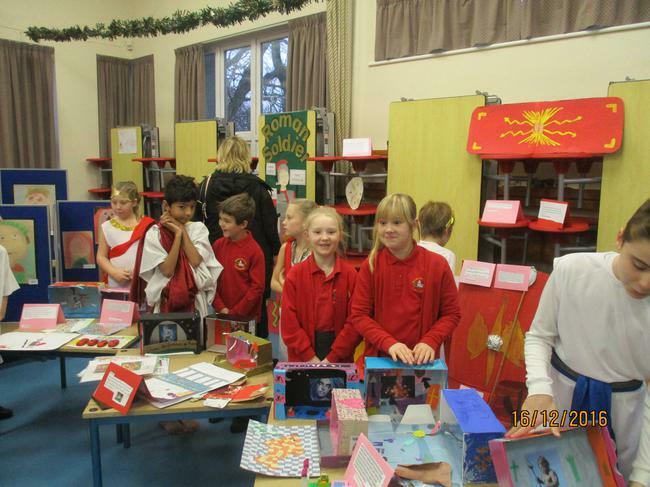 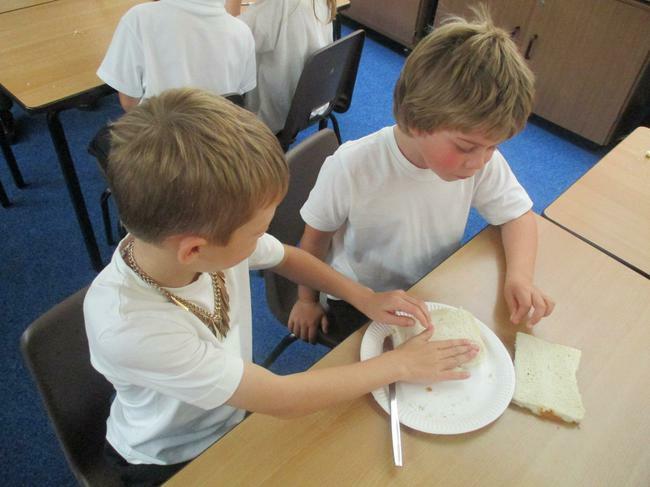 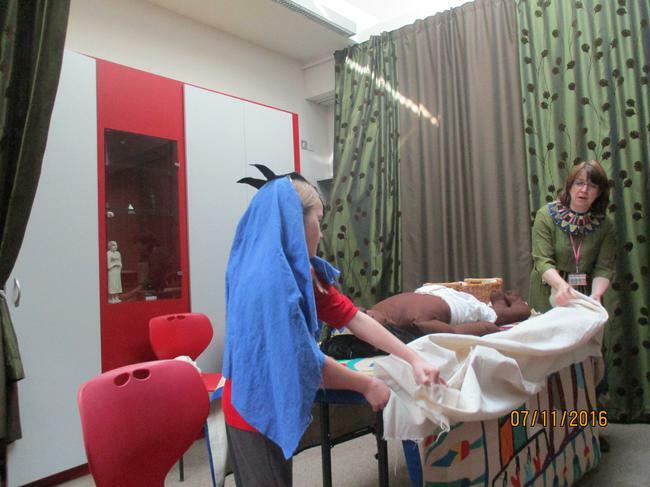 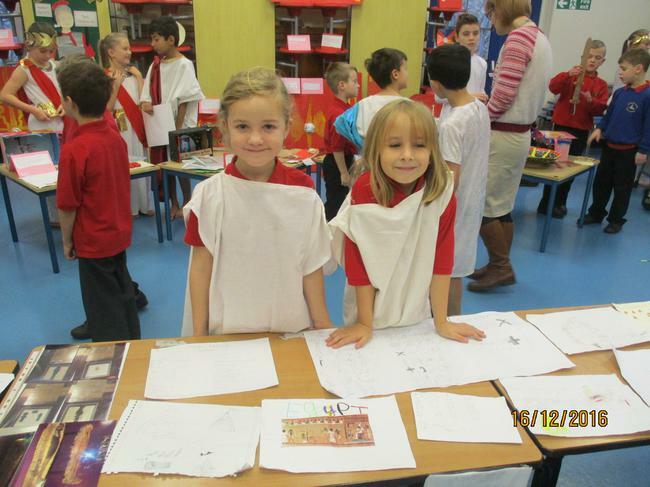 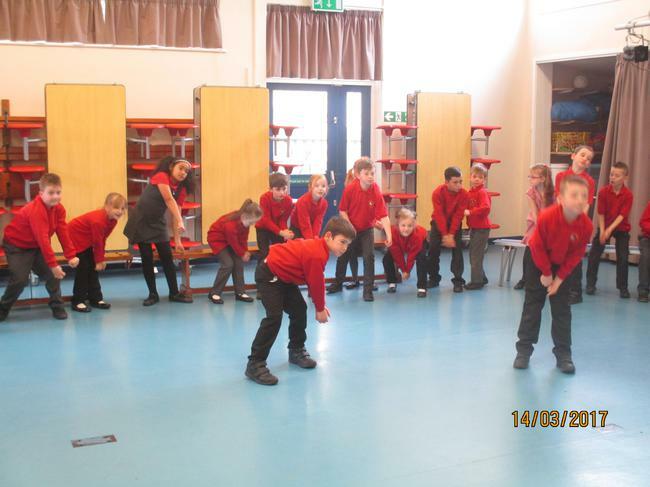 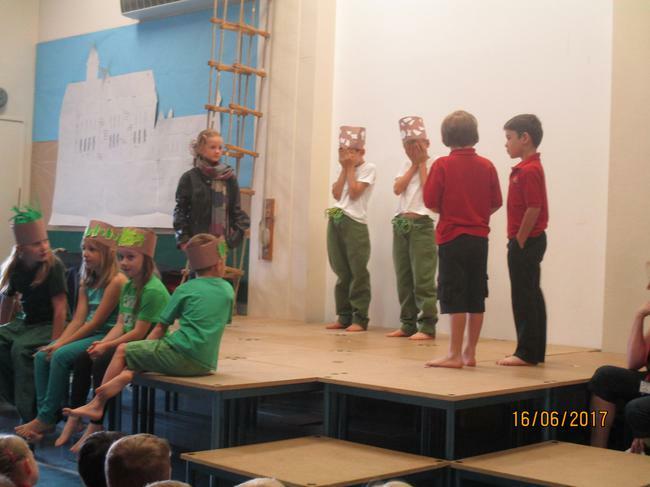 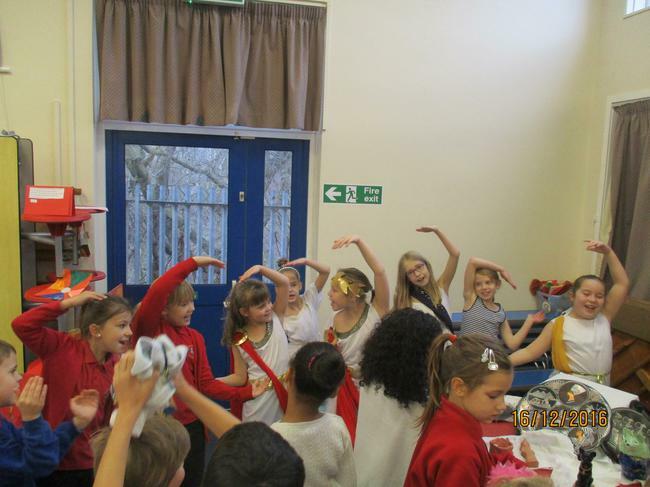 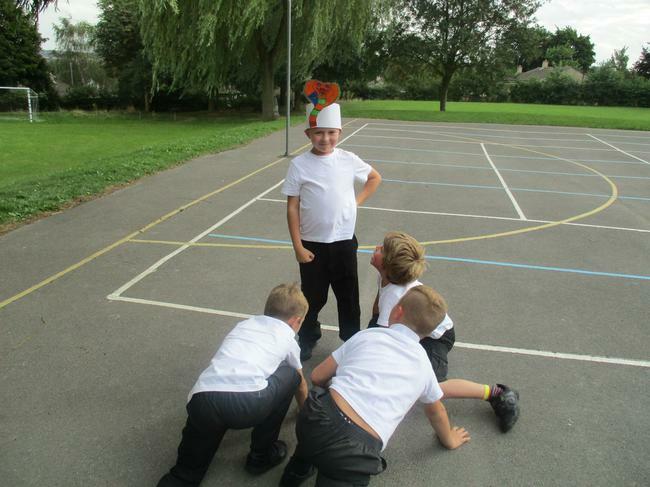 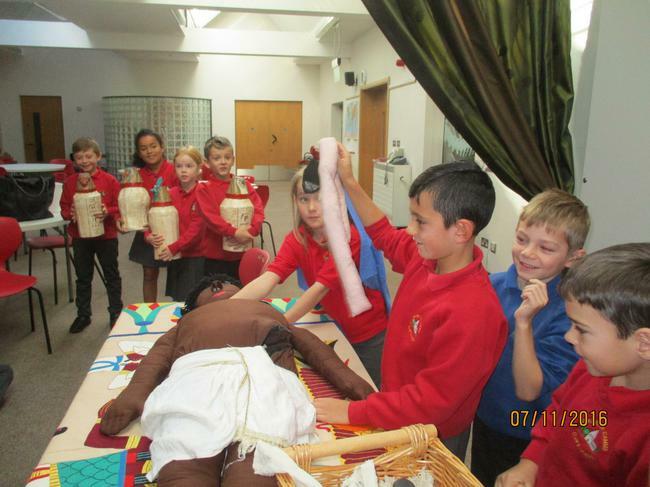 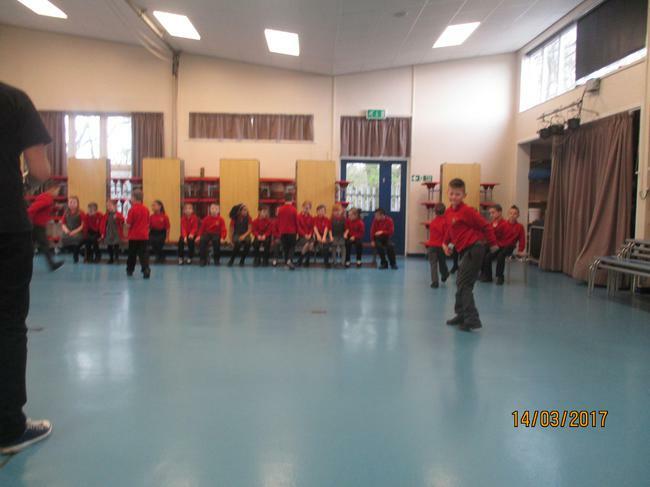 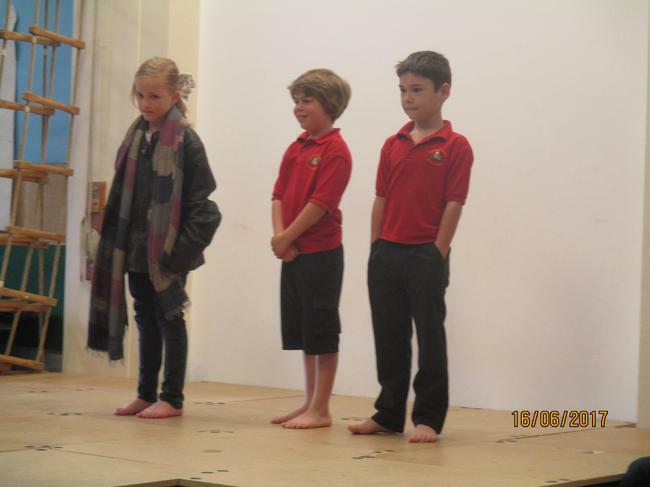 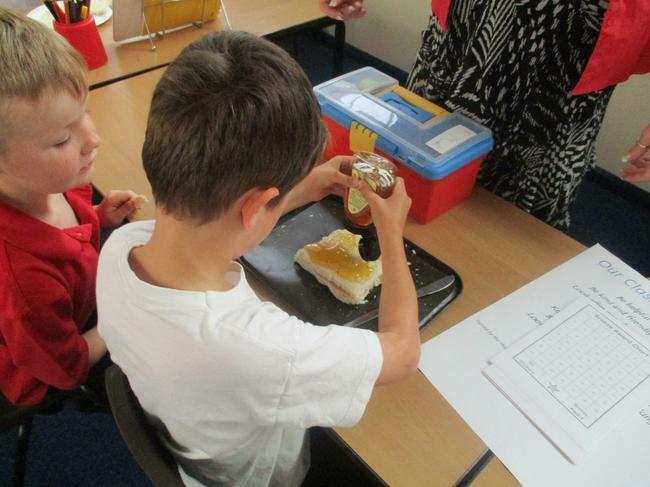 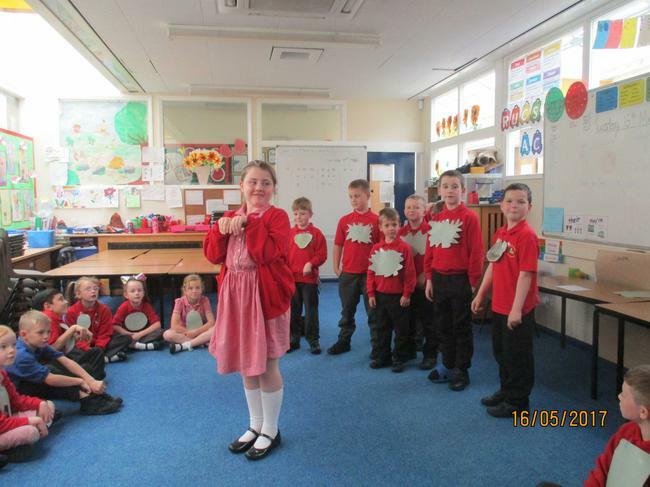 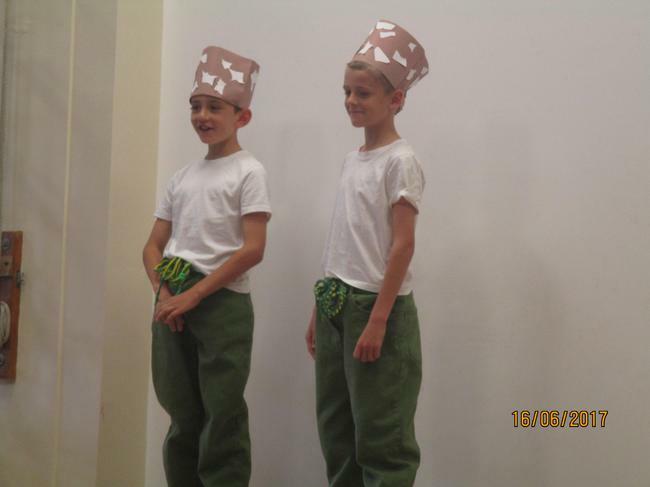 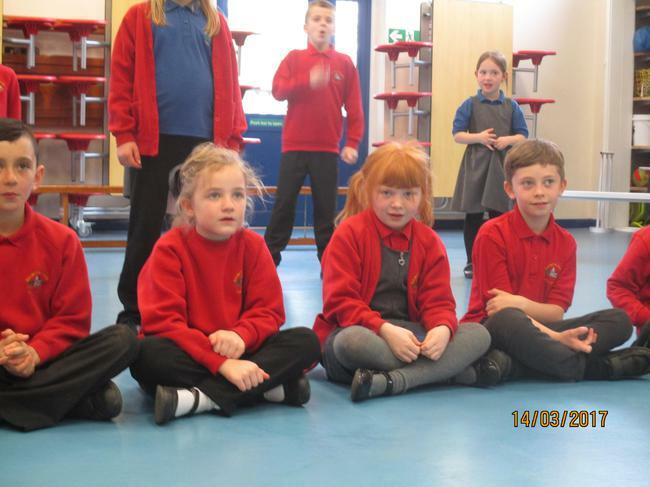 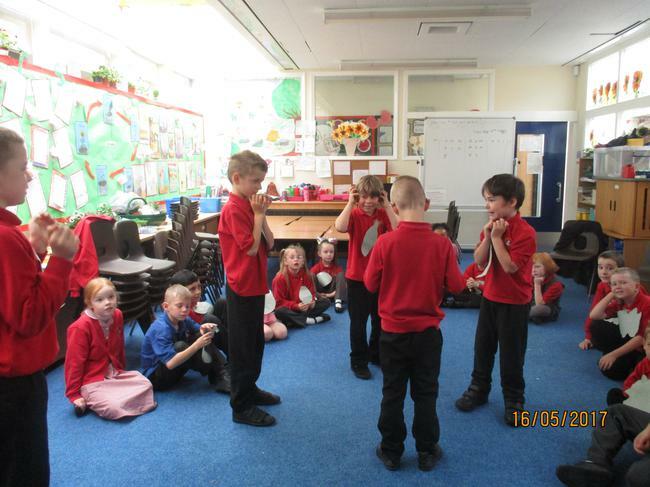 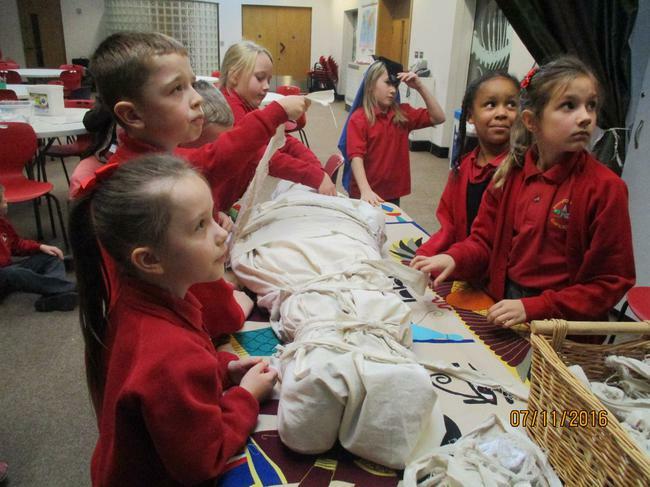 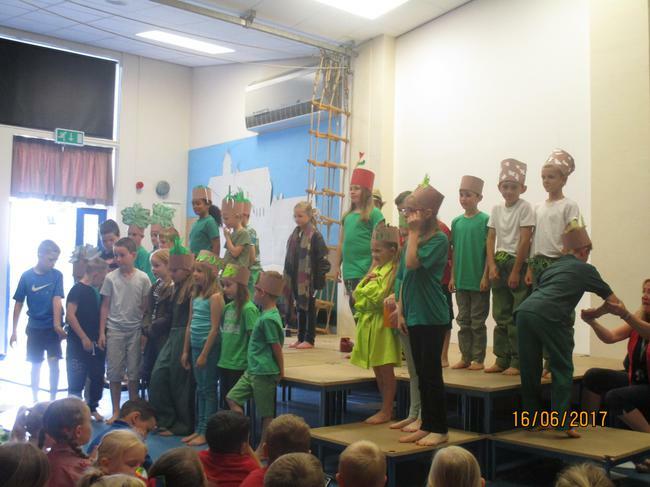 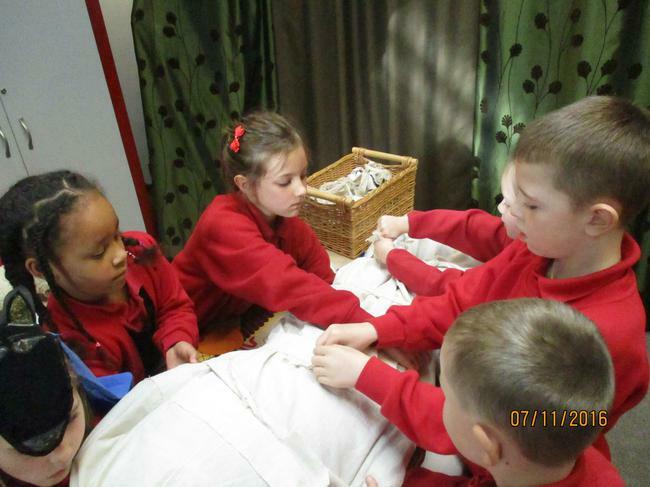 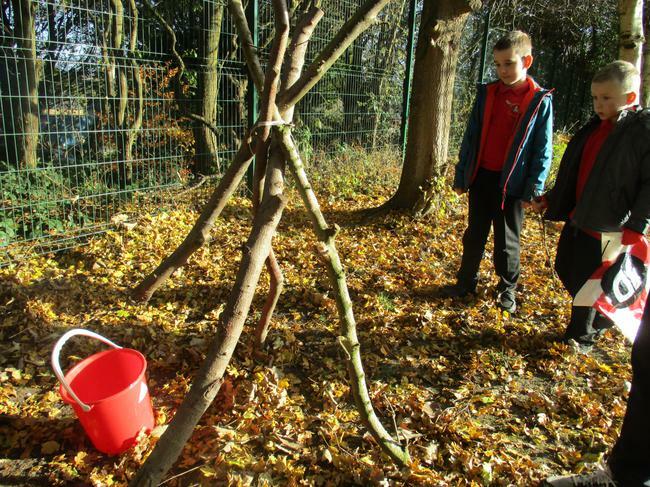 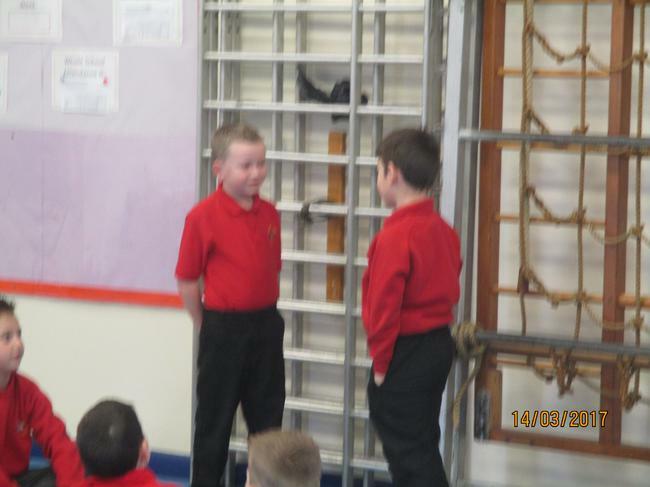 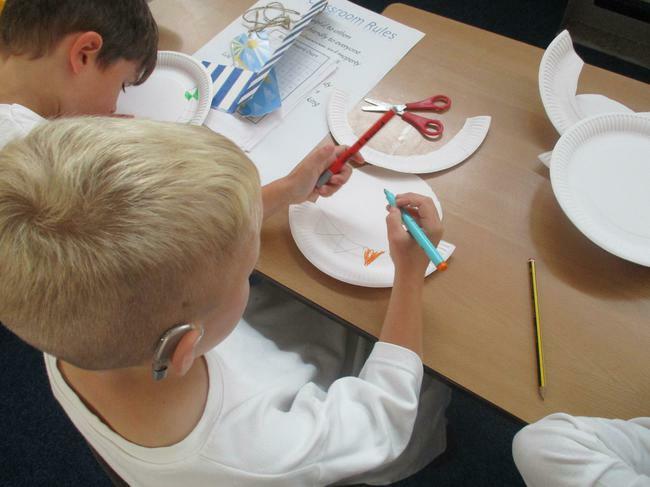 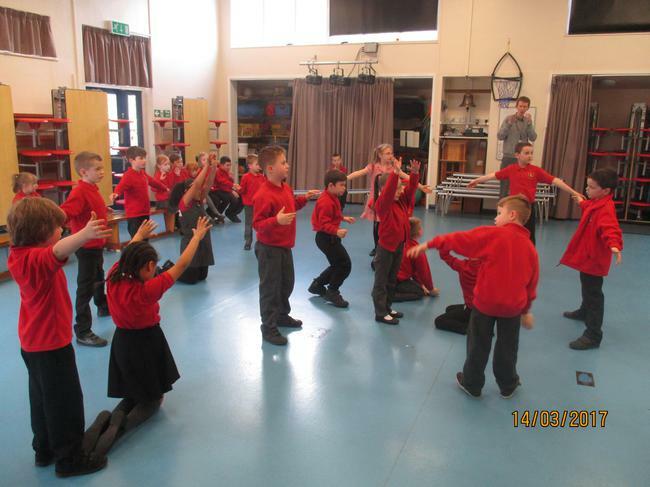 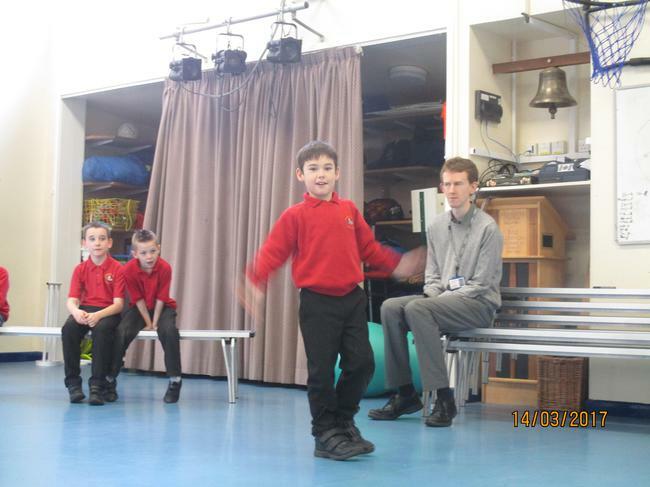 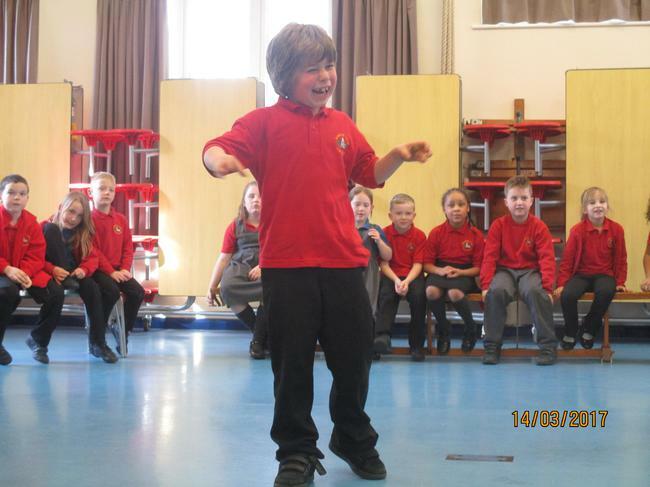 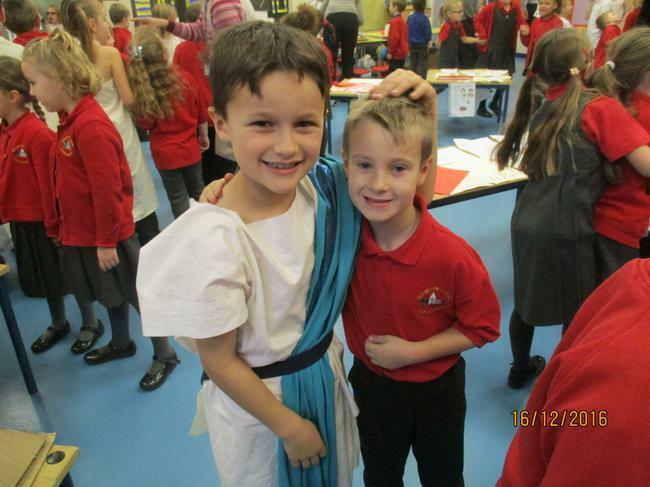 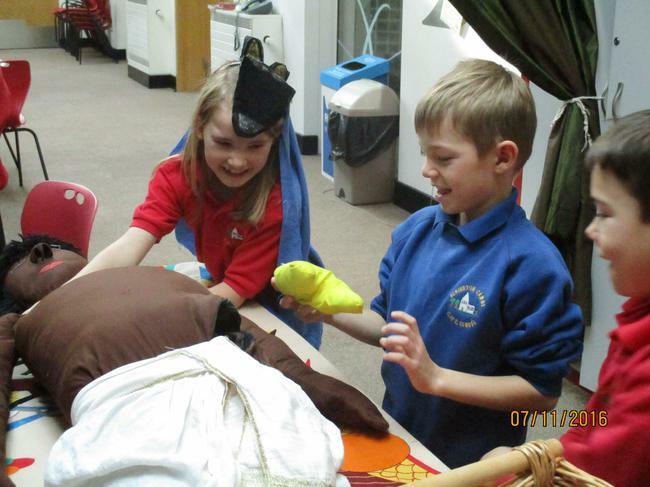 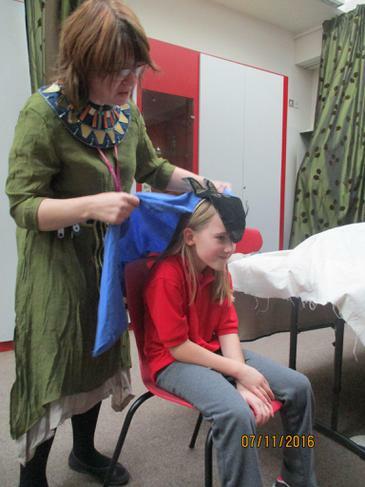 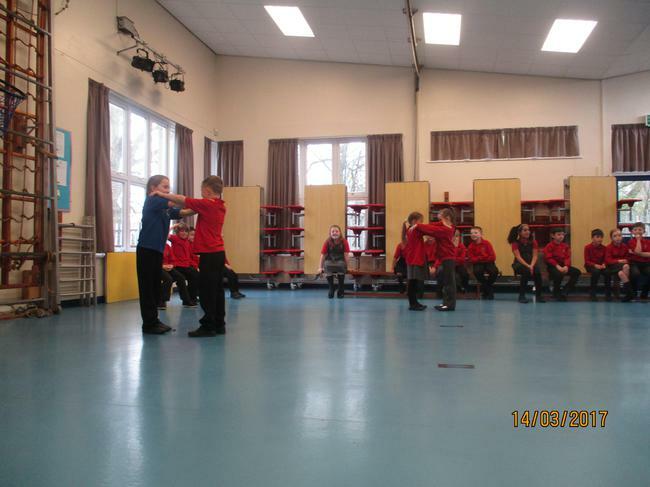 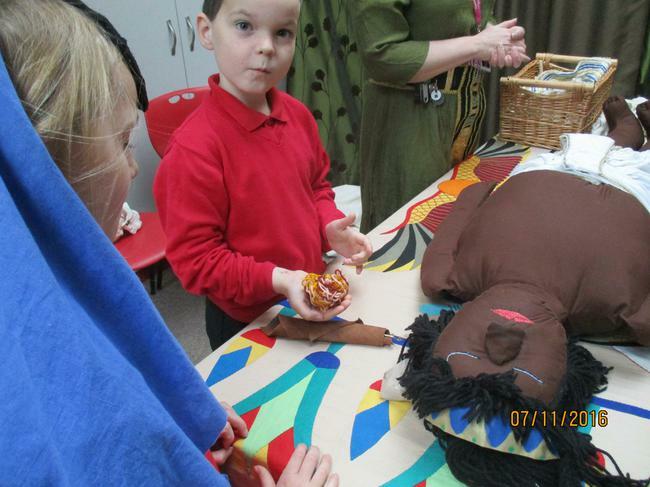 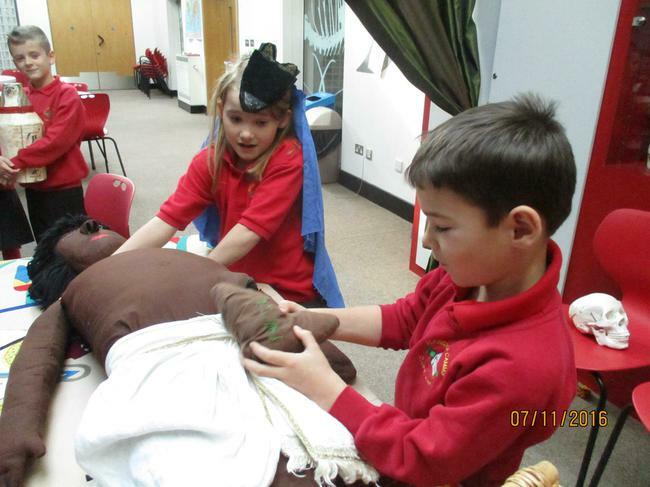 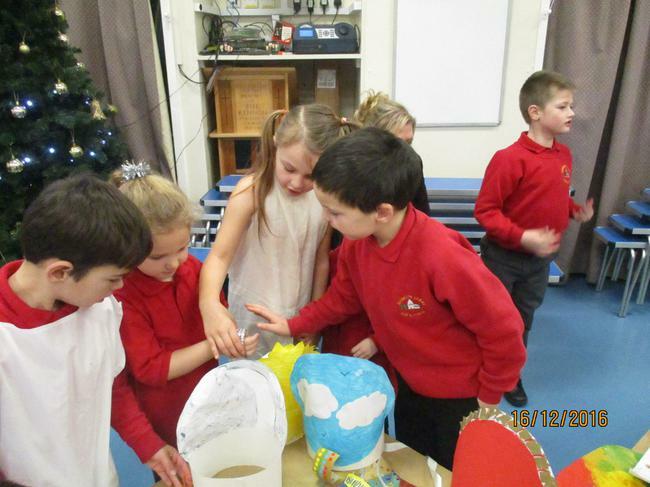 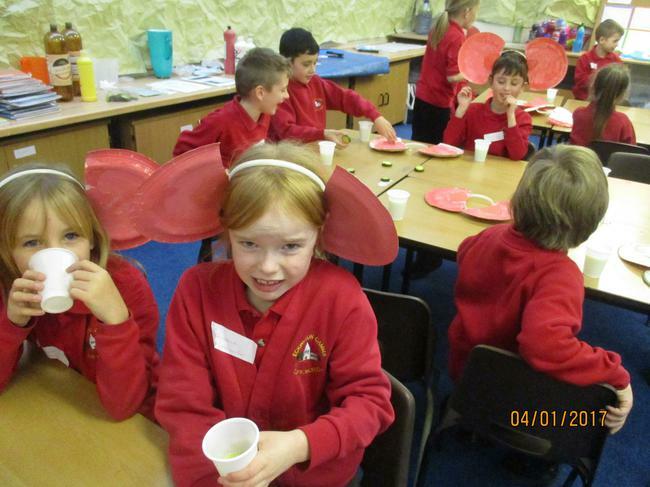 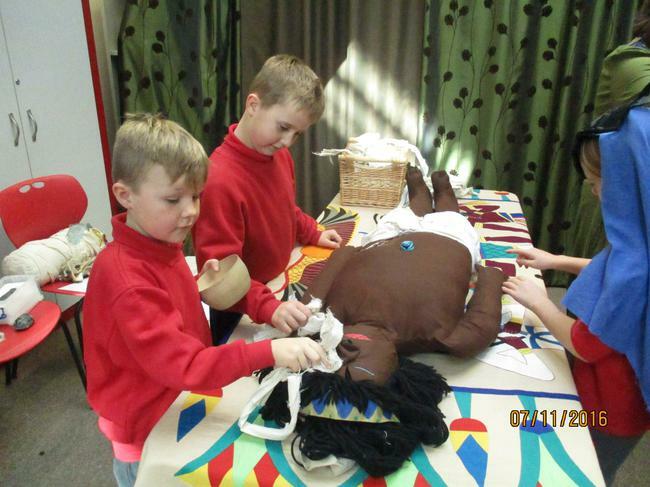 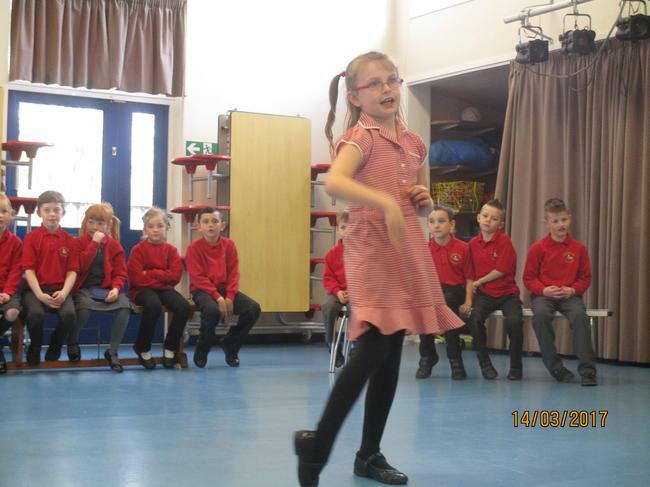 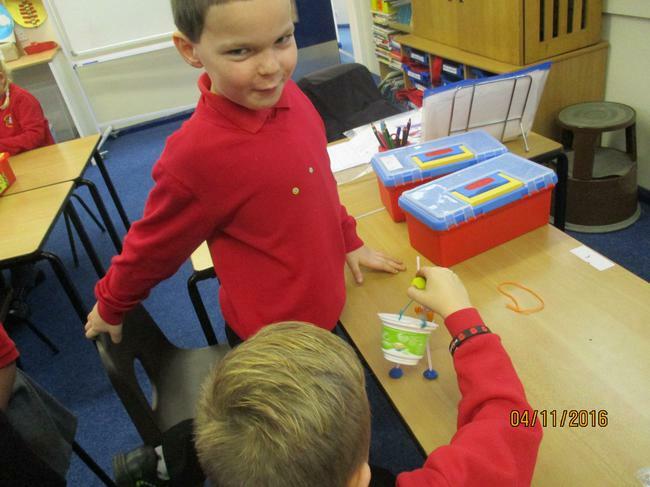 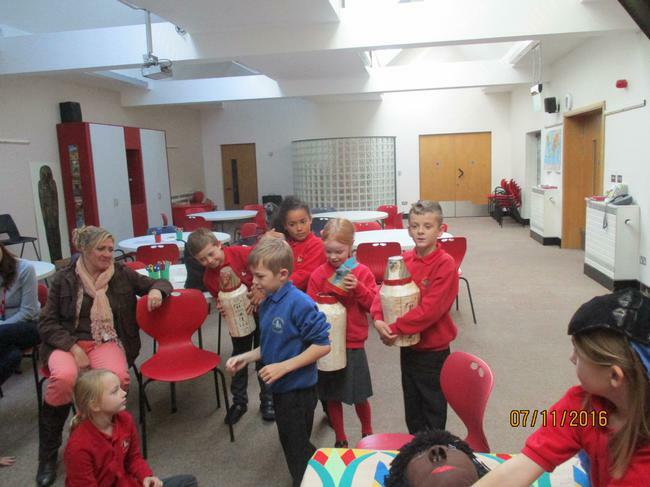 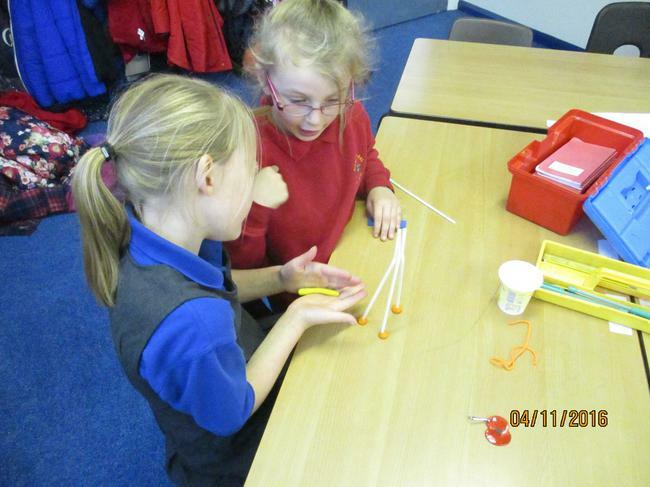 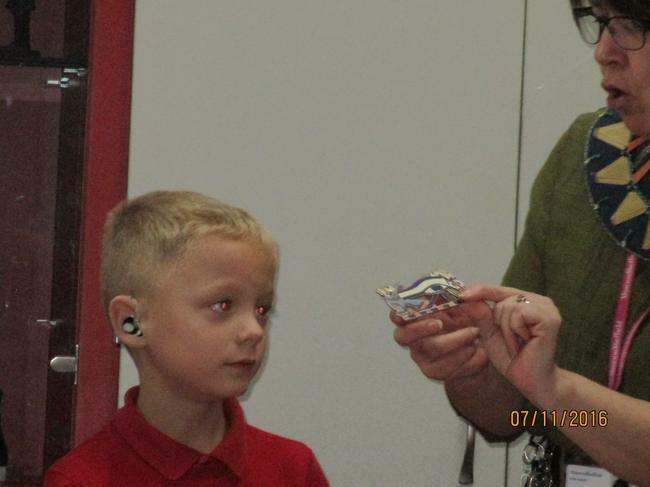 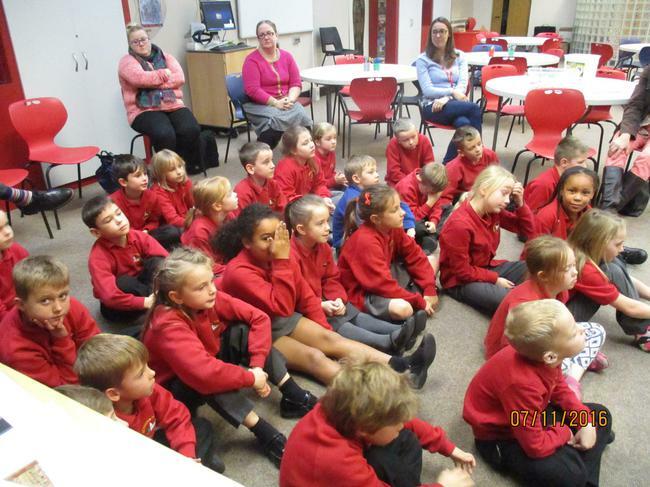 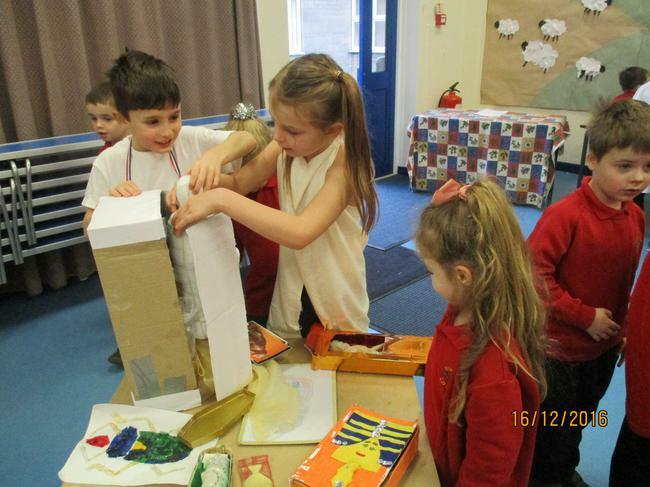 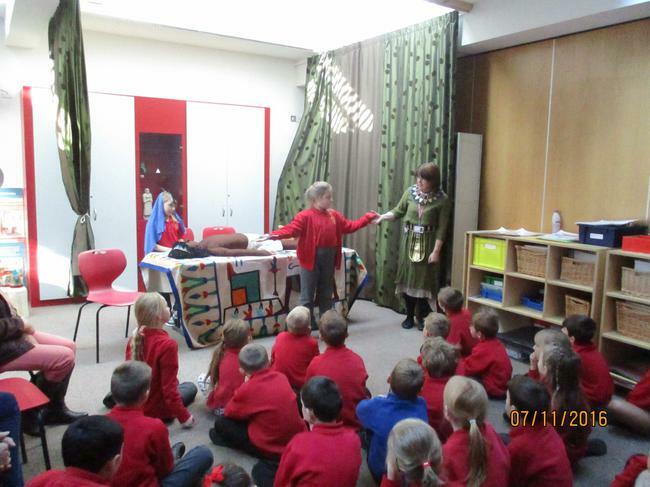 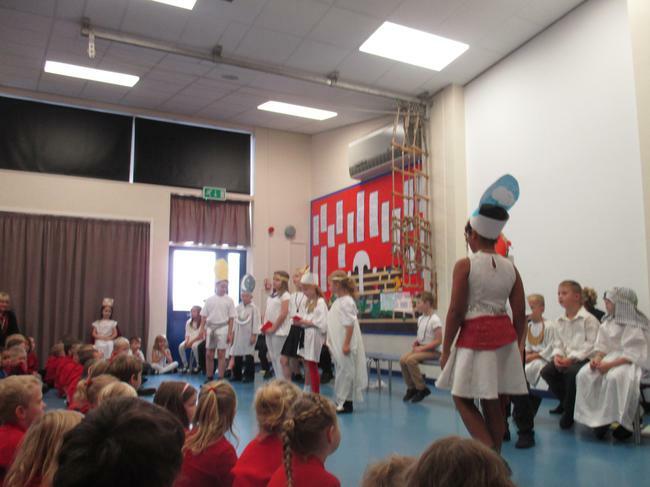 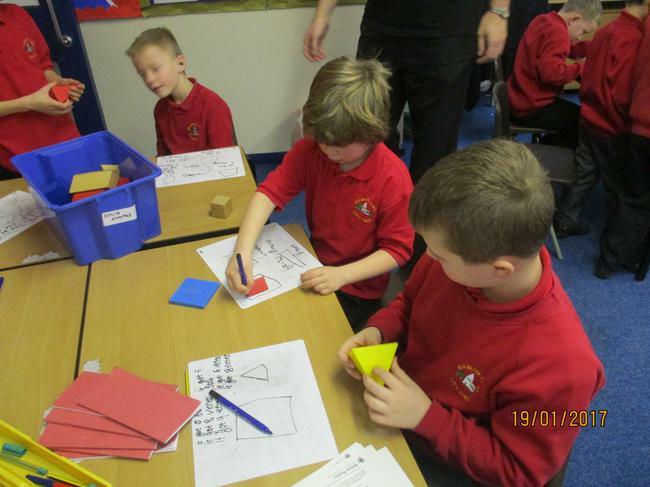 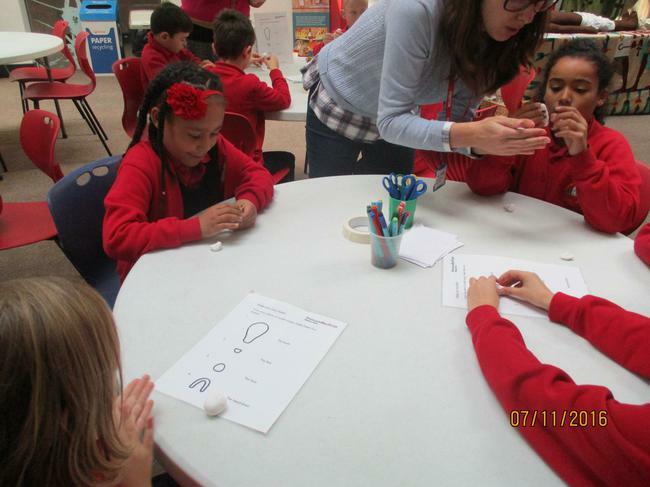 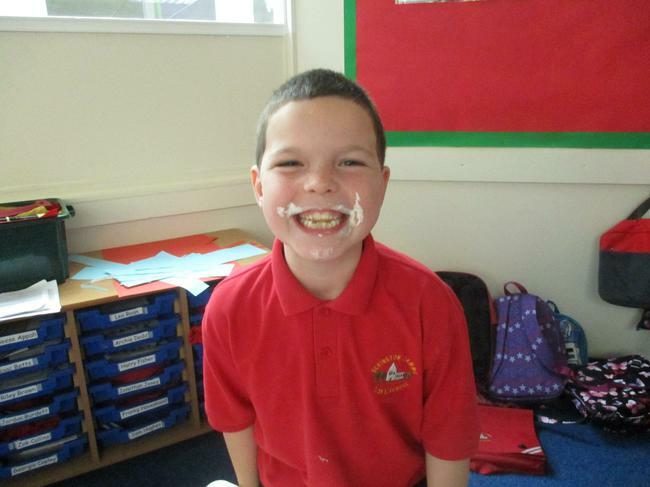 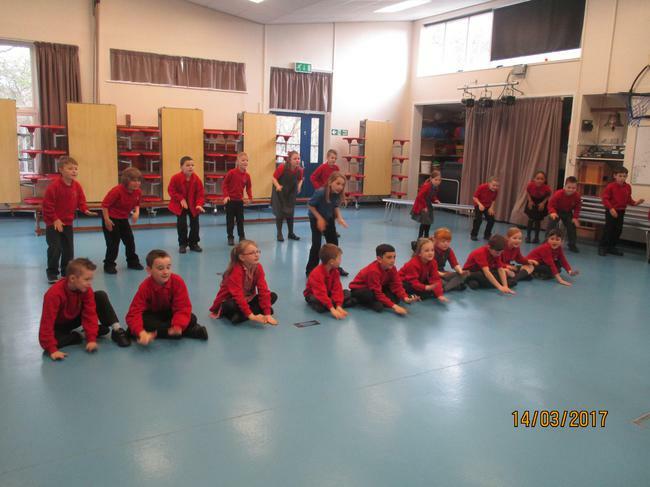 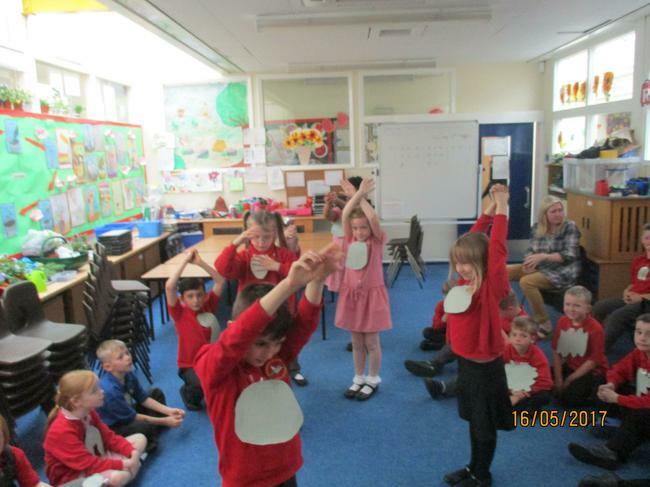 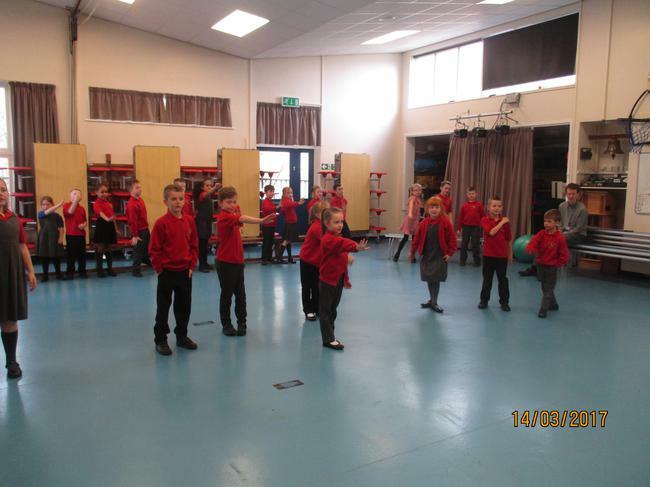 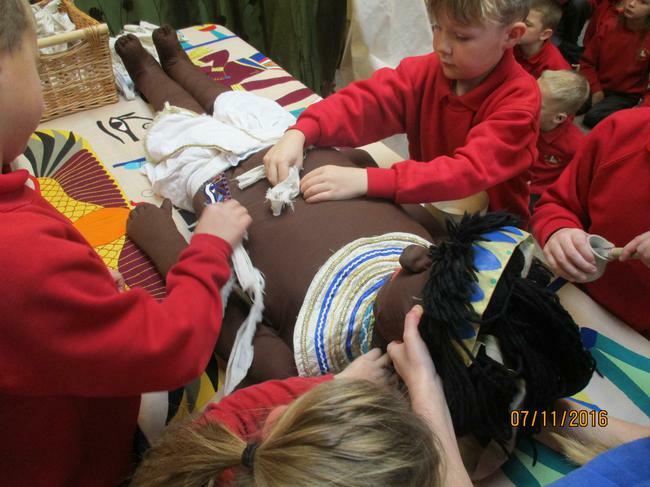 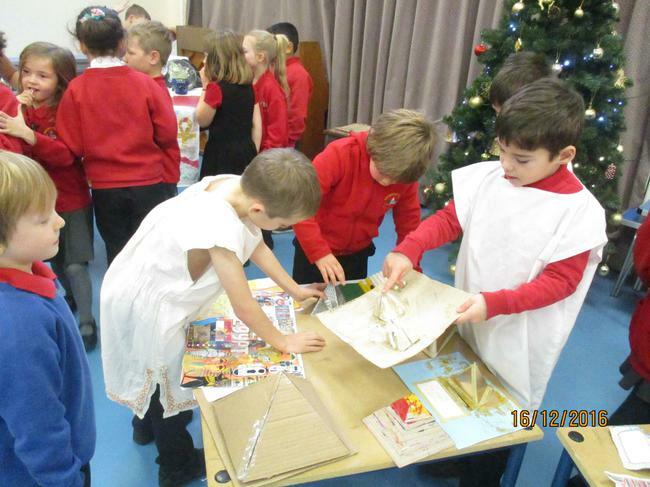 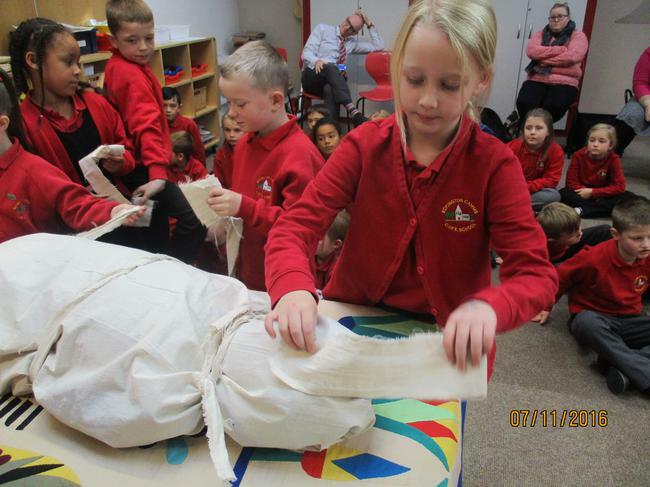 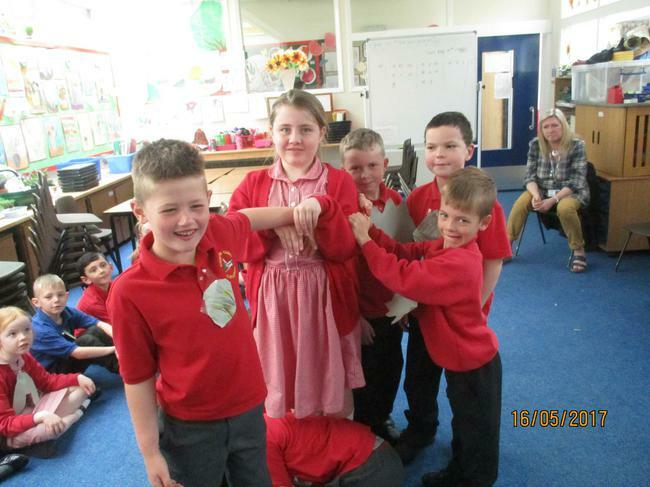 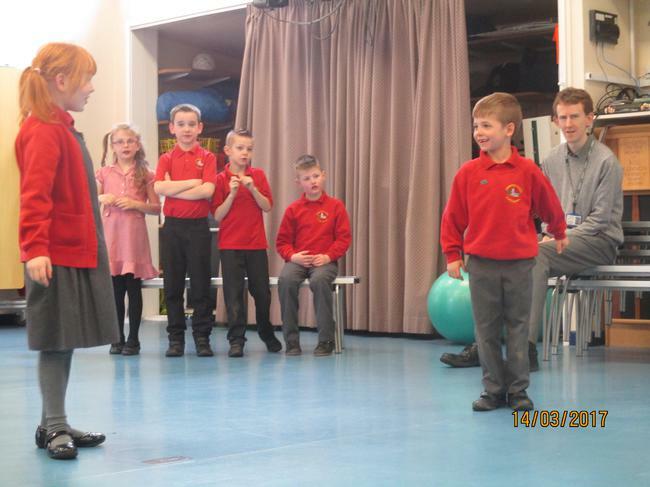 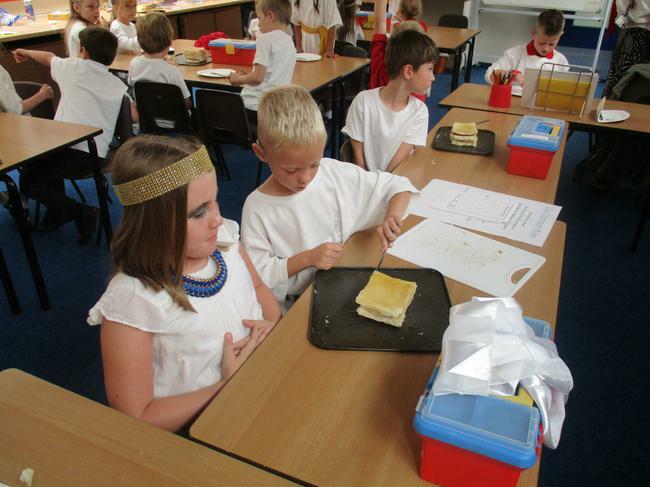 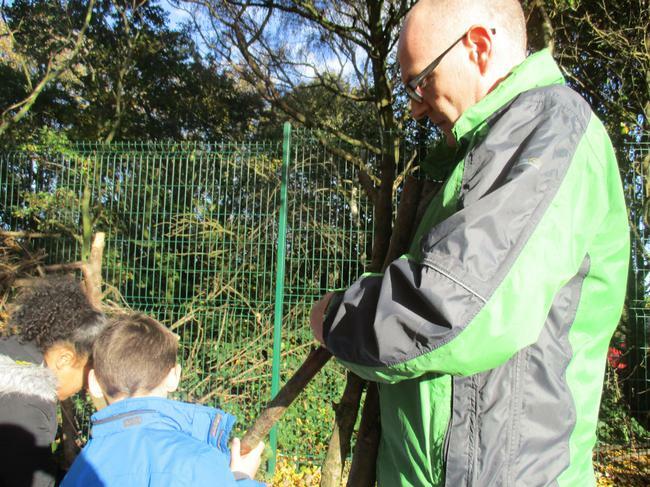 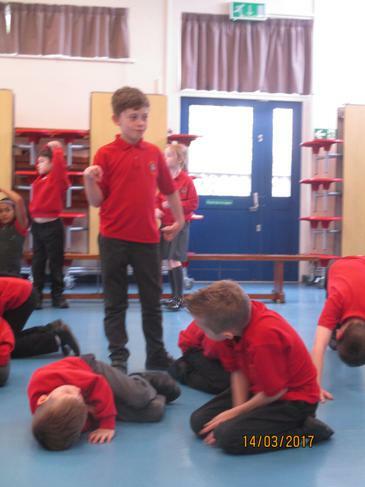 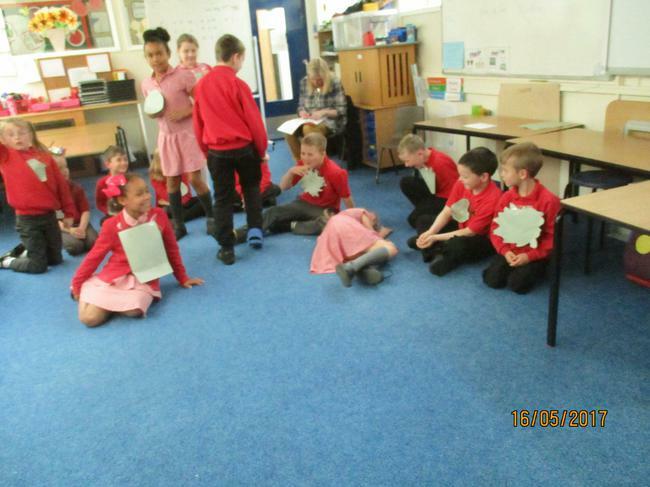 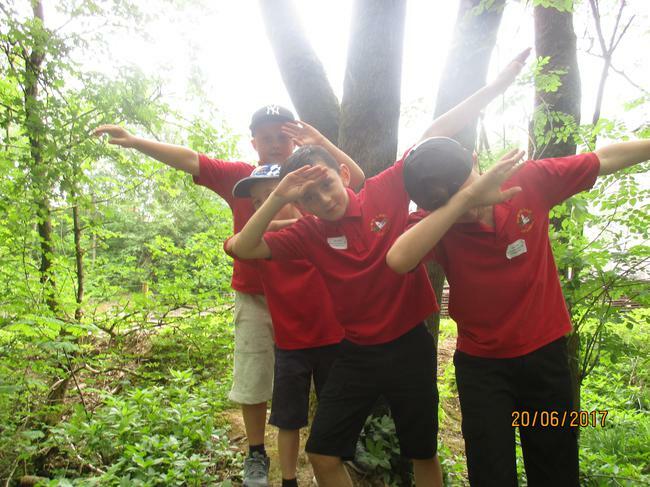 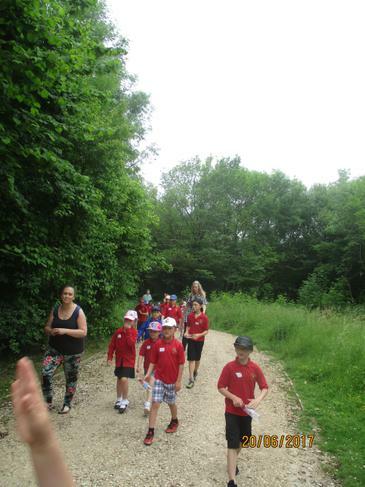 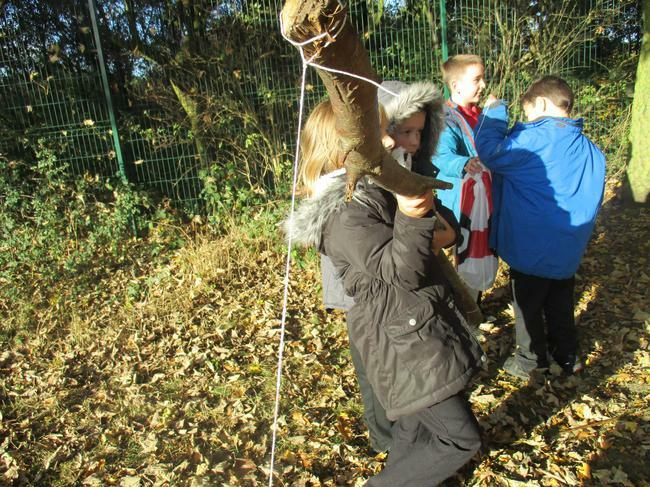 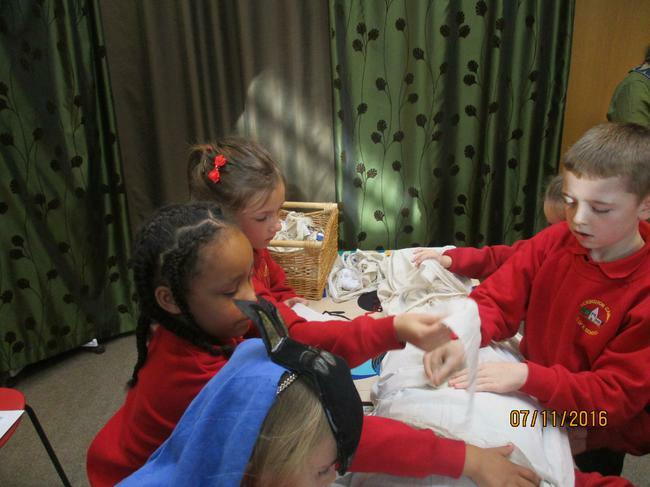 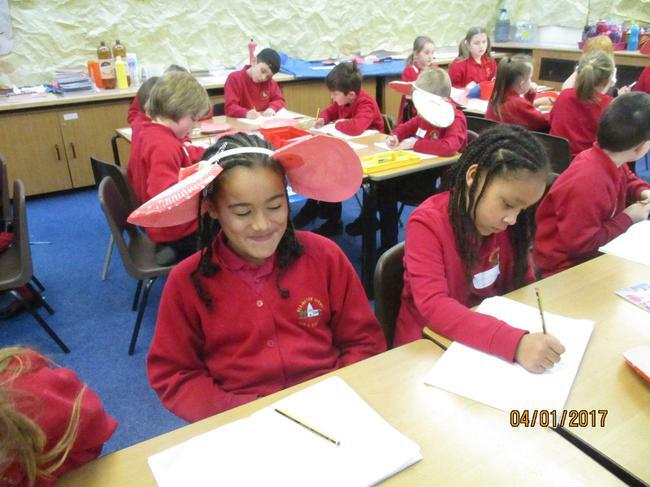 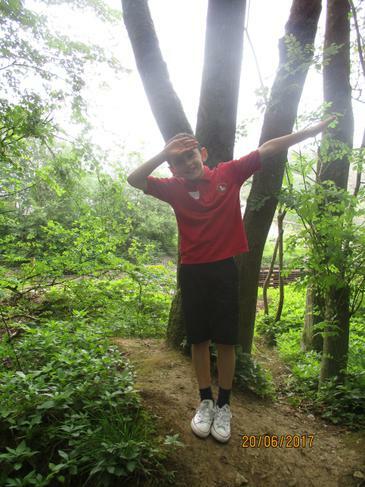 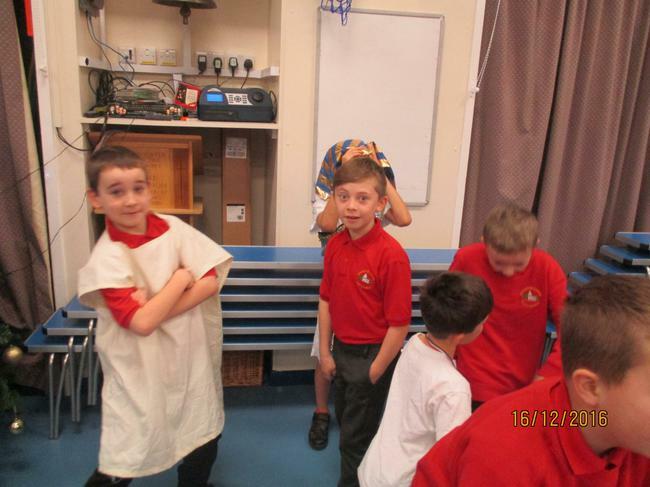 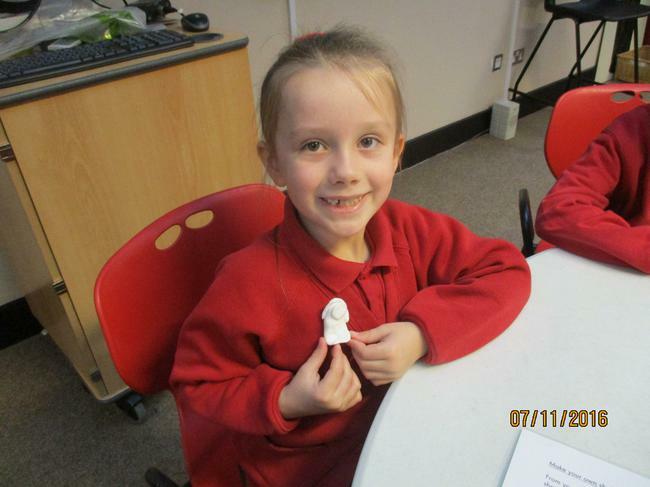 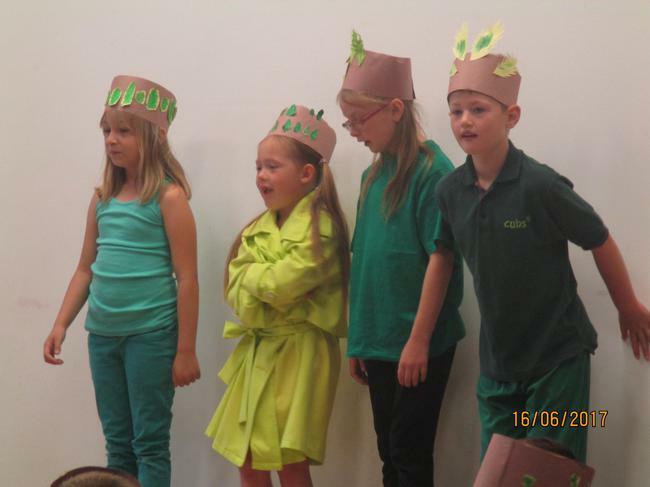 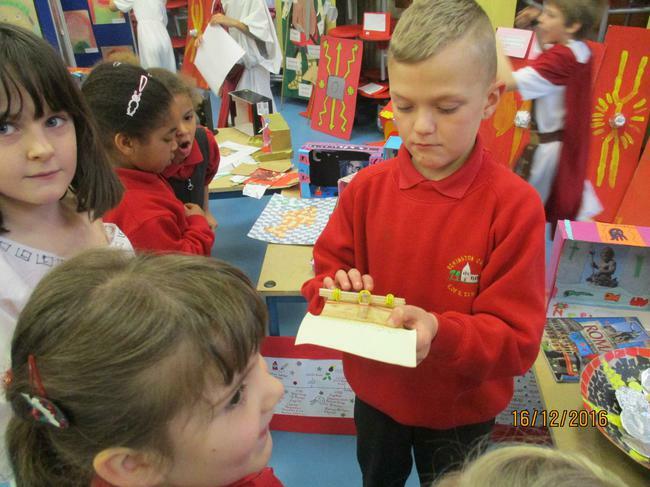 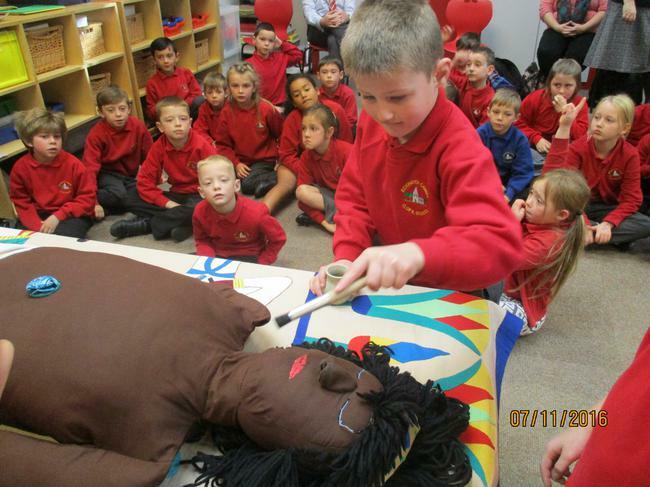 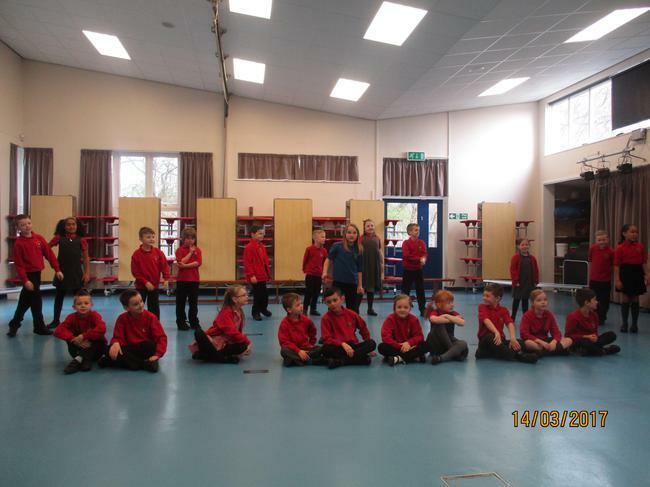 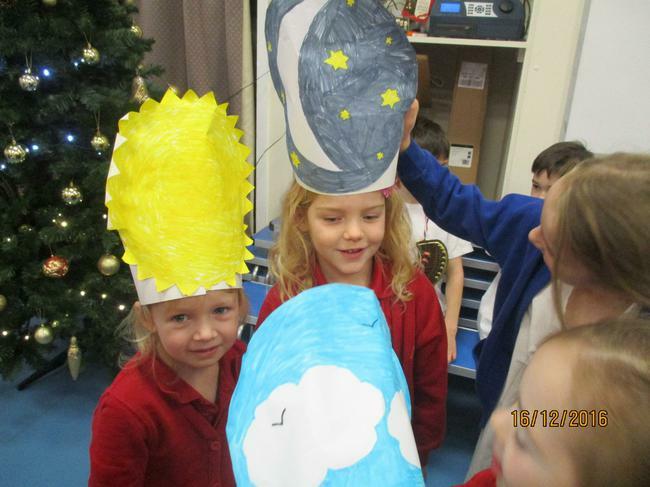 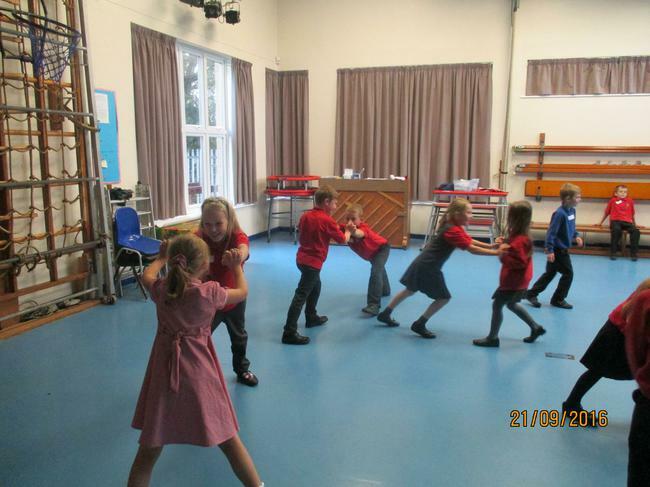 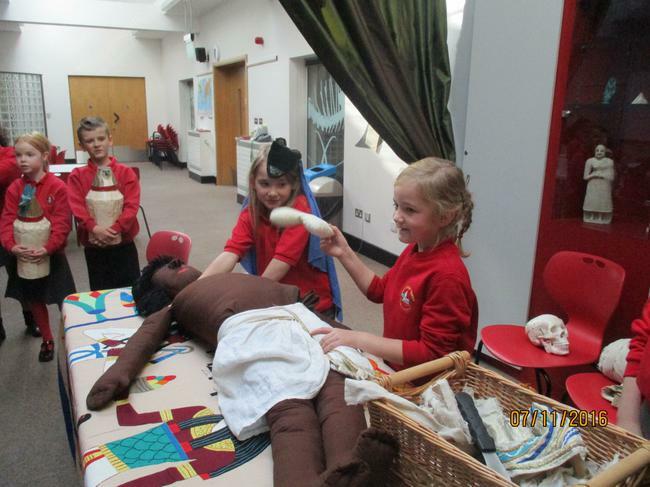 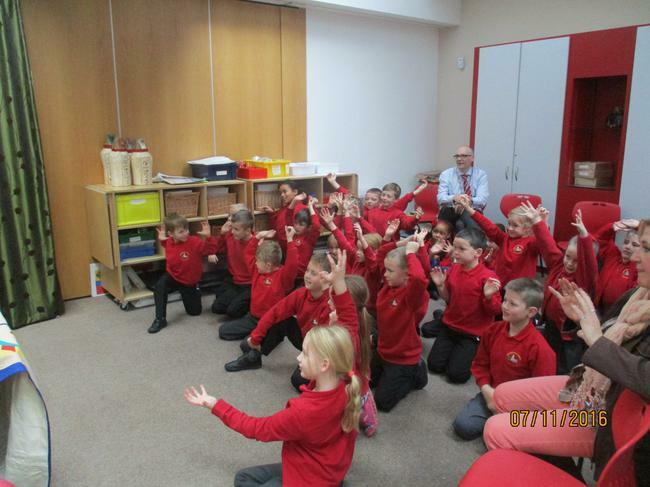 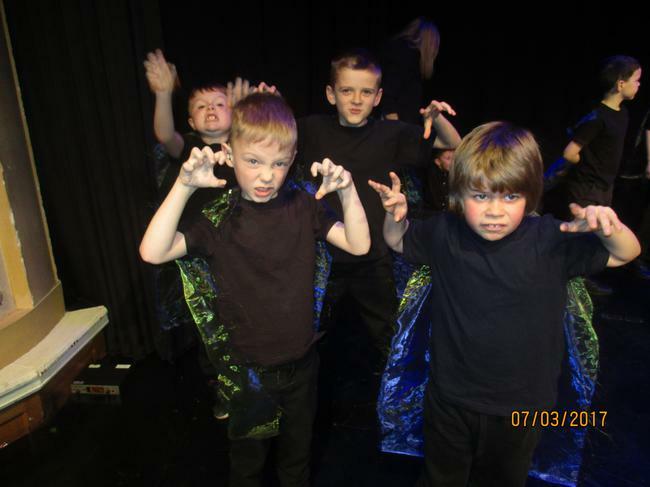 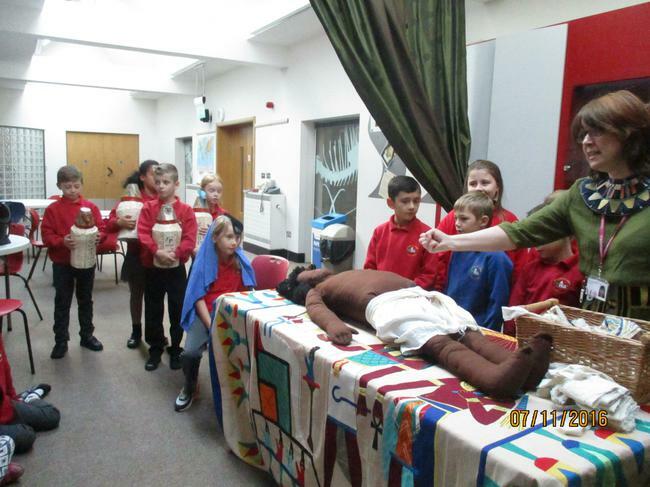 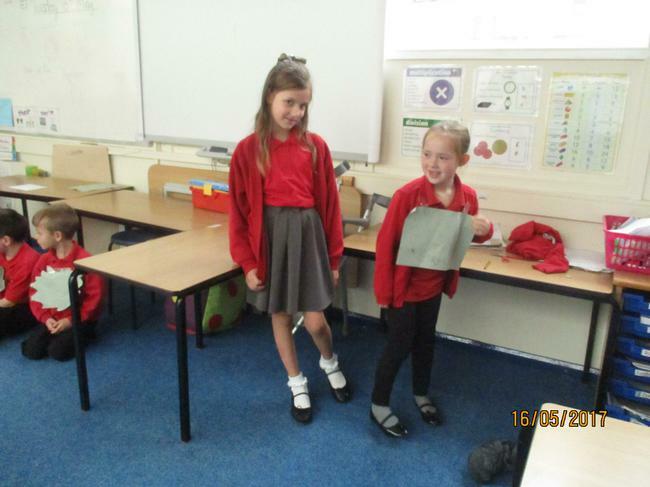 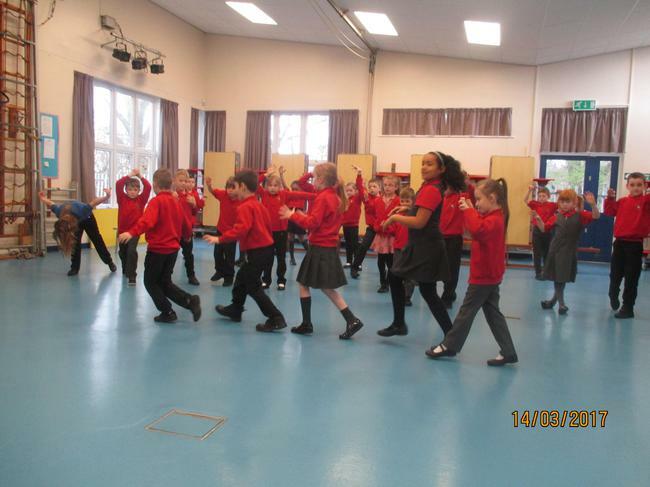 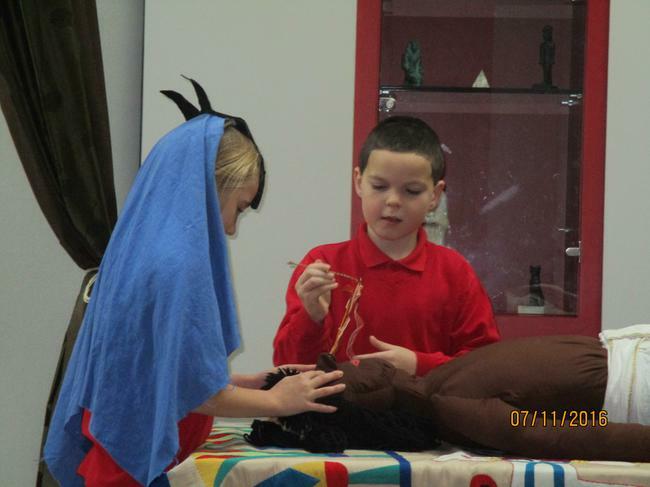 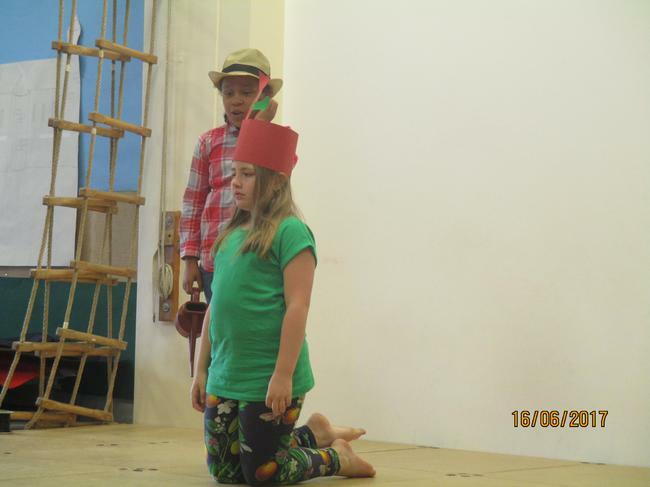 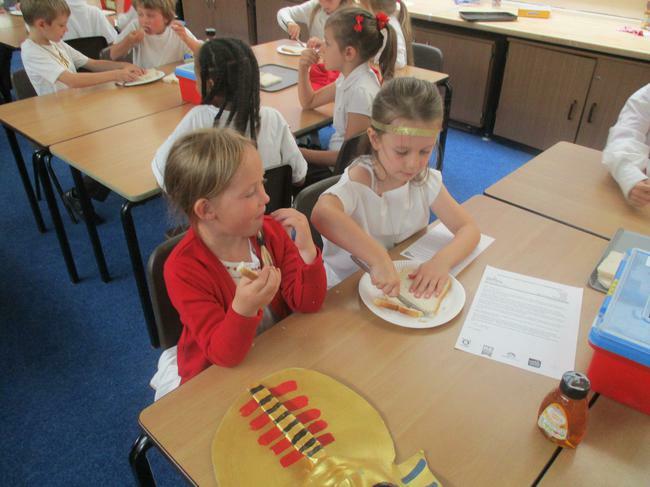 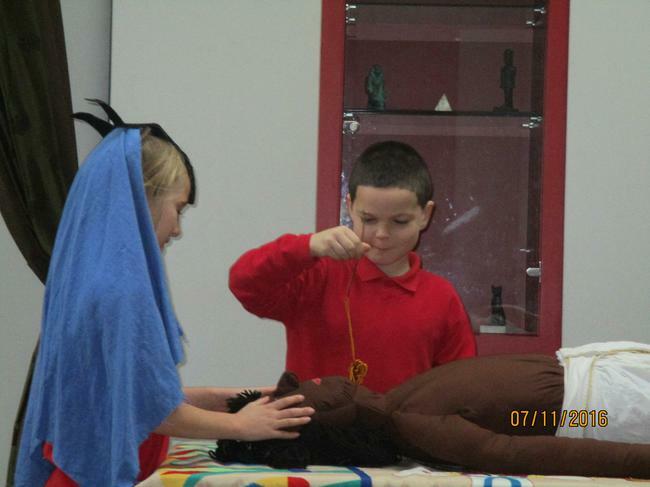 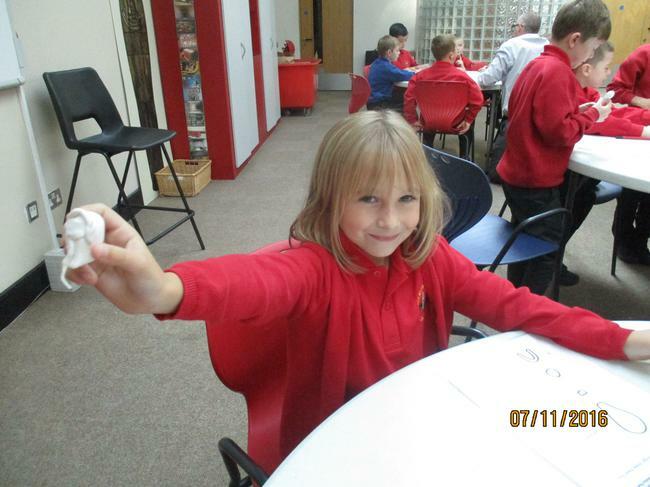 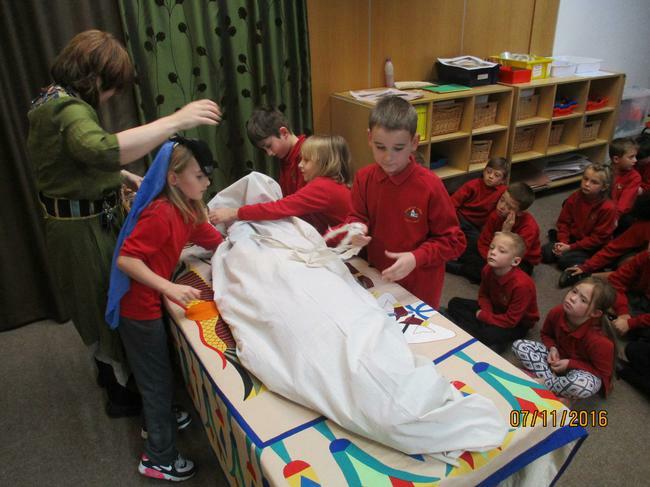 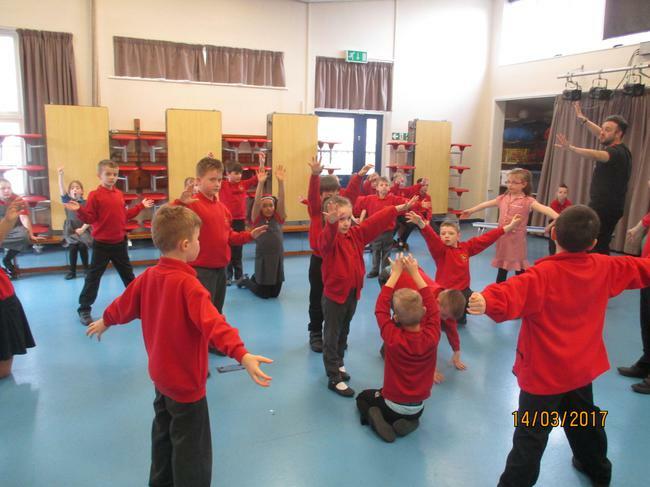 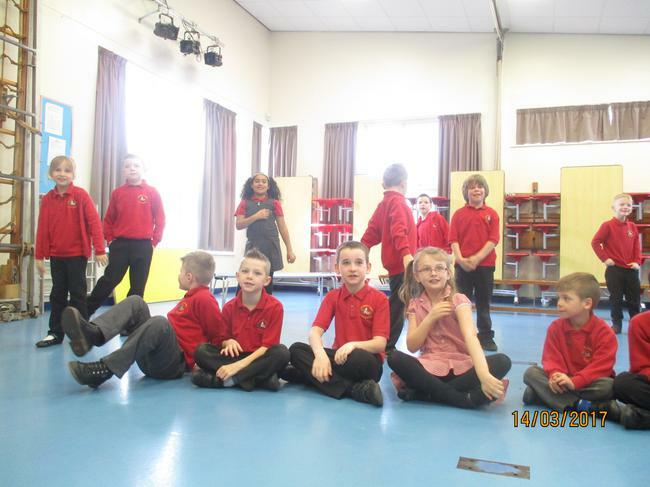 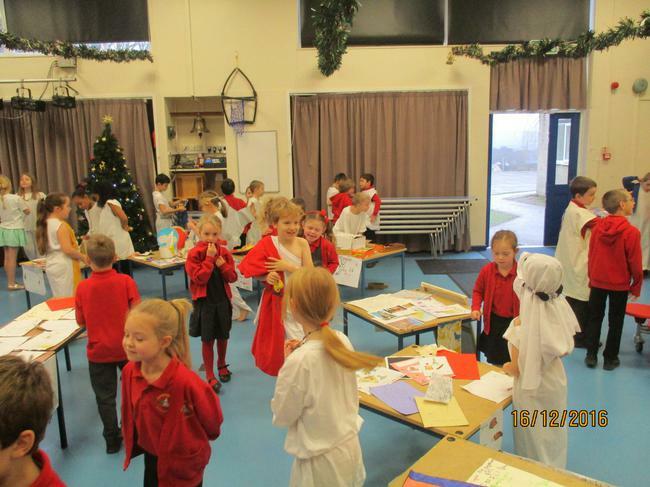 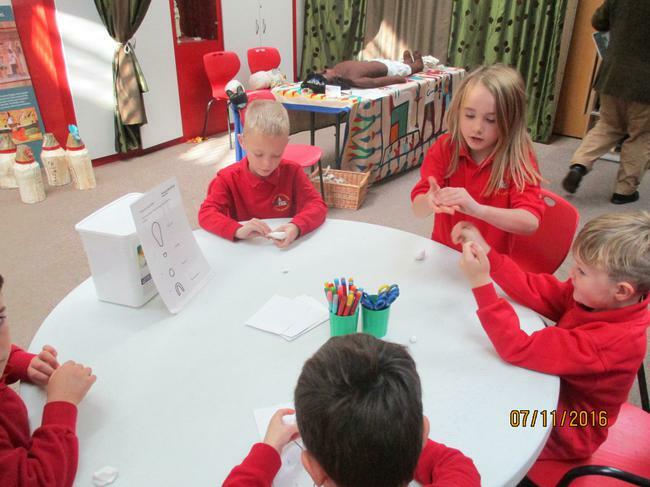 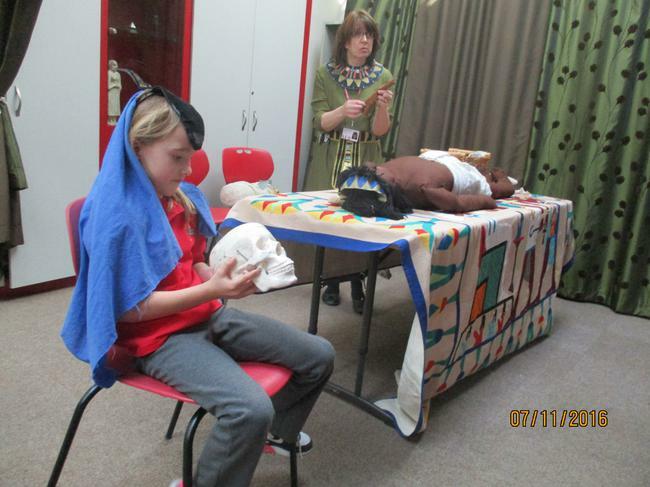 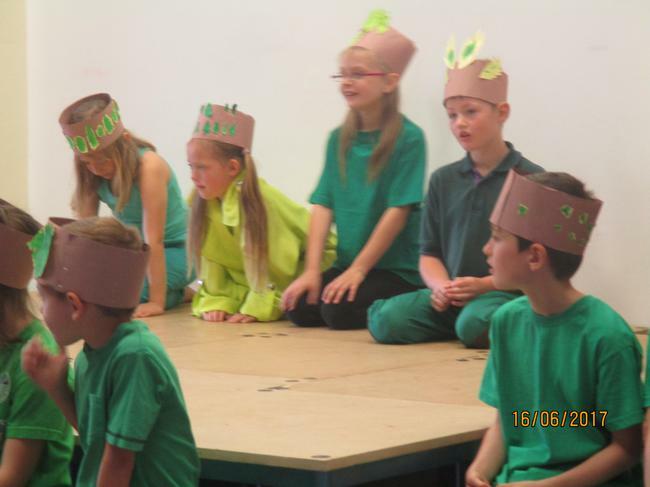 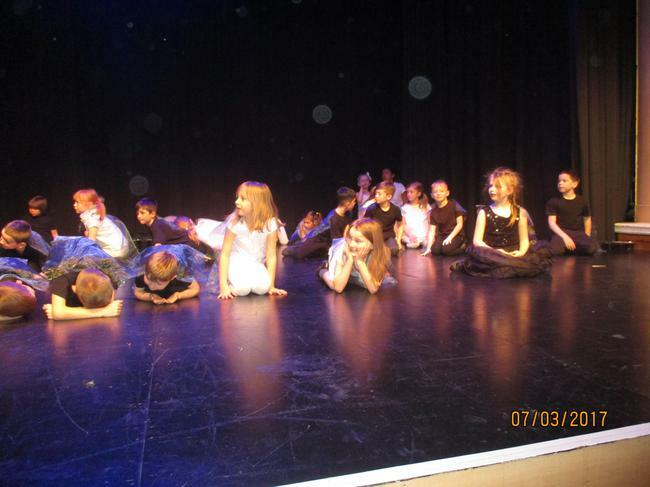 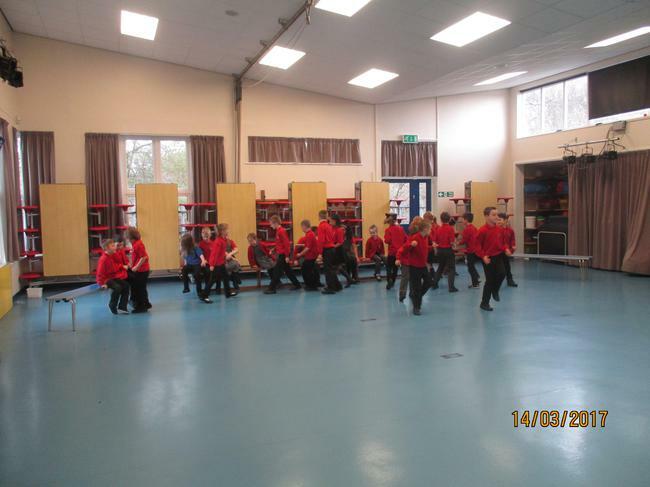 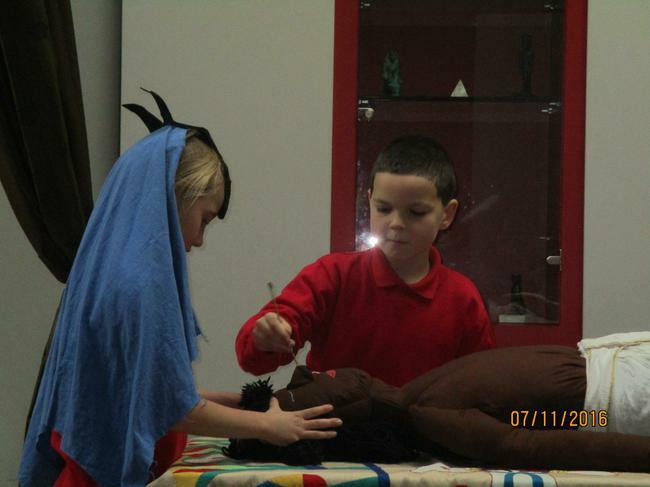 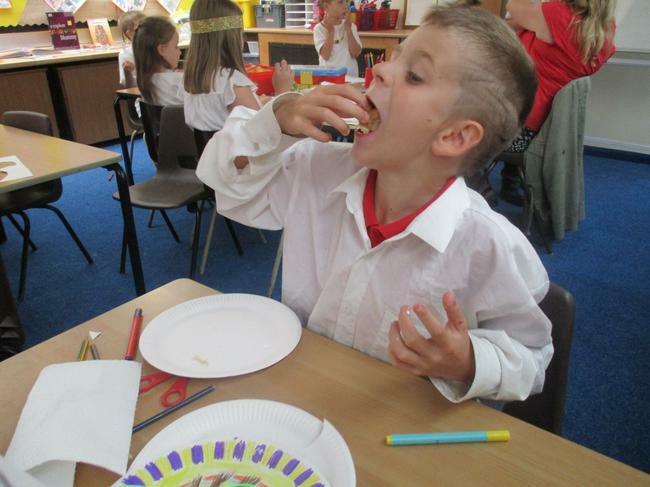 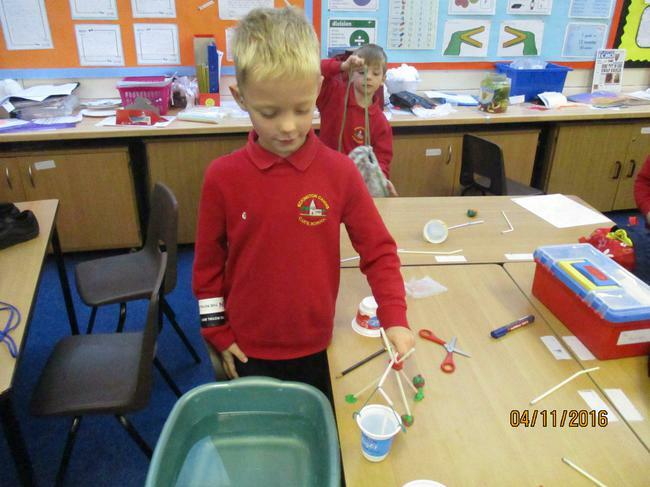 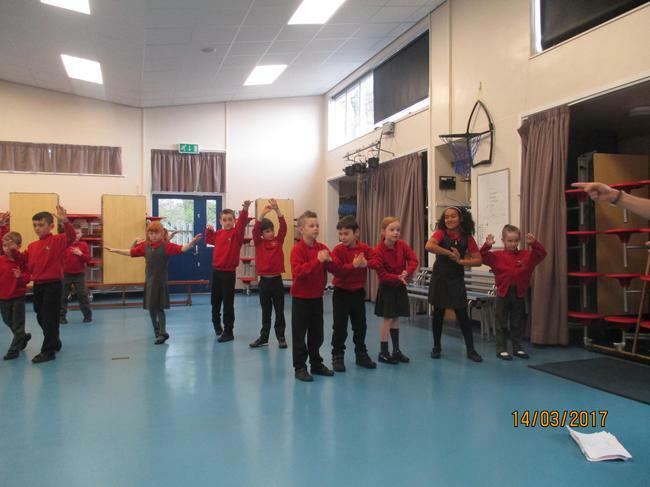 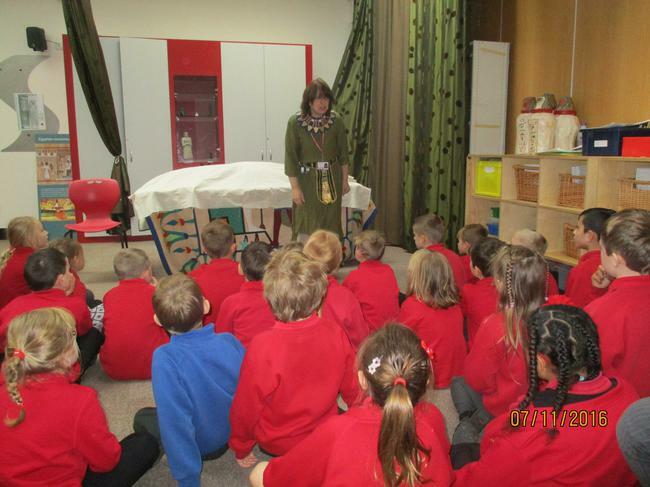 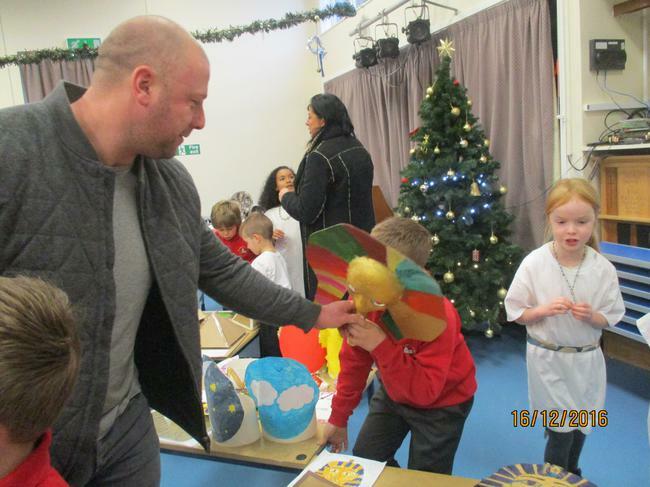 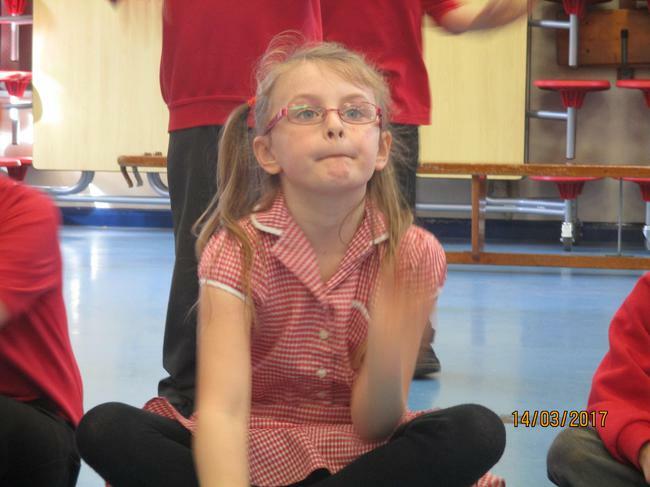 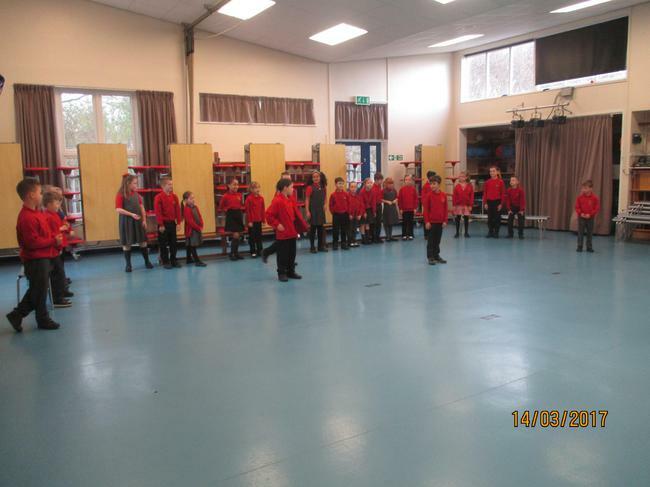 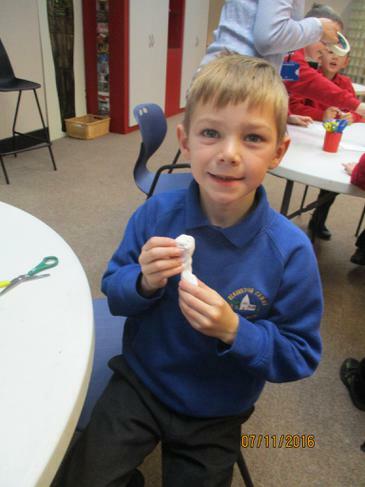 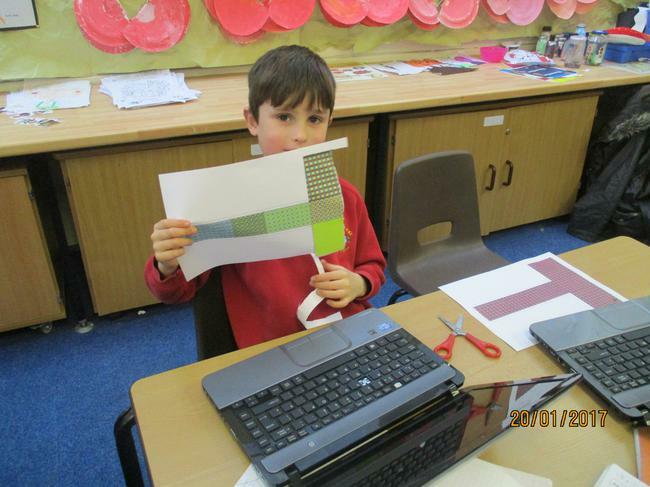 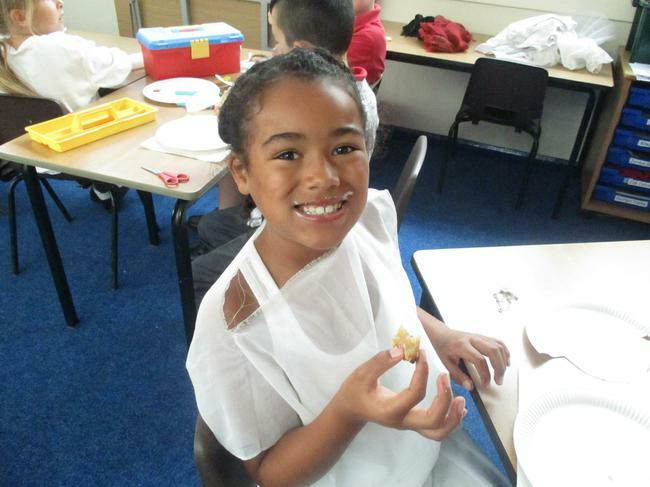 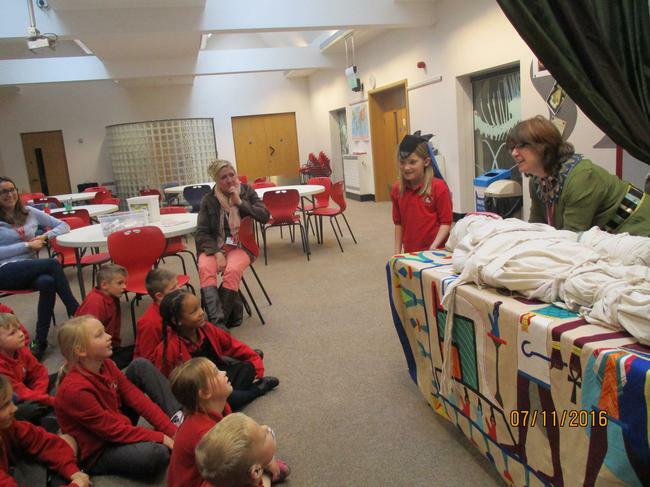 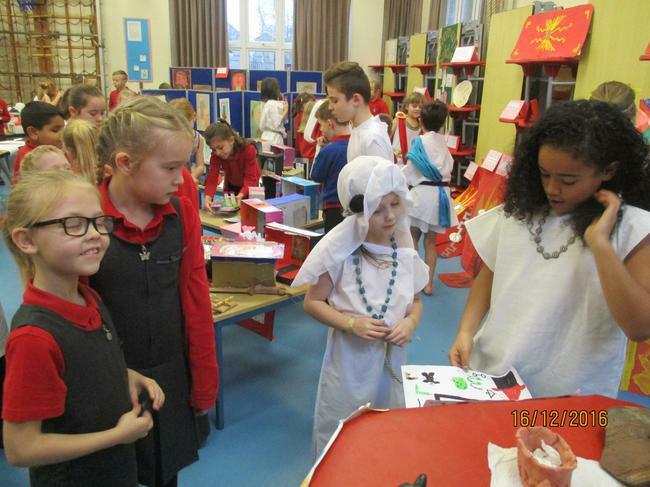 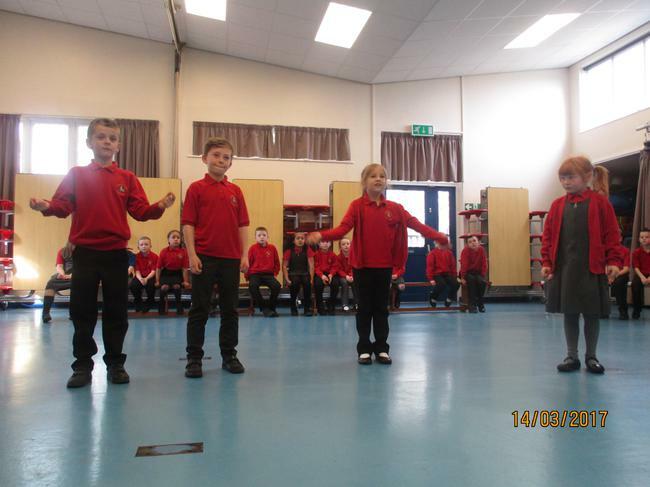 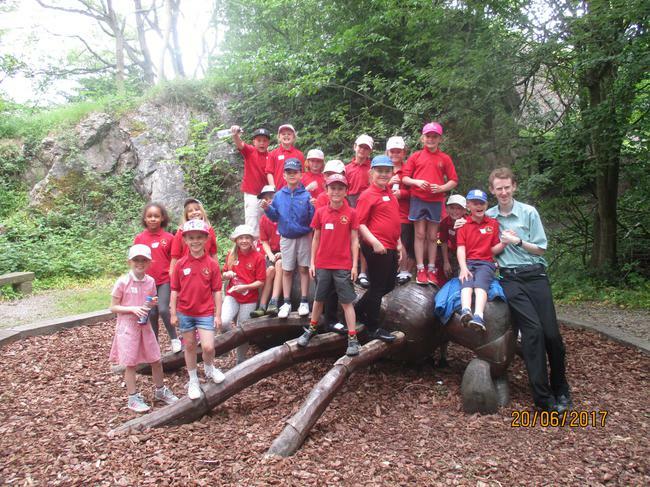 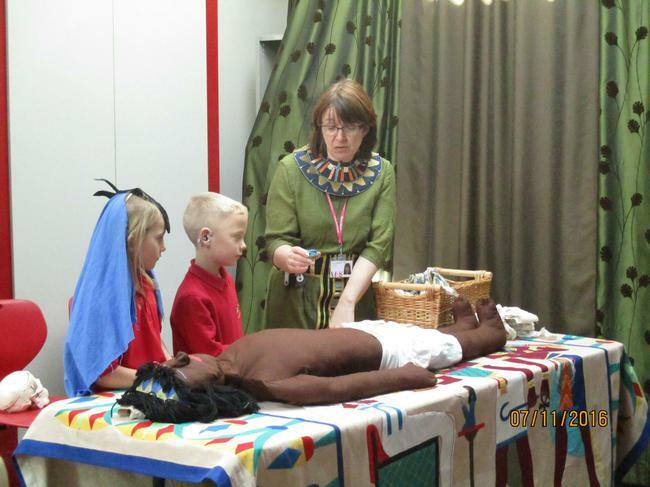 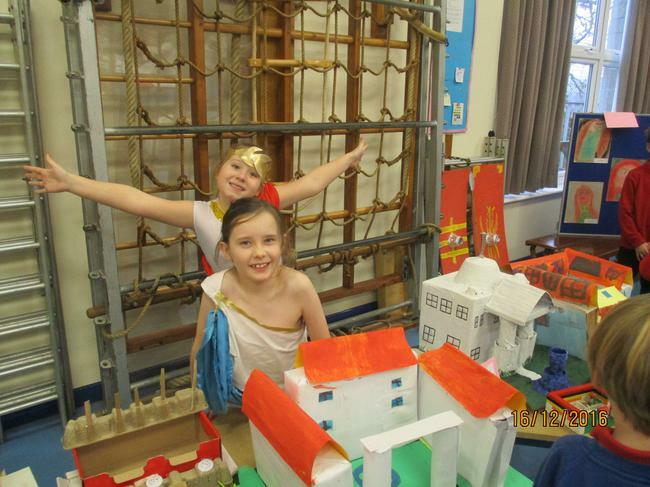 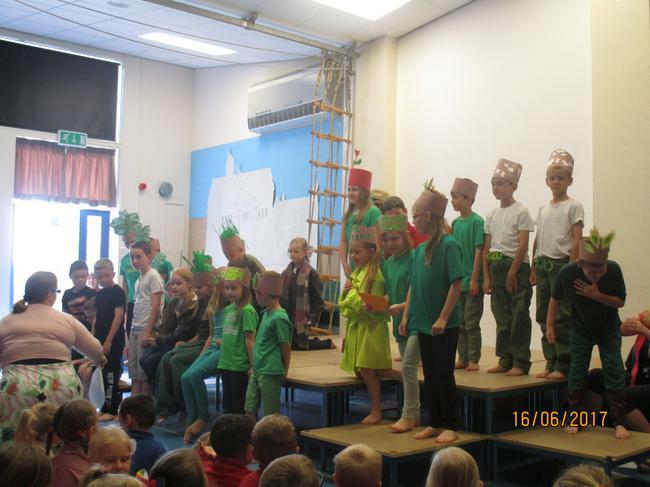 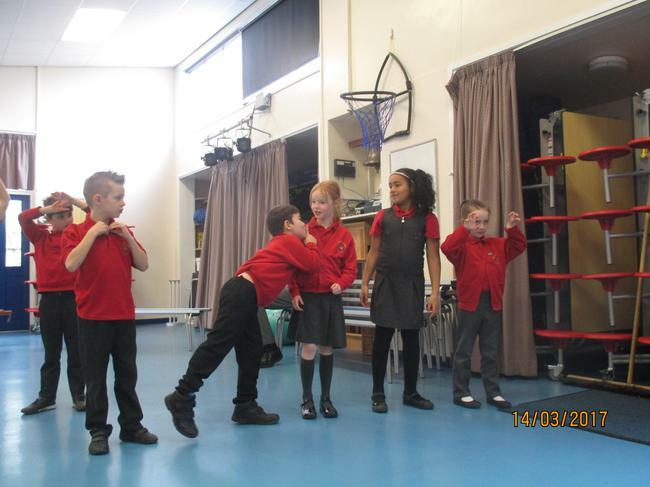 Our Stone Age Day play photos (Video was too big for the website- DVD to come). 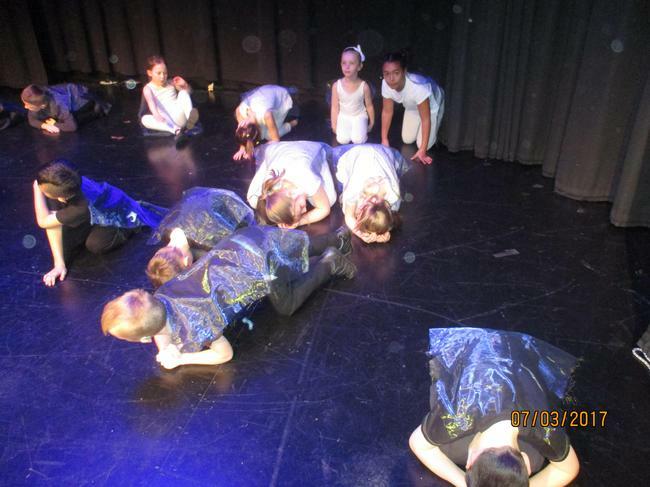 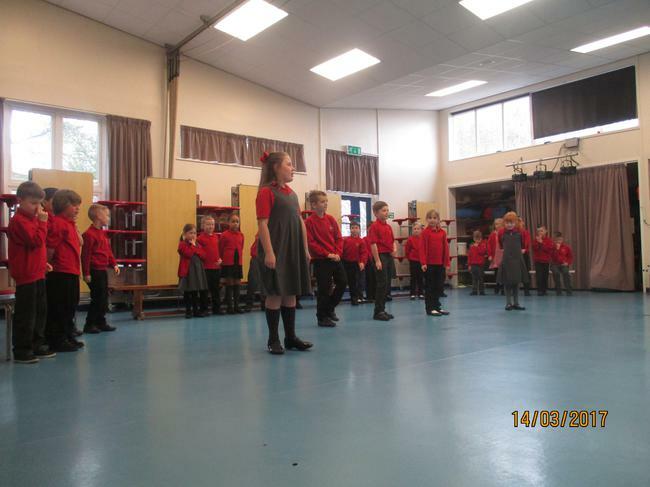 Pics from Dance Platform. 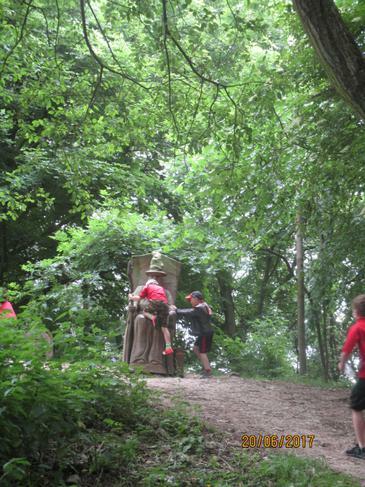 Official pictures and video to follow!!! 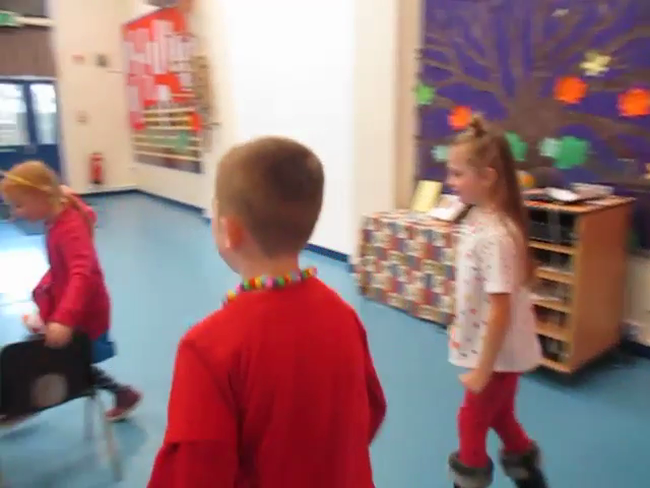 Please find the lyrics on youtube. 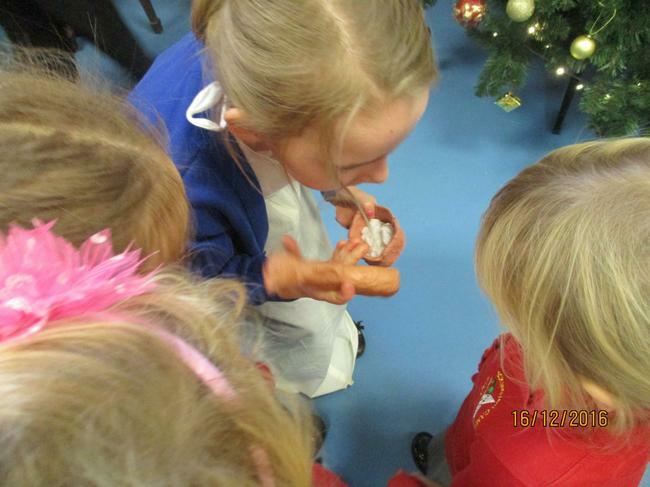 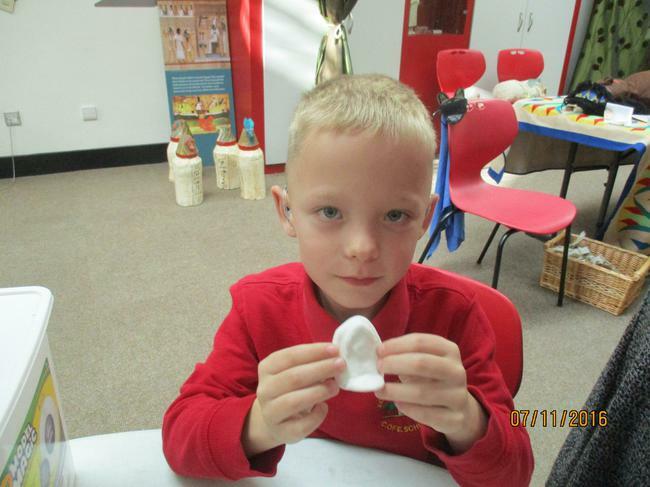 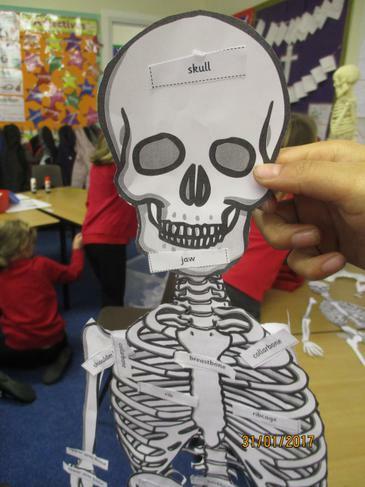 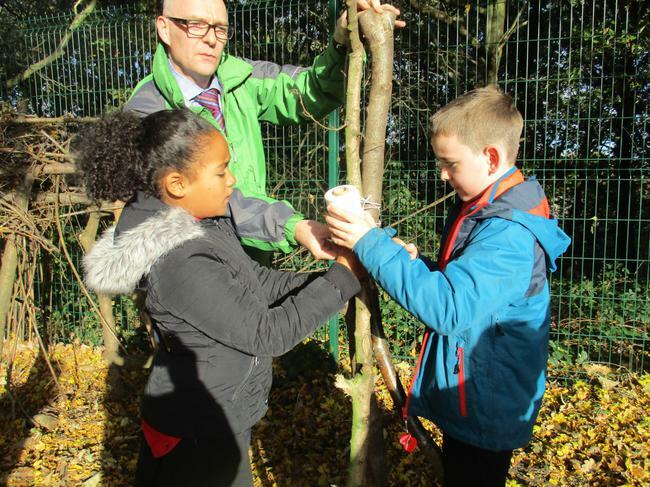 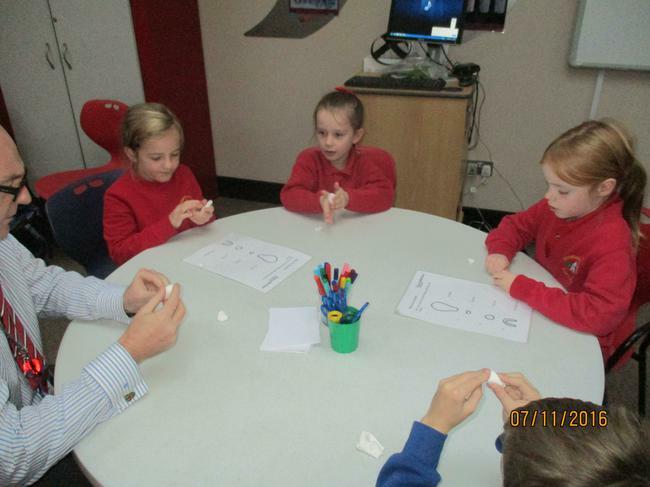 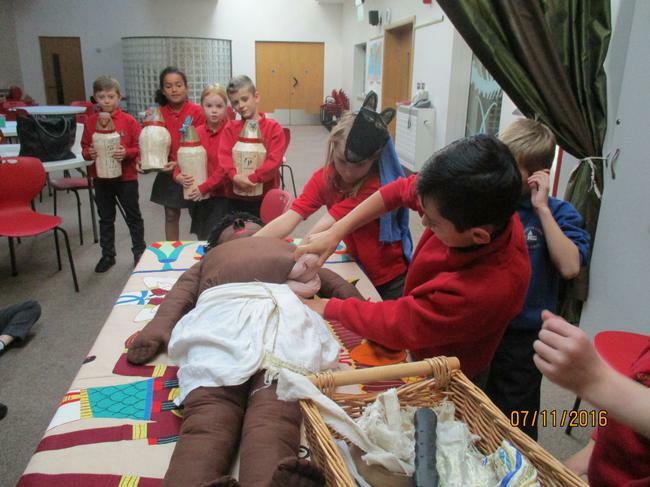 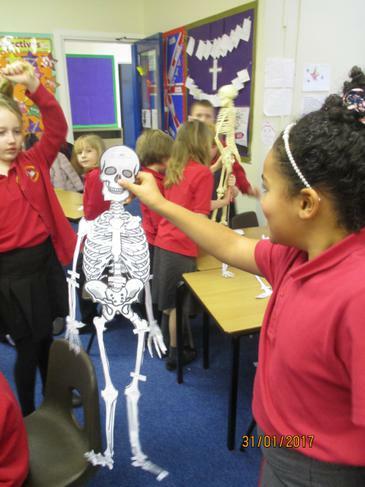 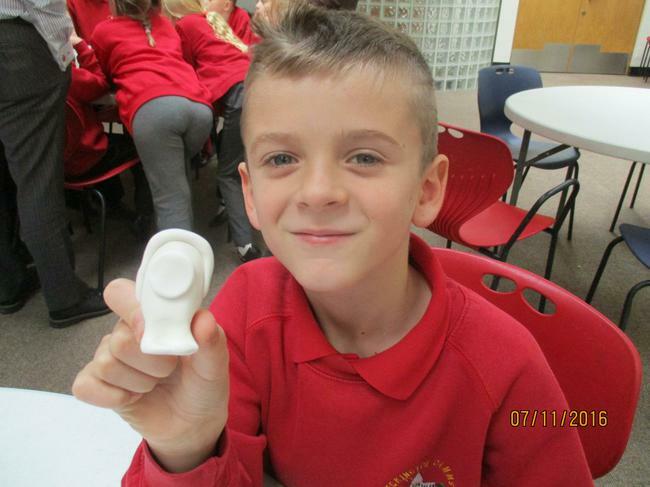 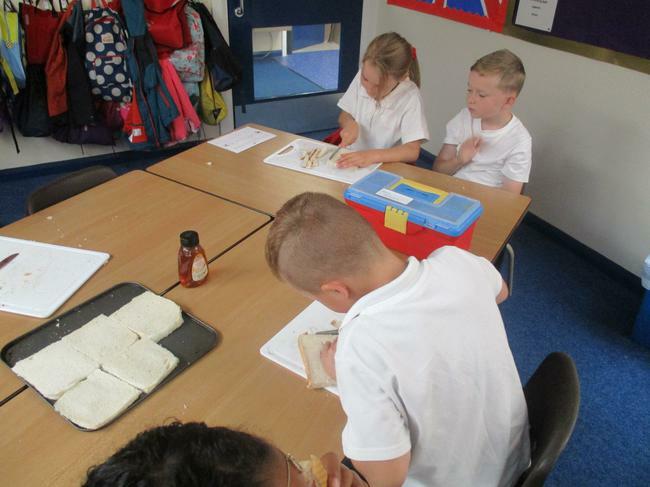 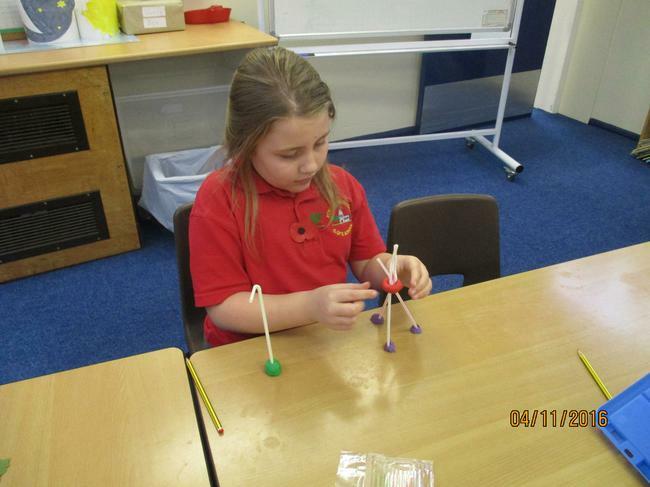 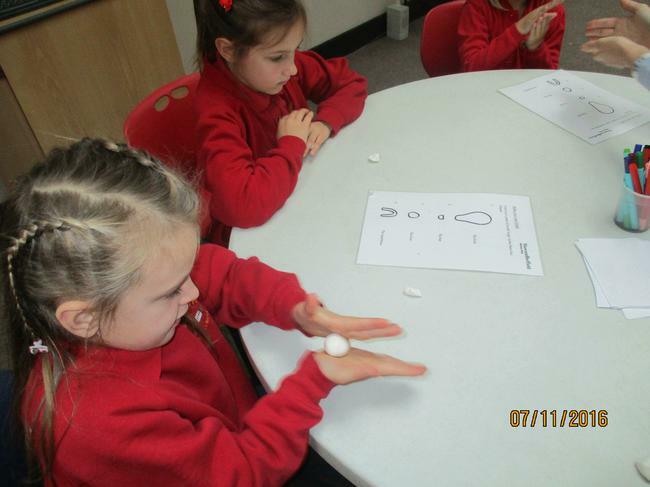 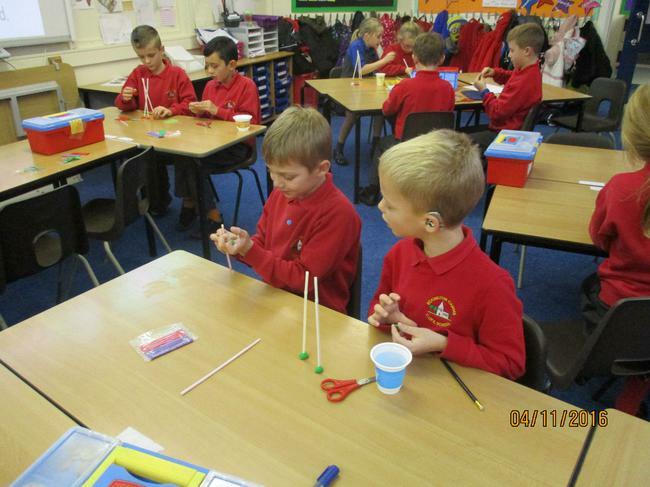 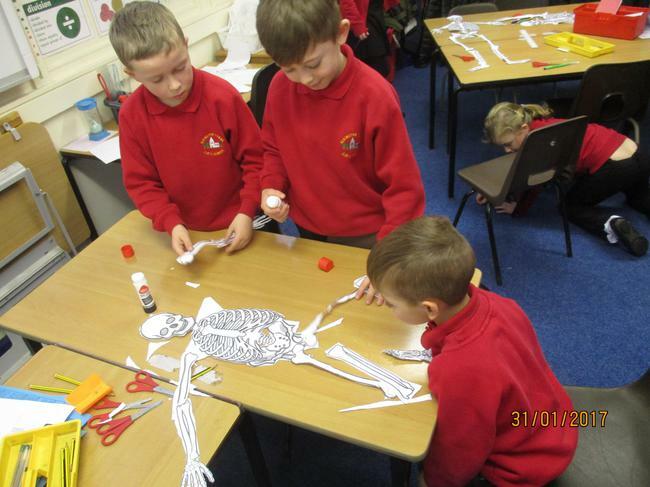 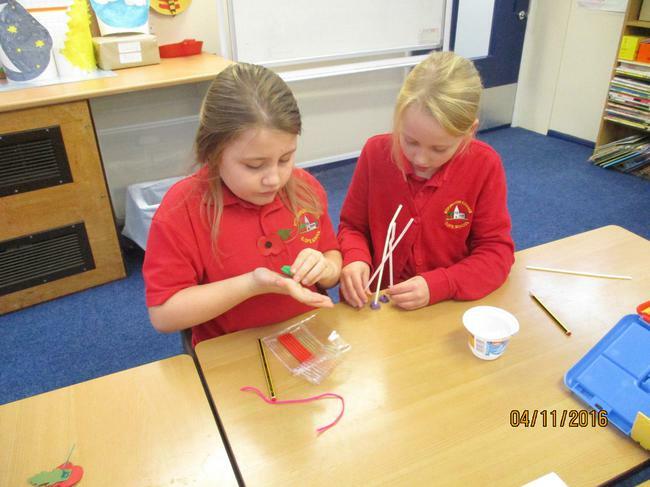 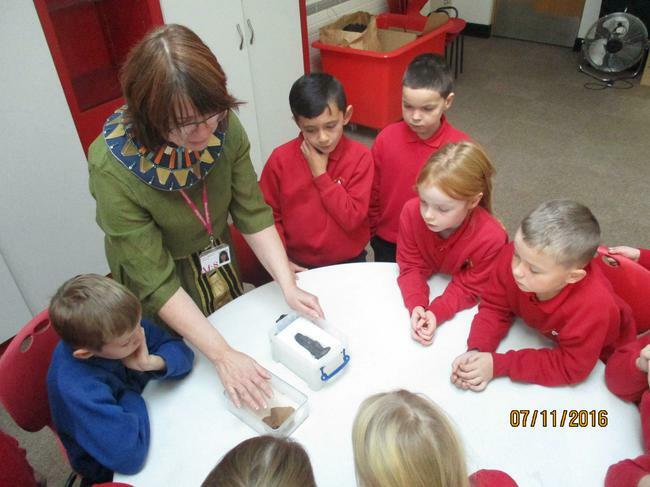 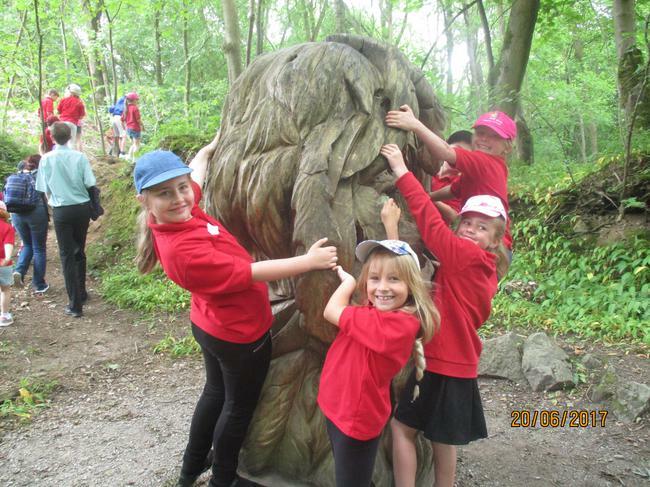 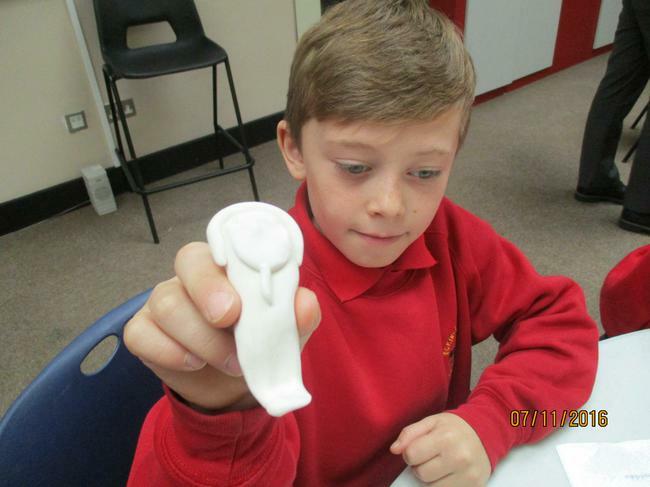 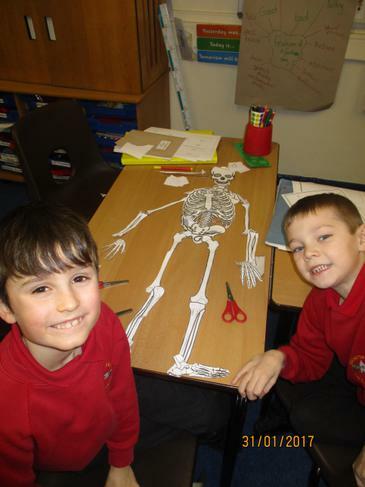 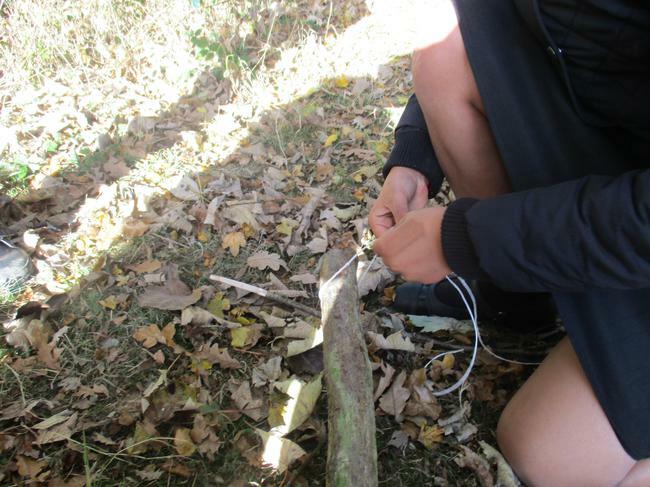 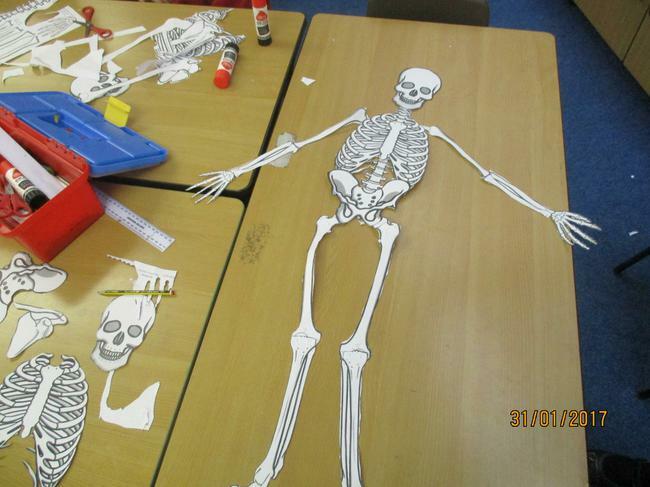 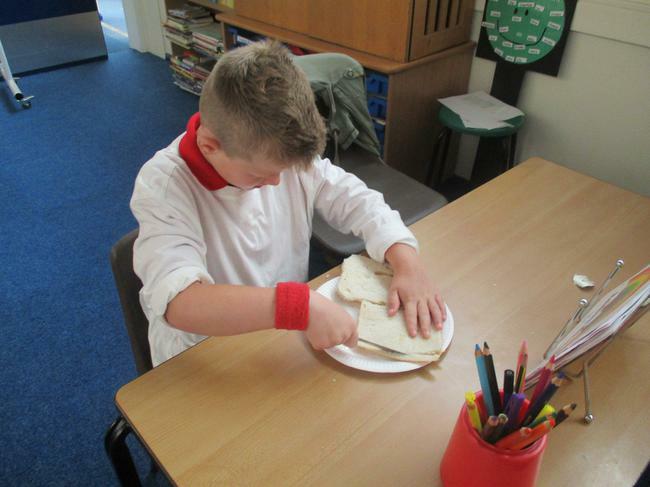 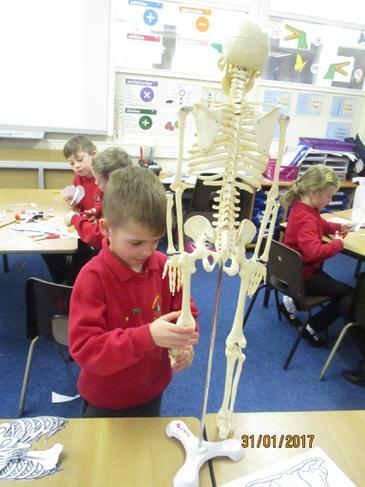 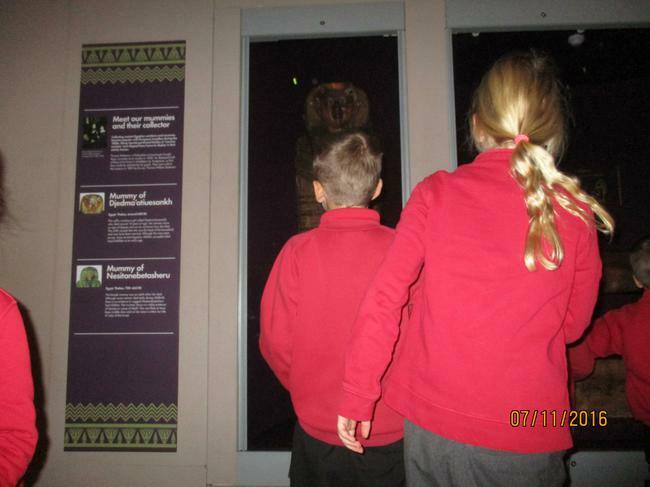 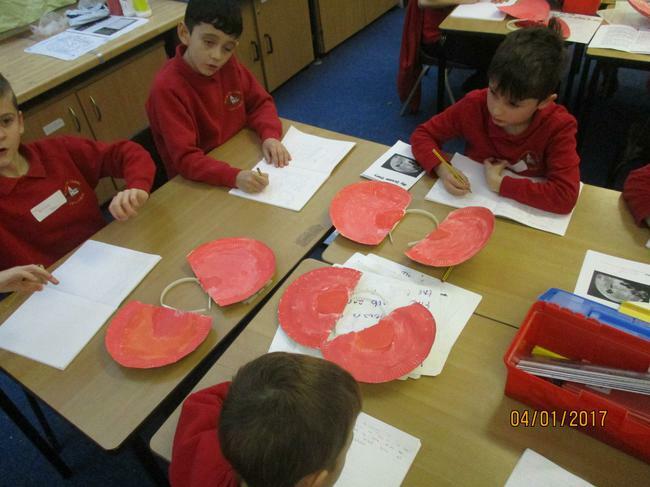 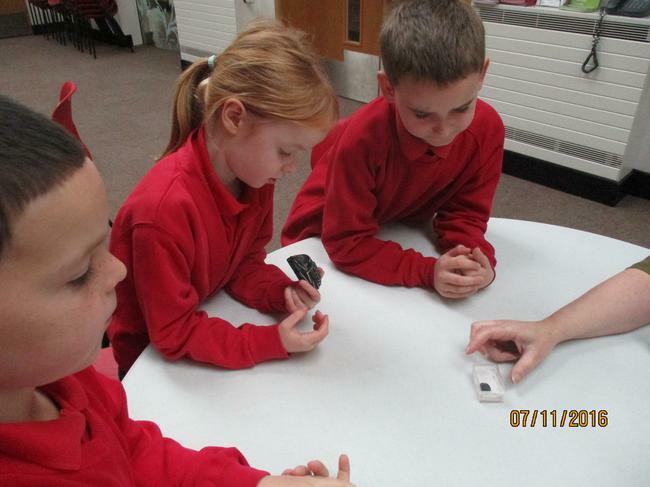 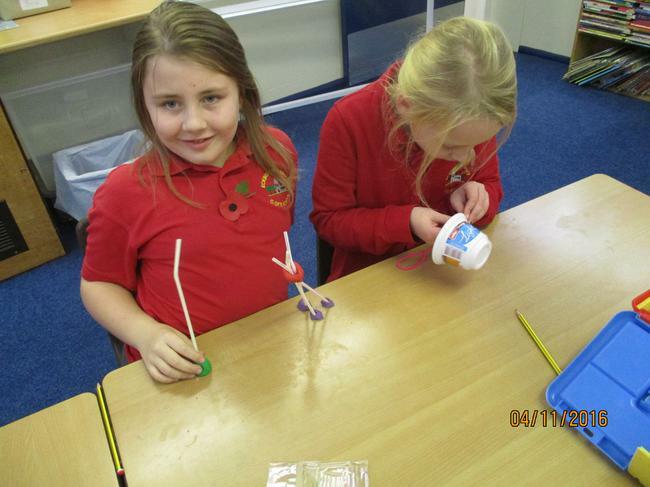 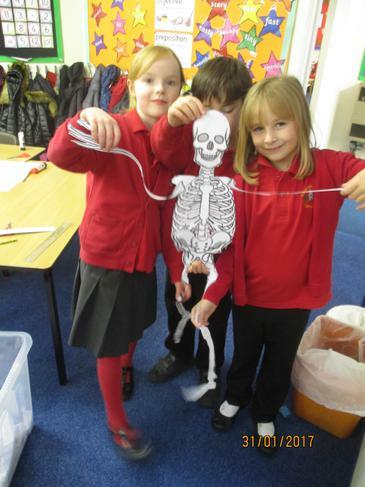 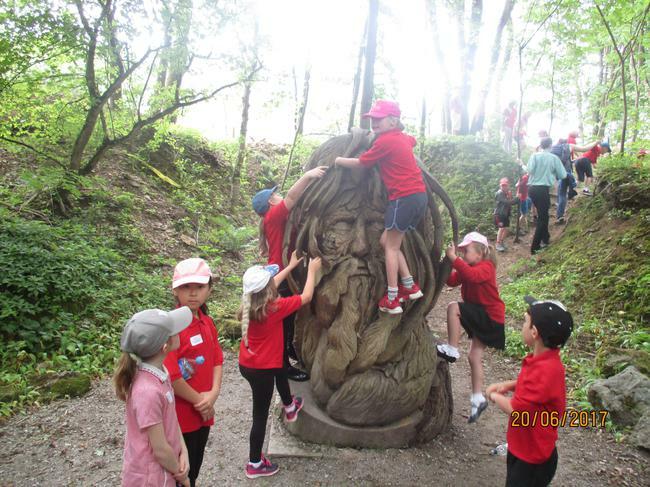 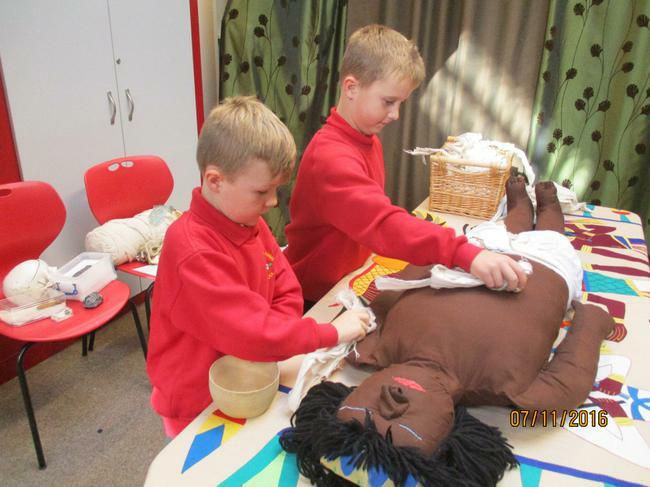 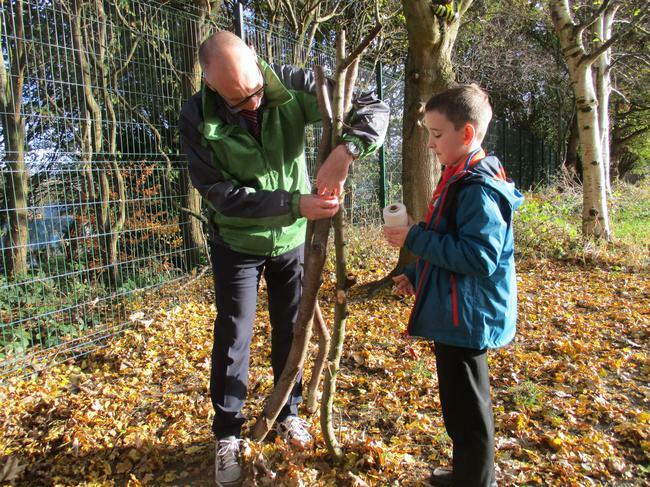 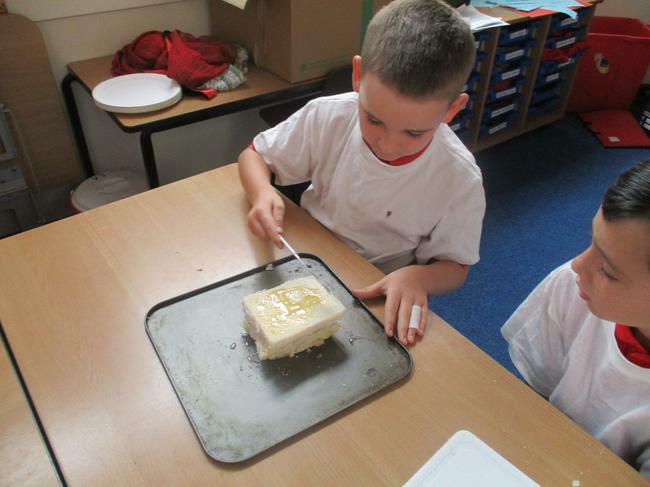 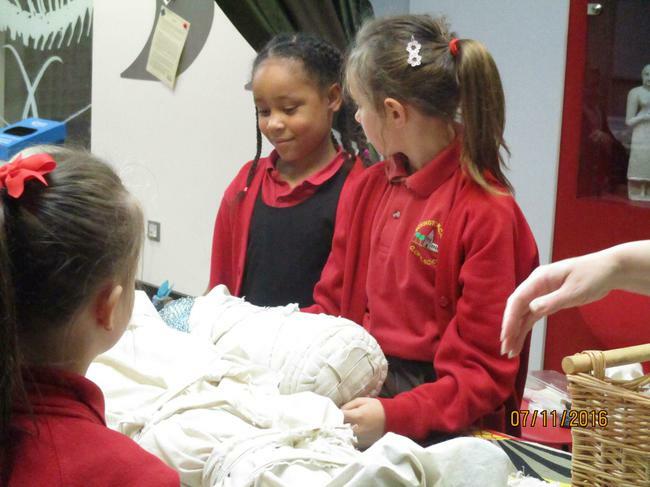 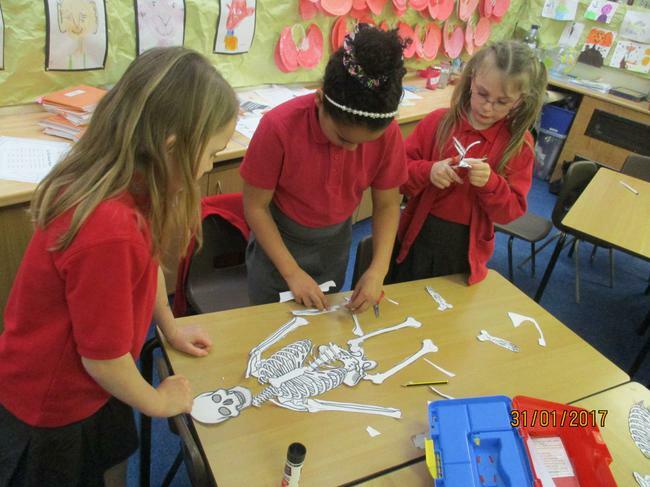 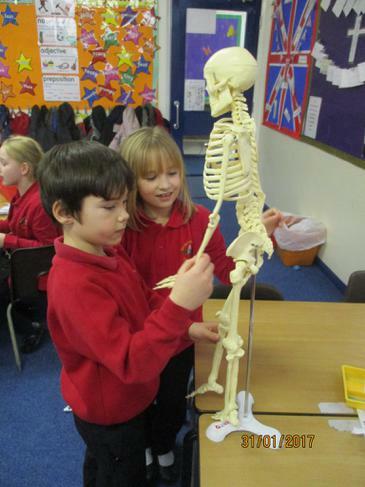 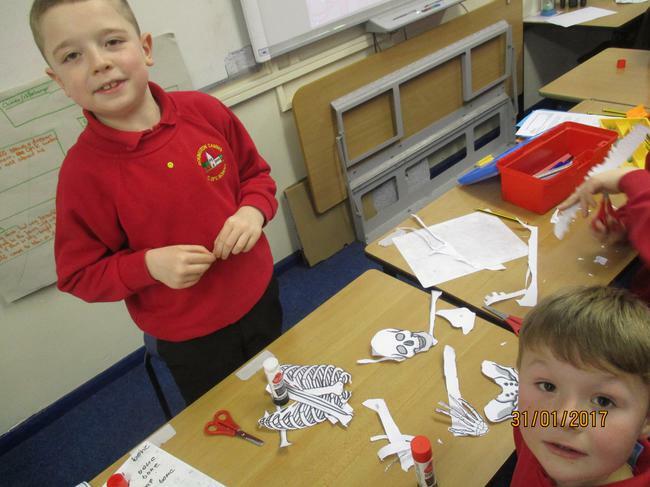 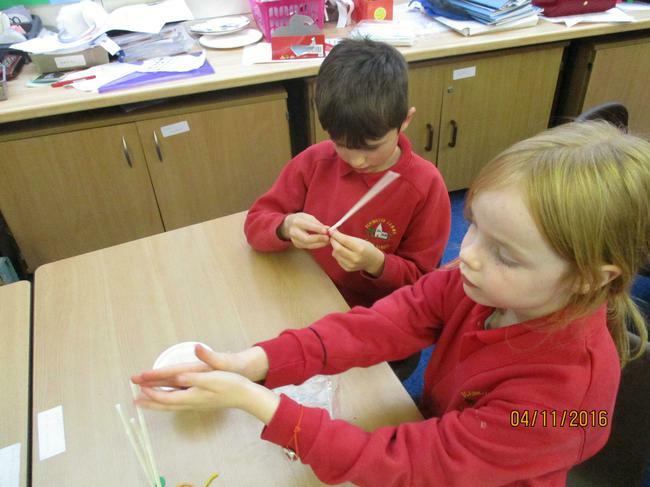 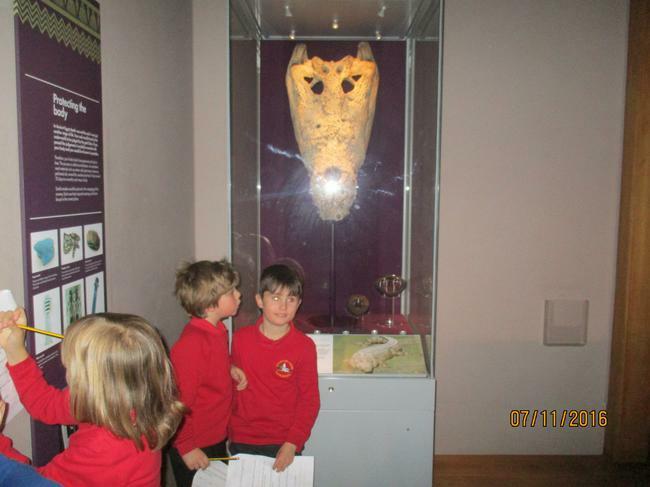 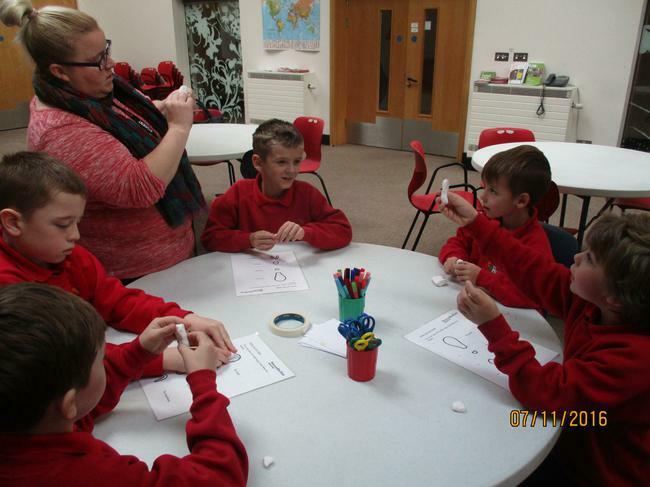 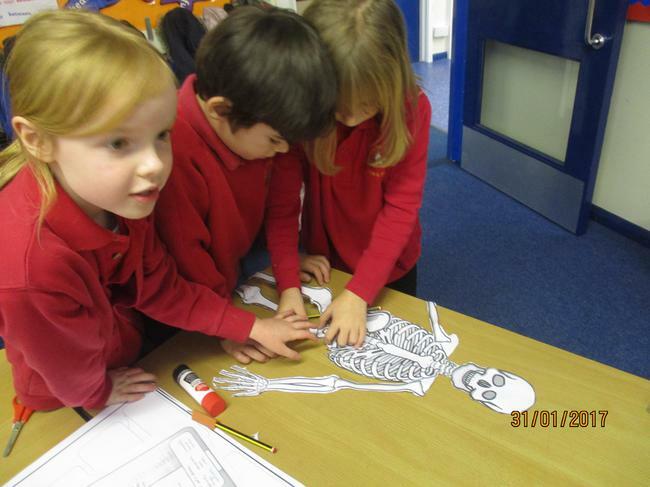 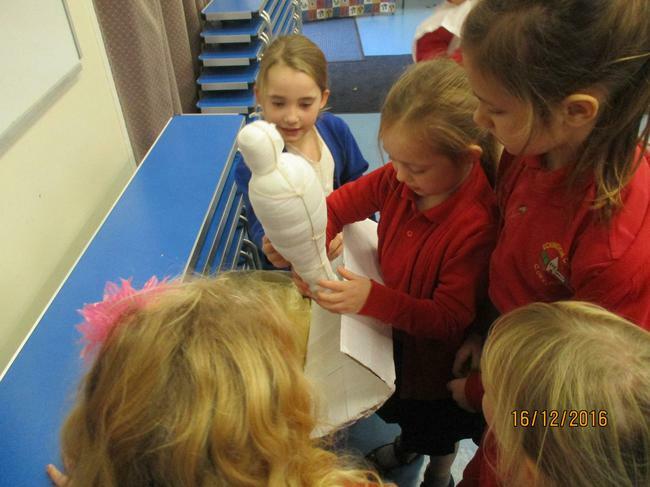 This term the children will be learning about the Stone age. 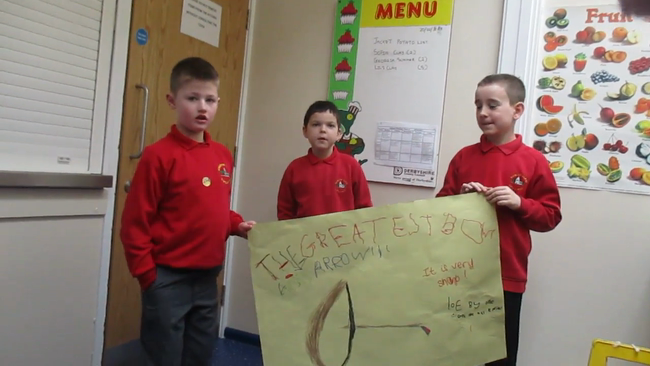 Here are some adverts that they produced to advertise bow and arrows! 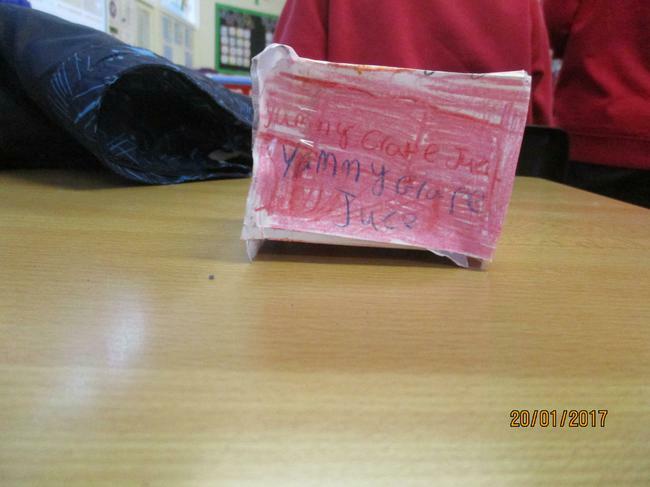 Sorry it's on it's side. 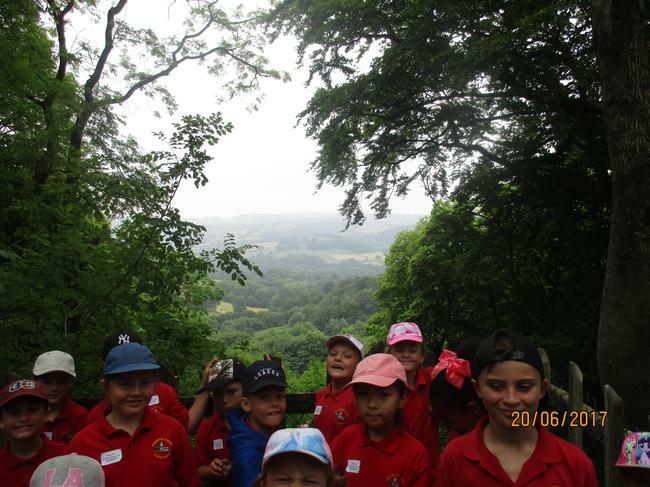 I couldn't change the view. 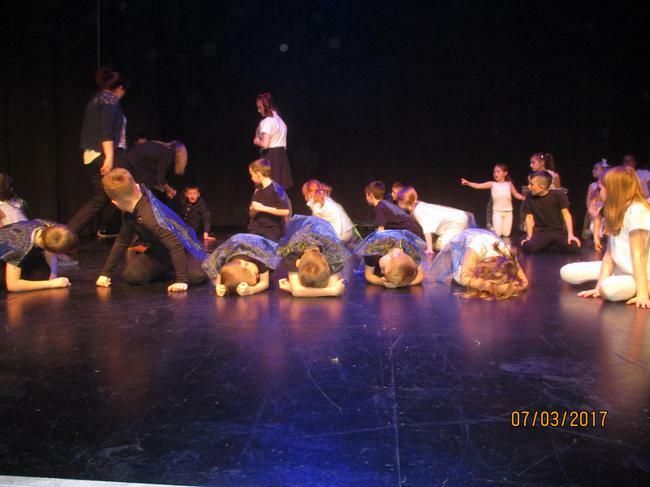 Dance Platform Competition on Tuesday 7th February at the Winding Wheel. 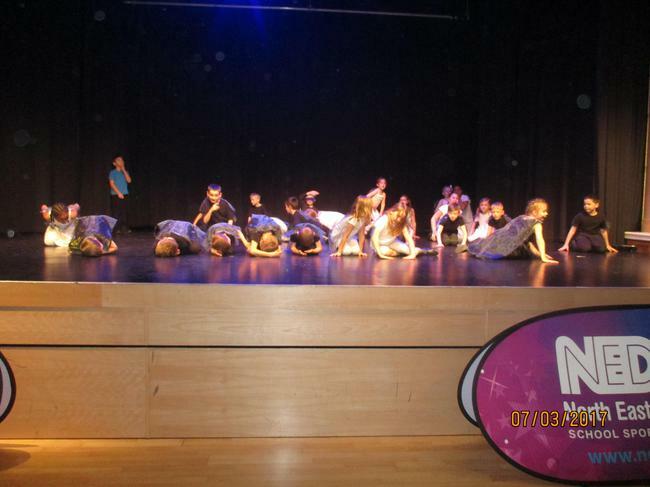 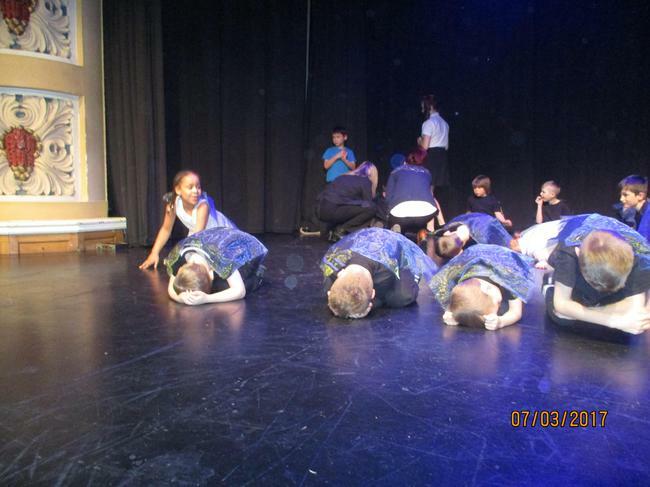 Dream - our music for the dance competition. 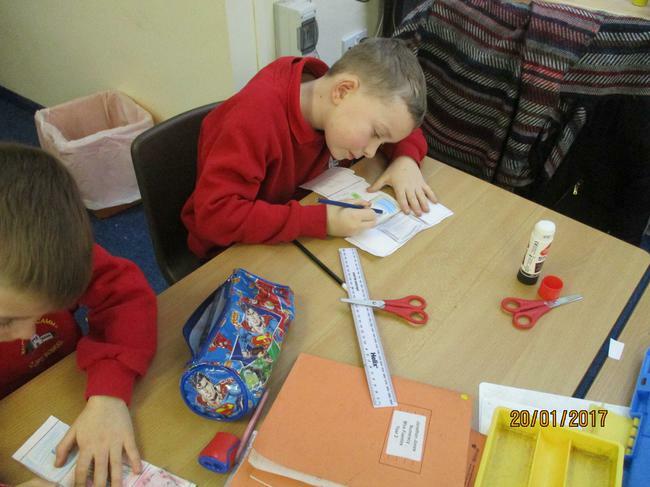 Please read the letter about the competition which will be happening on the 7th Feb. 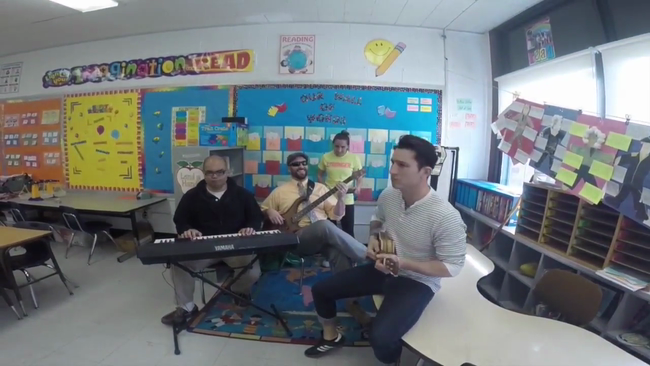 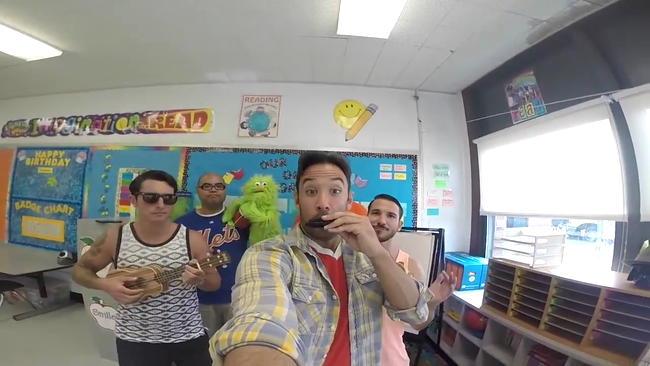 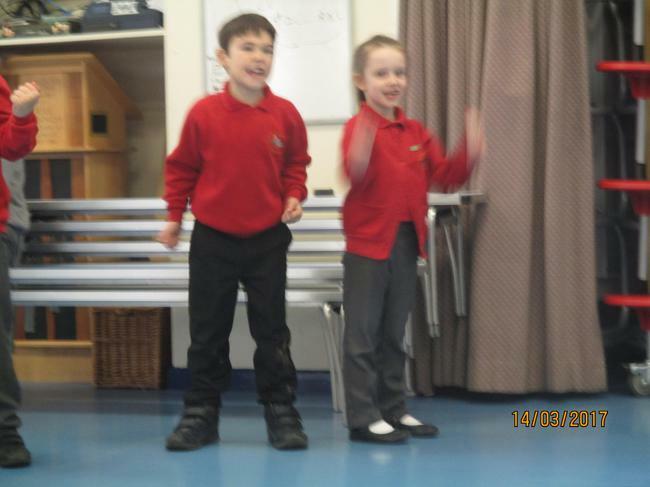 This song is to the tune 'Uptown Funk'. 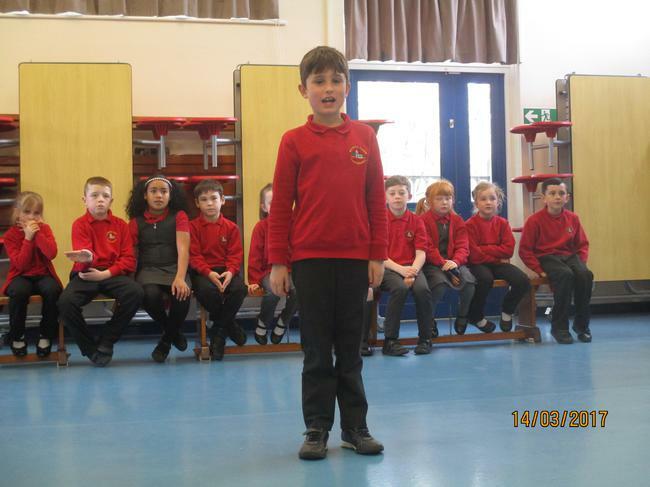 Please use the lyrics to sing-along. 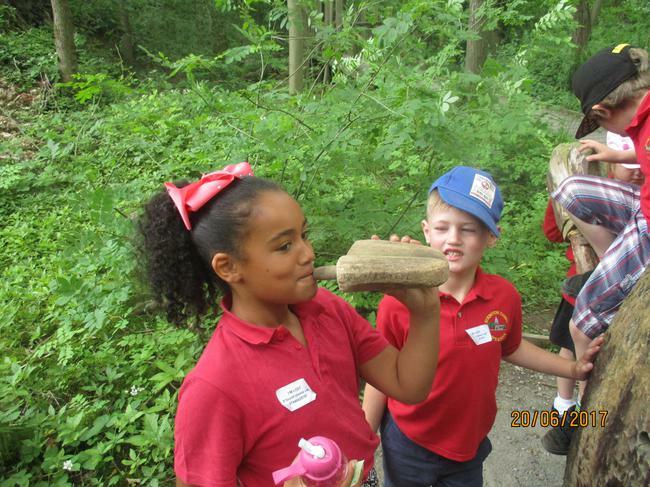 Spring Term 2 - STONE AGE! 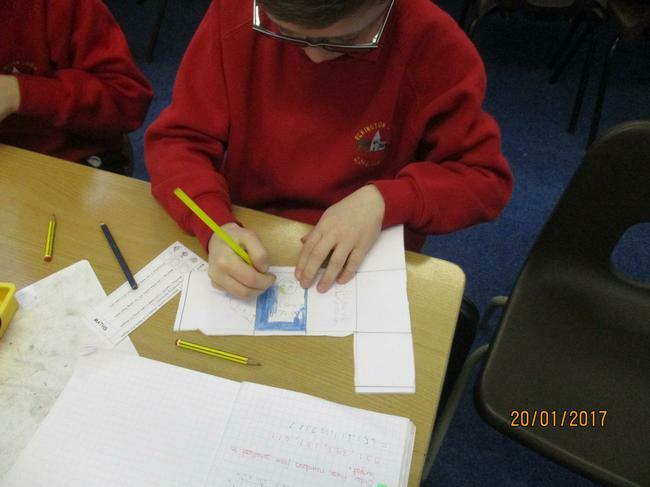 Please find the overview and homework grid below. 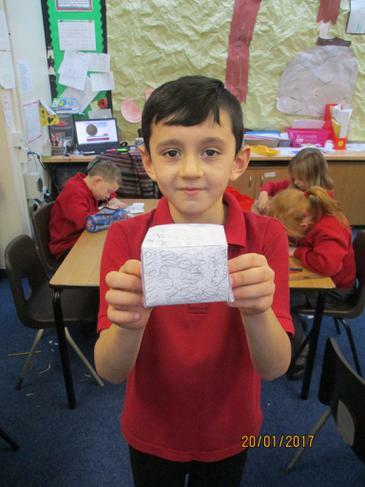 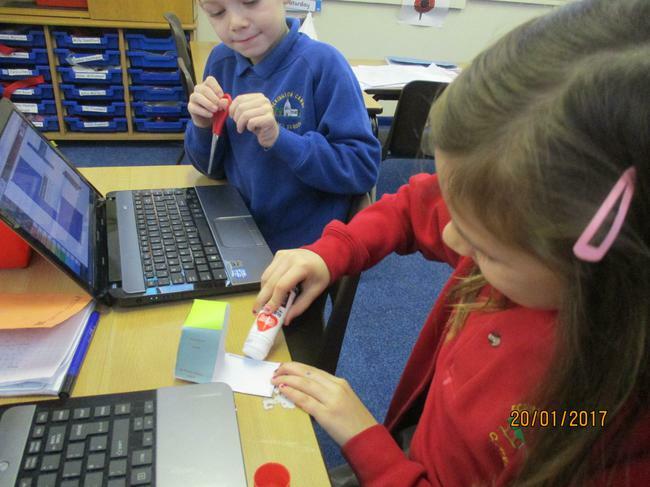 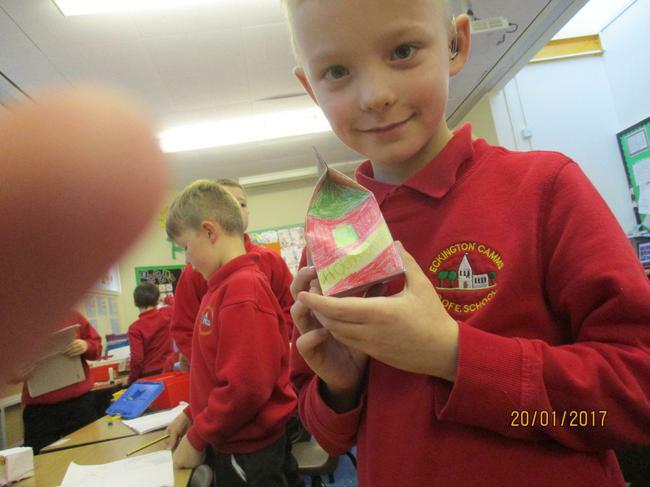 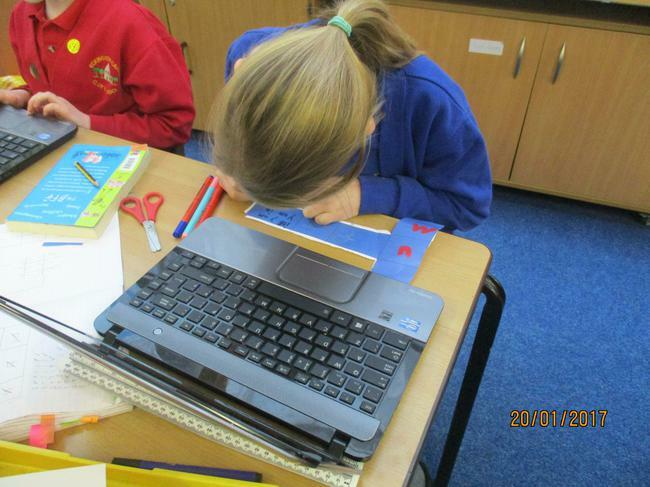 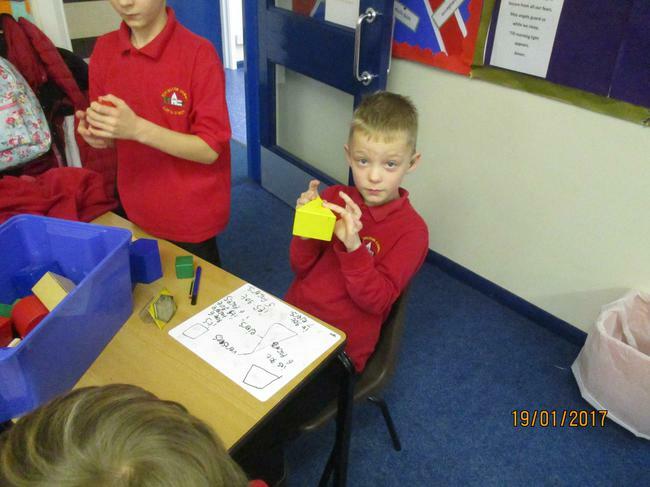 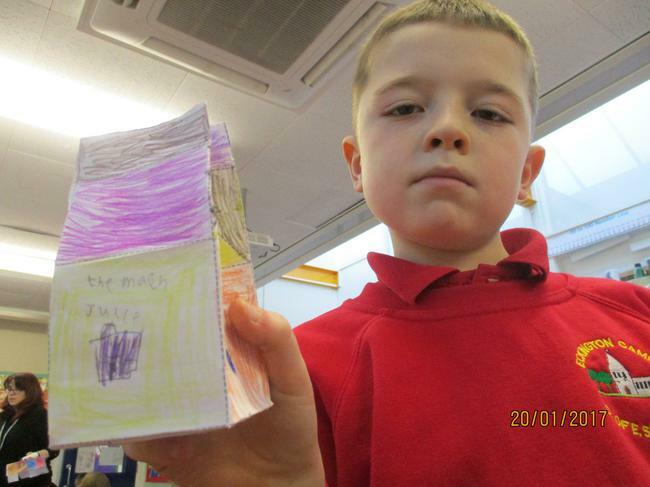 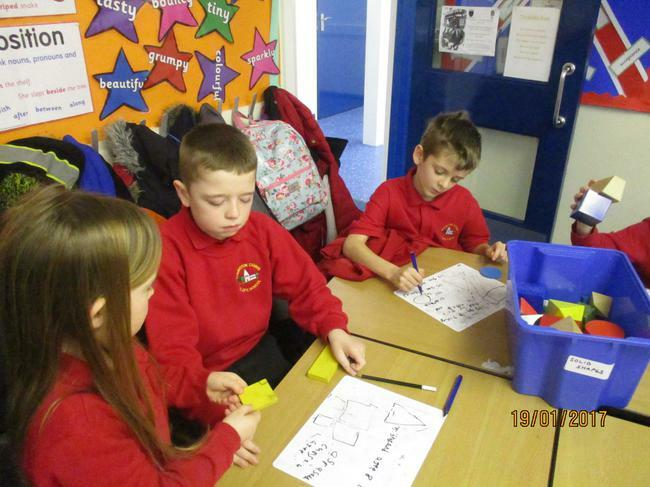 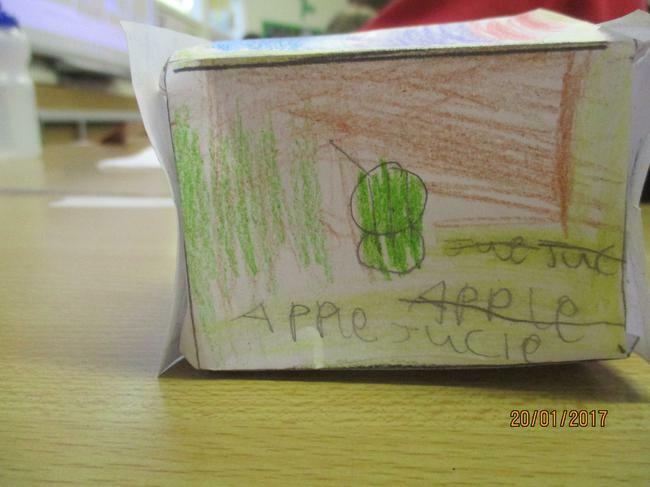 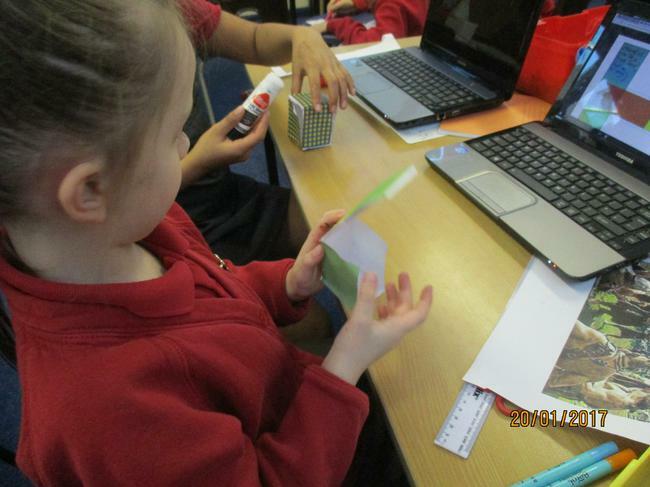 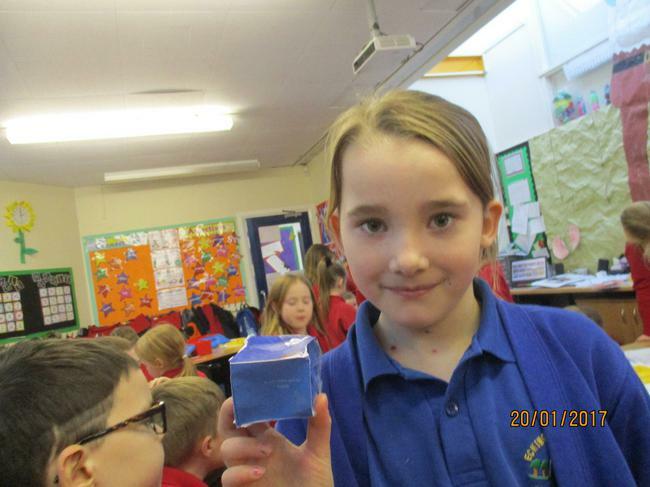 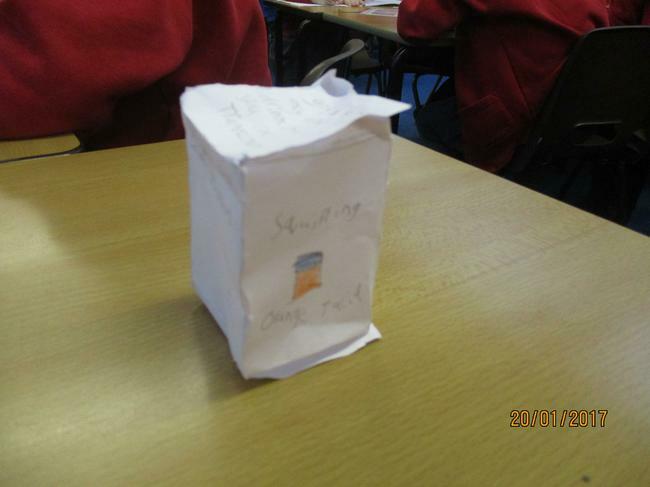 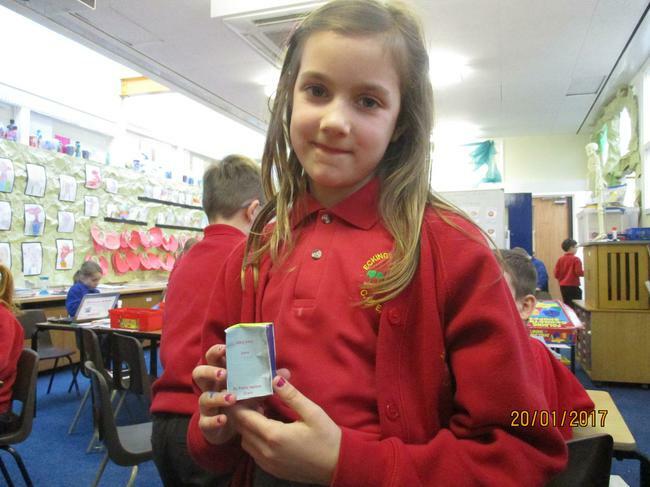 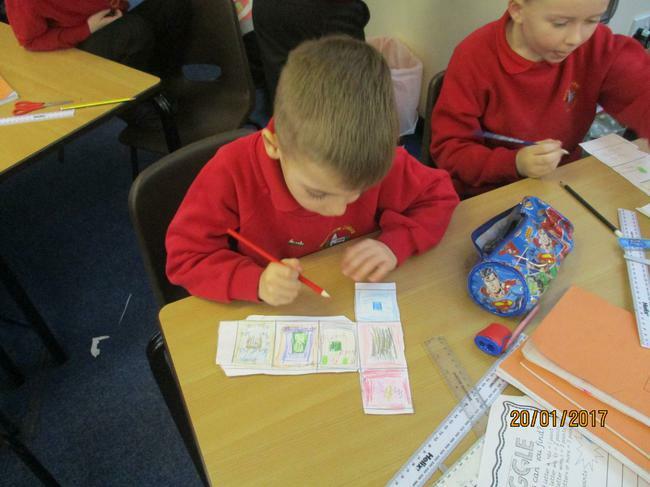 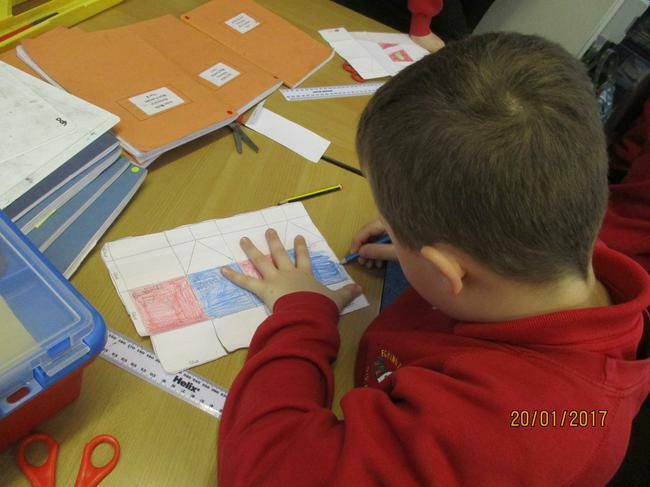 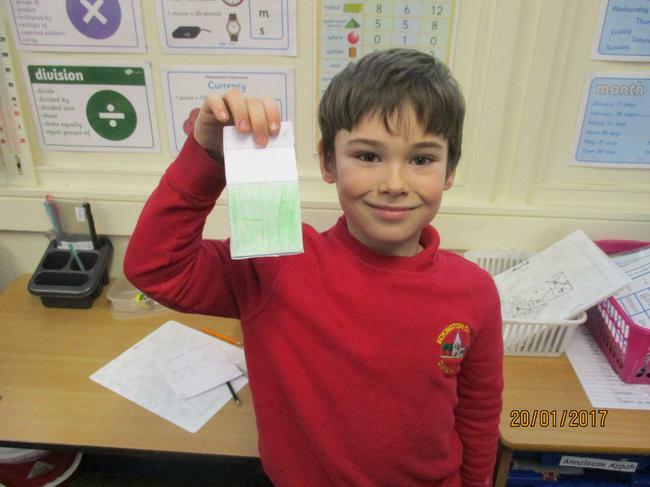 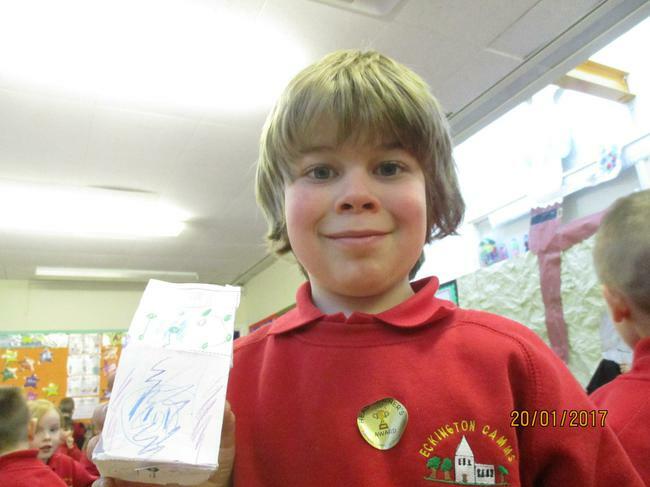 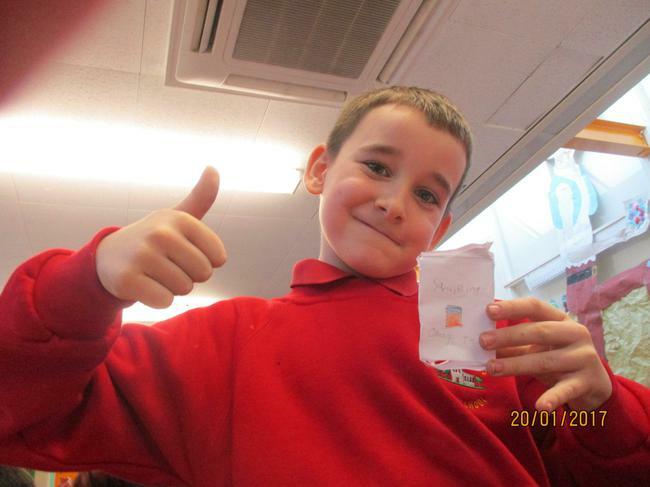 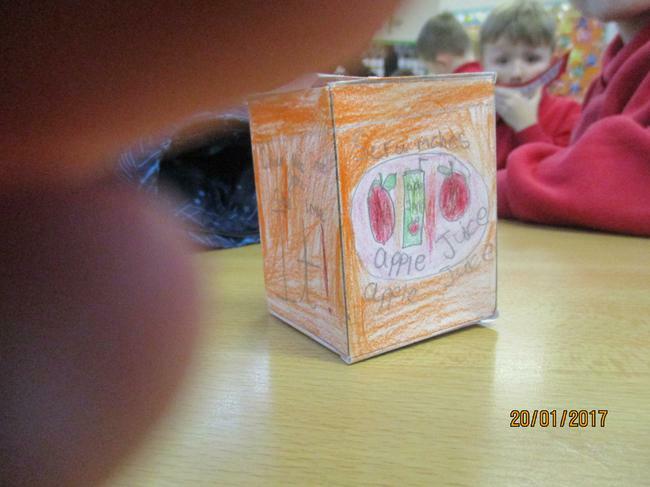 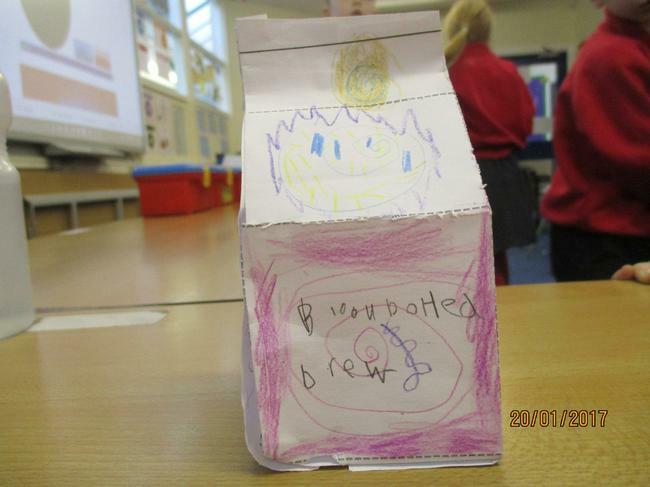 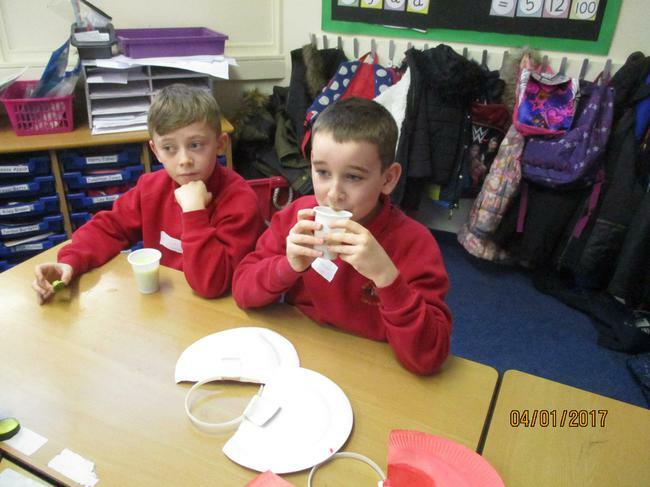 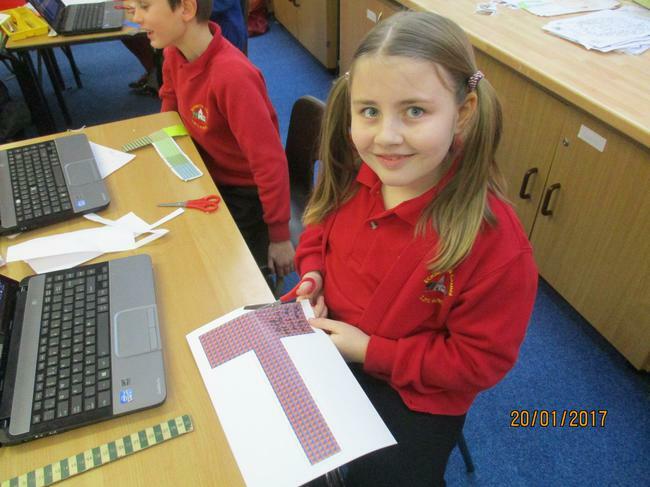 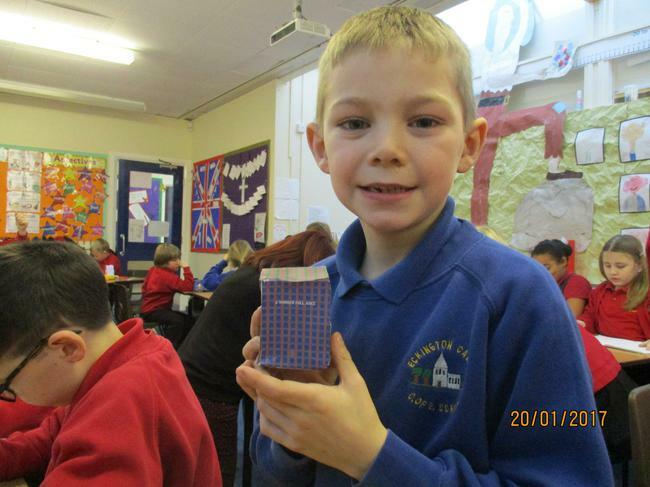 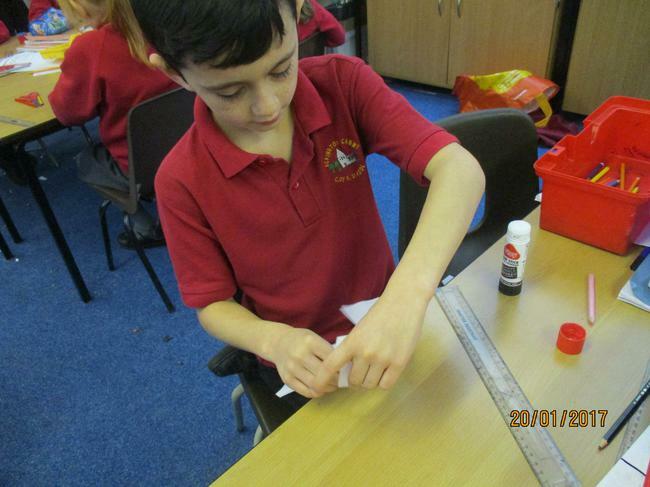 Designing and creating our own BFG drinks cartons. 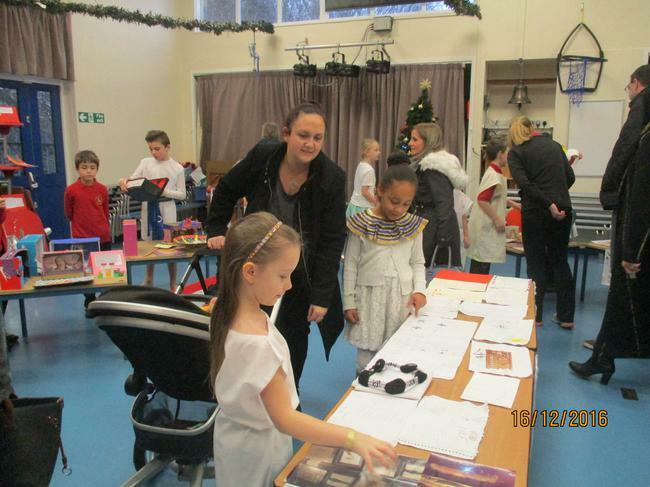 I hope you had a lovely Christmas and are raring to get back to school. 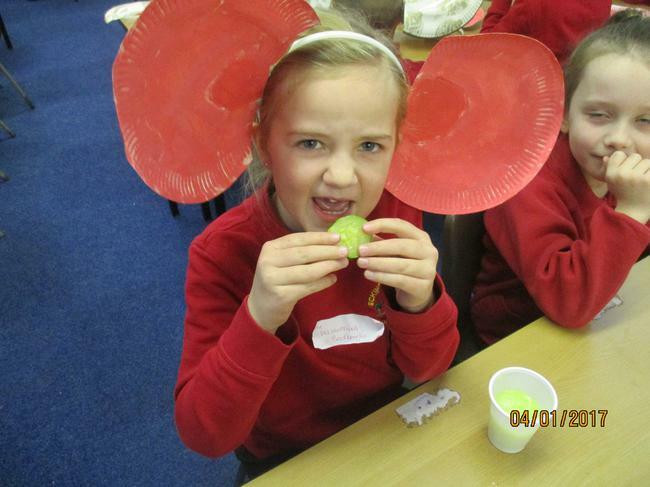 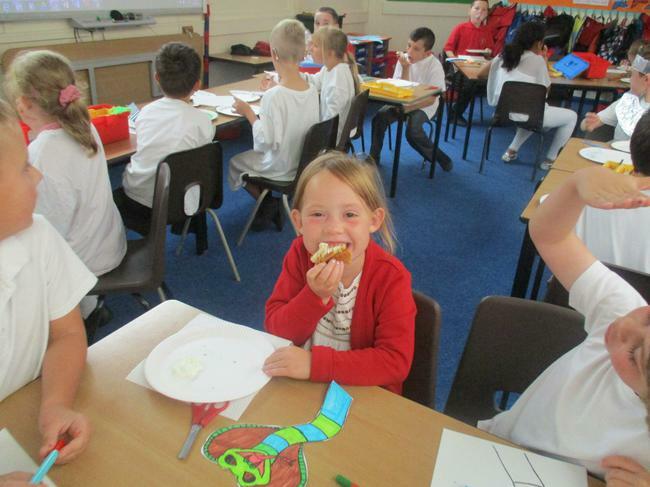 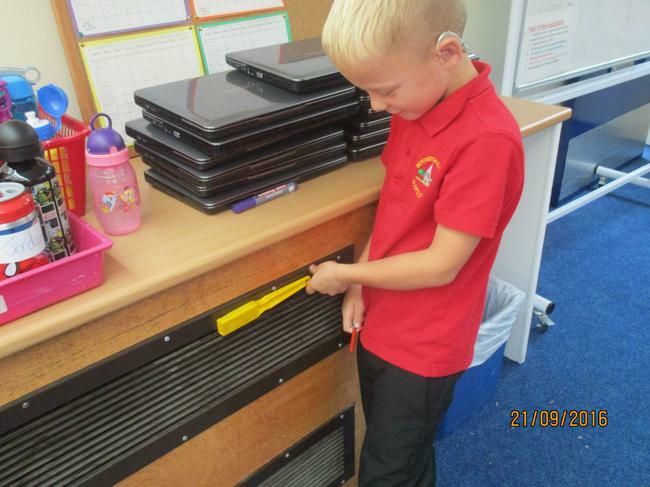 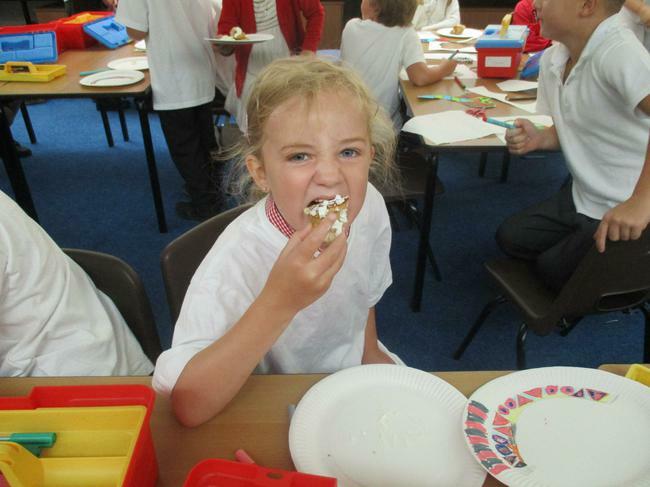 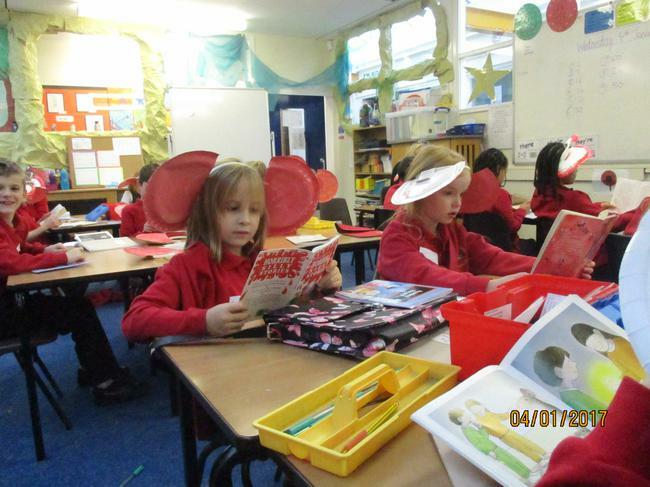 This term we are doing The BFG! 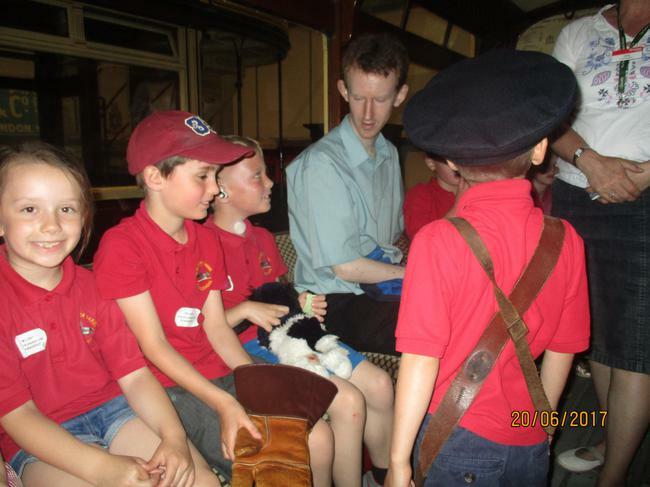 I have been trying to keep it a secret! 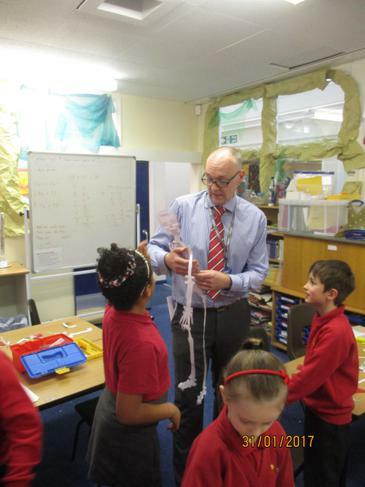 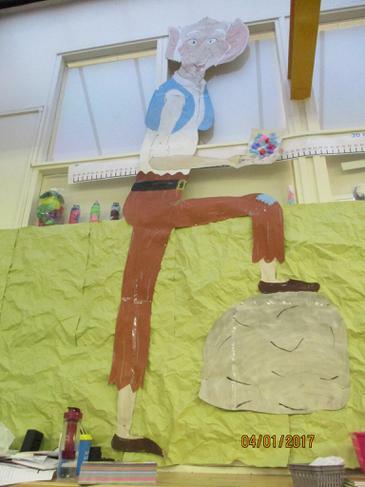 I wanted it to be surprise when you walk into the classroom and see our own BFG! 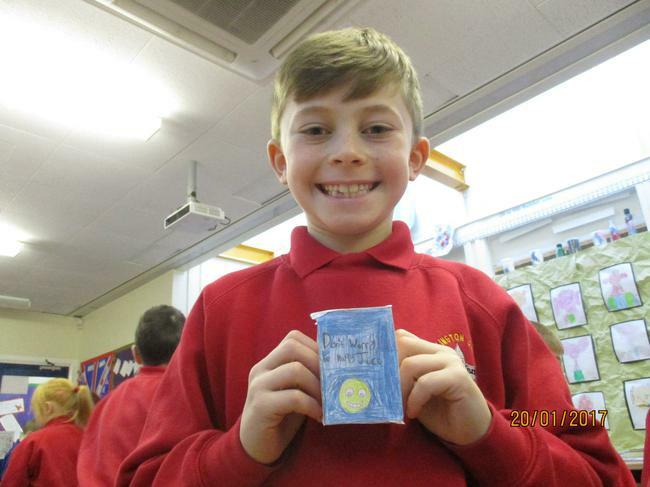 I have planned lots of creative and exciting lessons for you and hope you bring your dream diaries to school to use what you have written! 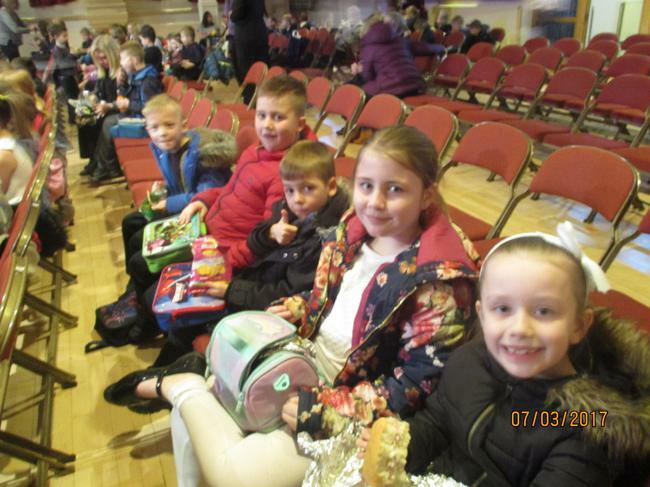 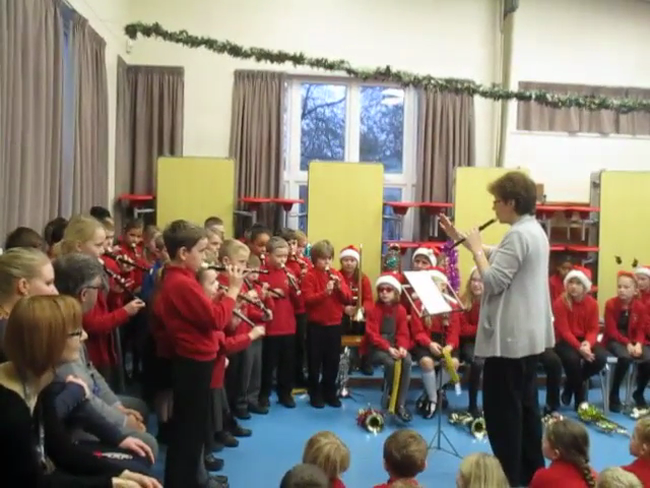 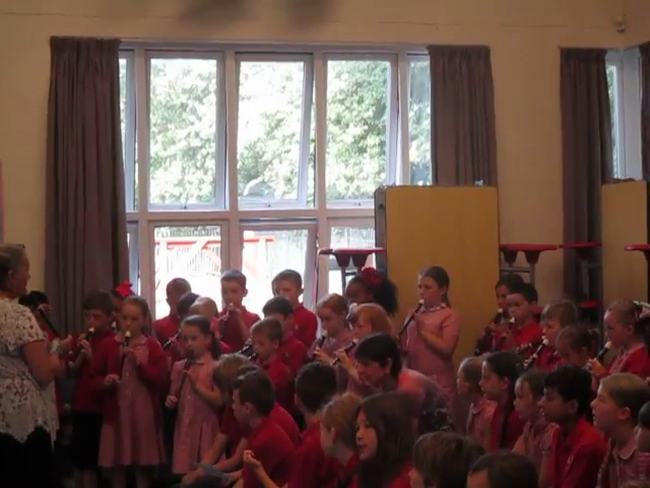 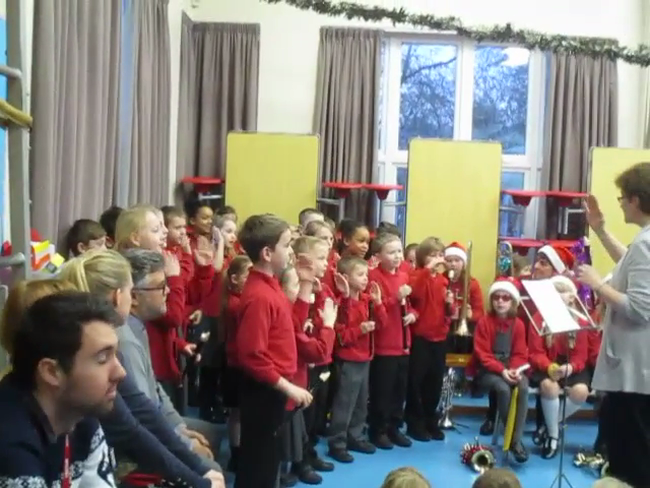 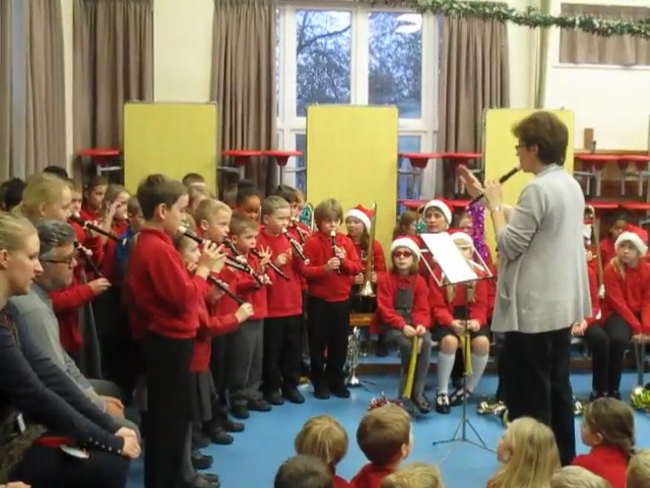 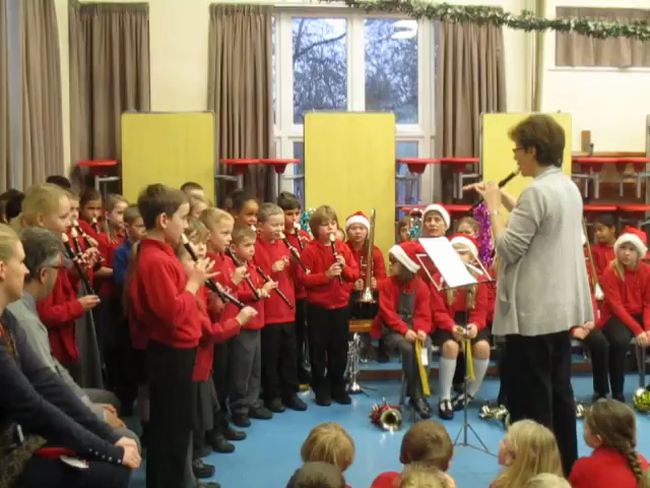 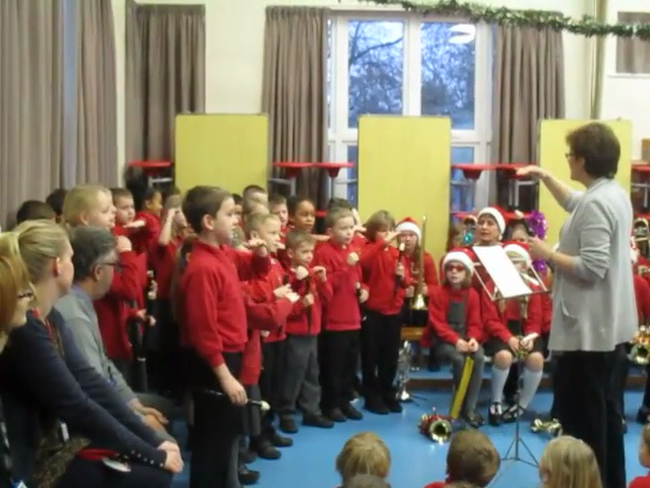 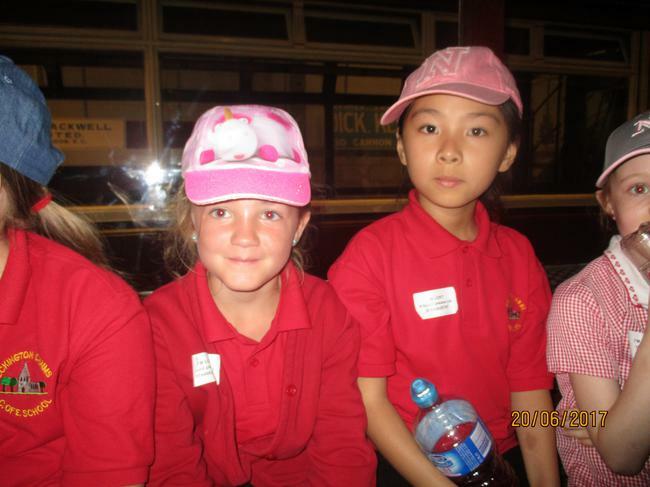 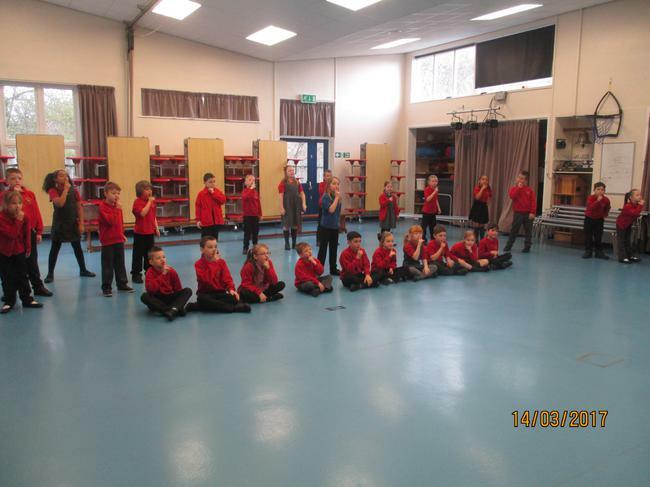 Just in case you couldn't make it this morning, here is the year 3 first recorder concert. 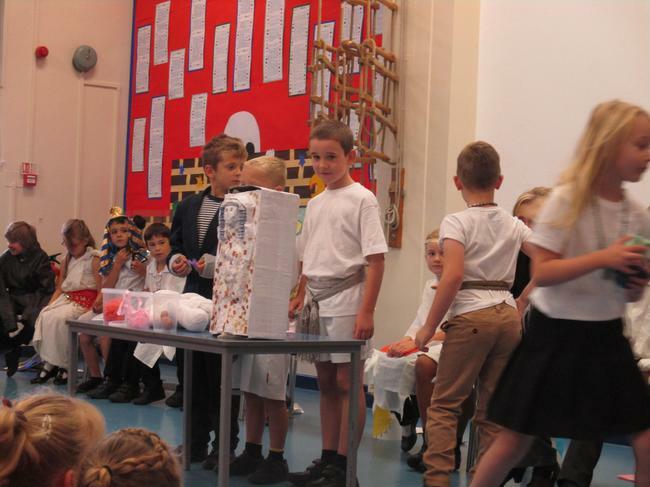 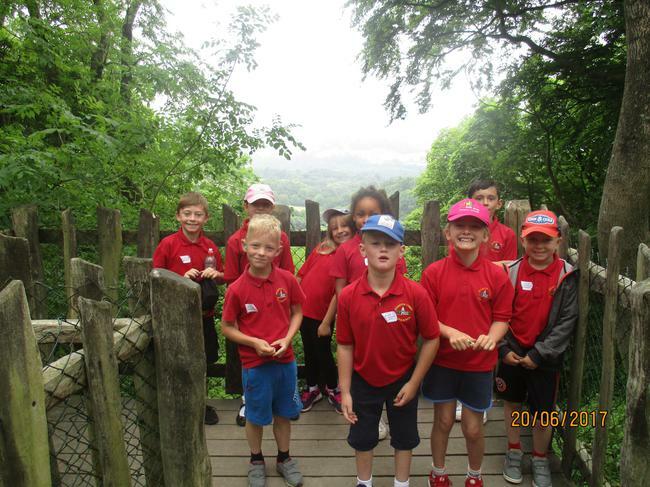 They did very well indeed! 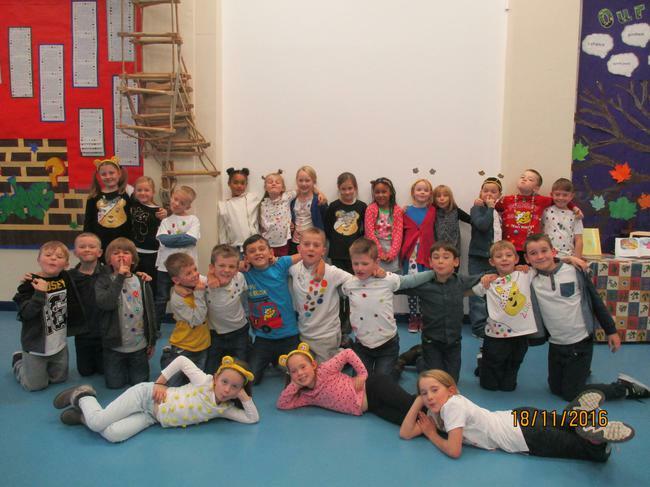 Children in Need day at school! 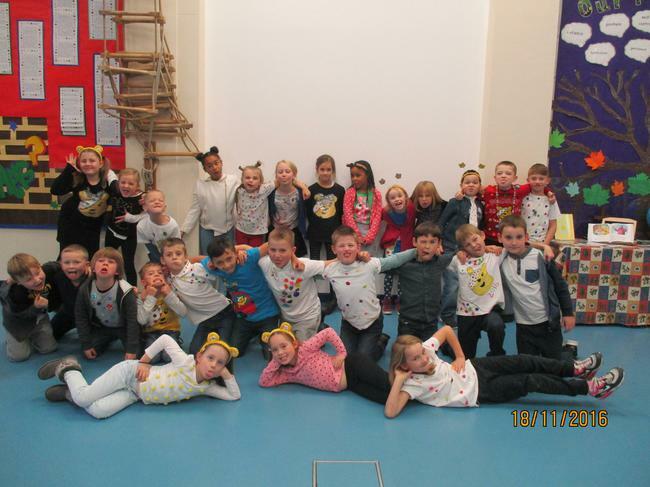 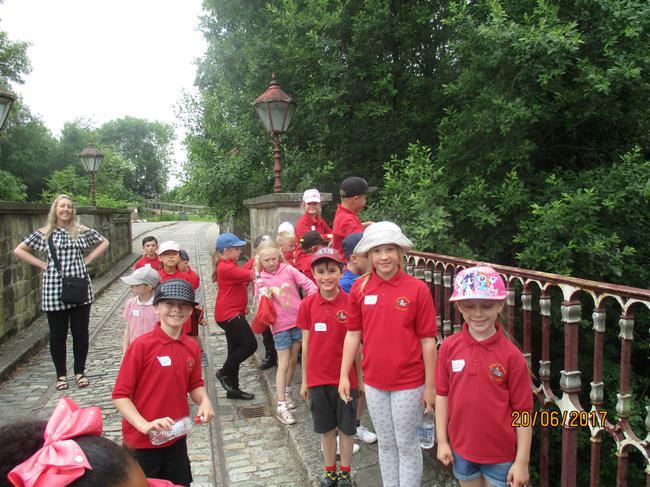 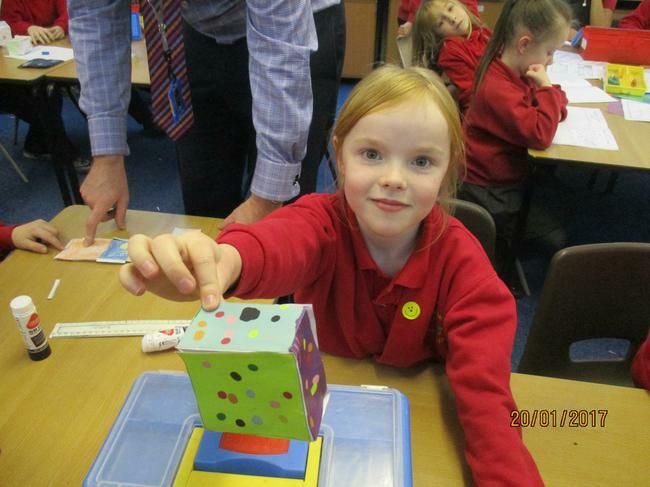 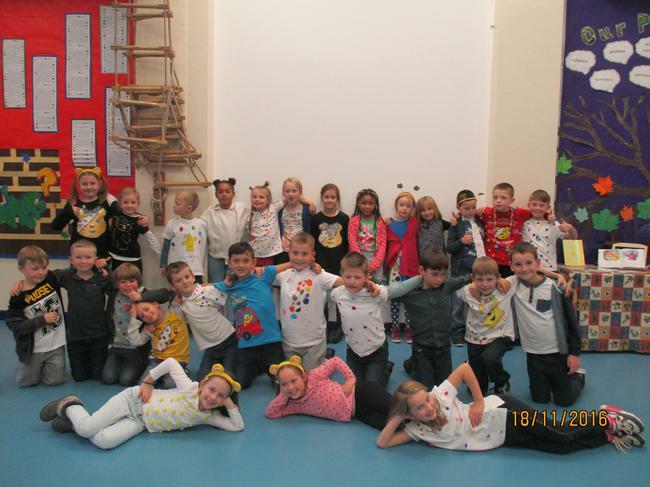 Everyone wore polka dots - Well done! 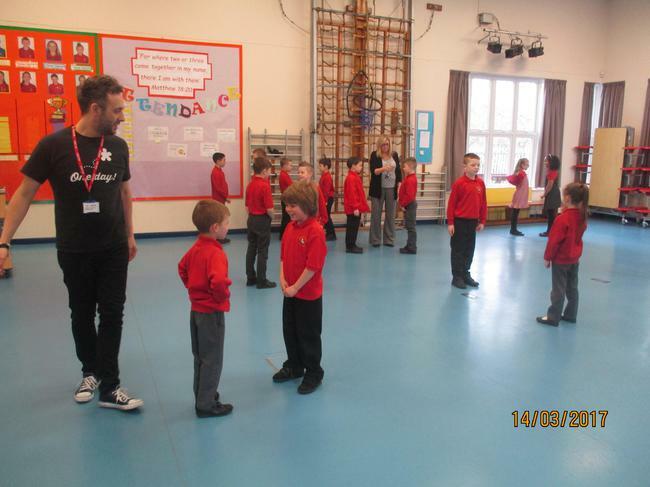 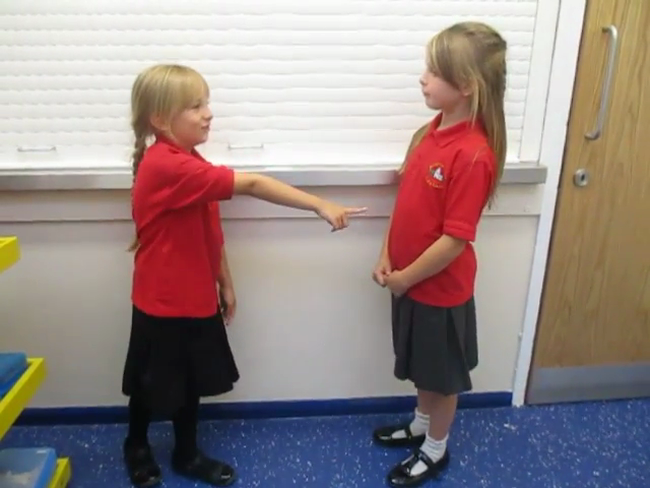 As this is anti-bullying week, we decided to do a complete day on; how to identify being rude, mean or bullying and what we need to do in those situations. 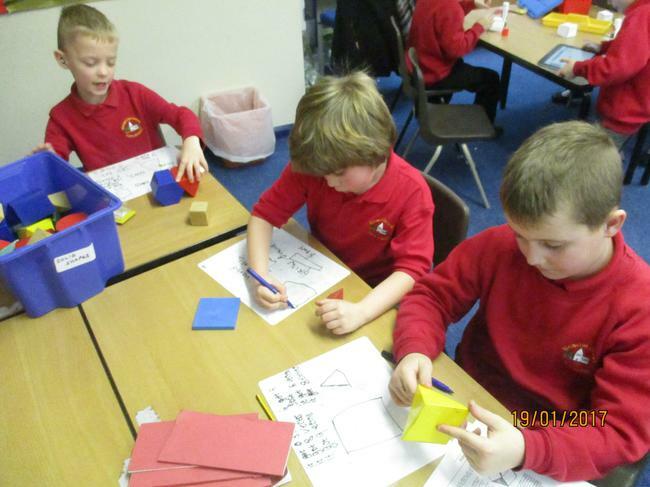 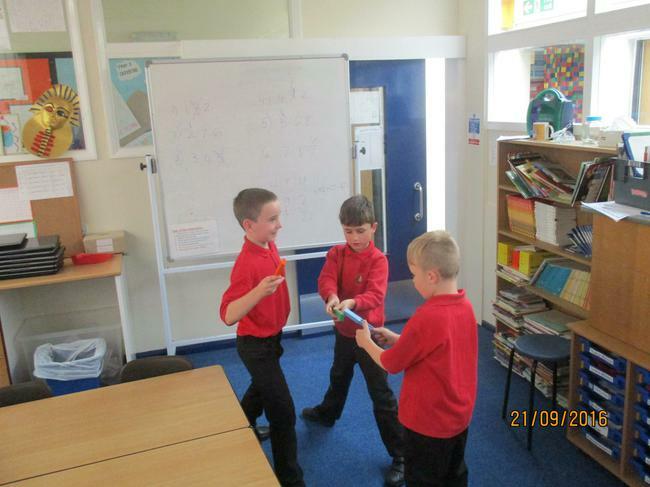 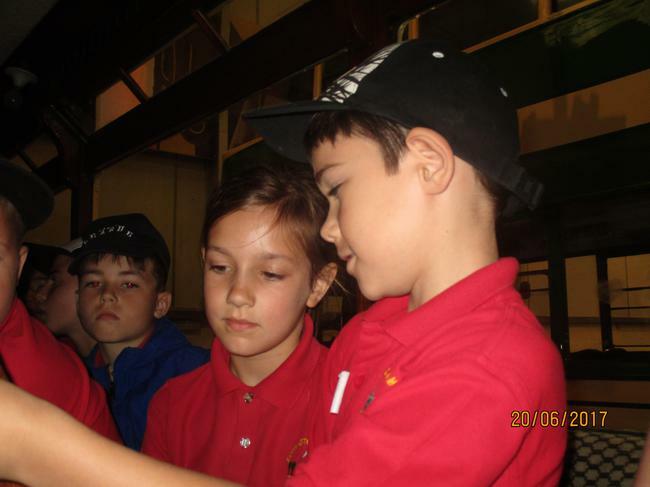 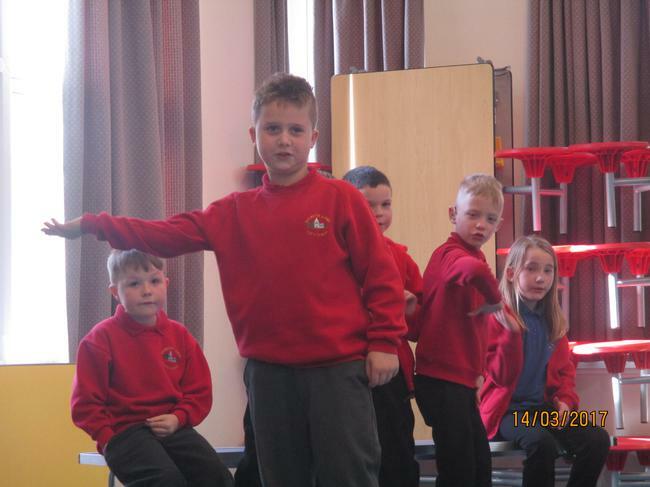 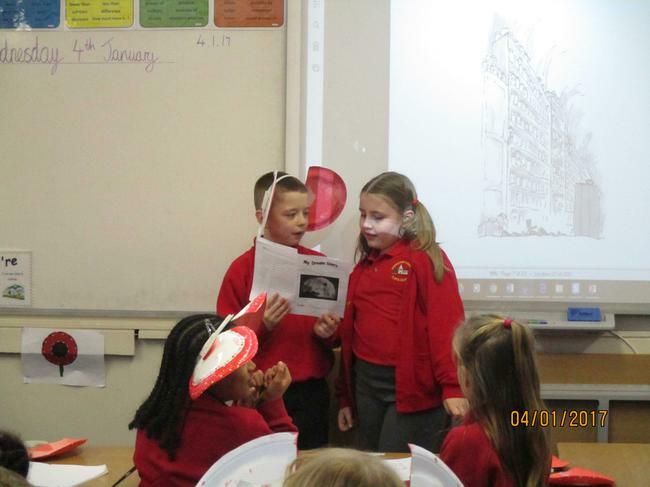 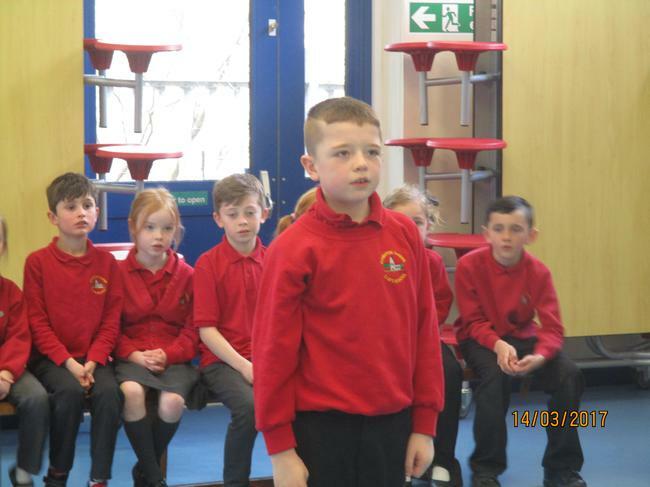 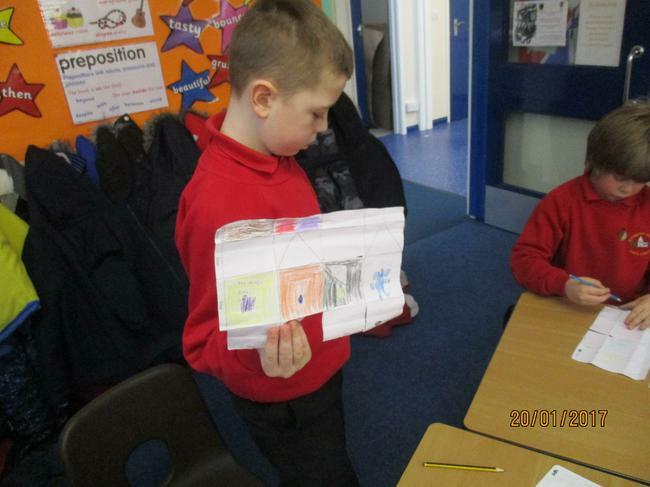 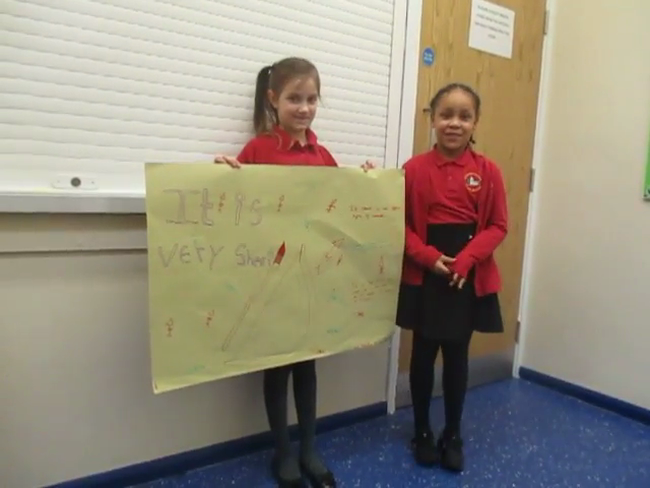 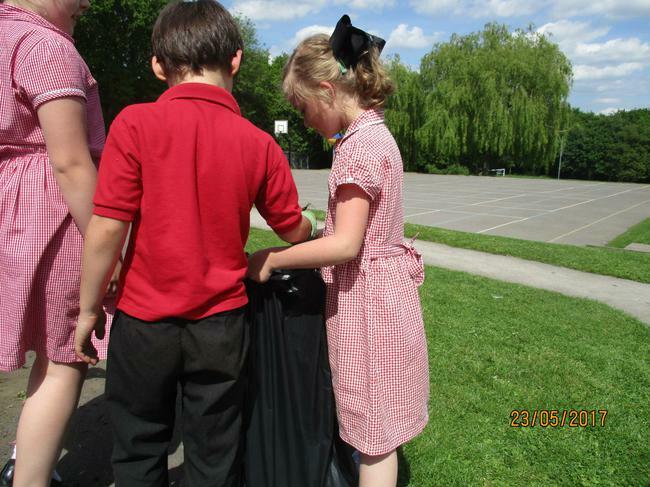 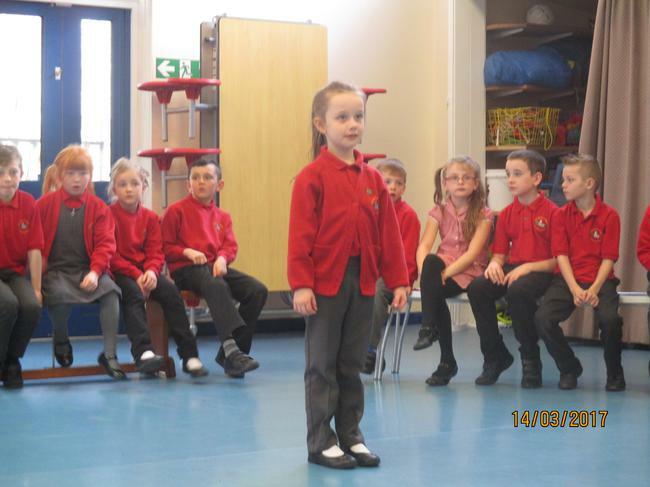 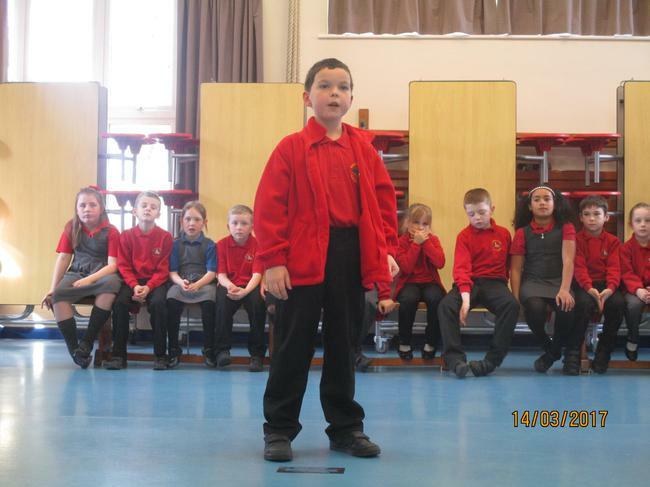 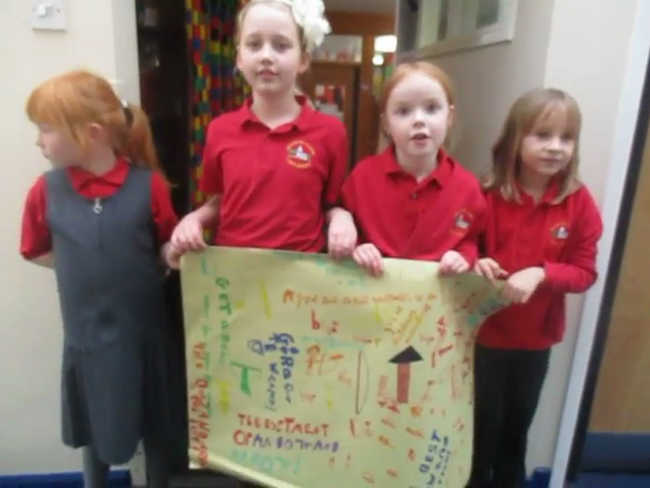 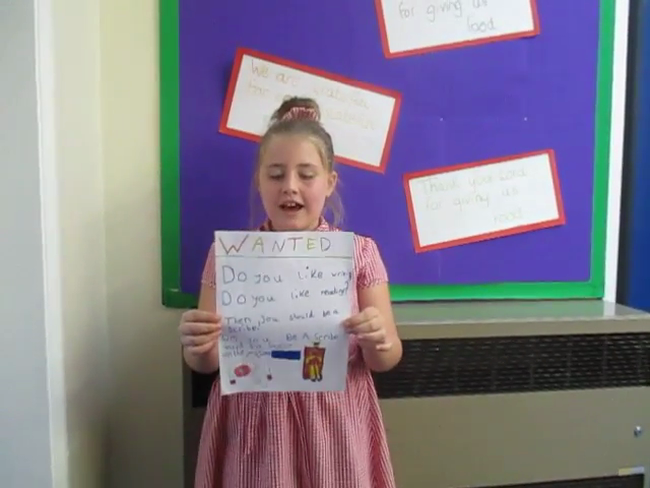 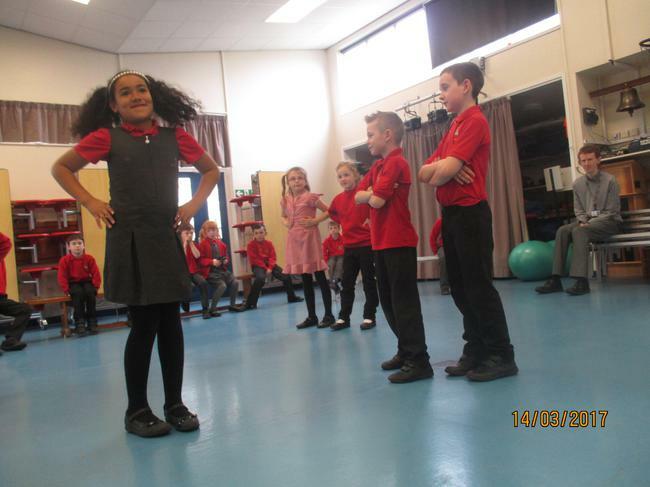 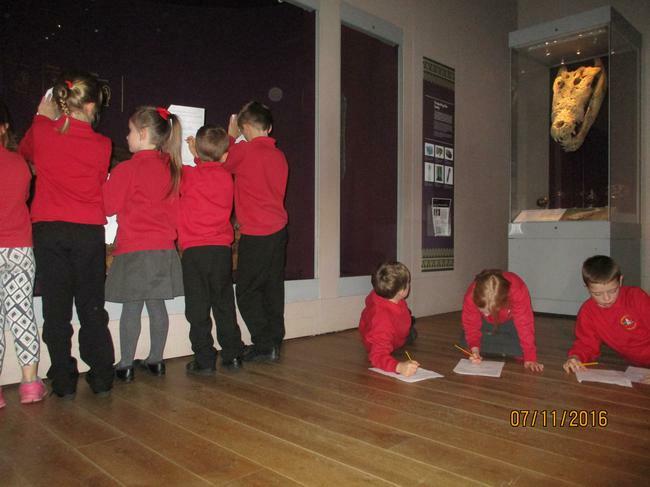 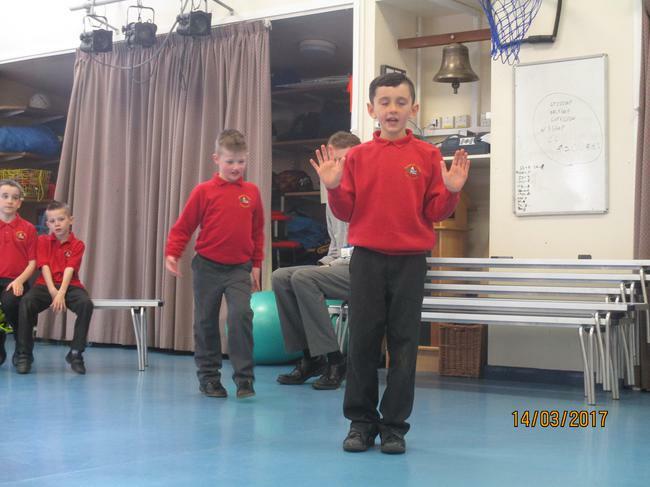 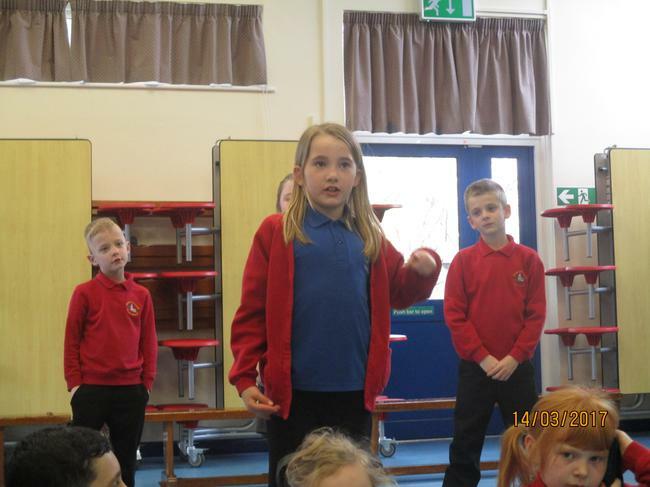 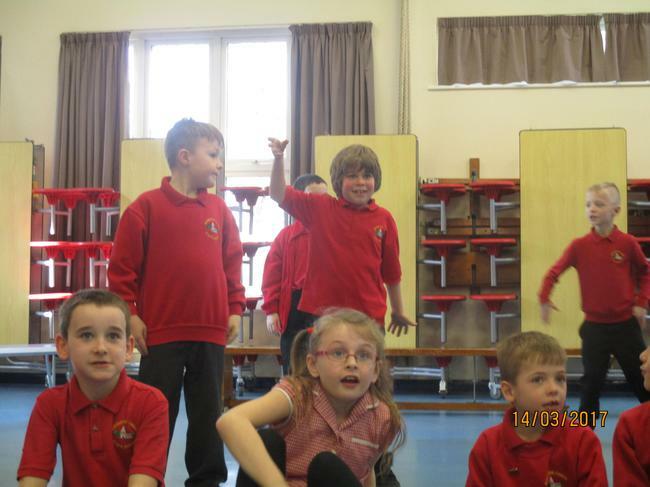 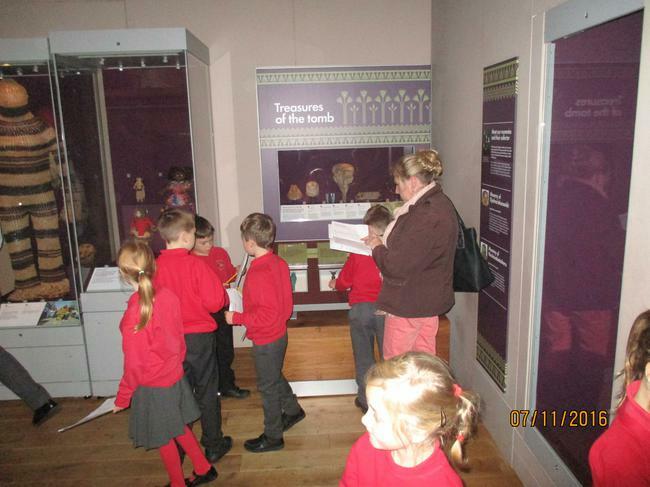 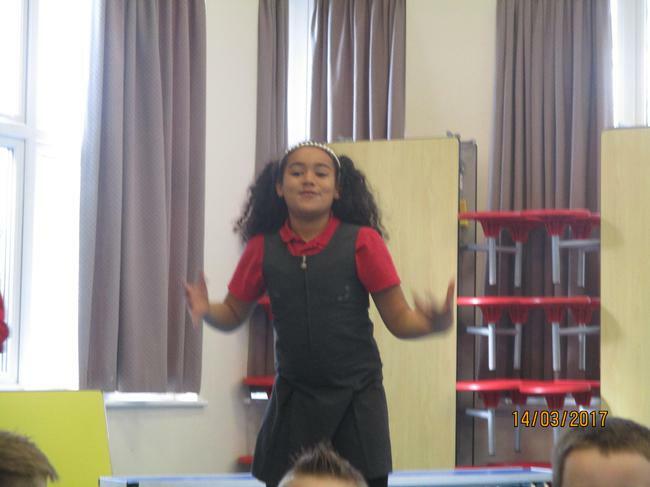 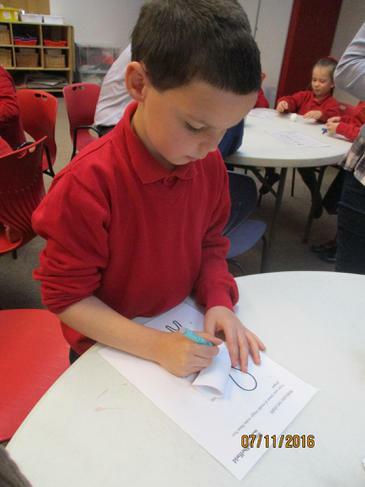 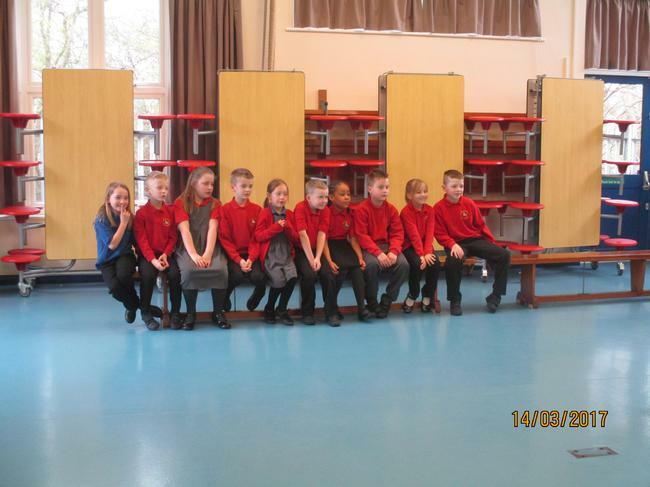 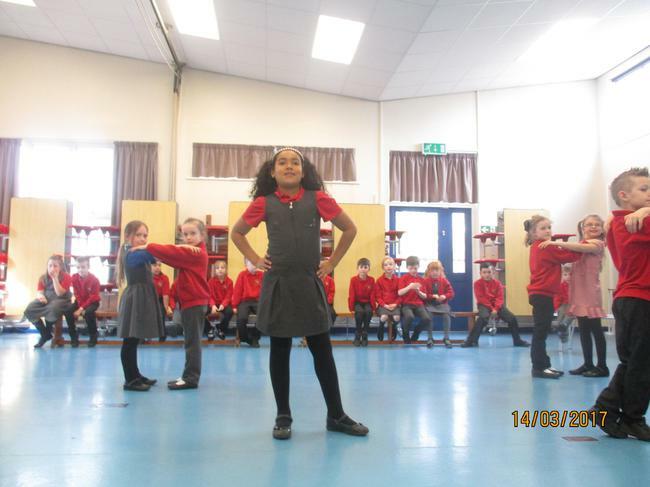 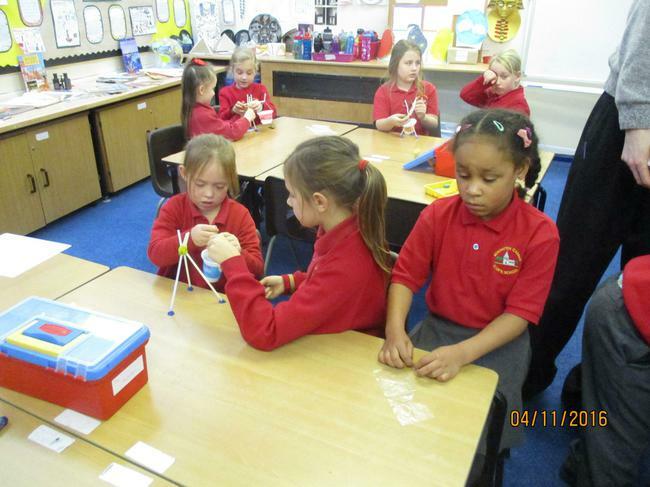 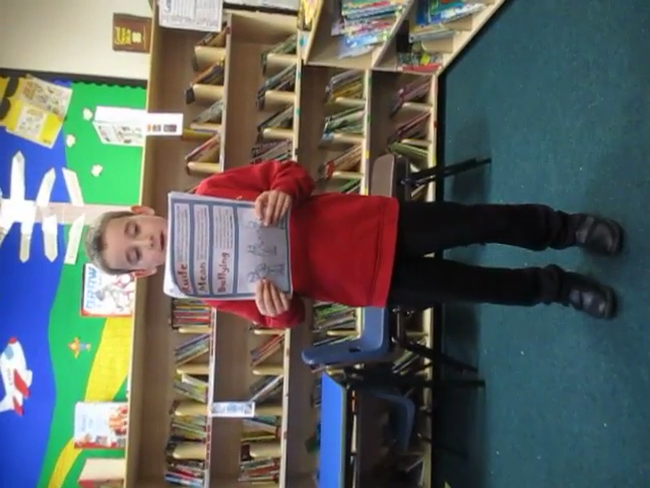 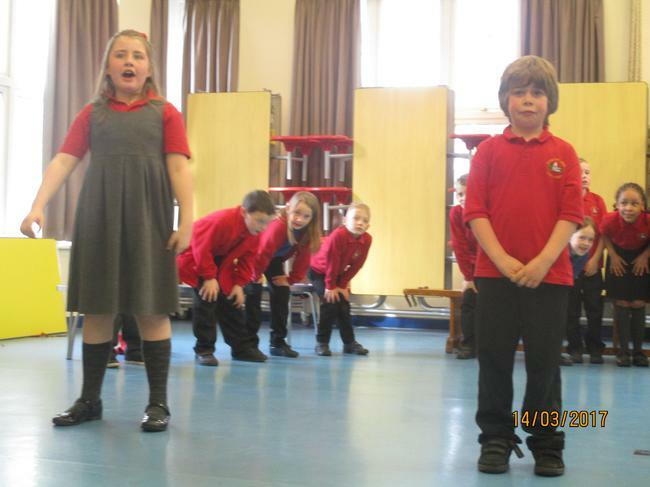 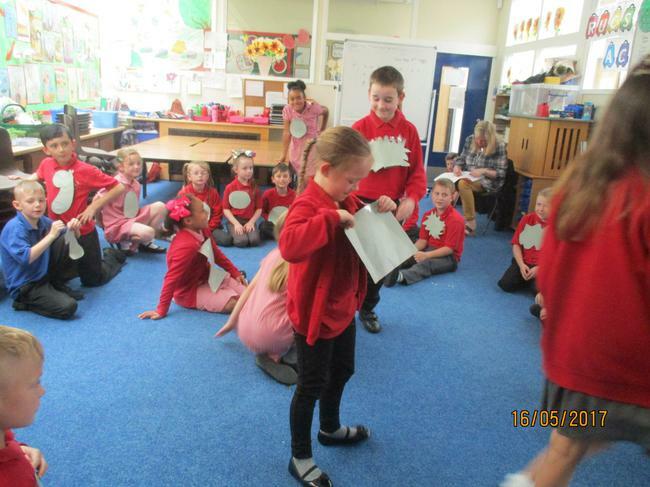 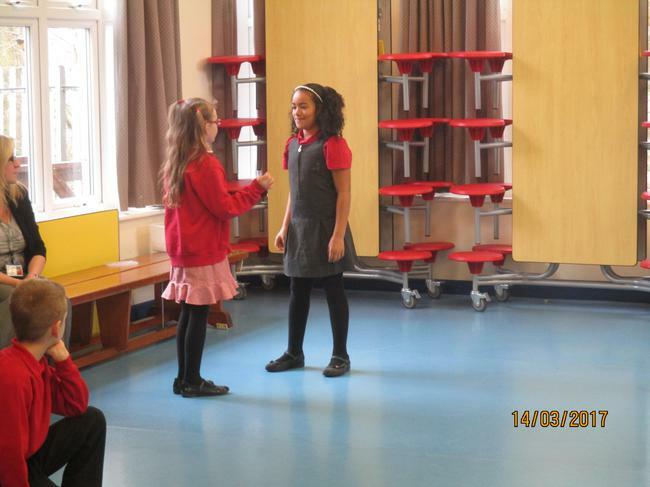 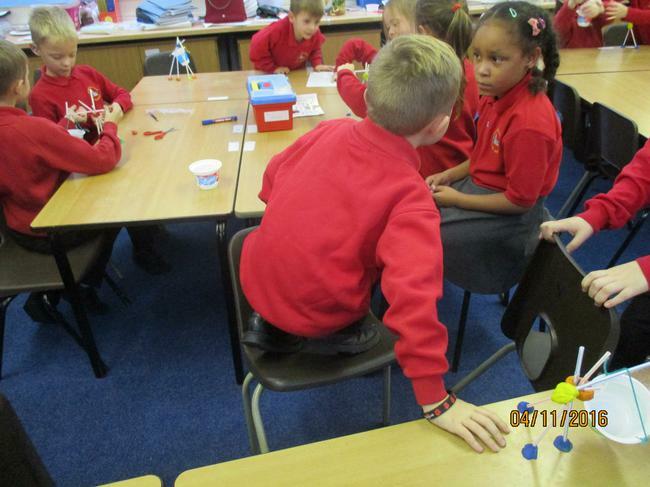 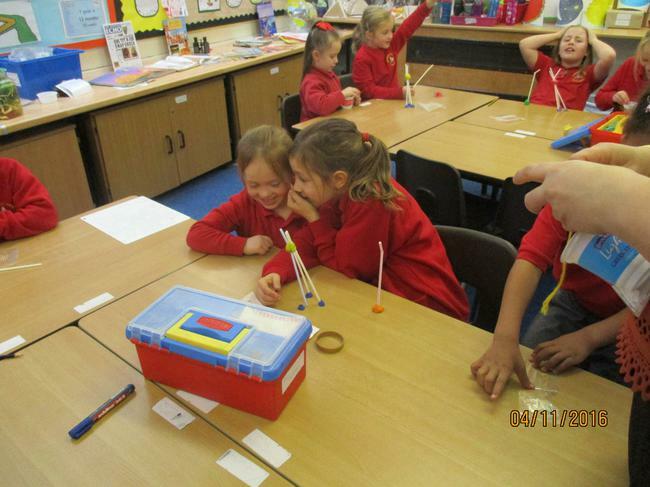 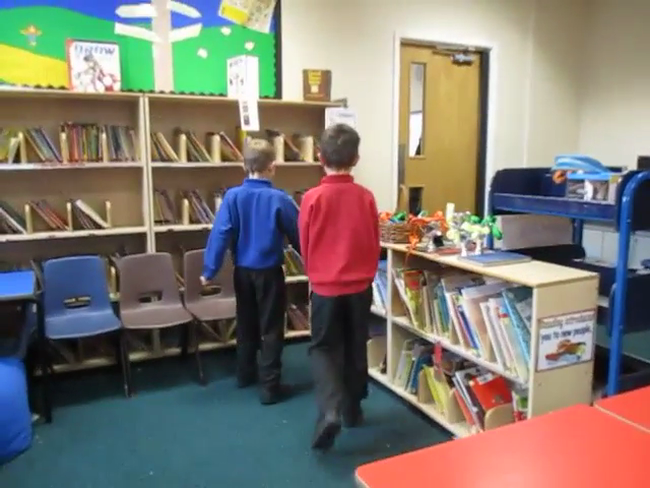 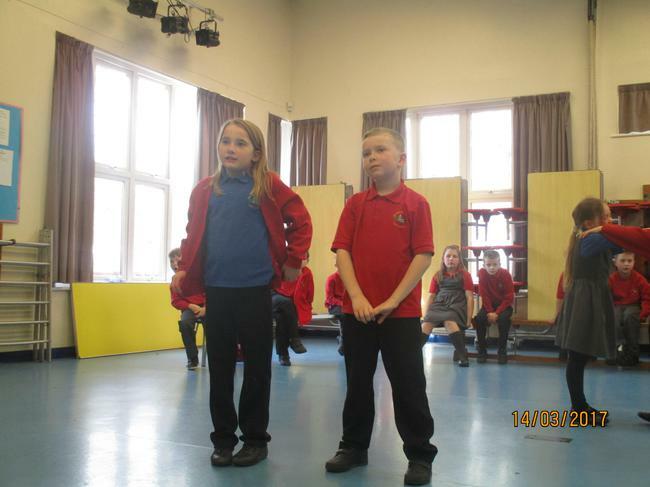 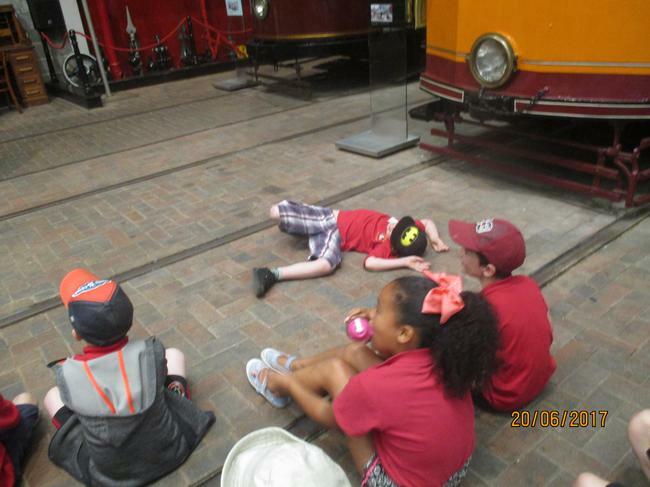 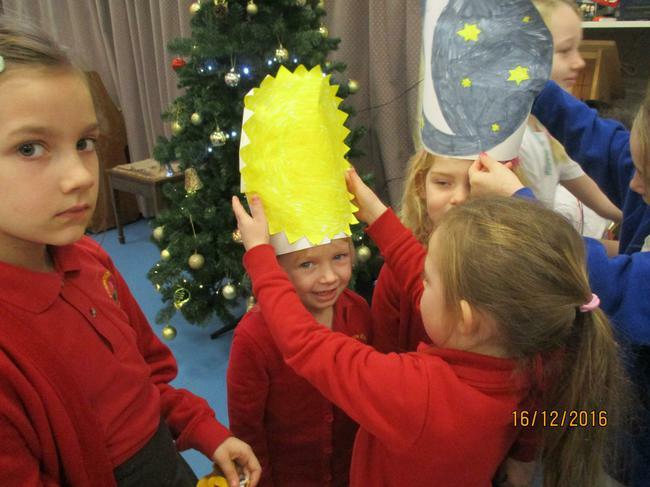 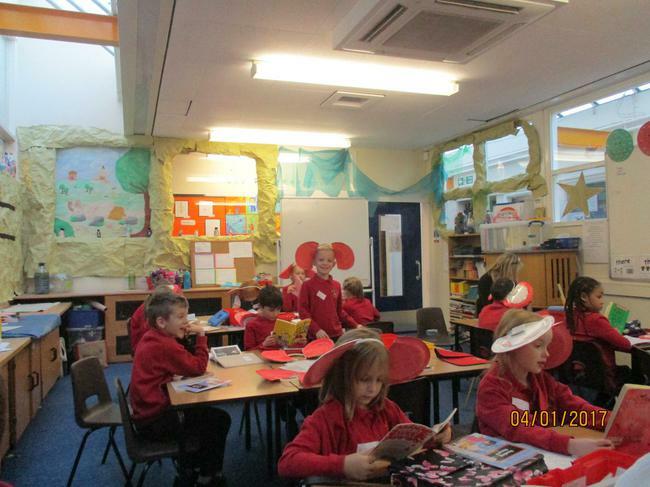 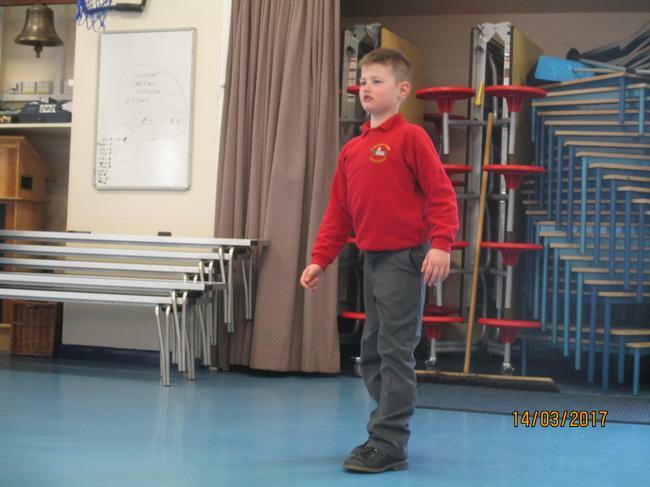 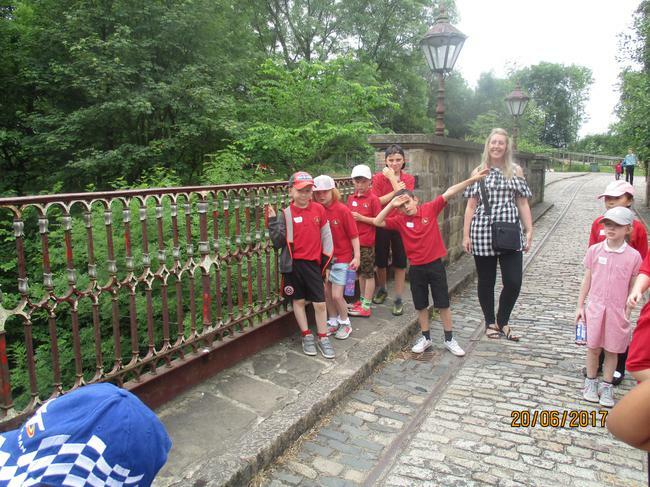 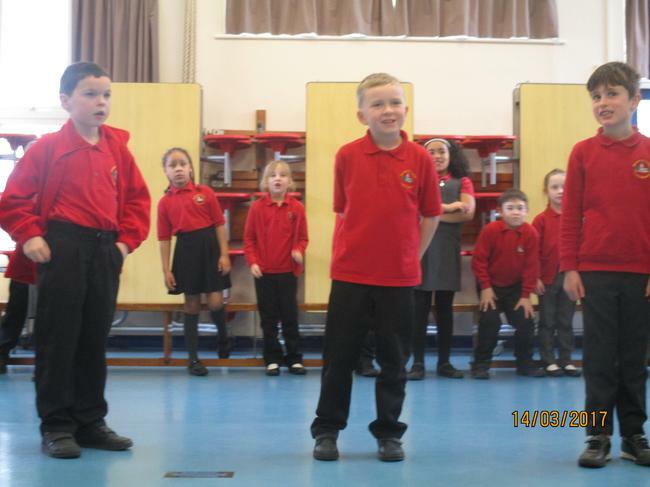 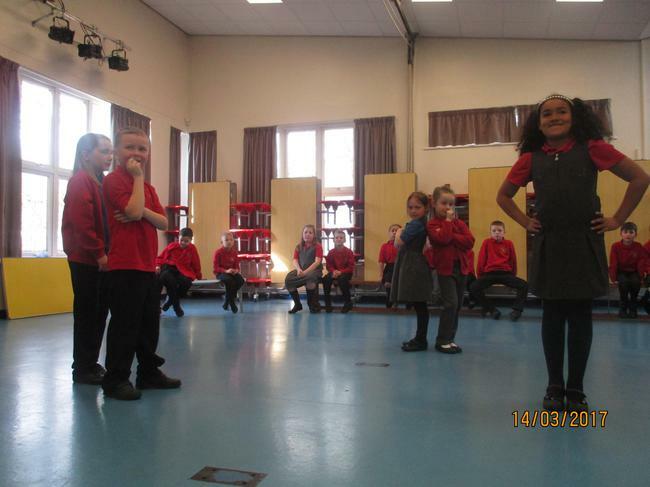 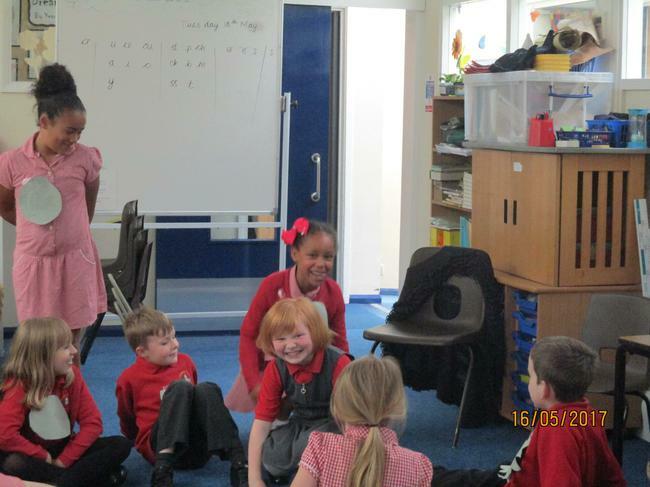 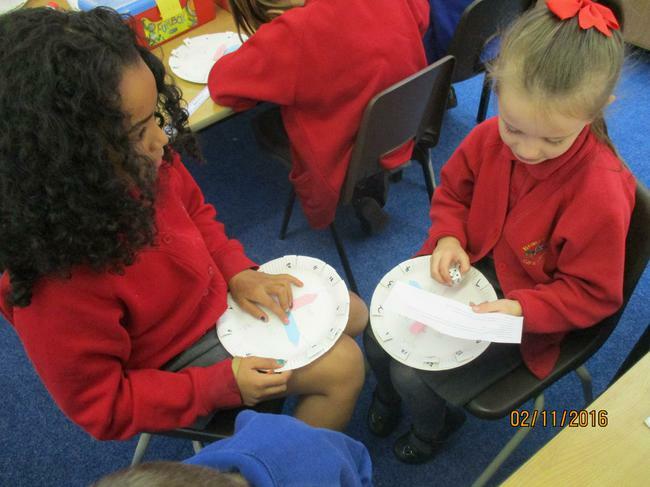 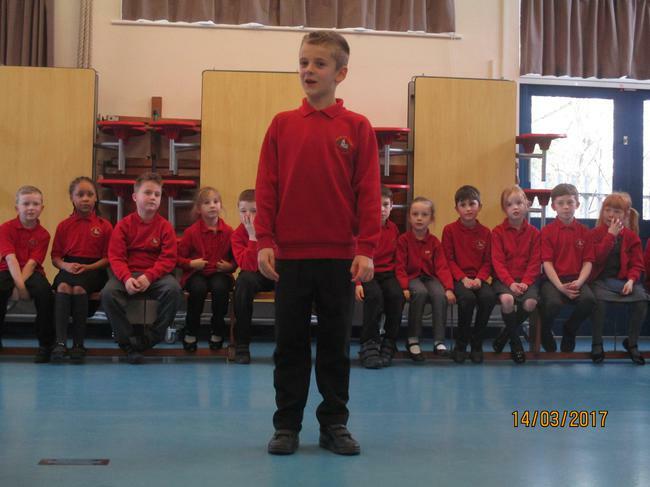 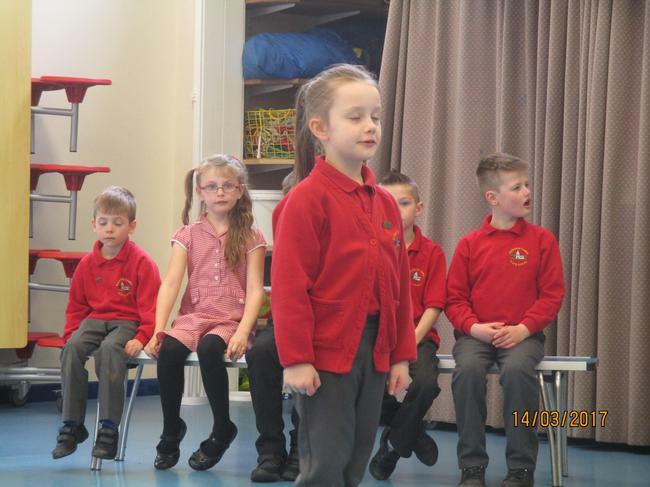 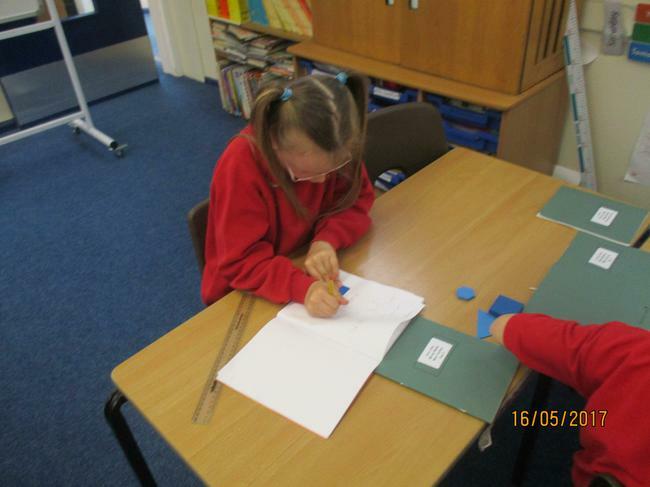 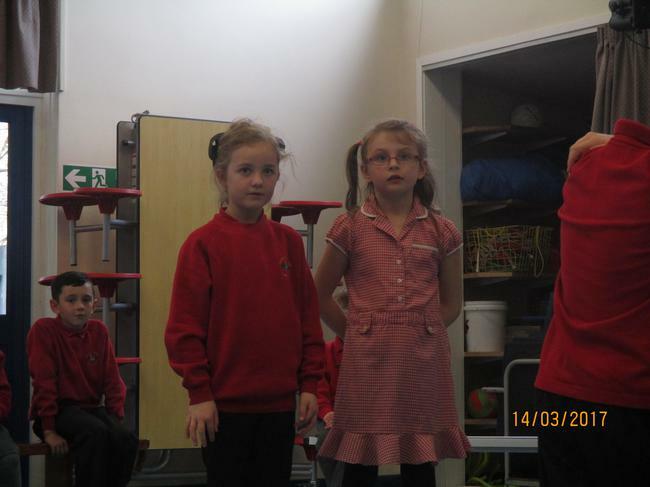 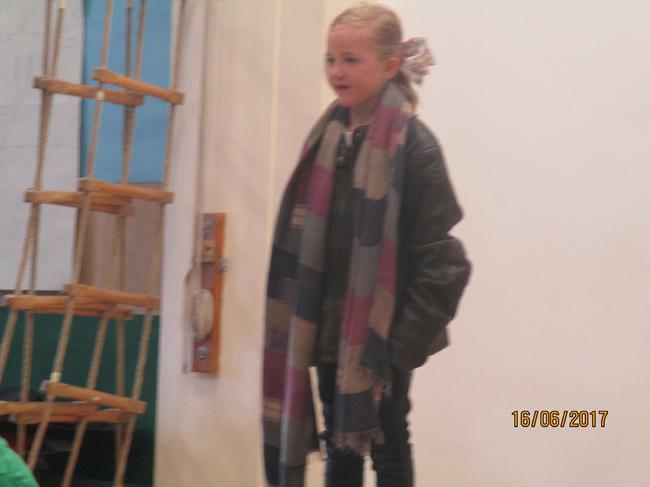 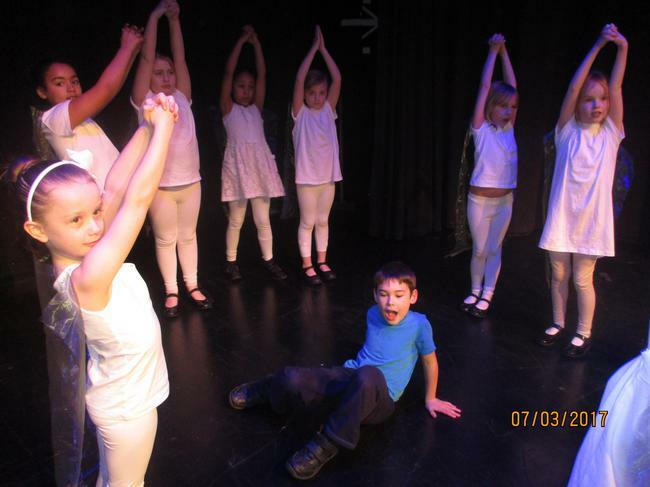 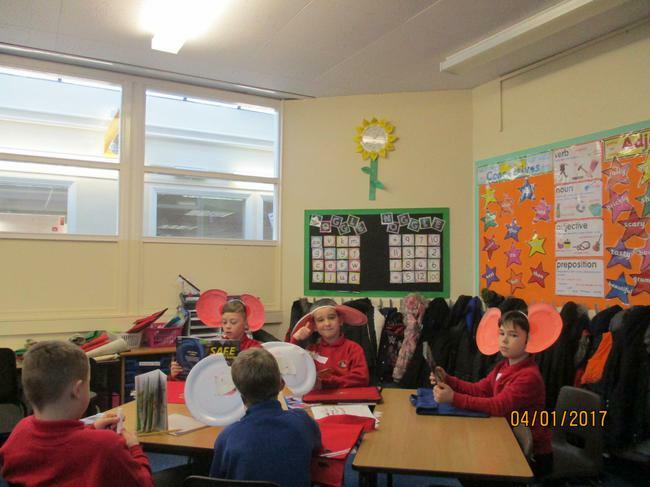 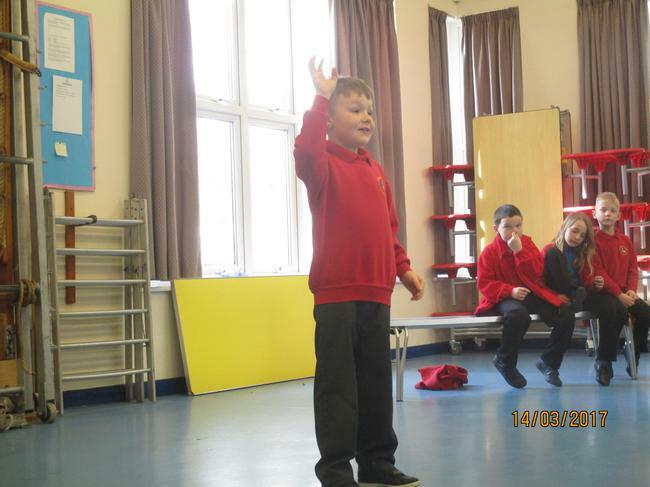 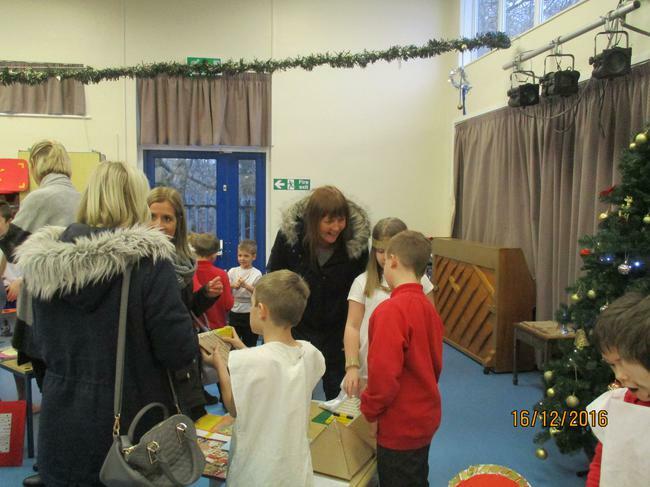 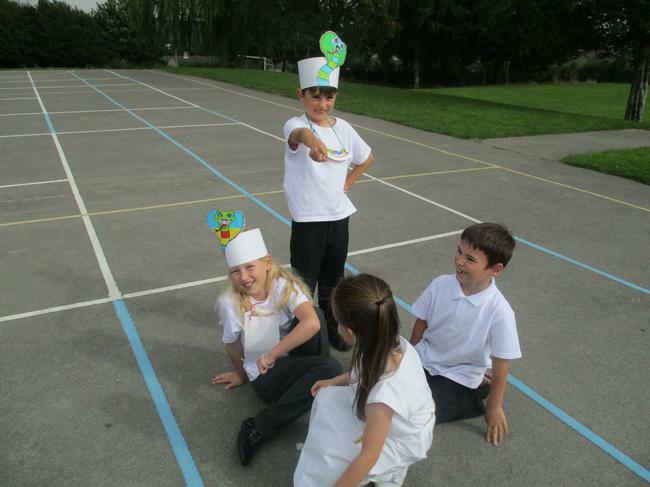 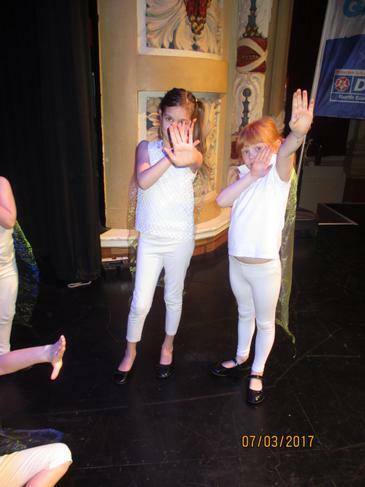 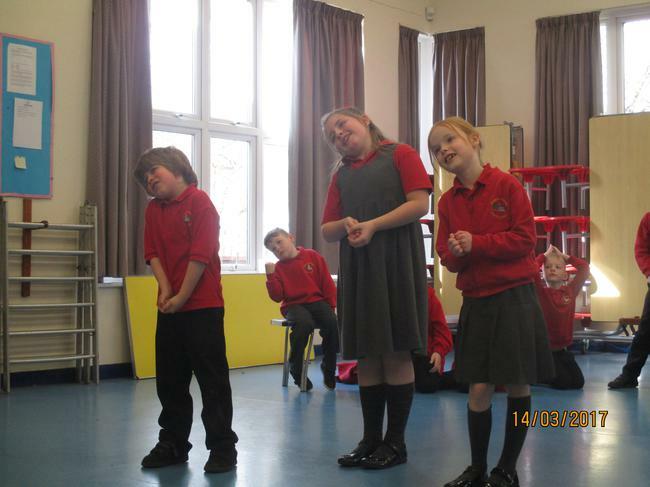 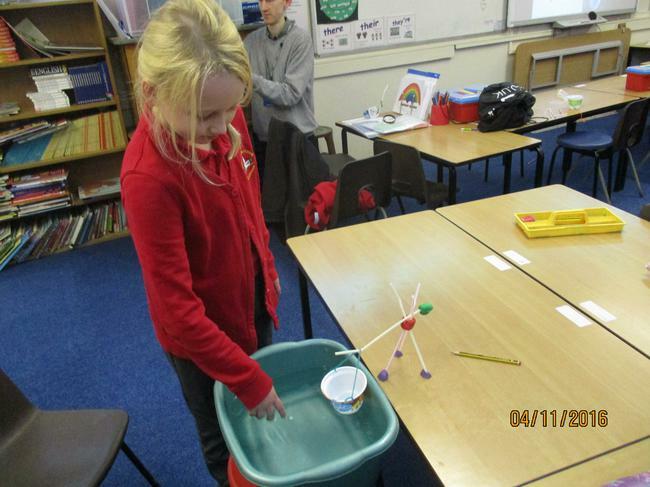 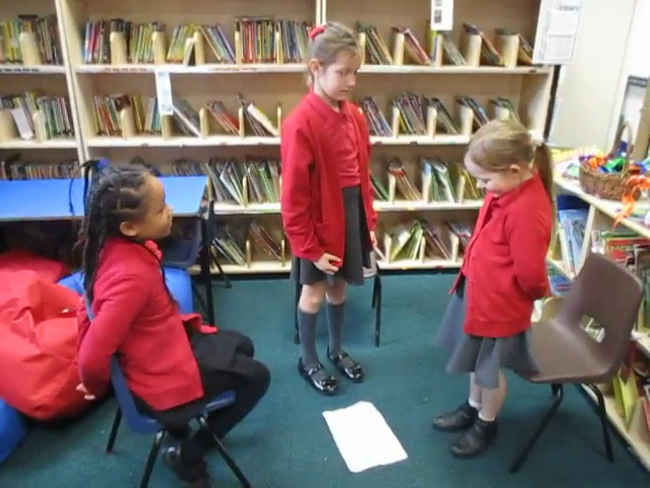 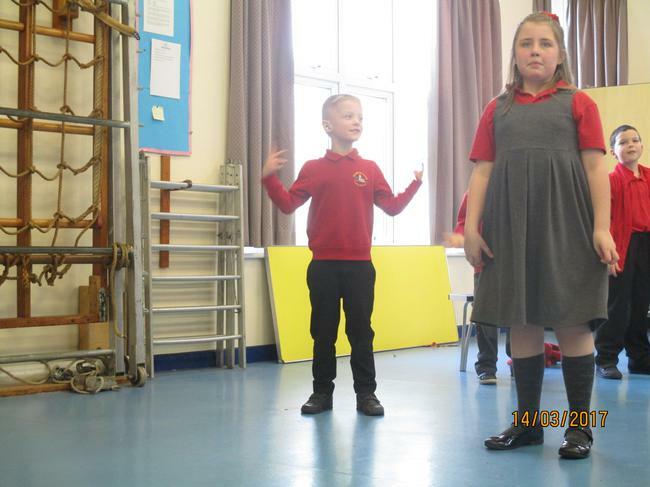 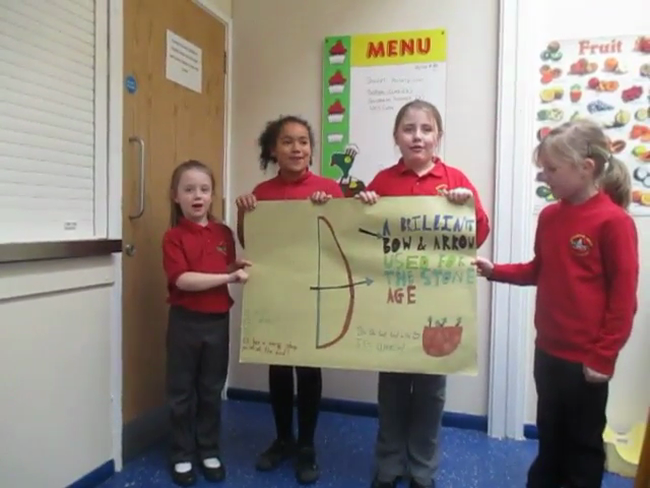 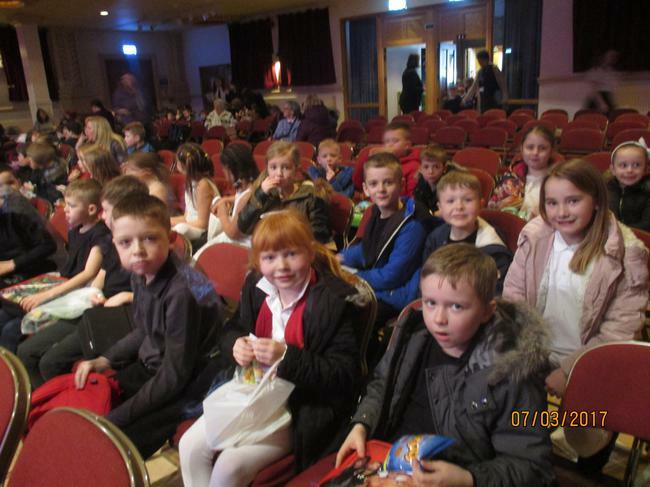 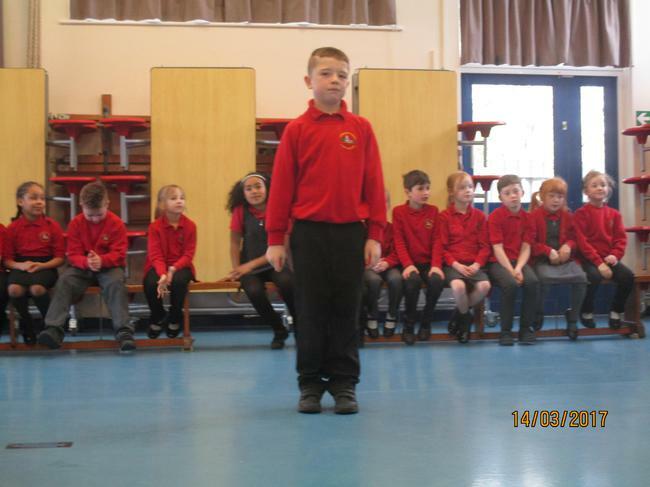 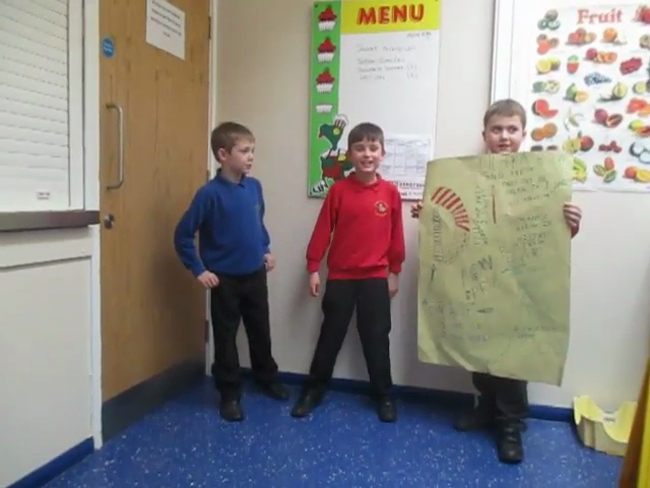 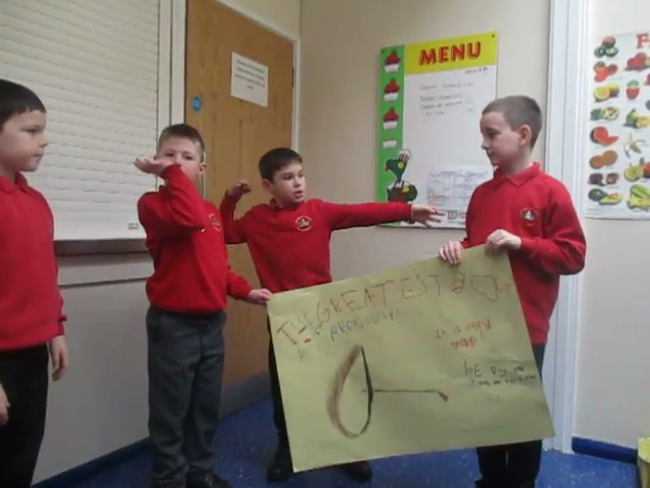 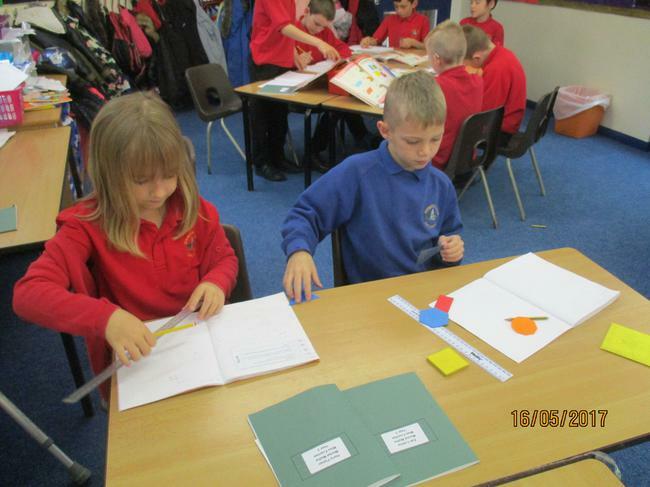 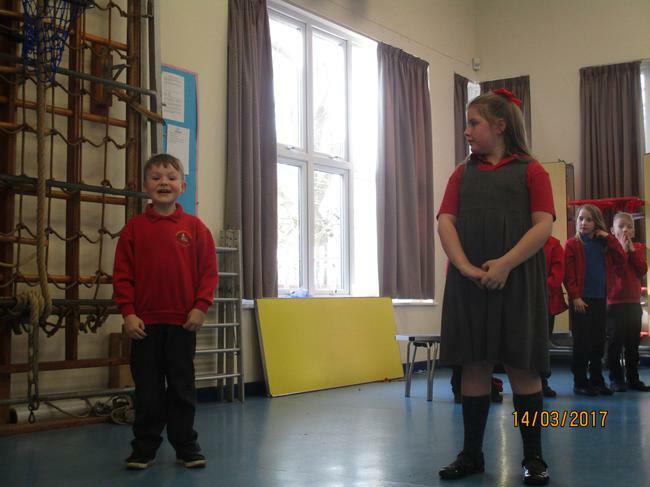 The children chose their own groups, wrote their own scripts and performed for the camera. 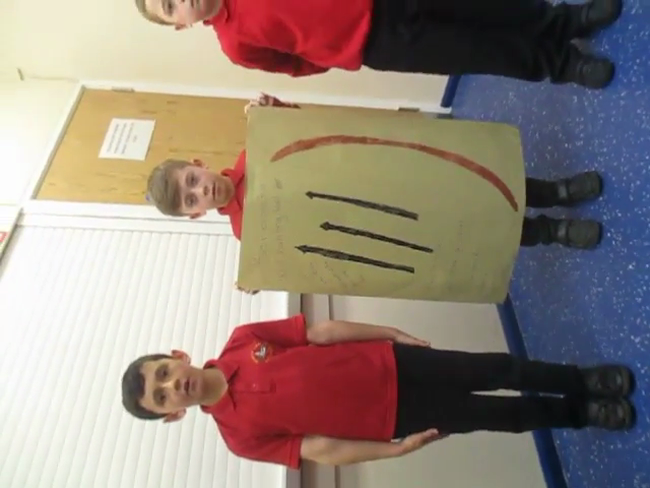 Unfortunately I couldn't turn the video the right way. 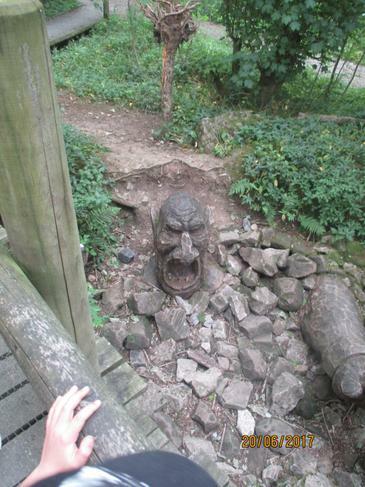 Sorry Harry. 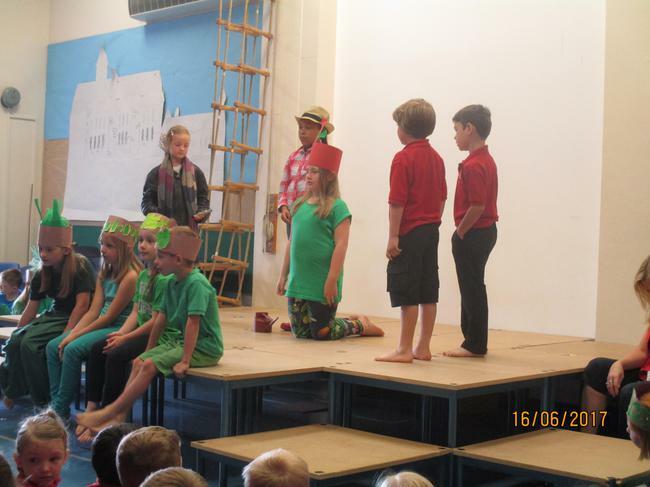 Can you work in the hot sun? 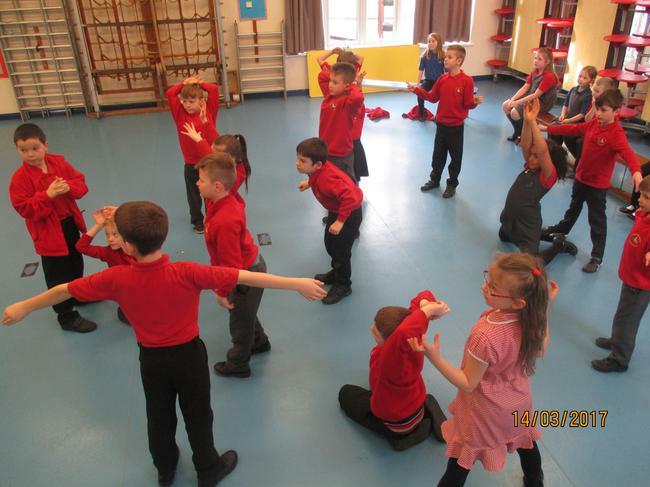 Do you have muscles? 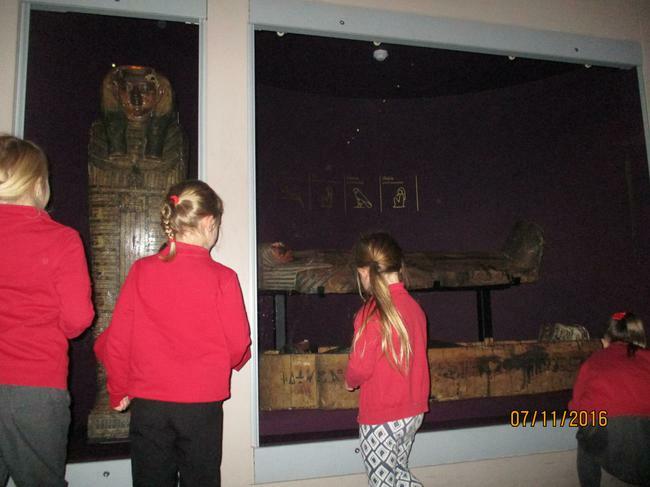 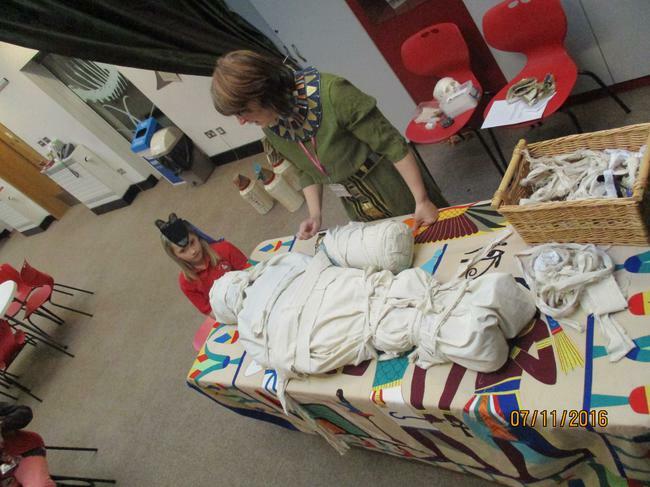 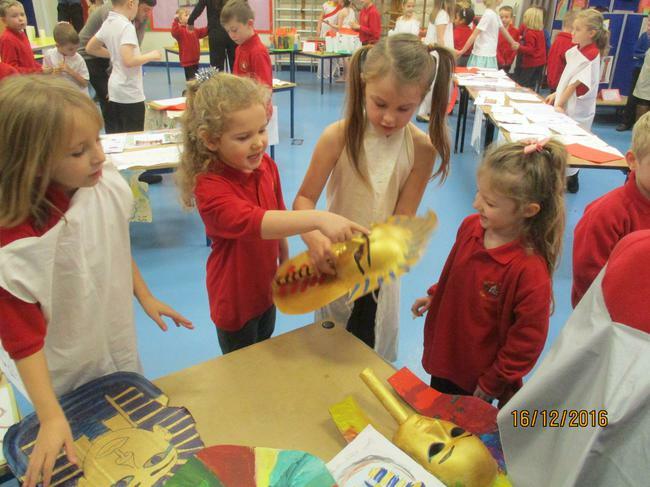 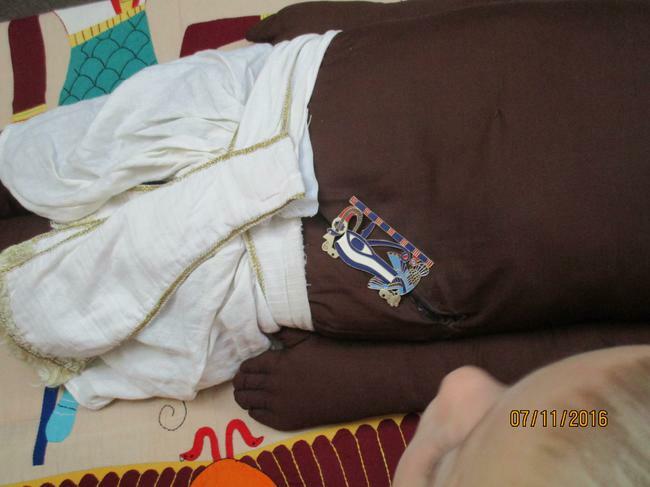 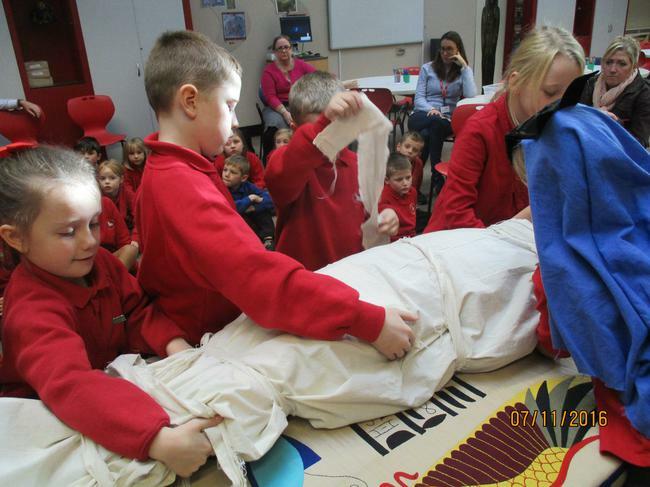 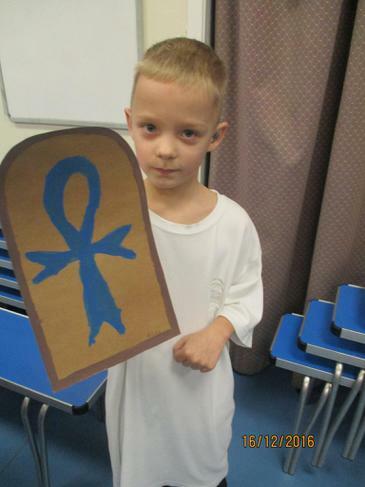 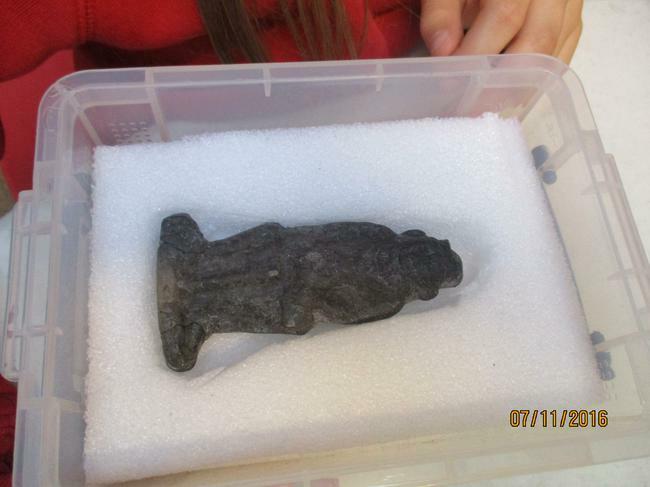 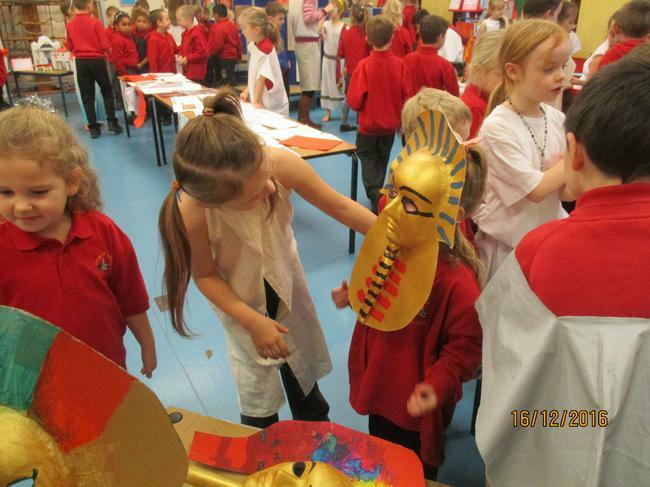 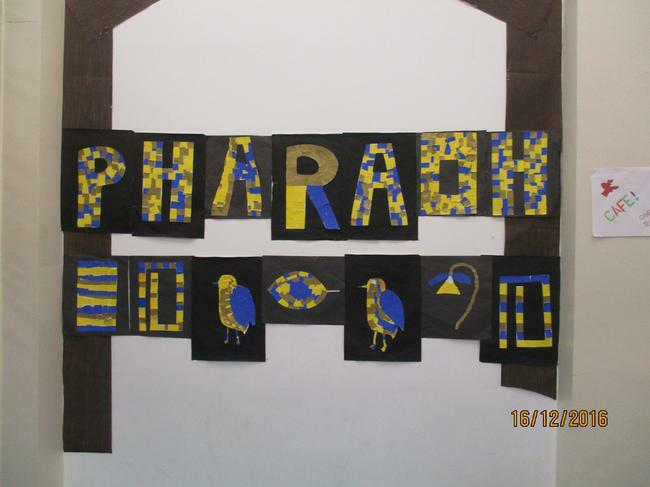 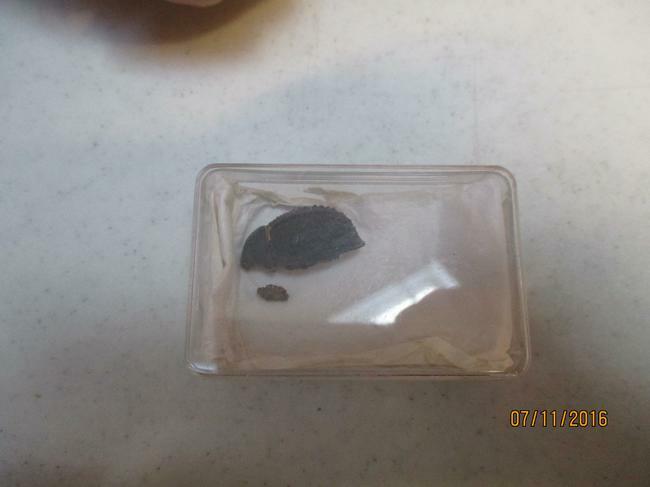 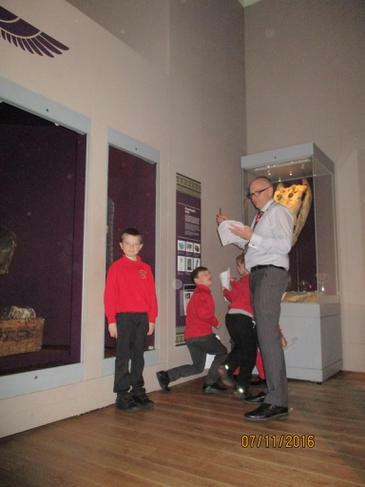 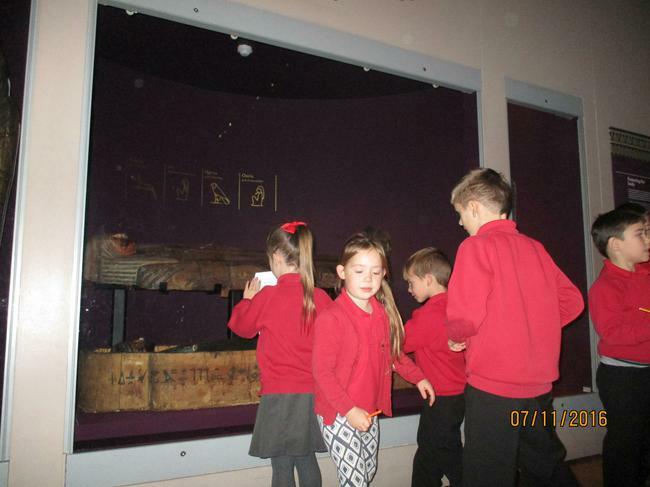 Do you want to have an ancient Egyptian job? 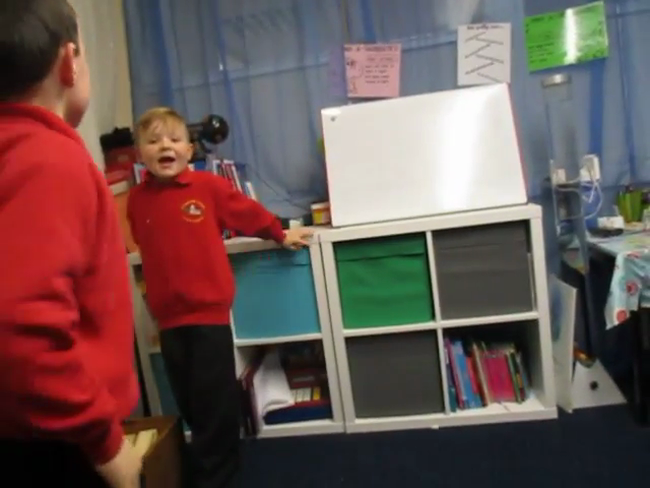 Magnet!. 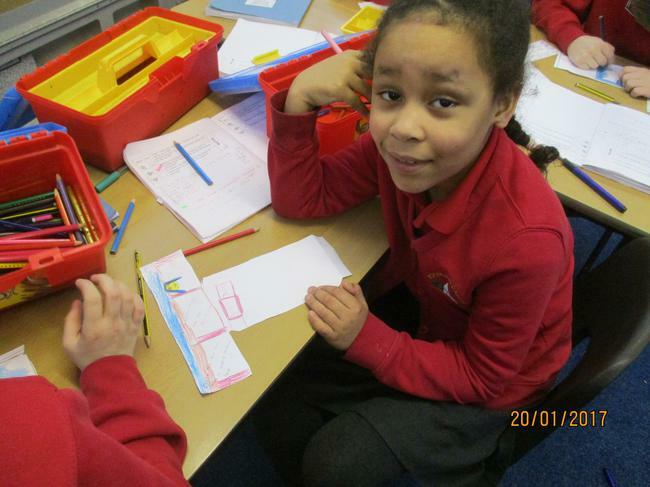 Learning about North and South polar fields. 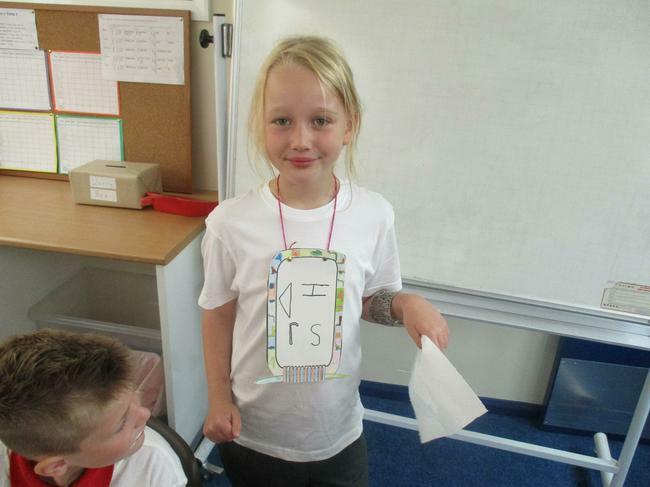 Class spellings for those children who are doing the weekly test. 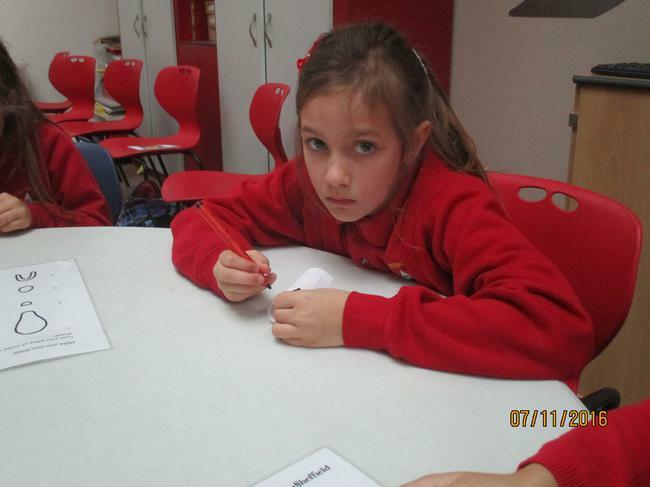 If your child is doing Attack Spellings, they are not expected to do the weekly spellings unless they wish to. 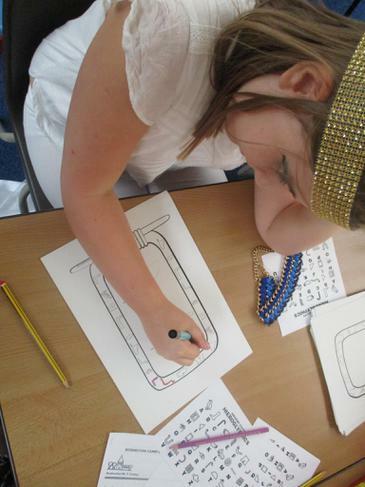 Curriculum map for Year 3 - Ancient Egypt, (please have a look at the activities we will be doing over the next two half terms). 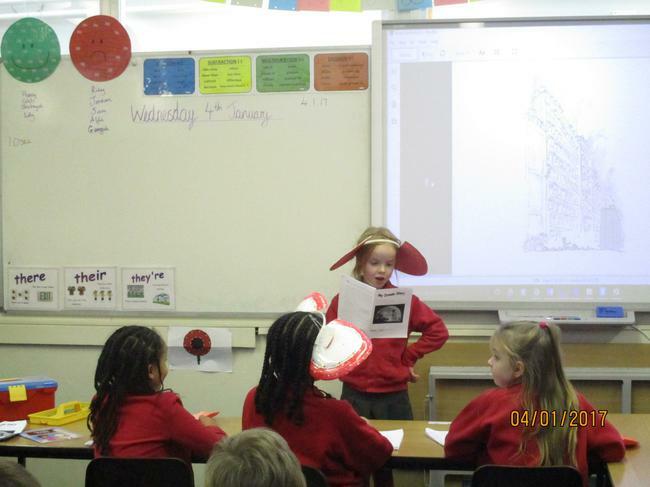 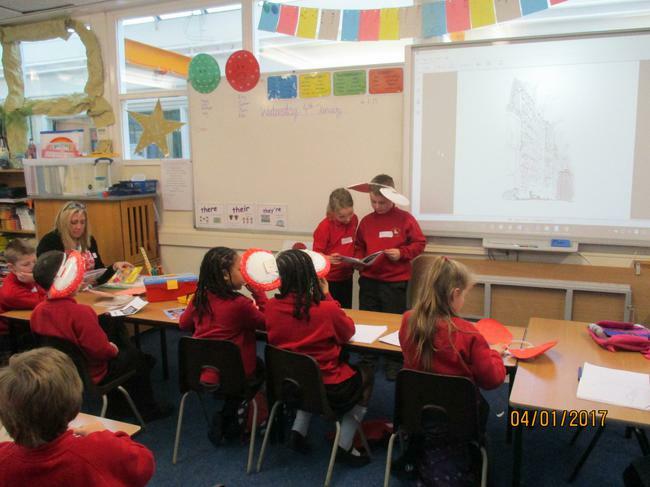 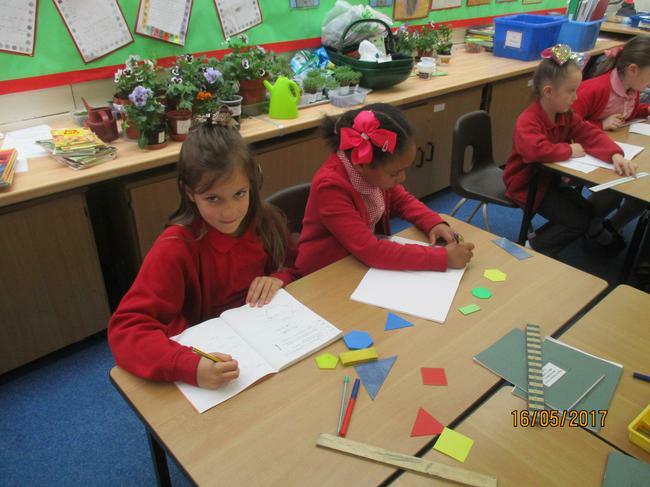 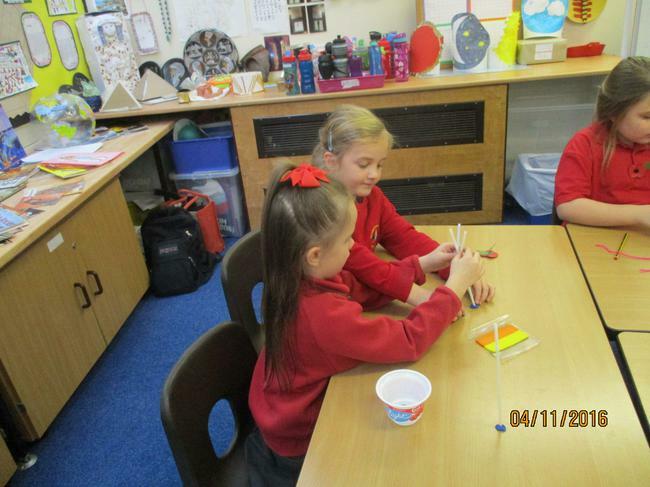 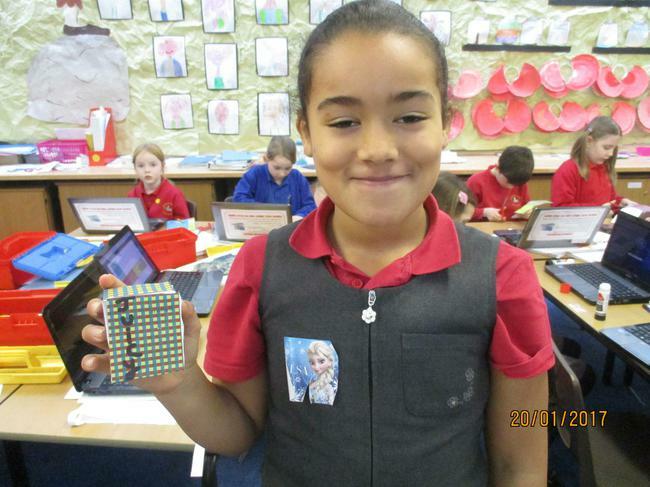 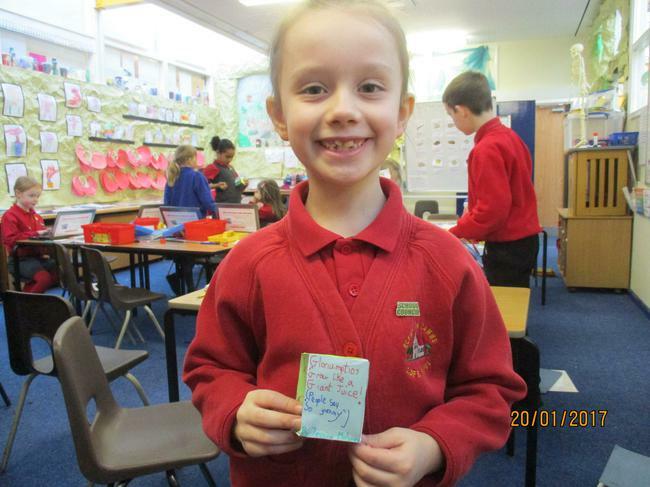 My name is Miss Fuentes and I am the new year 3's class teacher. 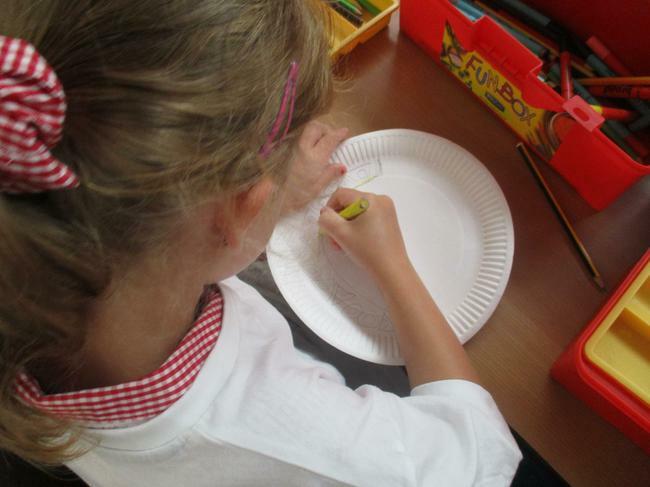 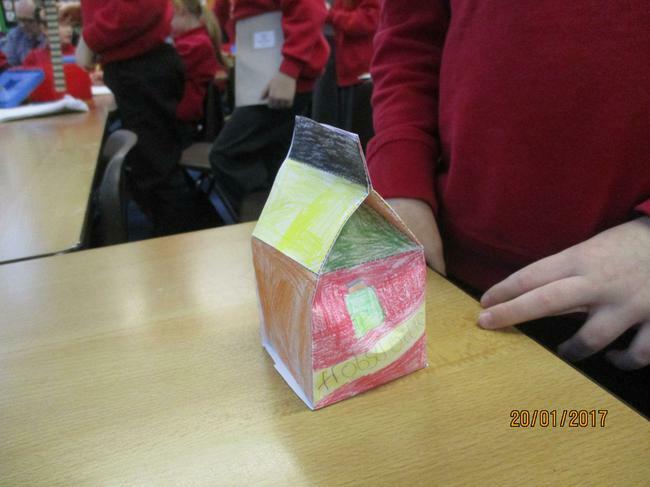 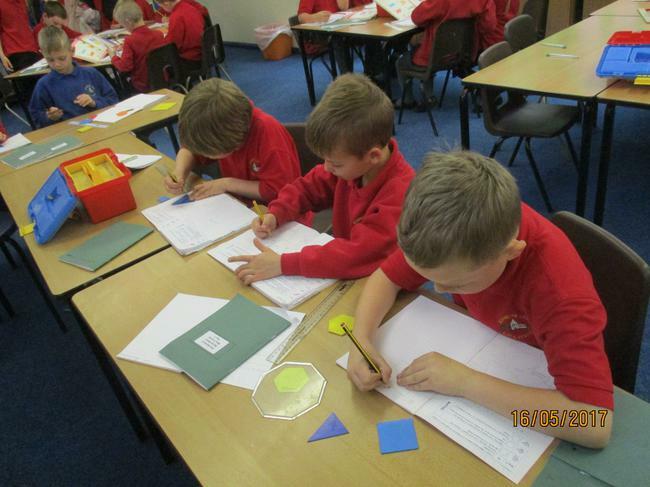 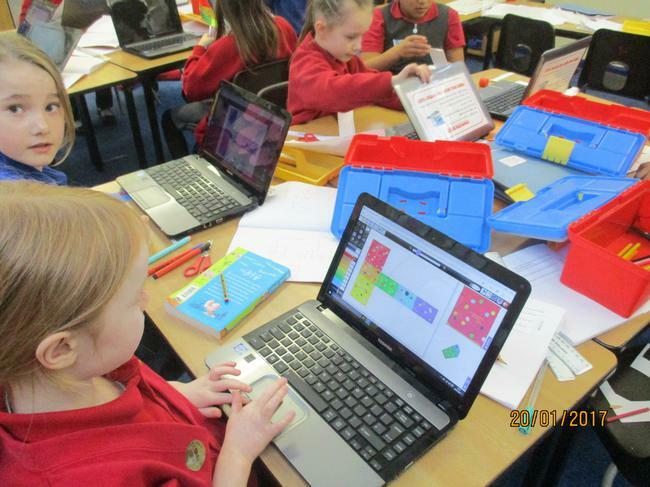 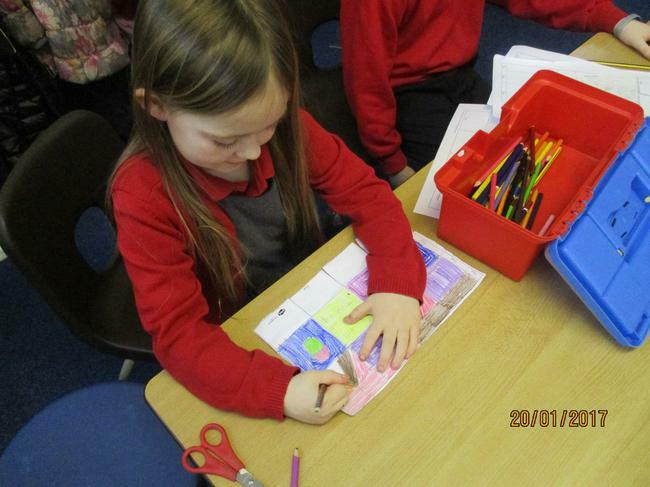 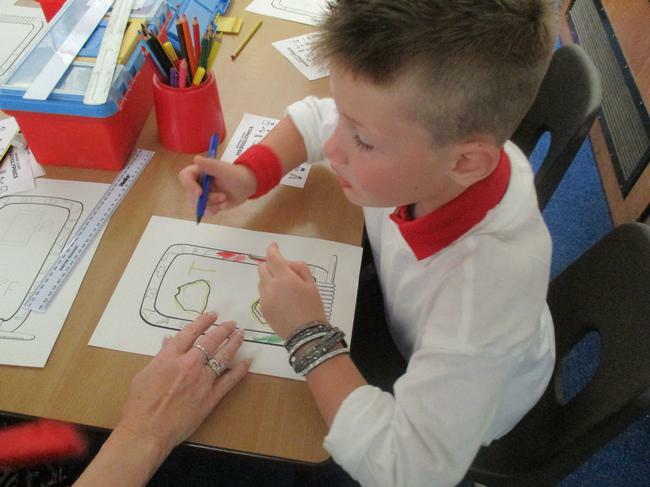 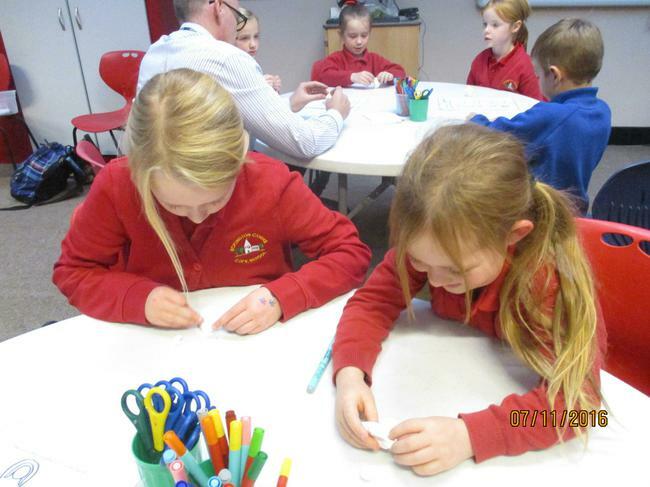 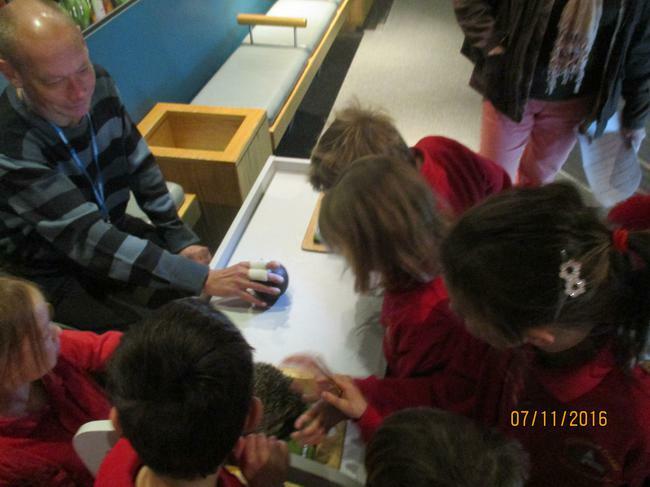 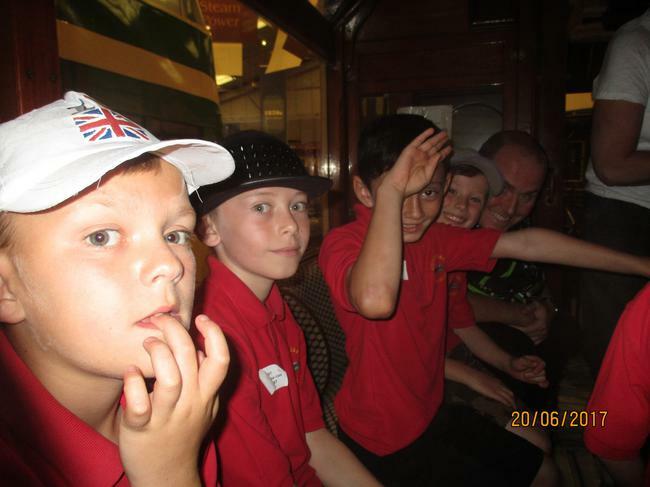 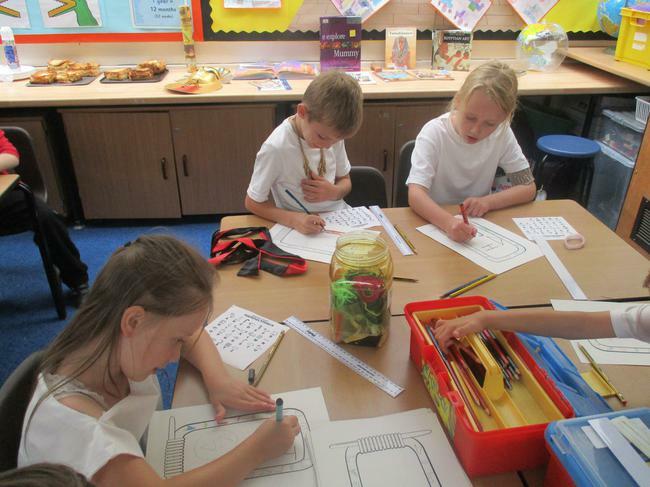 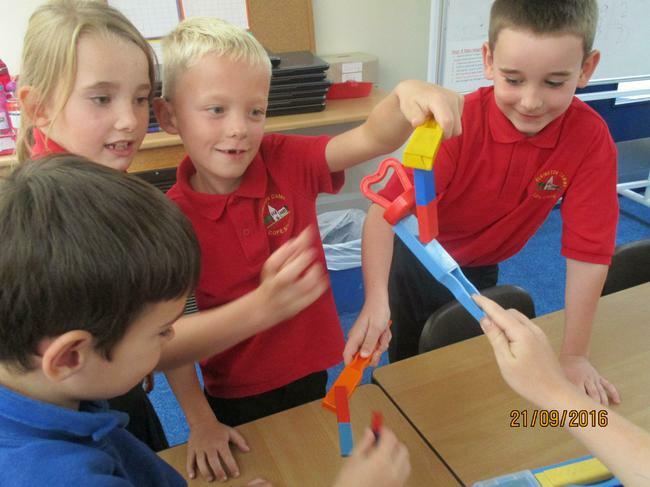 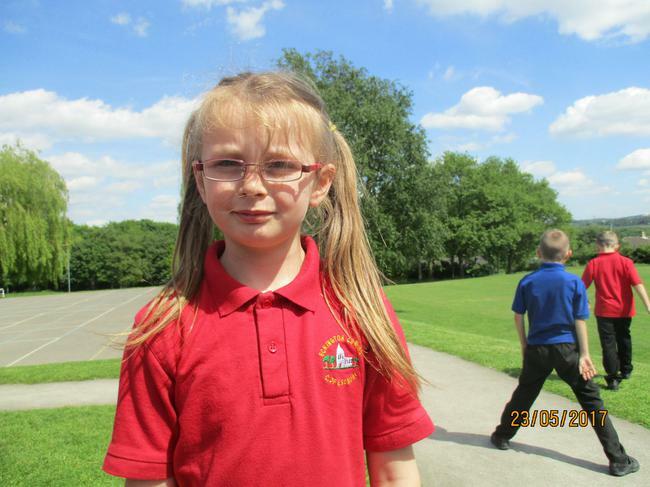 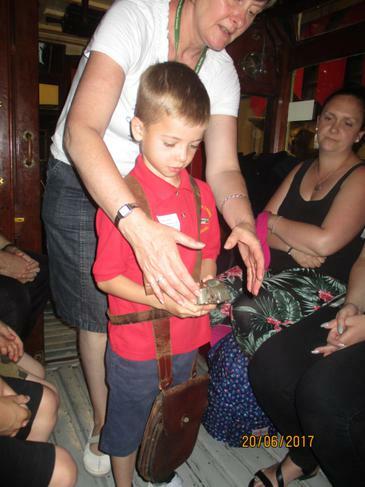 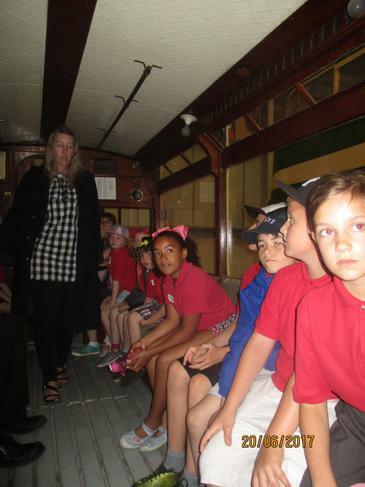 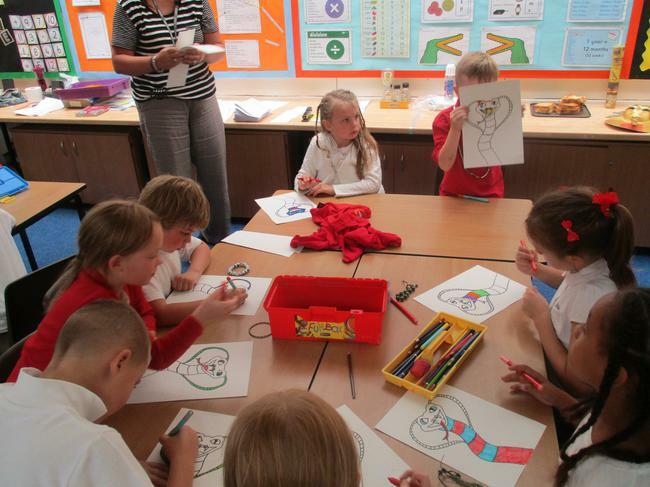 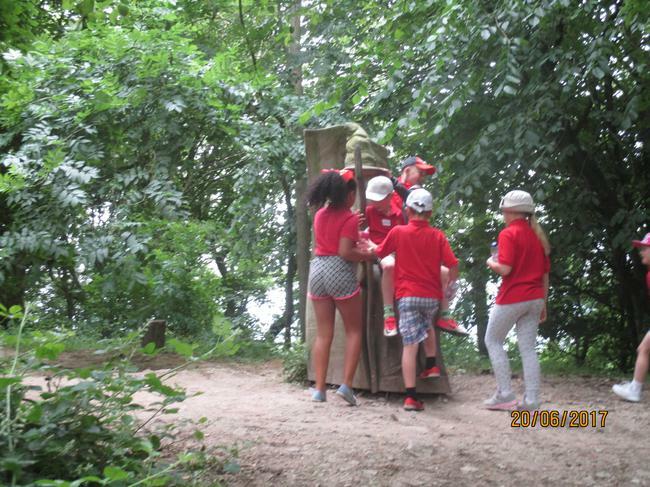 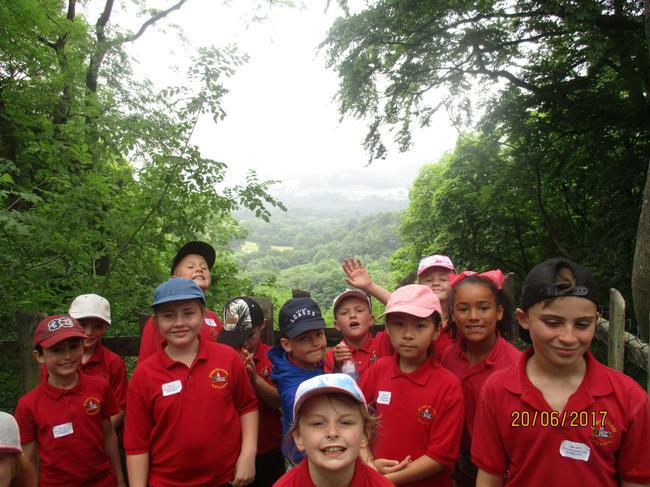 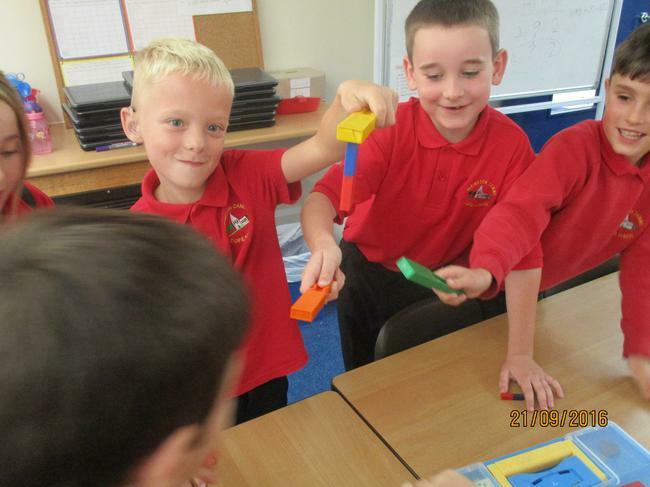 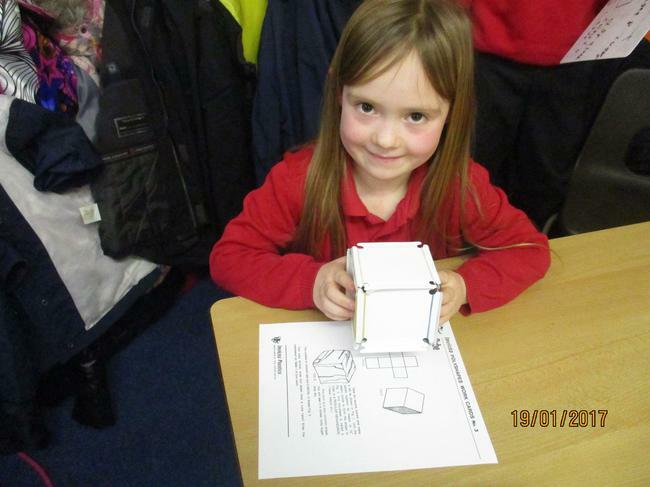 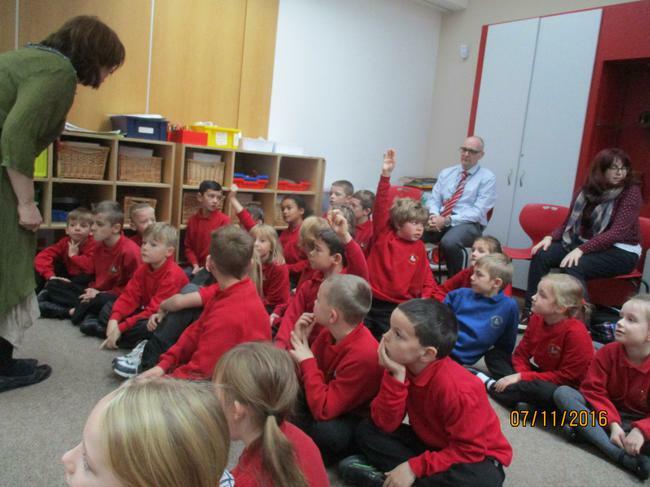 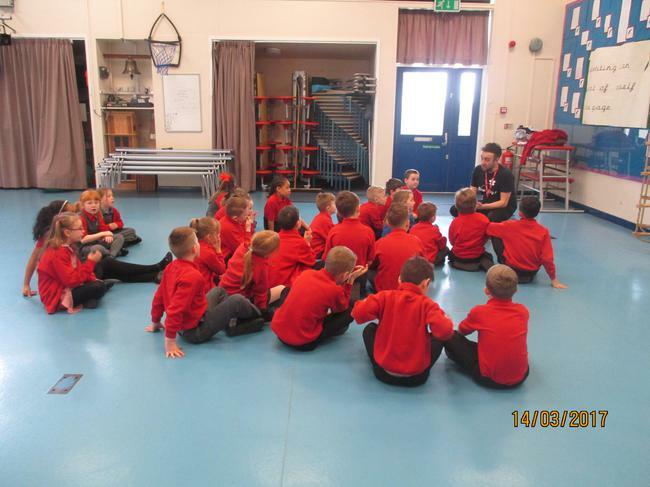 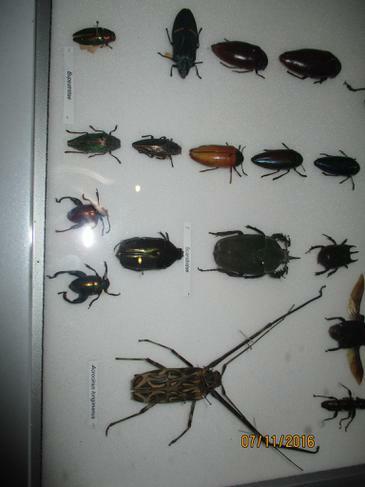 I am looking forward to teaching the children this year and I have lots of exciting plans. 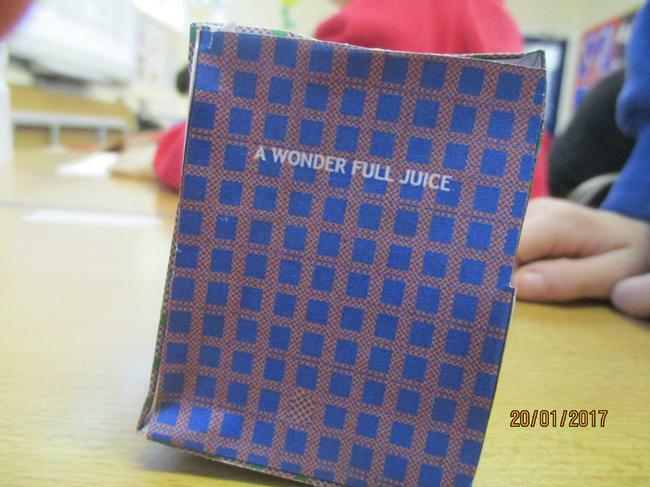 If you have any worries or questions, please come and see me at school. 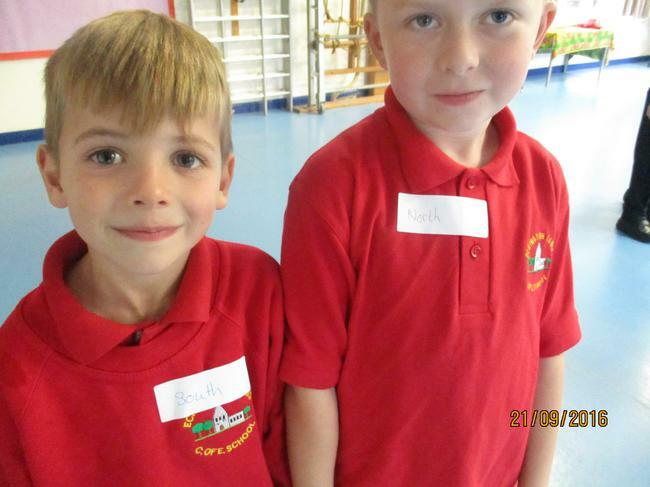 I look forward to meeting all the parents at parent's evening.